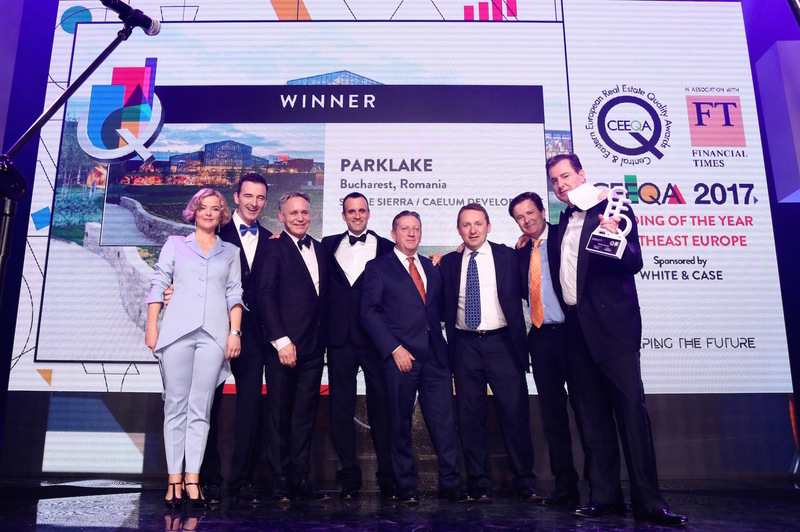 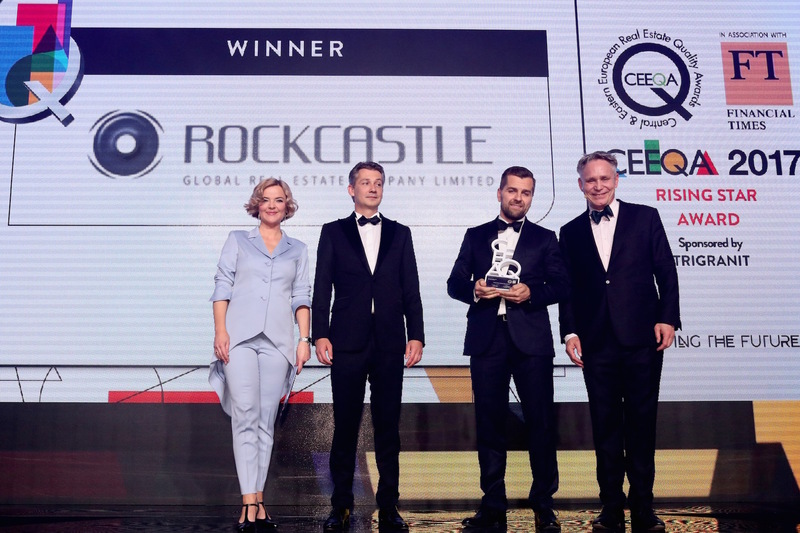 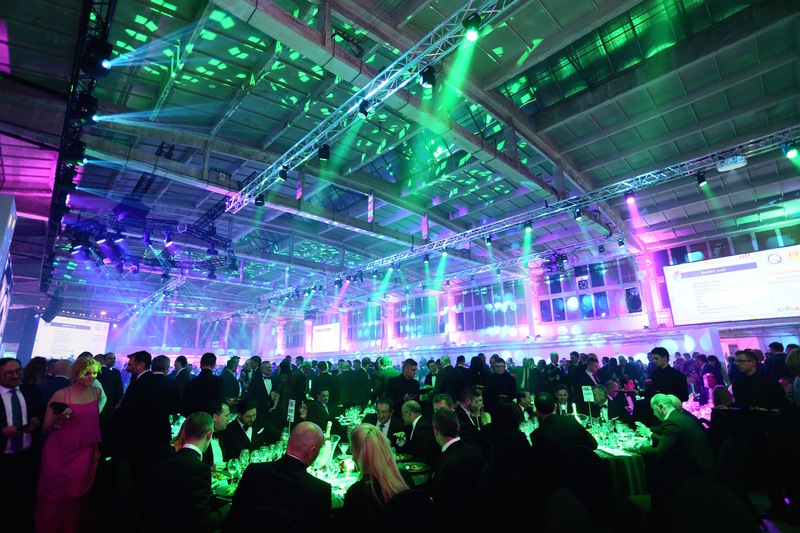 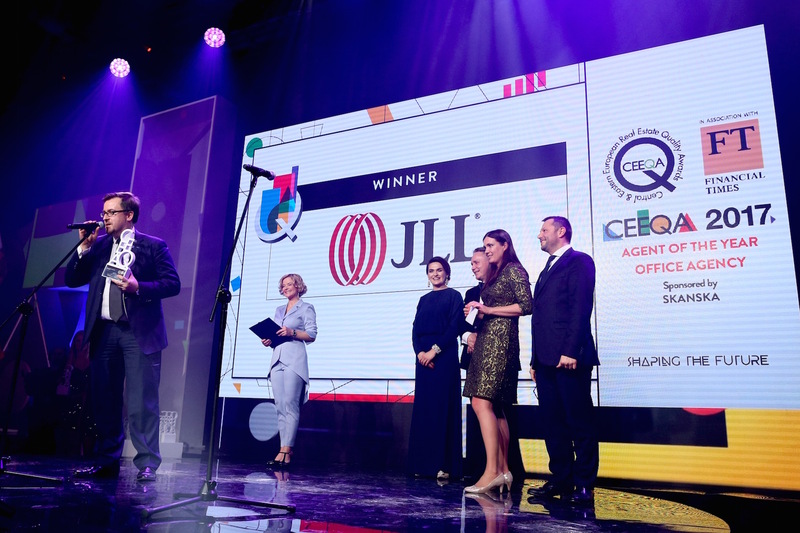 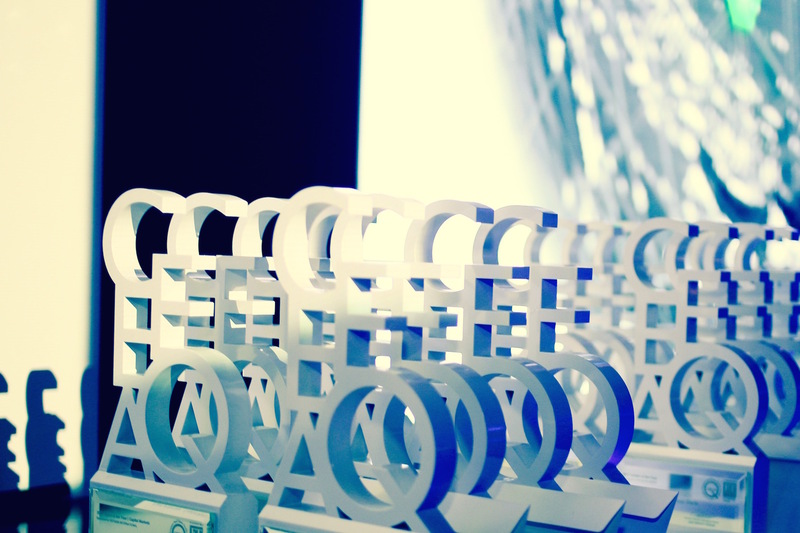 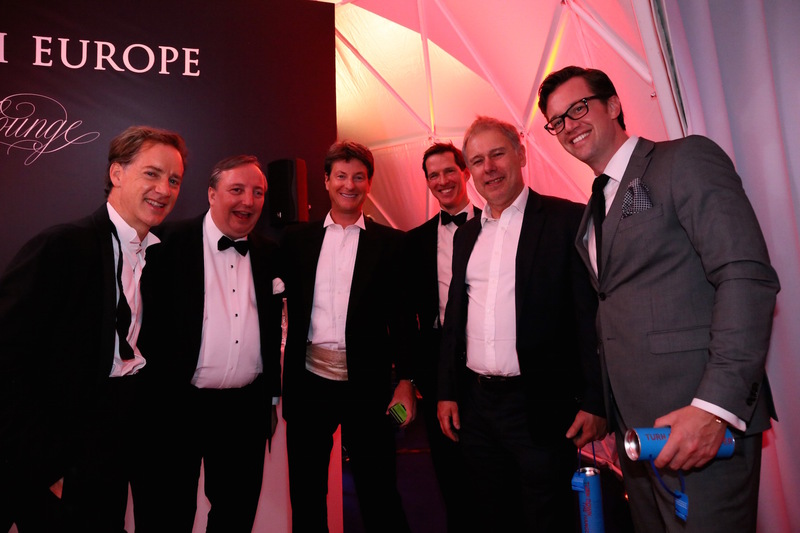 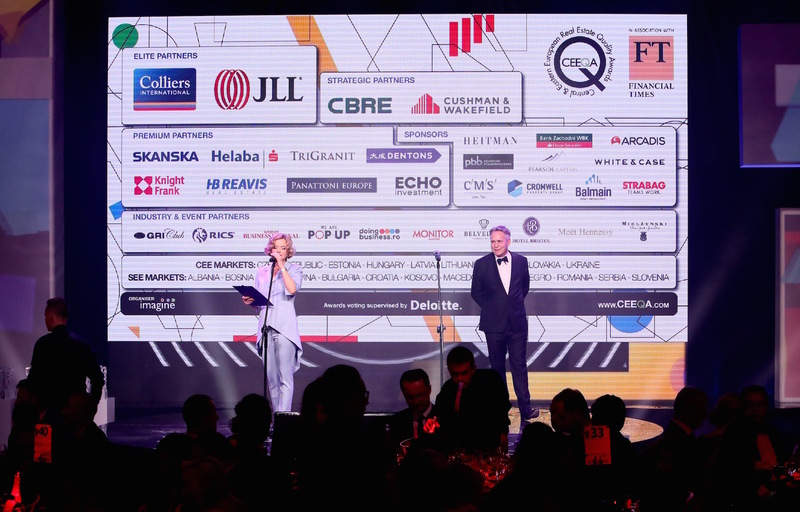 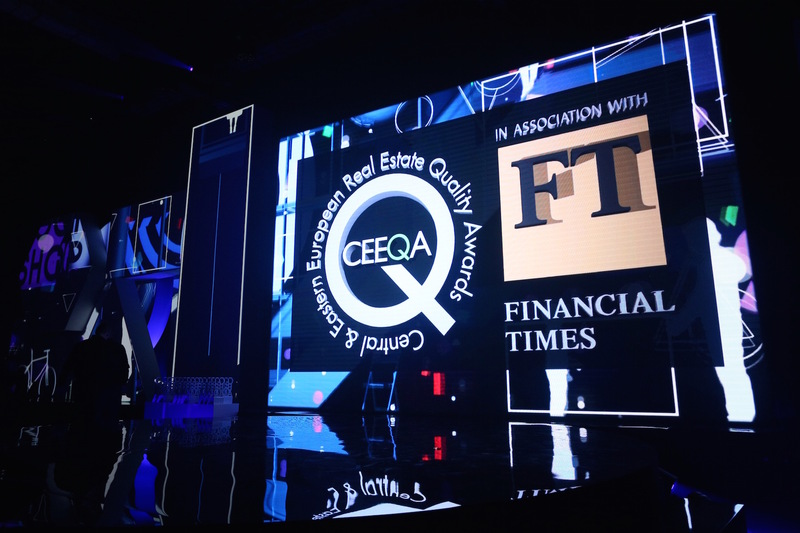 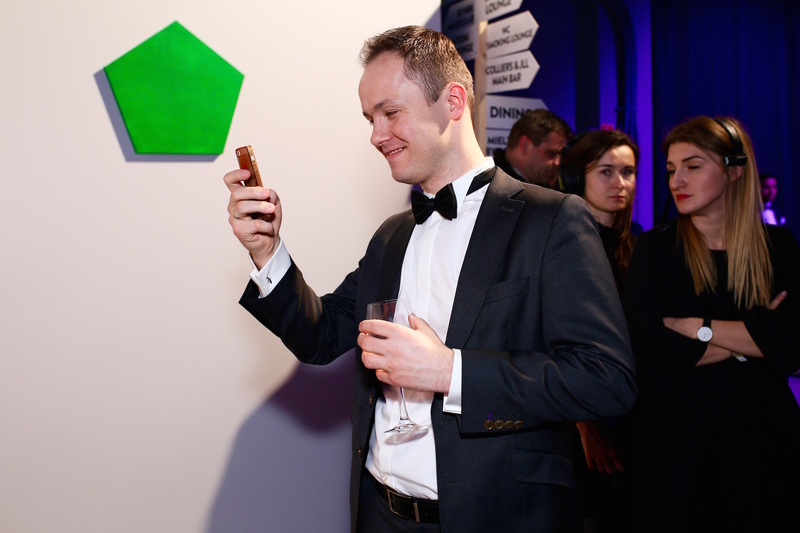 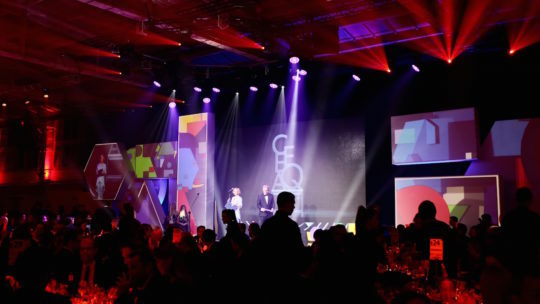 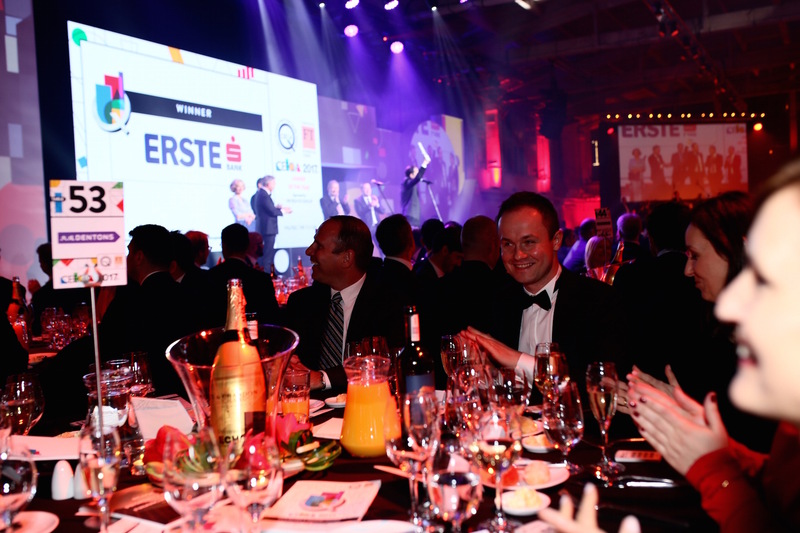 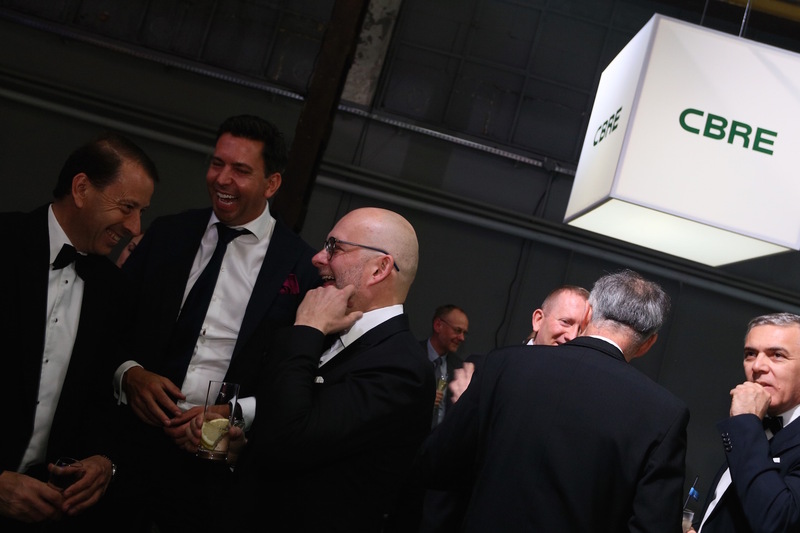 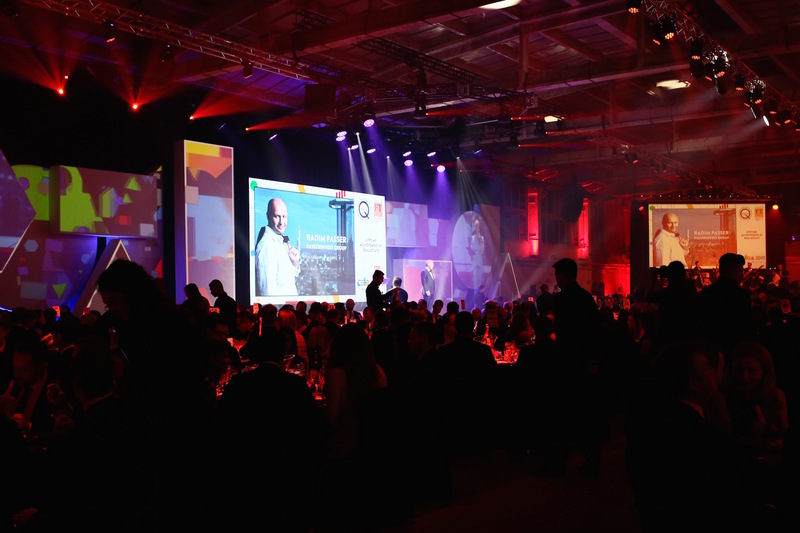 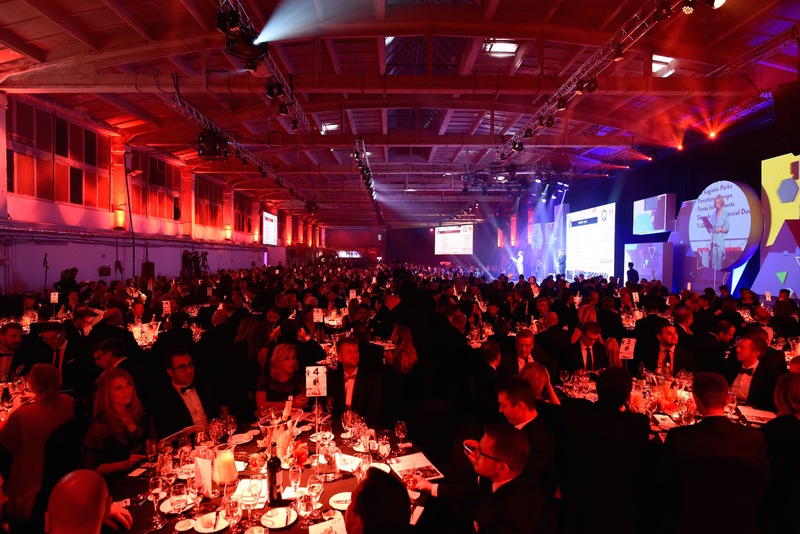 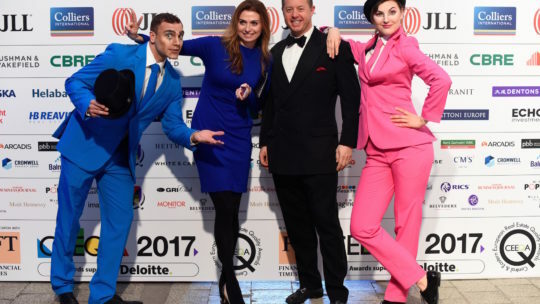 The CEEQA awards are judged each year by a panel of jurors selected from senior management representatives of market leading companies active in the New Europe real estate market place through a detailed and rigorous procedure, online and offline, closely monitored by awards supervisor Deloitte. 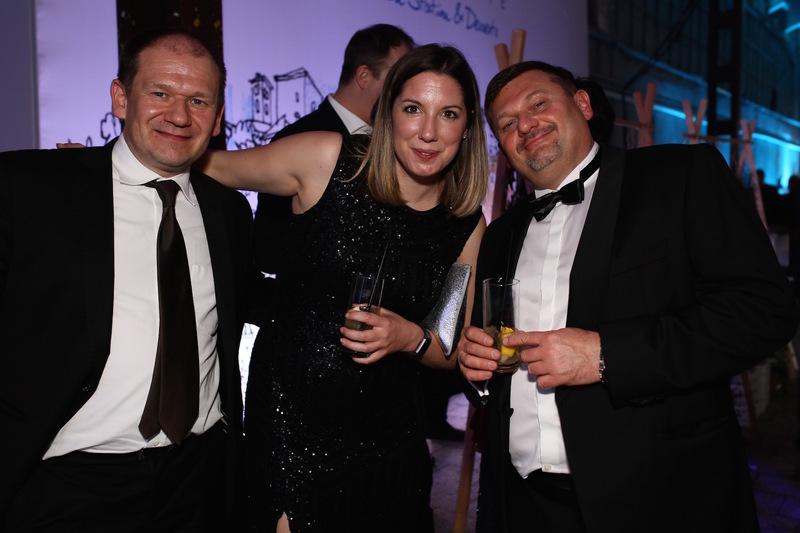 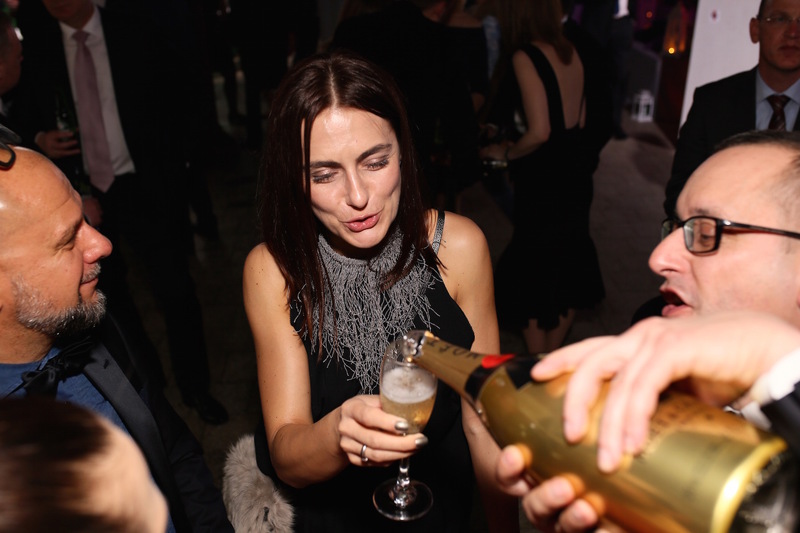 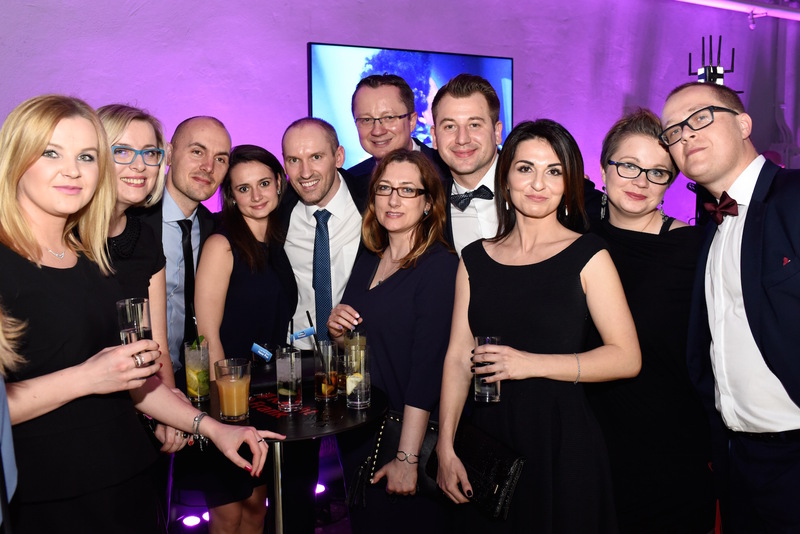 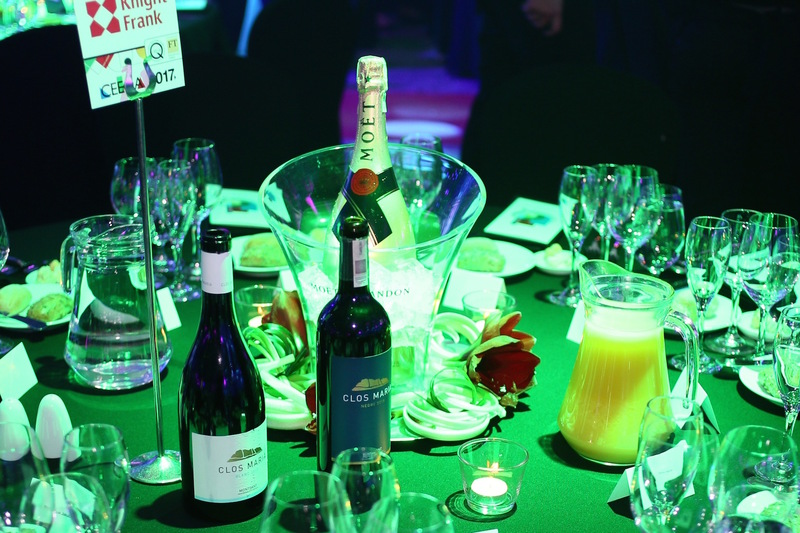 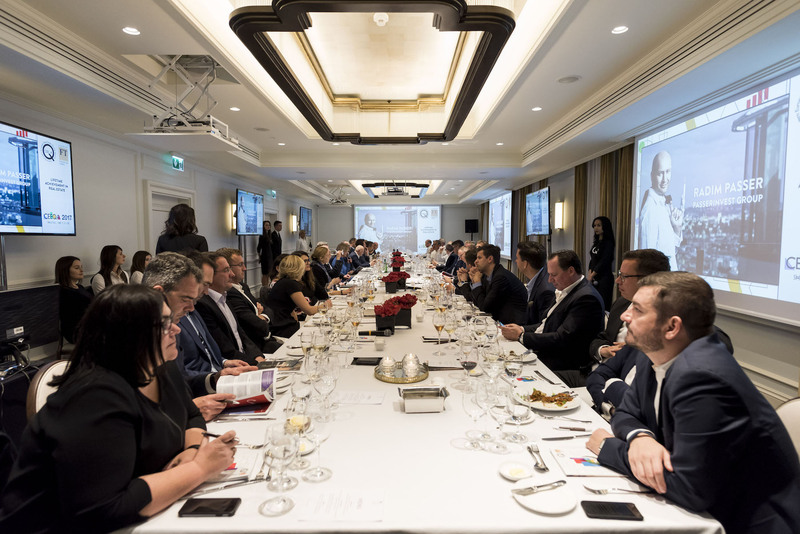 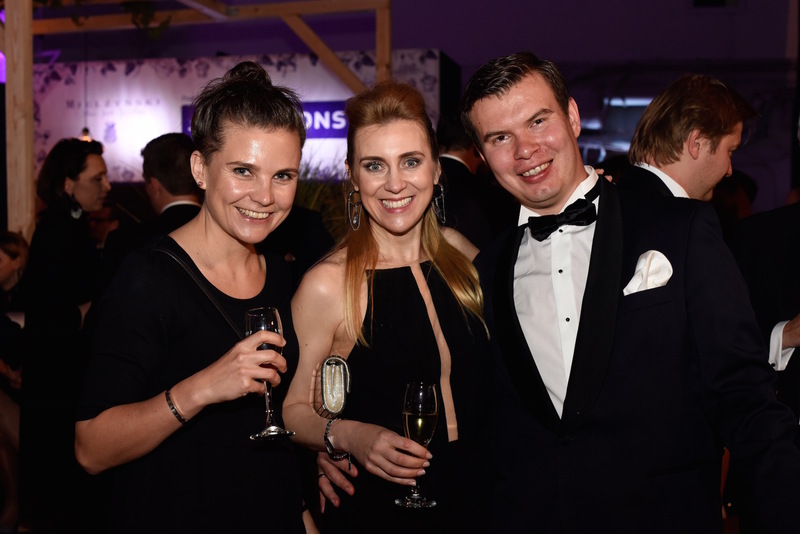 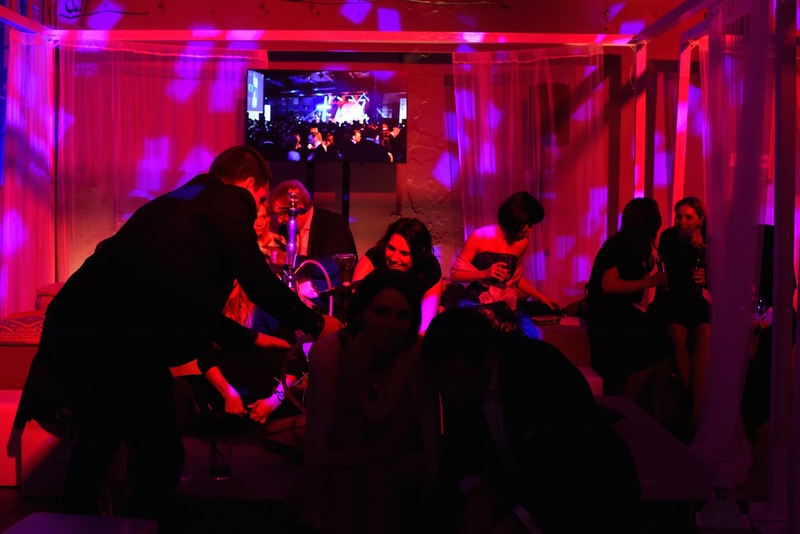 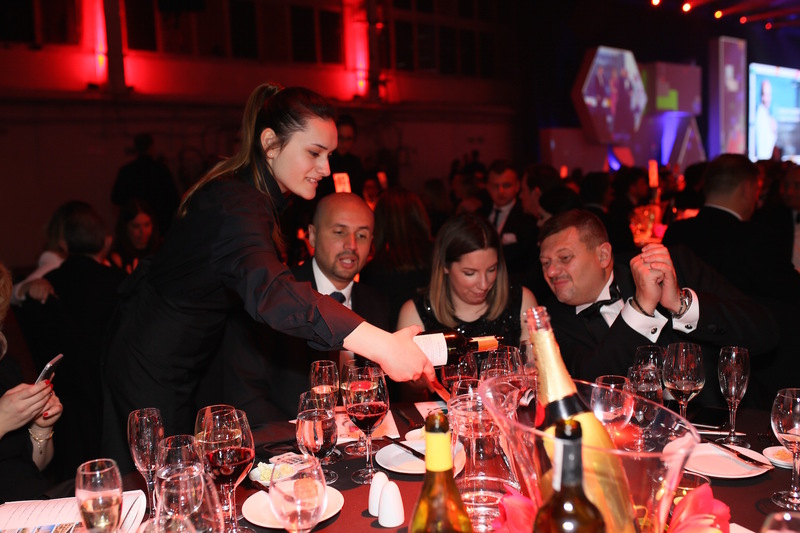 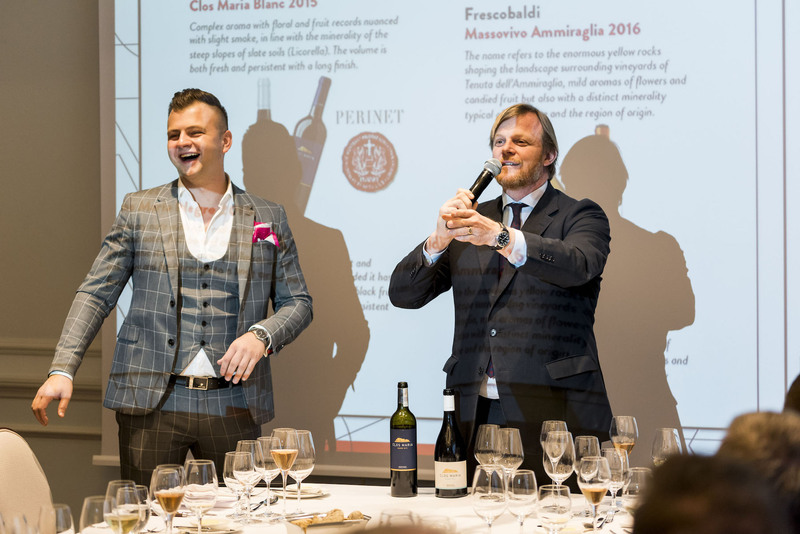 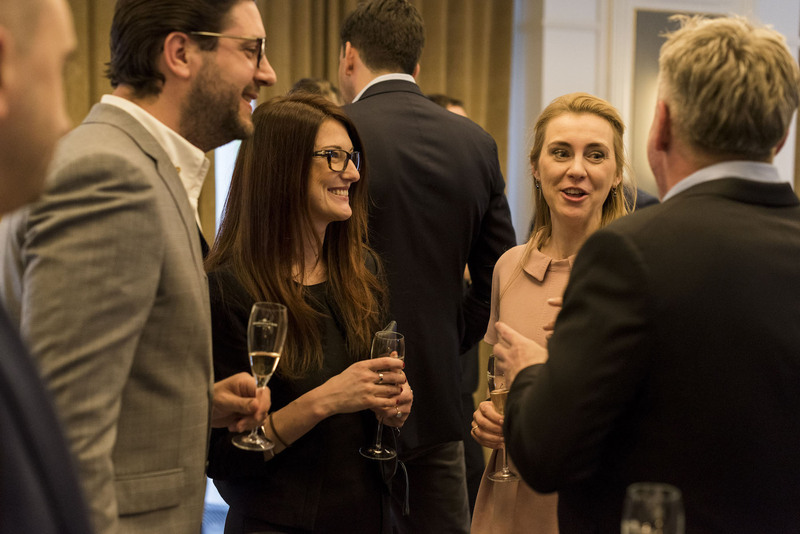 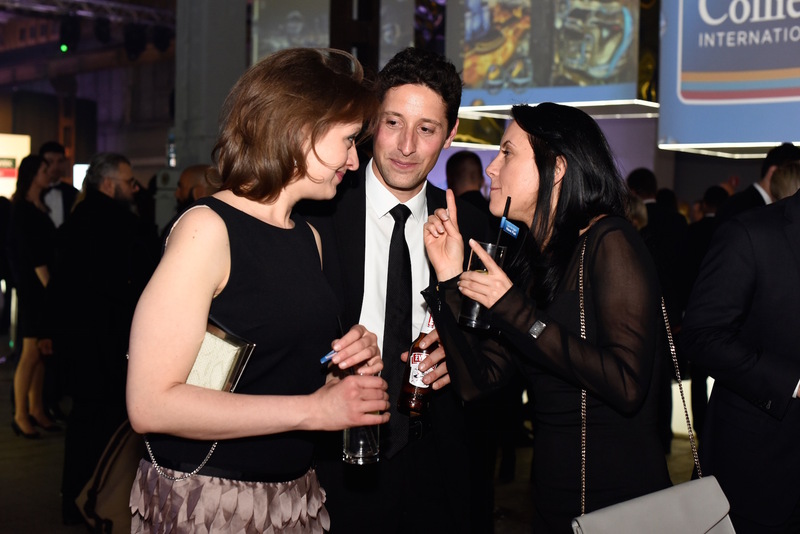 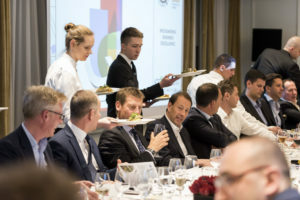 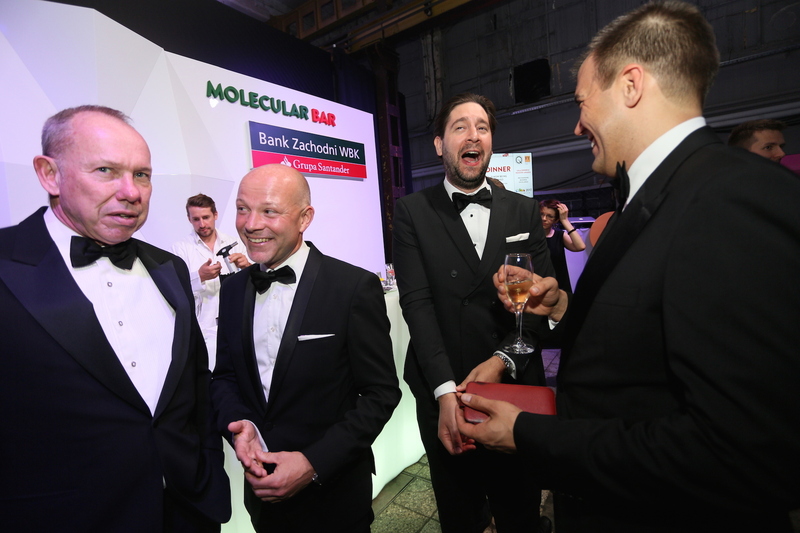 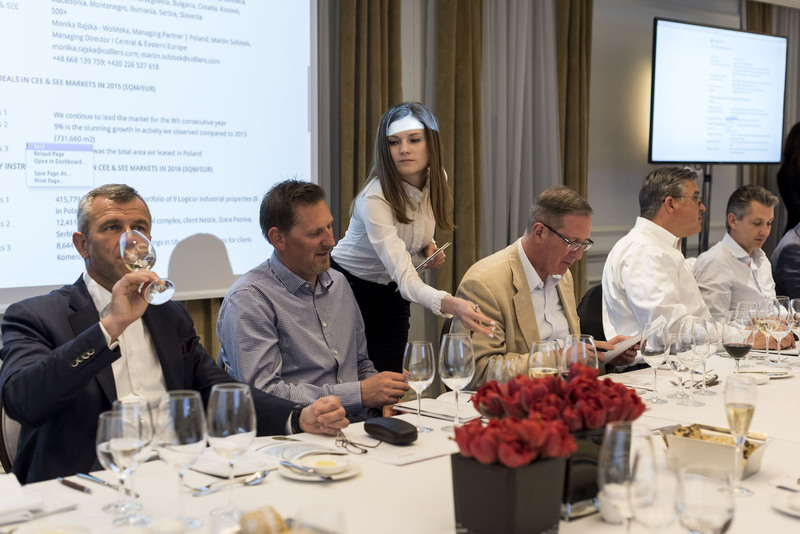 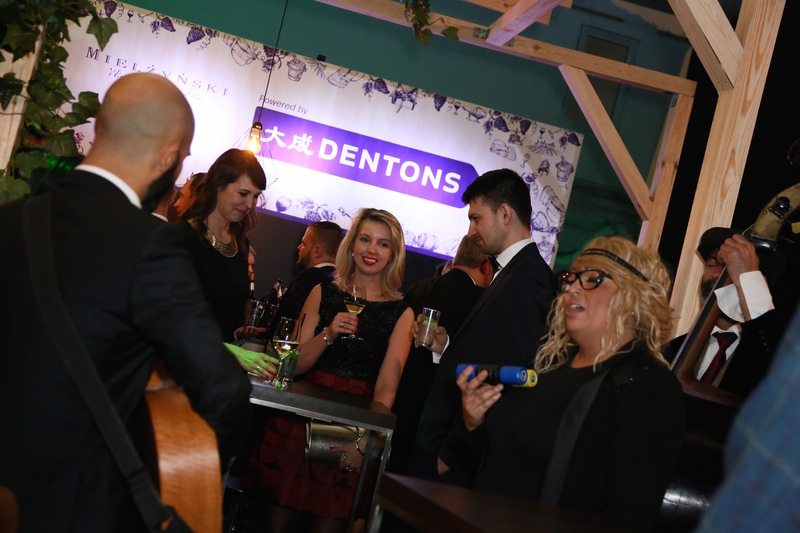 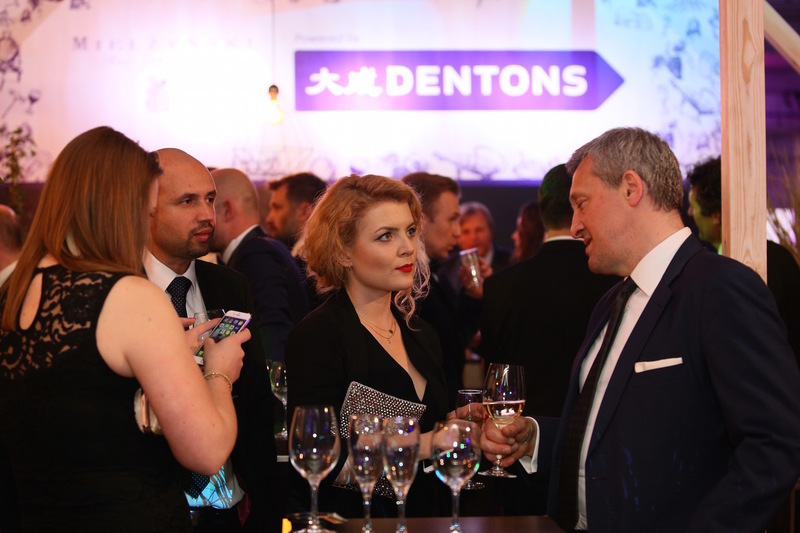 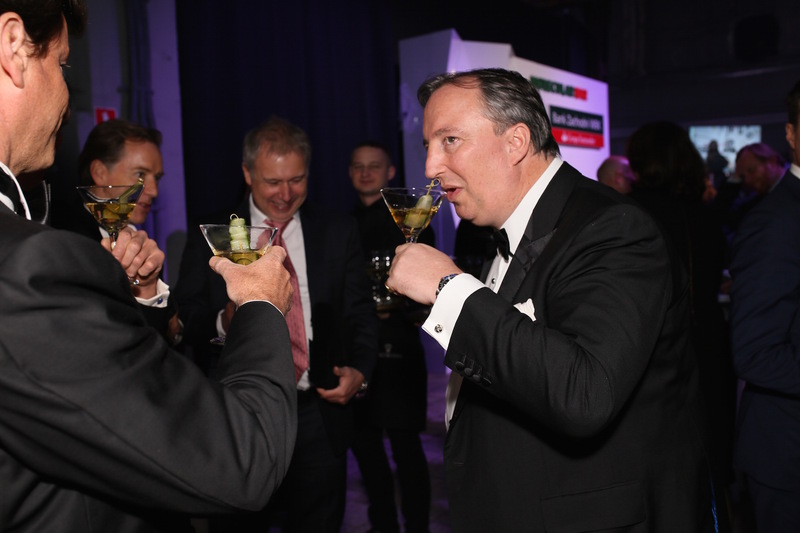 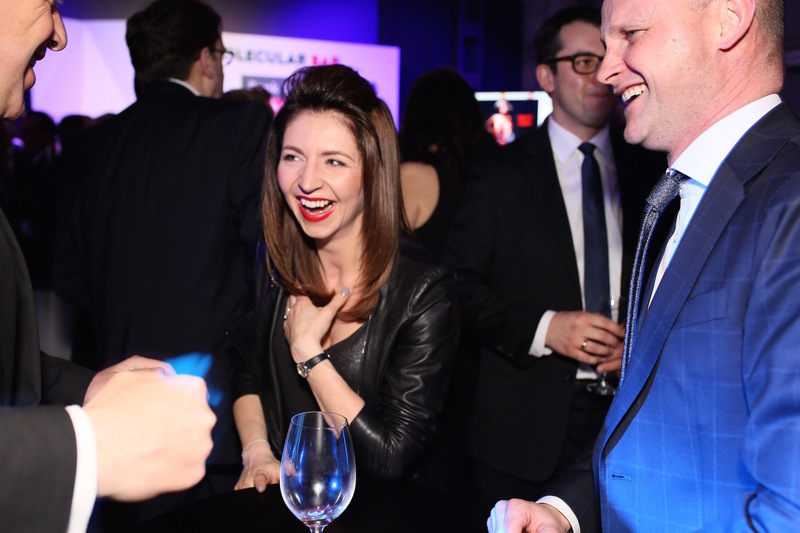 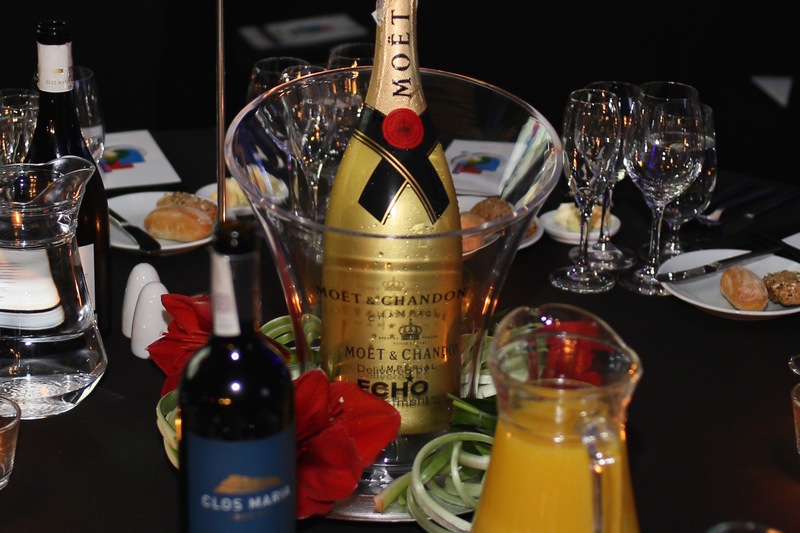 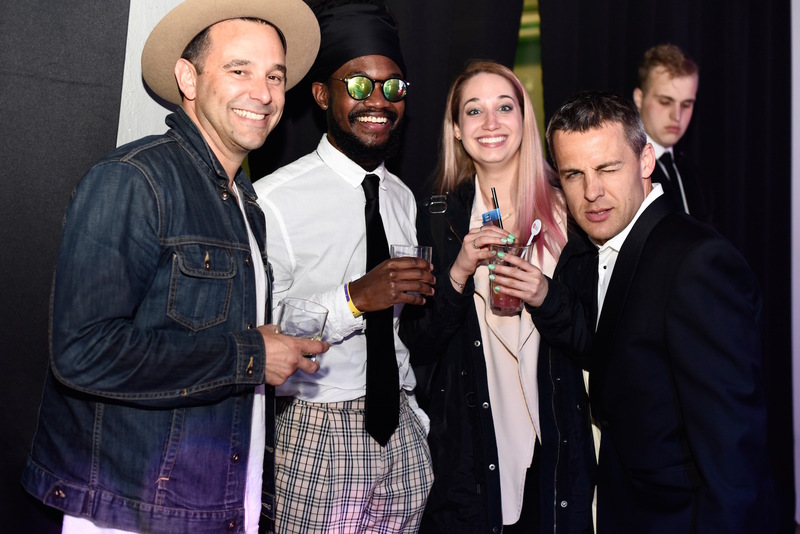 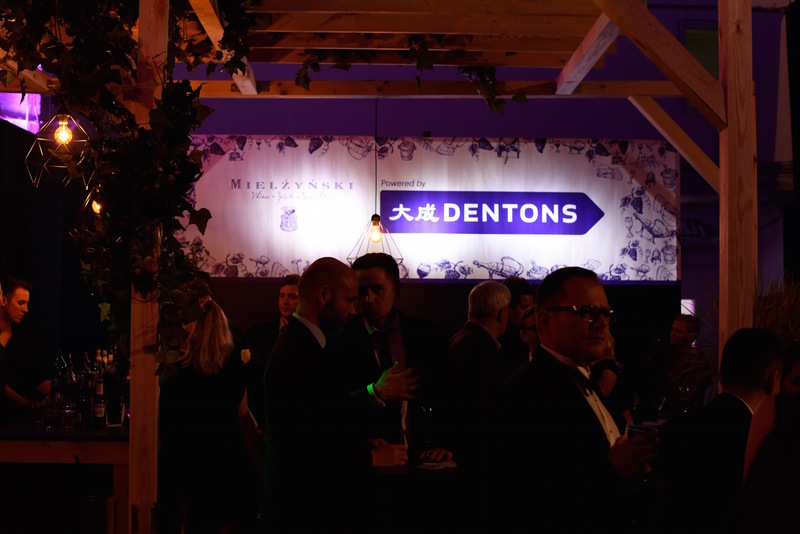 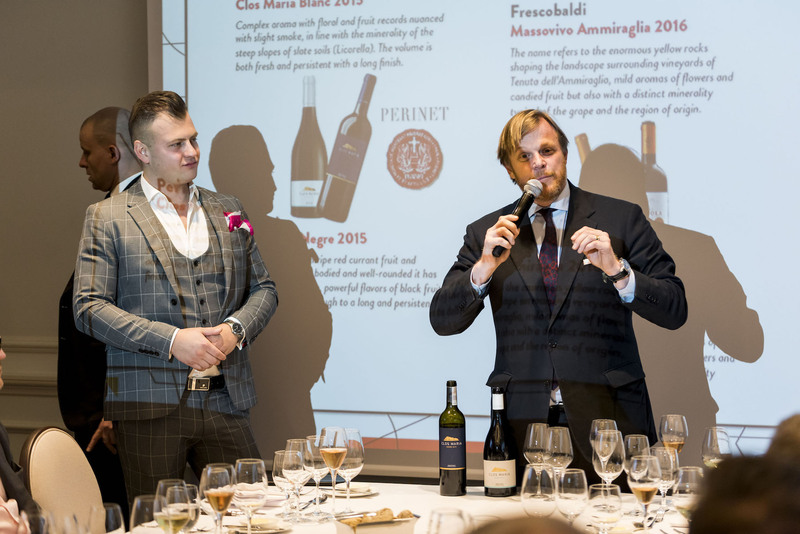 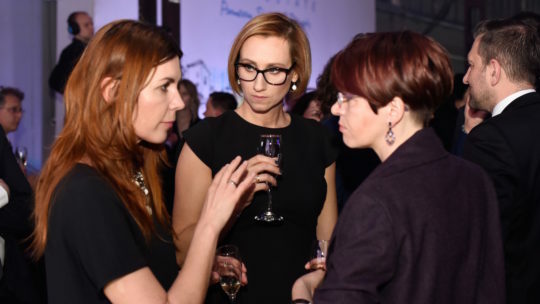 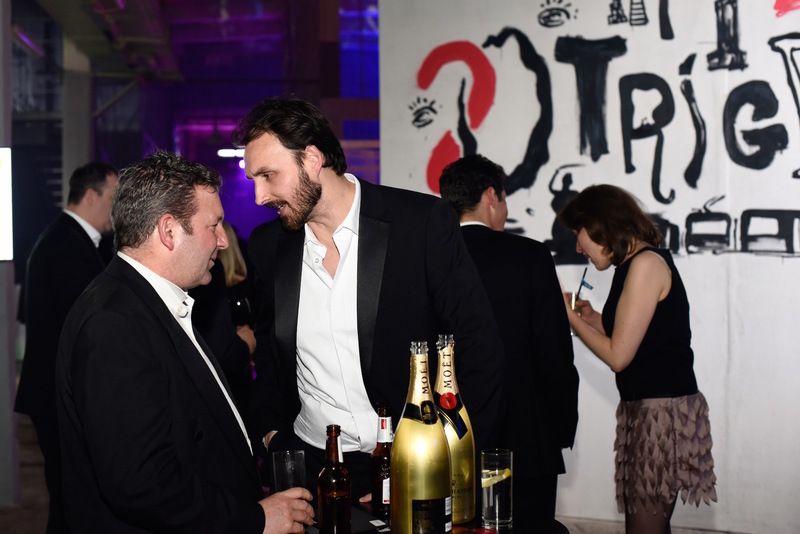 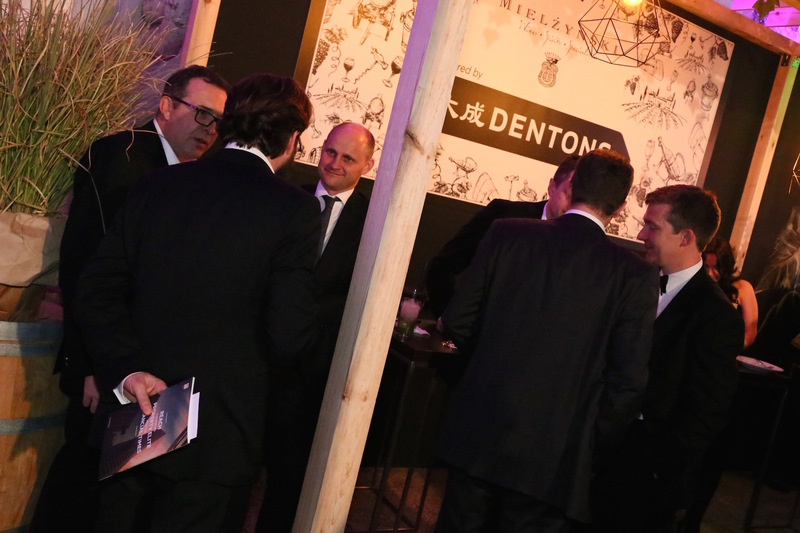 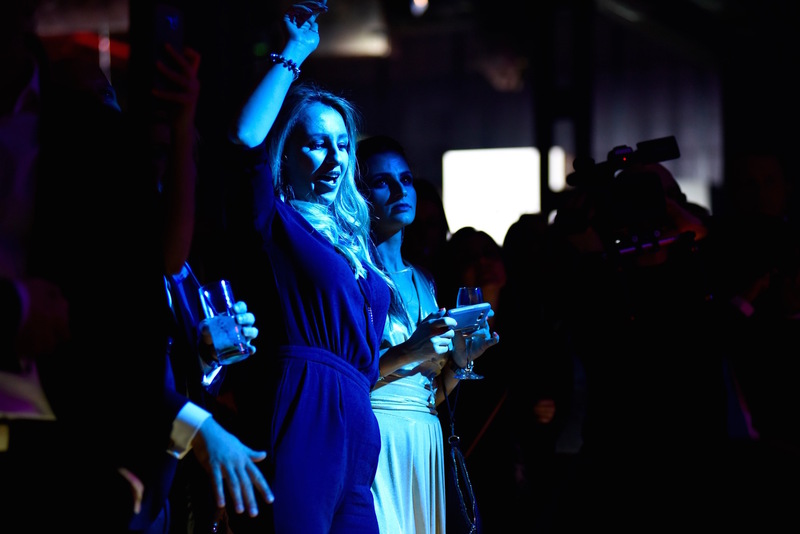 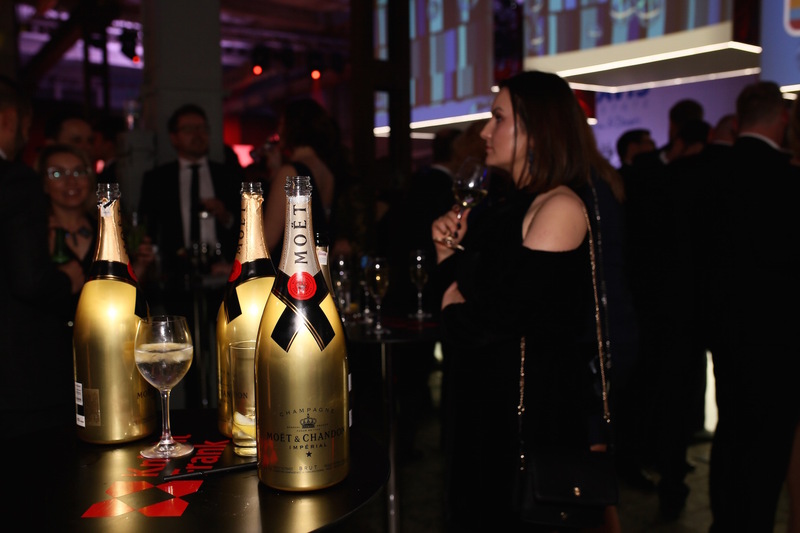 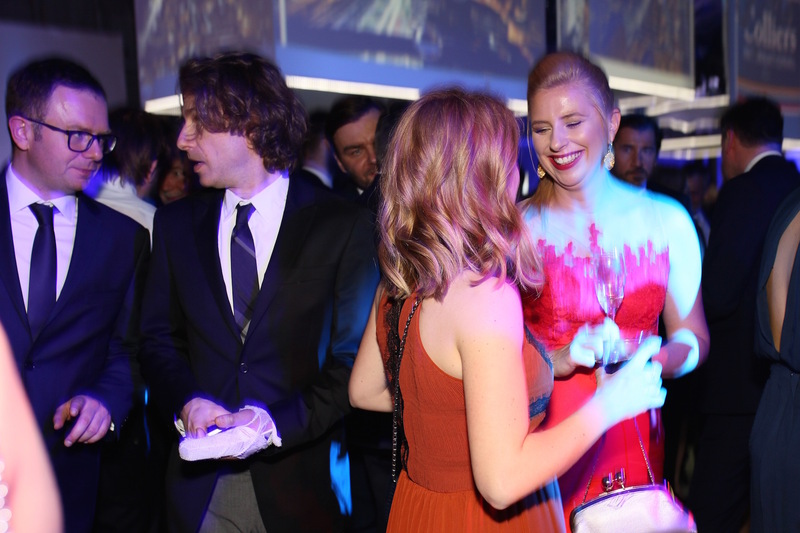 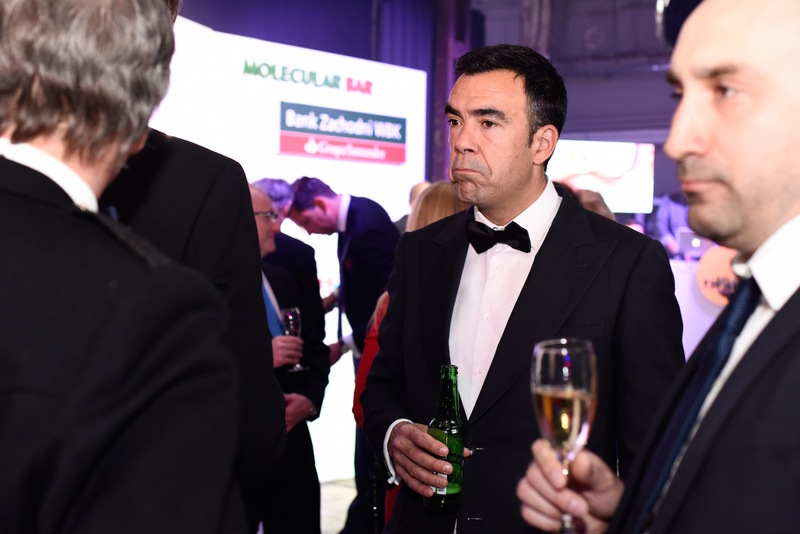 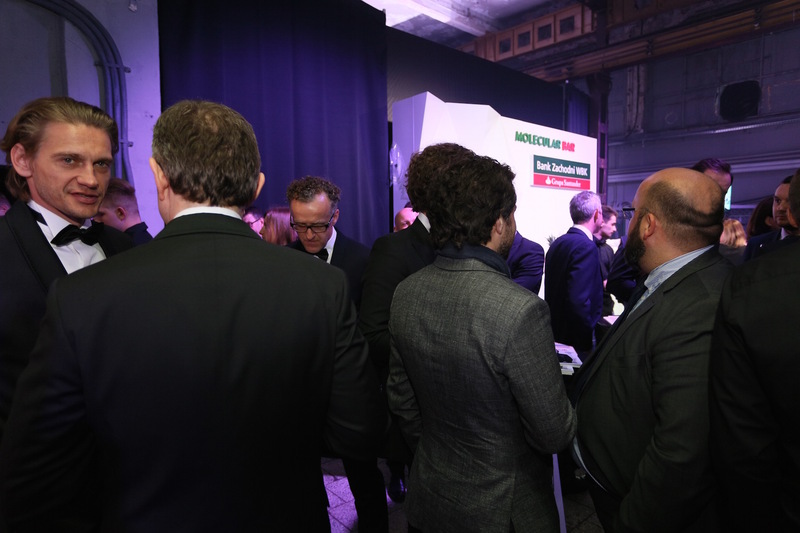 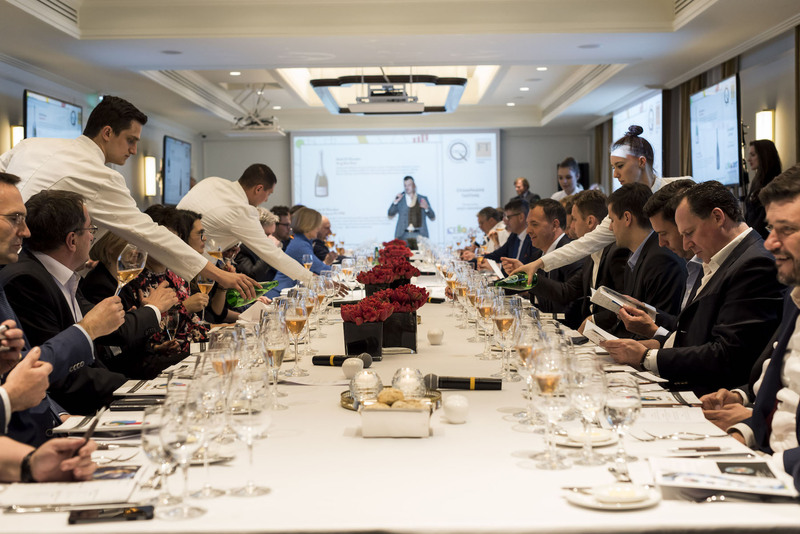 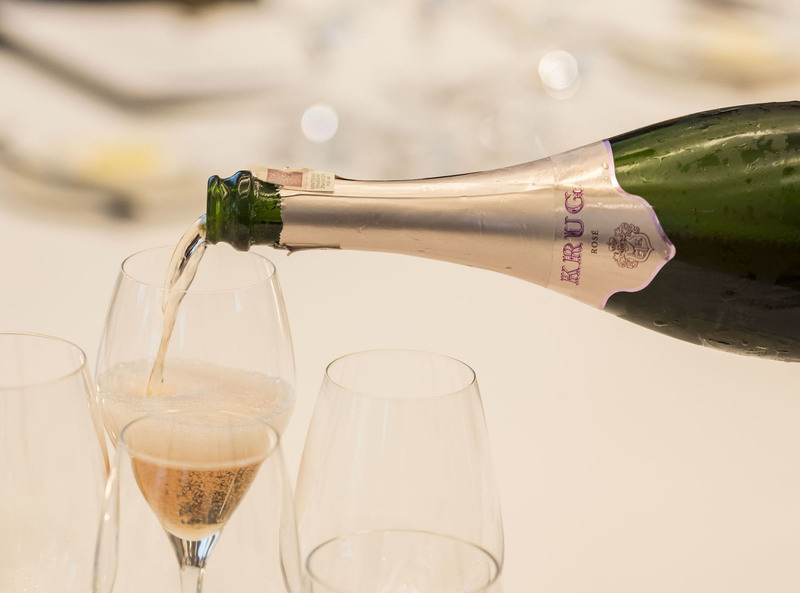 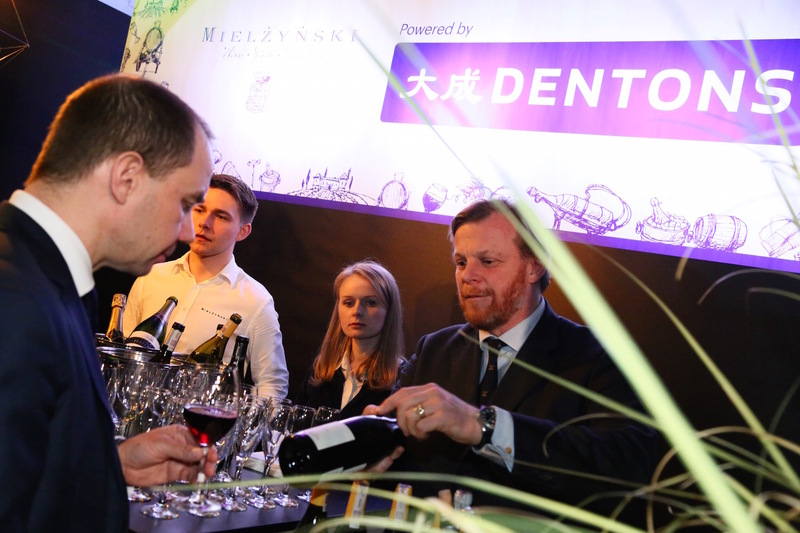 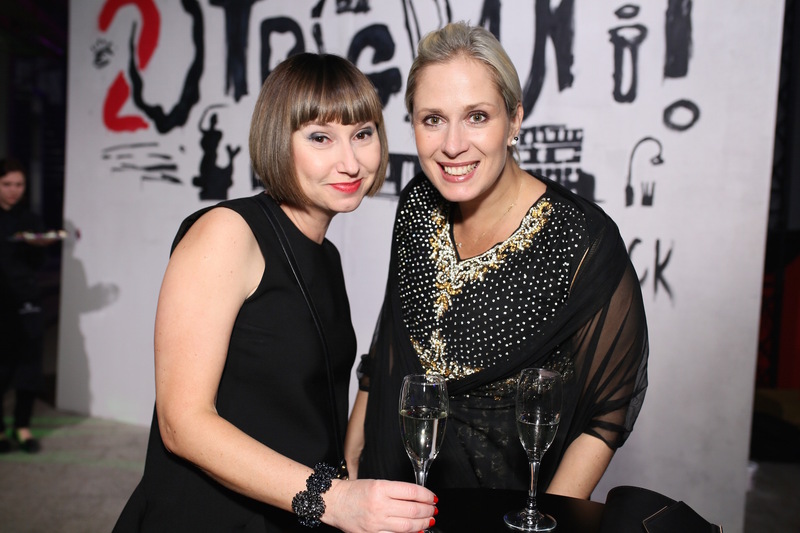 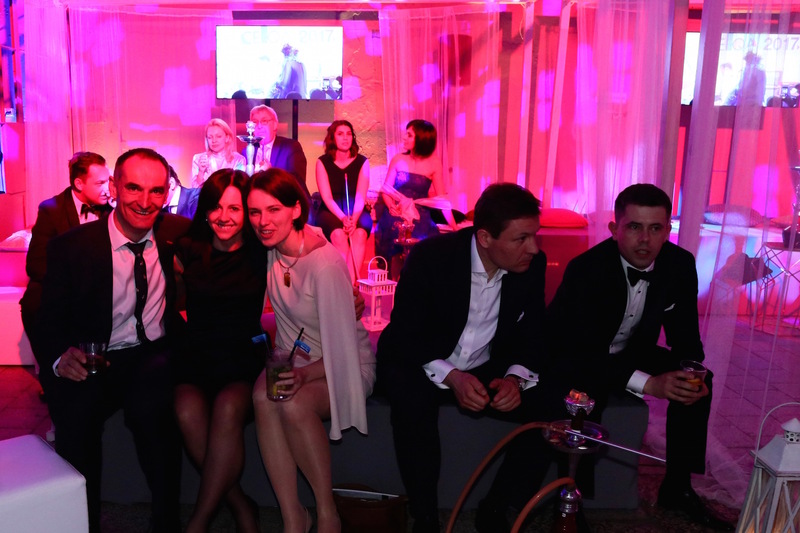 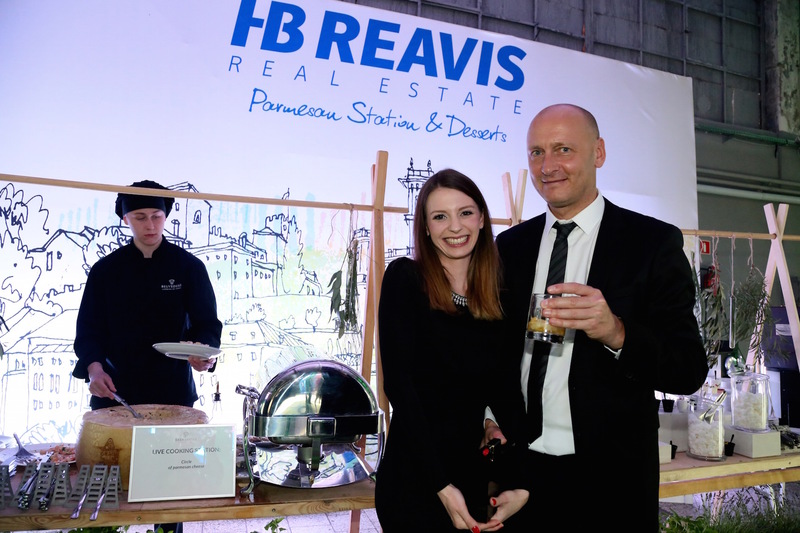 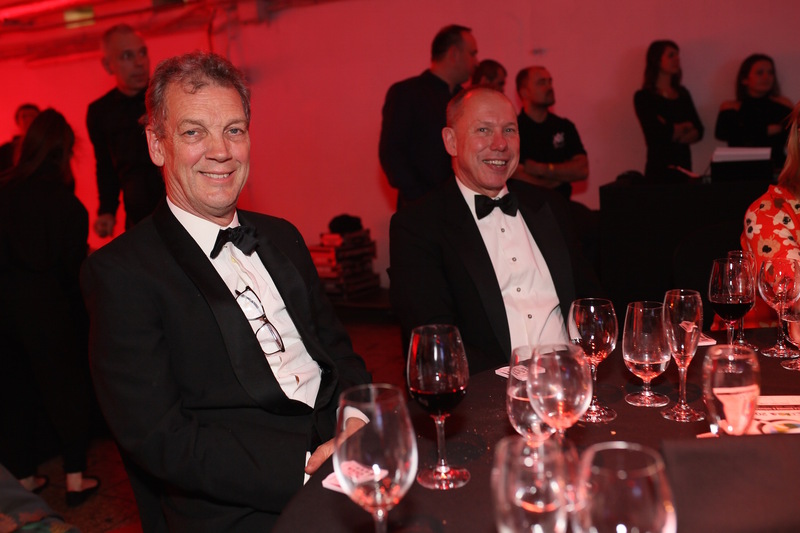 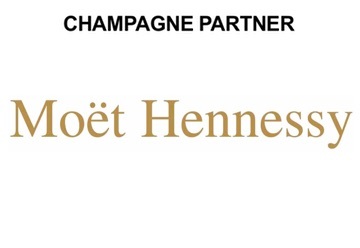 This year’s final deliberations were made at the annual Jury Cocktail Dinner at the Bristol Hotel Warsaw compered by Monika Zamachowska and included a tasting of rare champagnes hosted by Moet Hennessy and wines by Spanish vineyard Perinet and Italian producers Mazzei and Frescobaldi. 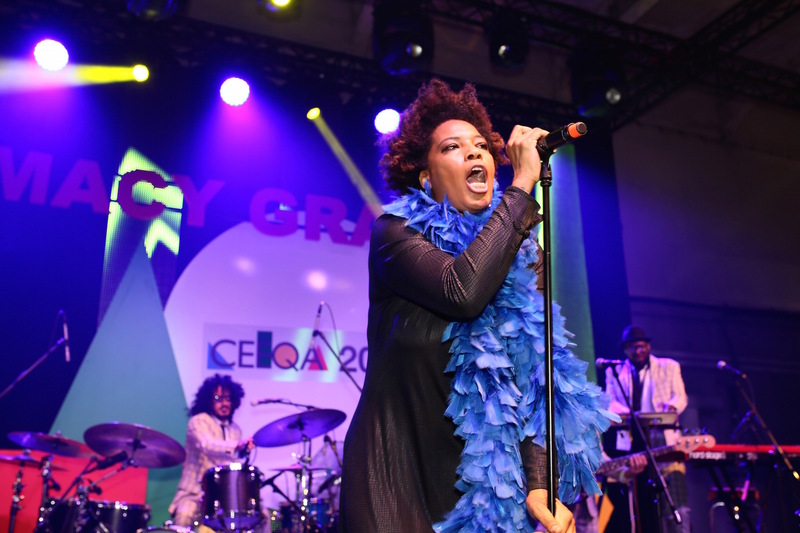 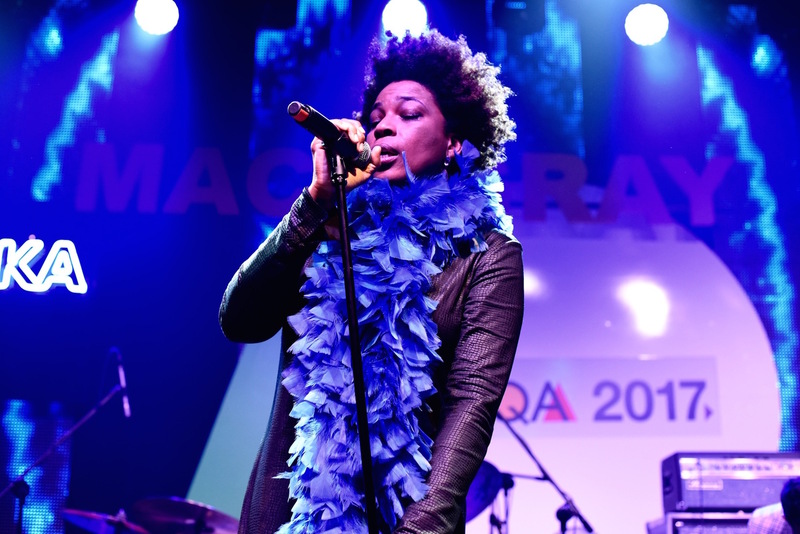 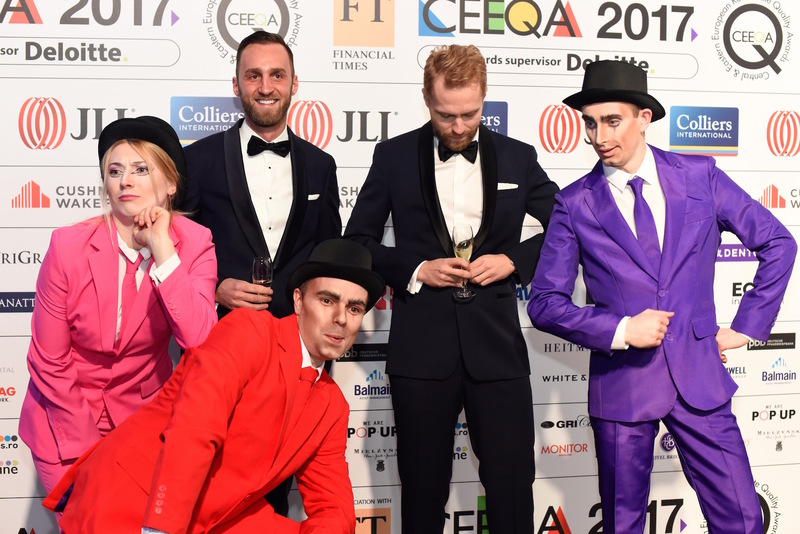 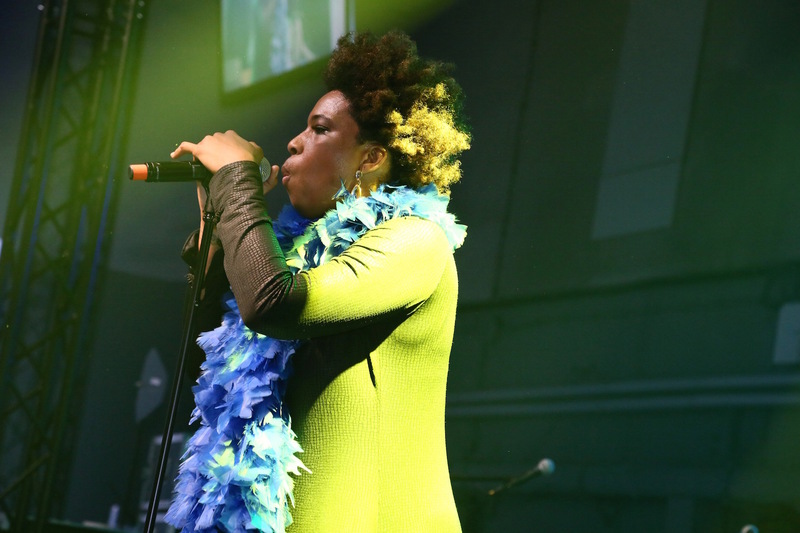 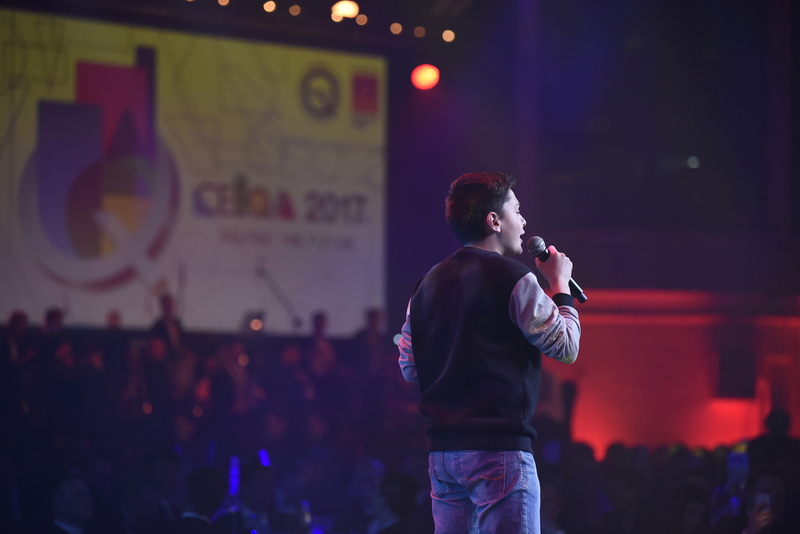 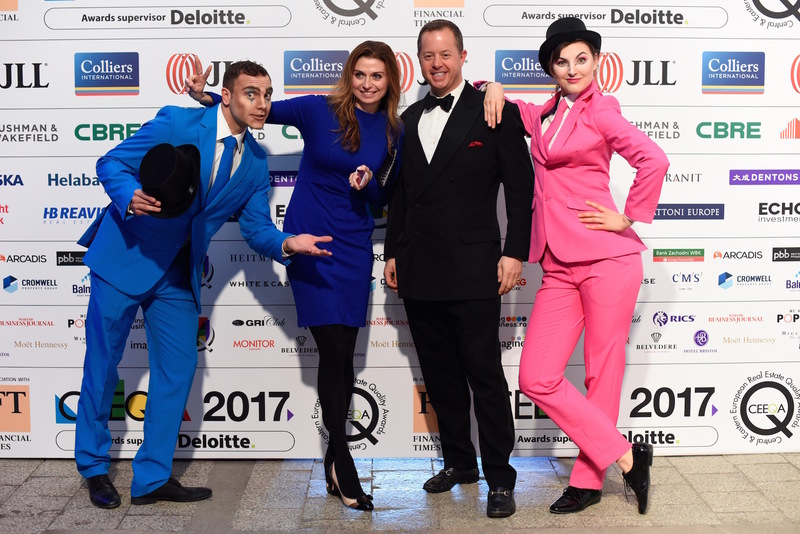 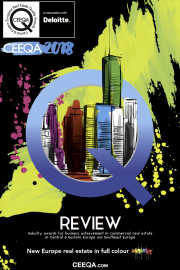 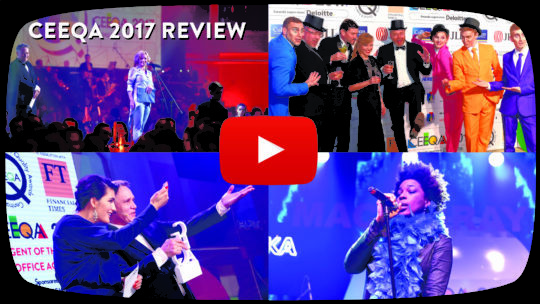 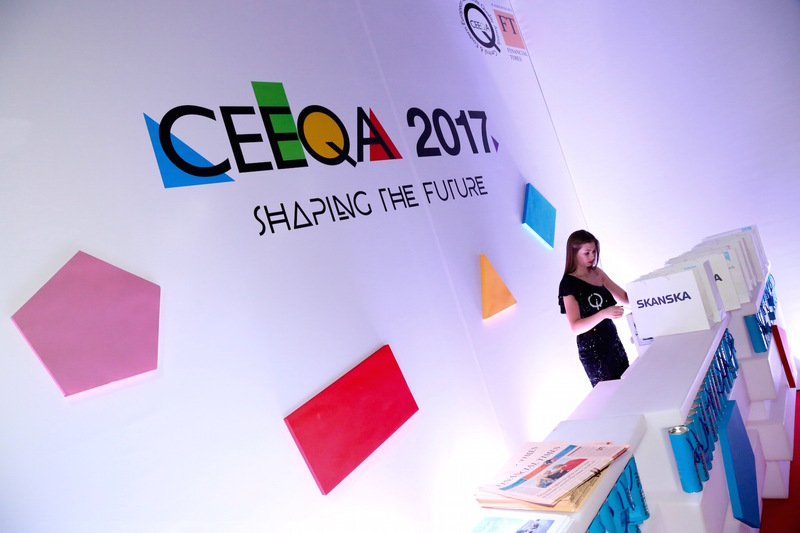 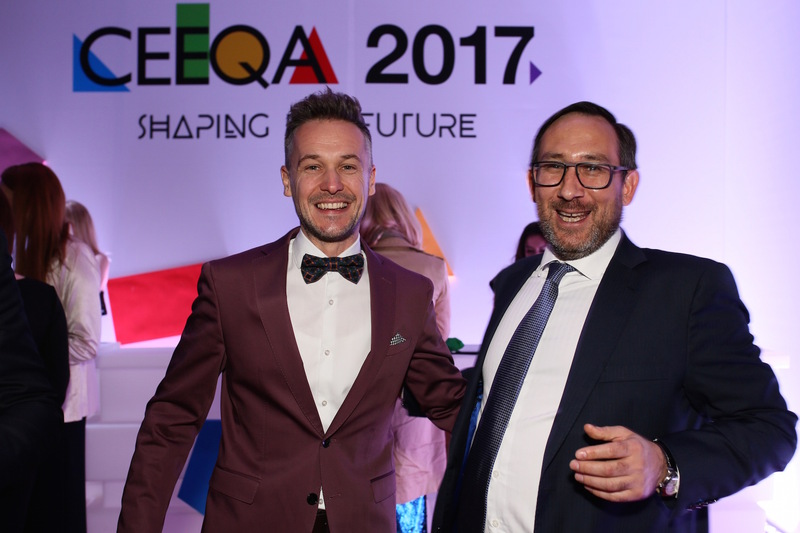 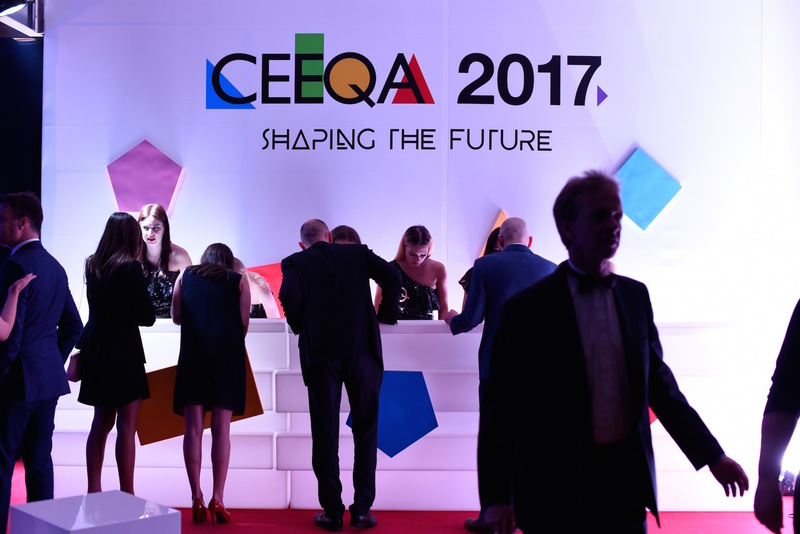 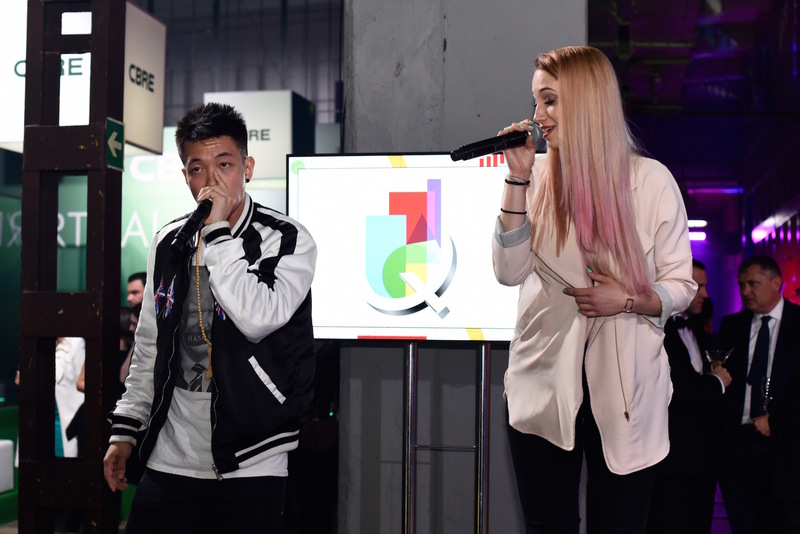 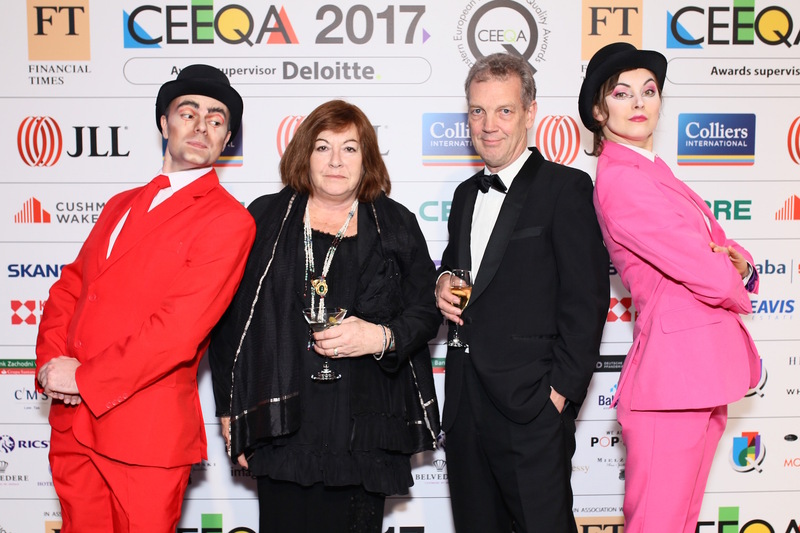 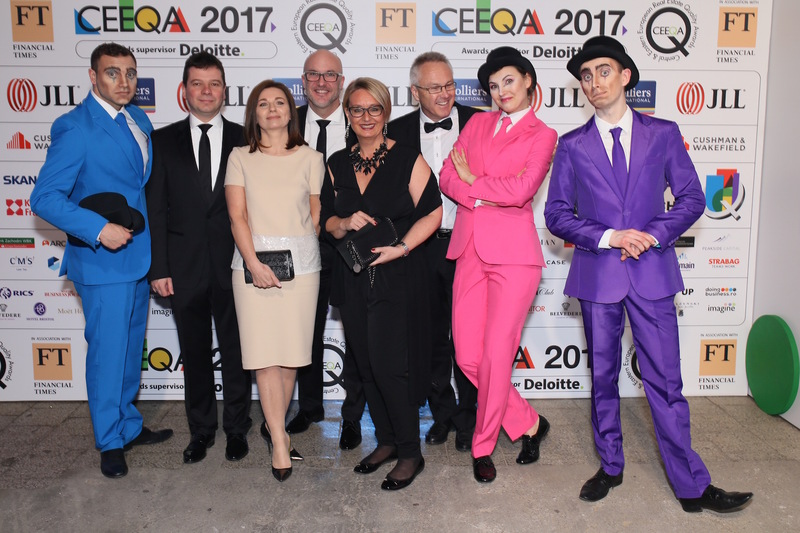 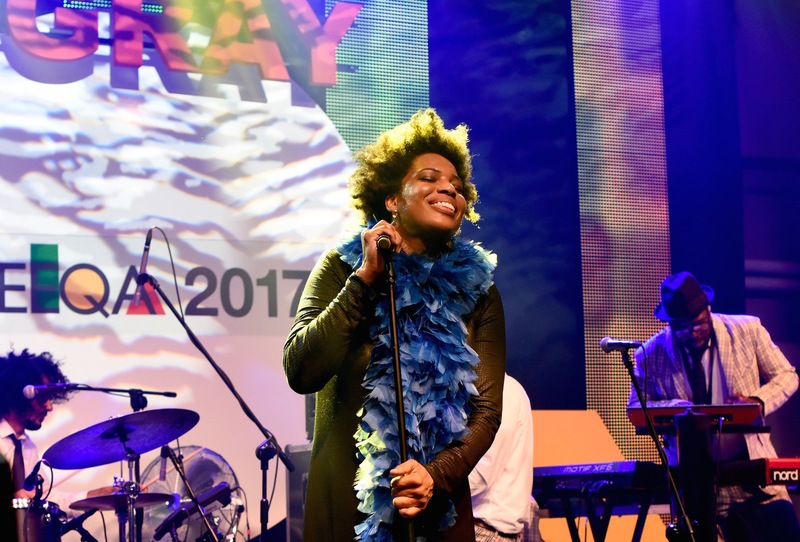 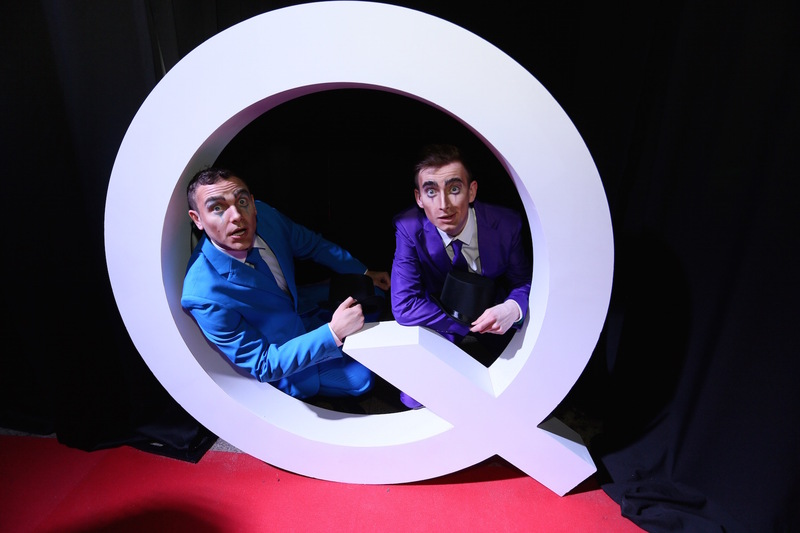 For the full story of the 14th edition of CEEQA visit our 2017 Review page. 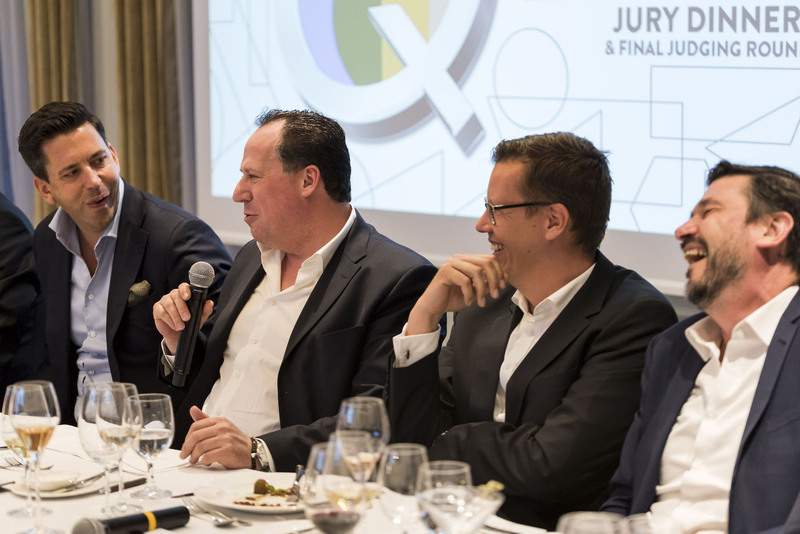 Jury Nominations: Elected jurors provide a list of their own nominations in the year’s award categories as part of the call for entries process. 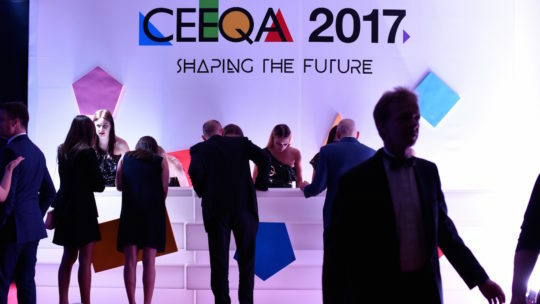 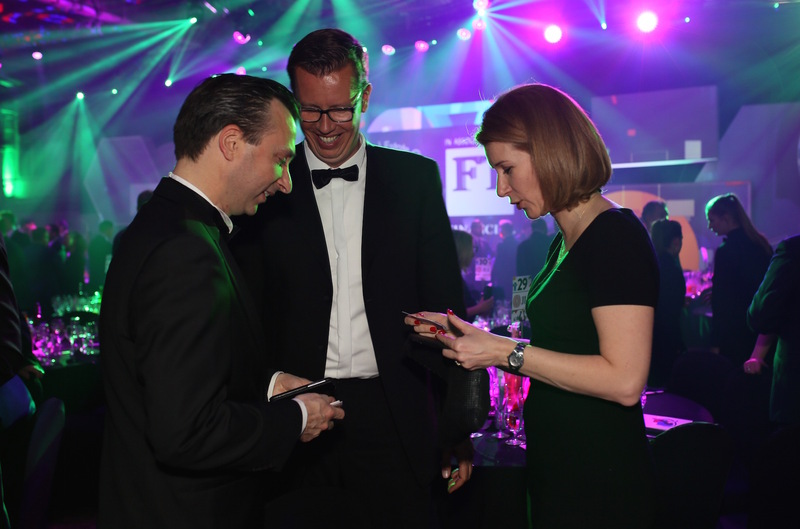 Online Assessment: Initial assessment through our online judging system more than 500 award entries from across the sector to decide the annual CEEQA Short List announced each March a month ahead of the CEEQA Gala. 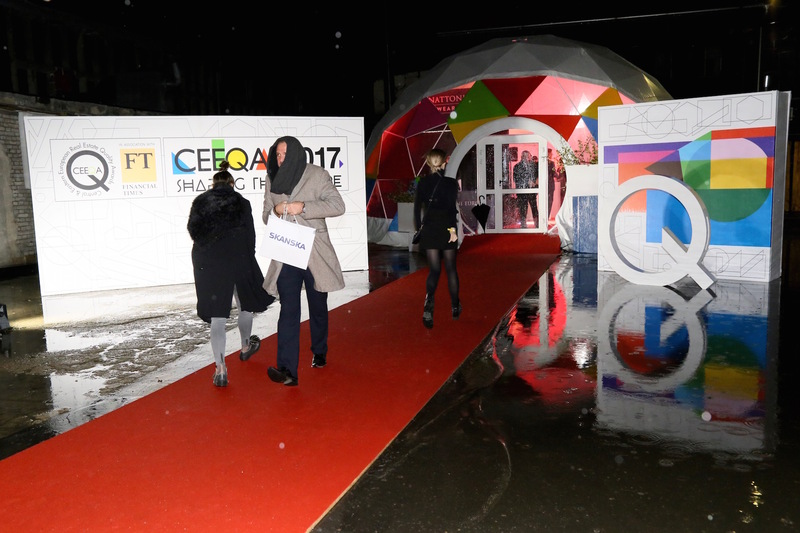 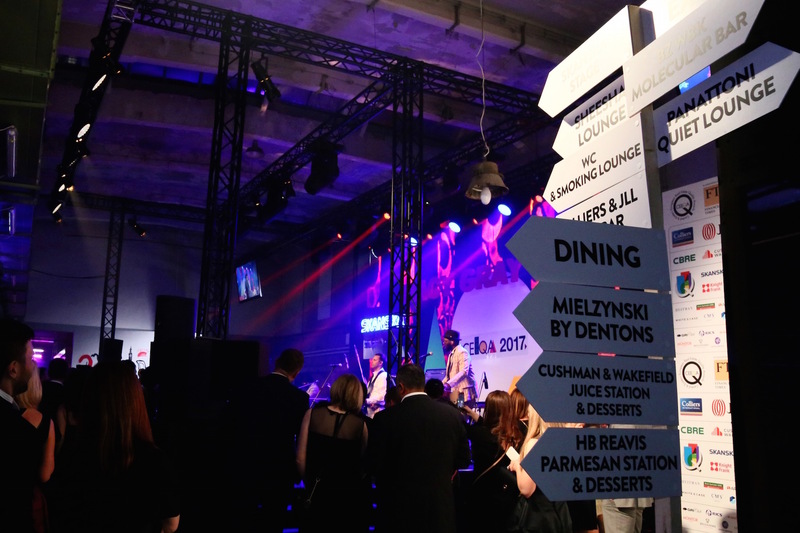 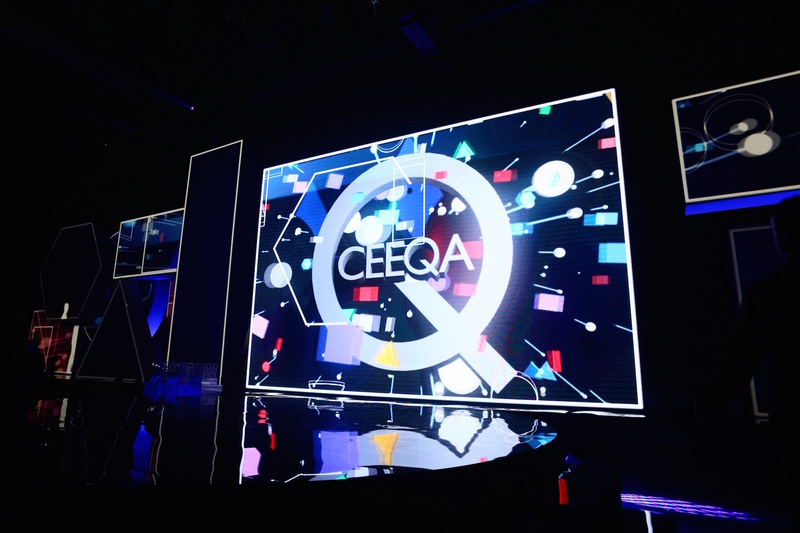 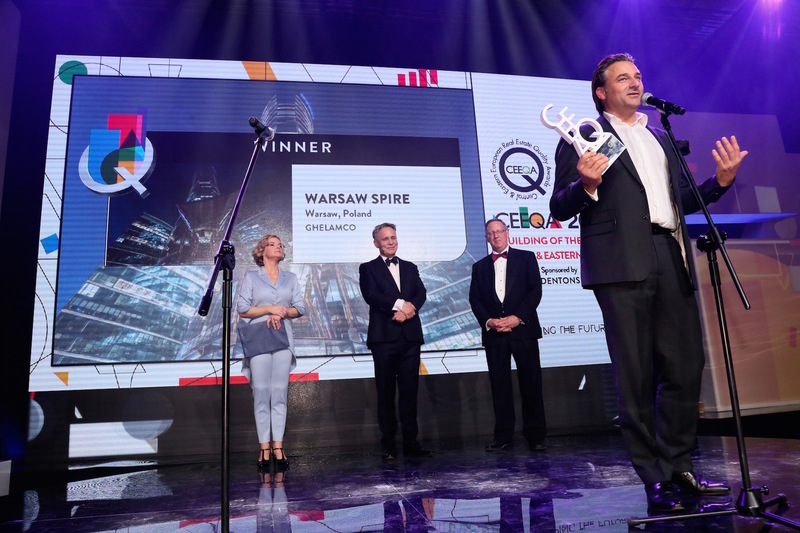 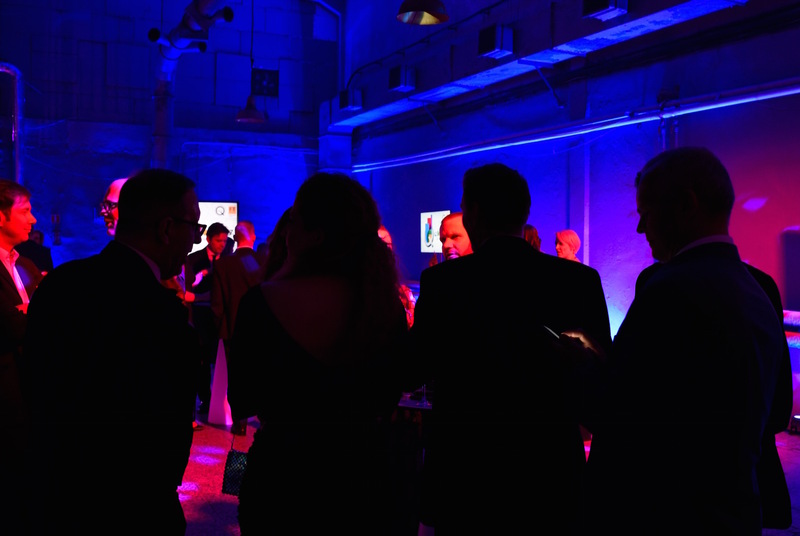 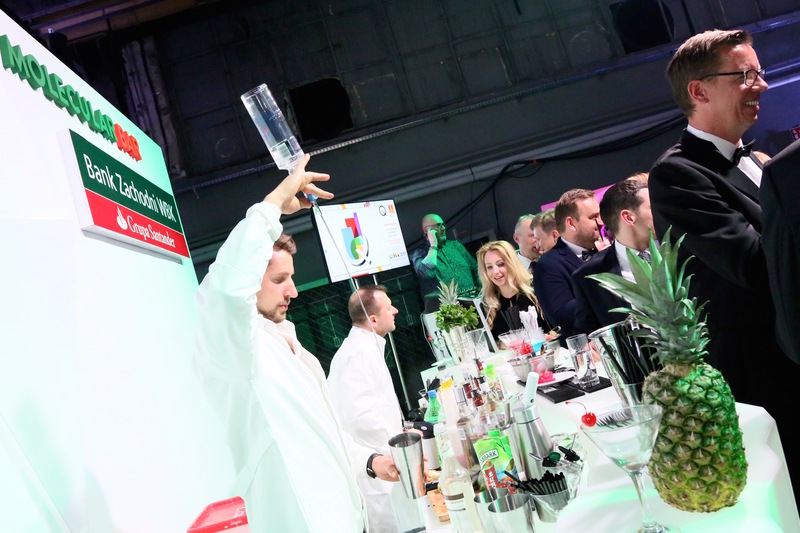 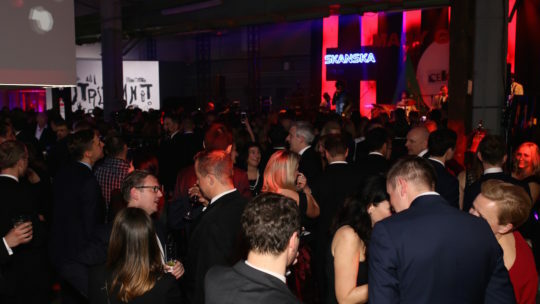 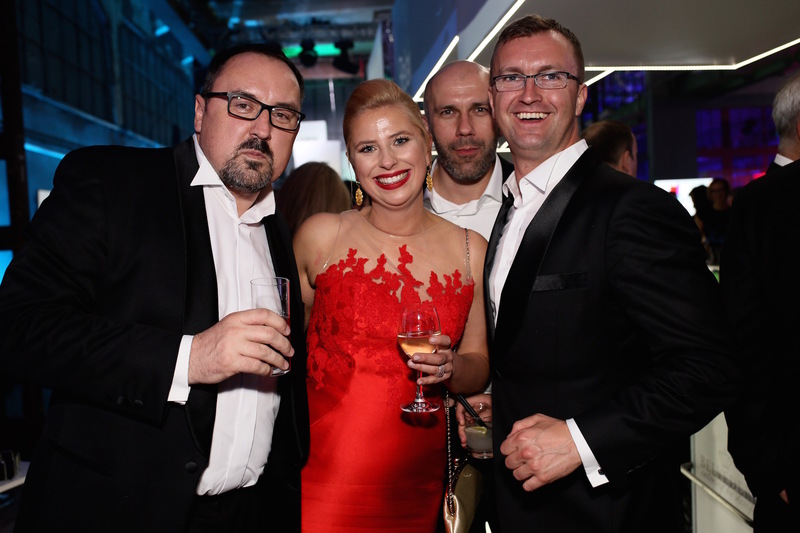 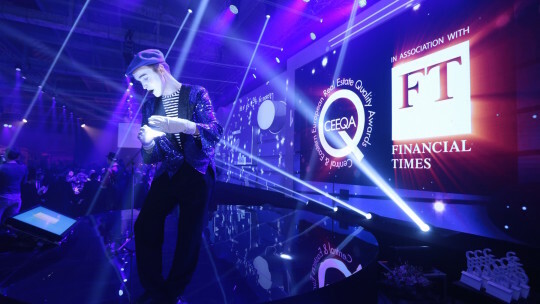 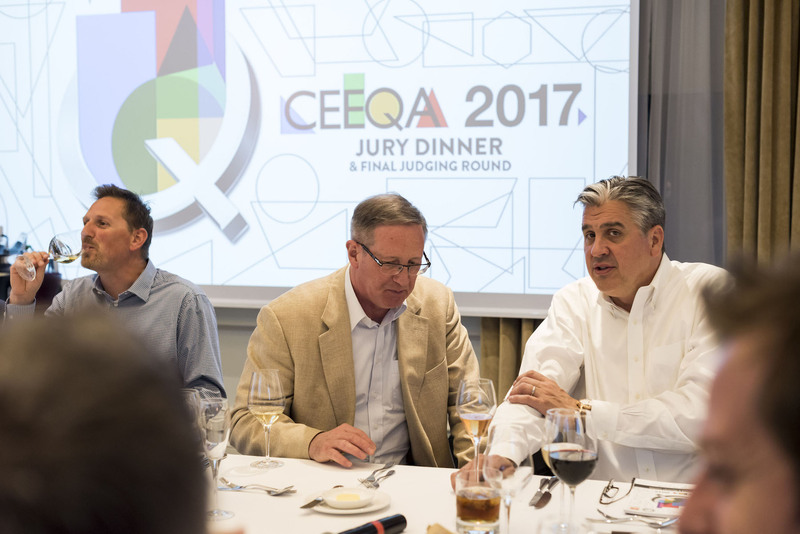 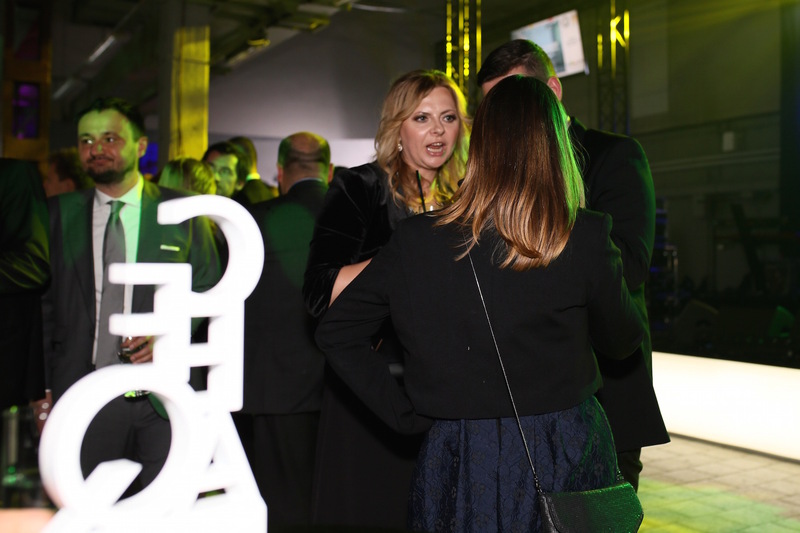 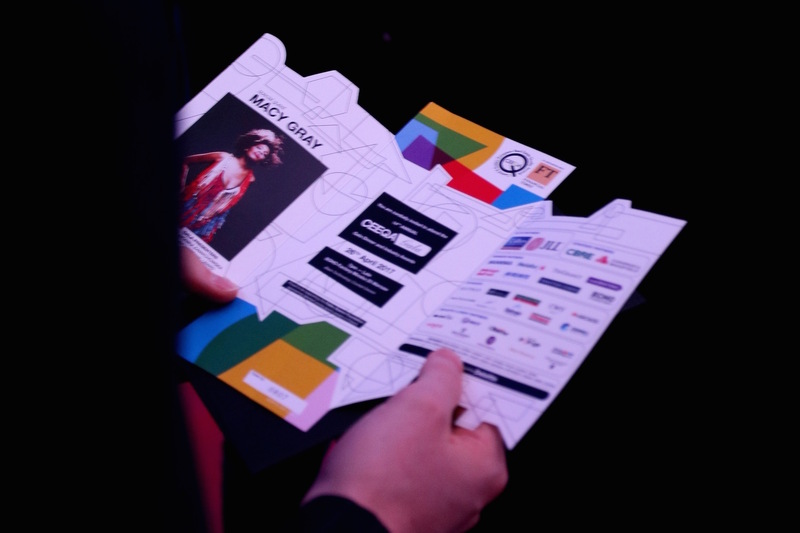 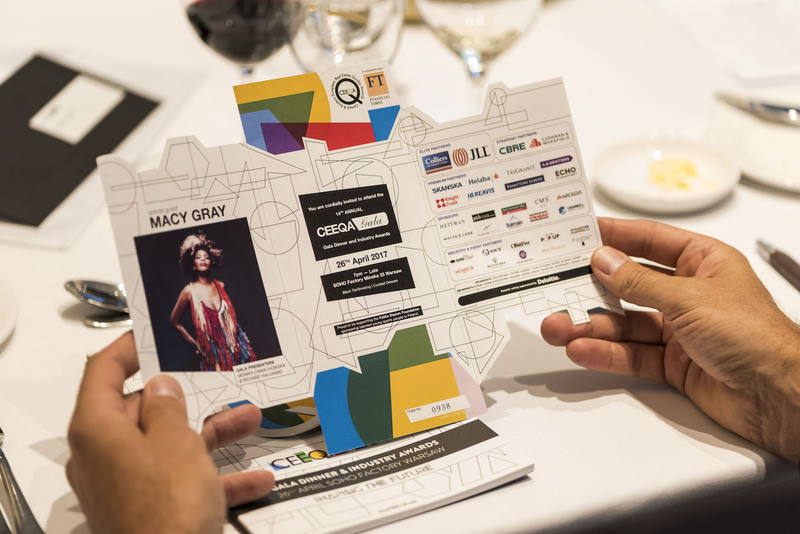 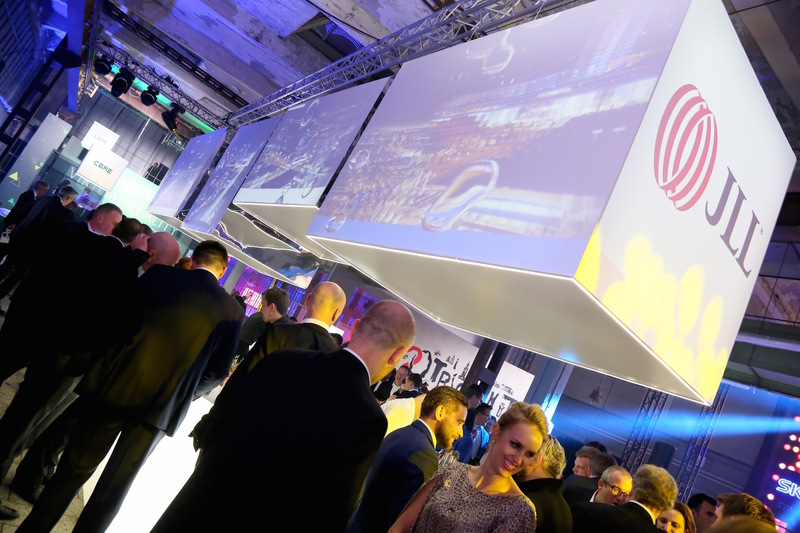 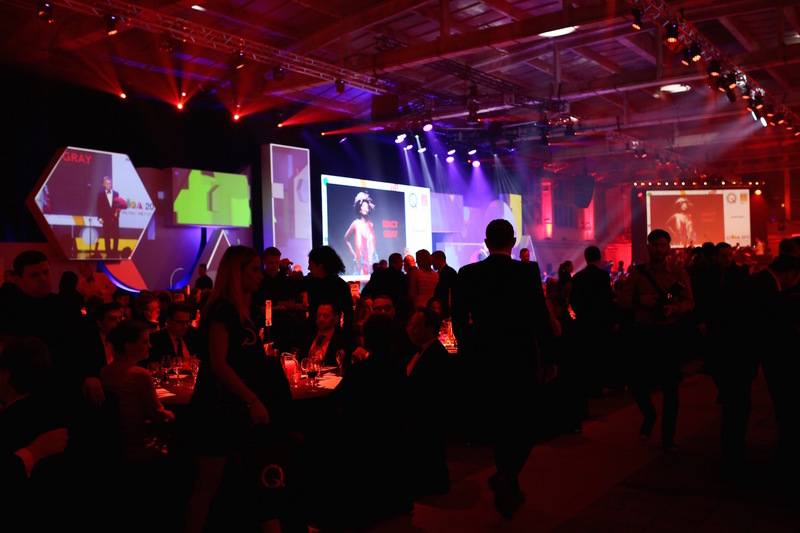 Final Judging Round: The entire panel convenes each spring in Warsaw for the CEEQA Jury Dinner on the day before the CEEQA Gala to select the winners in each award category from the short listed nominees. 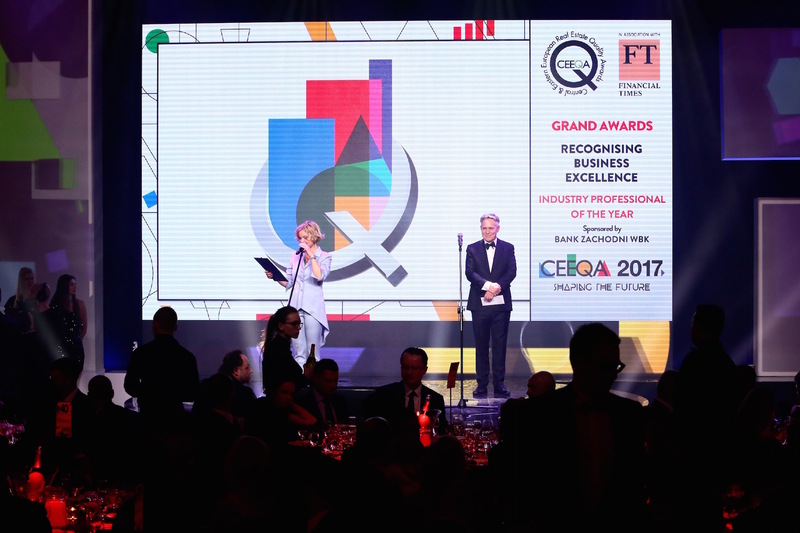 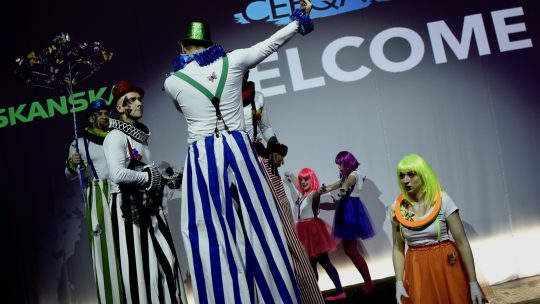 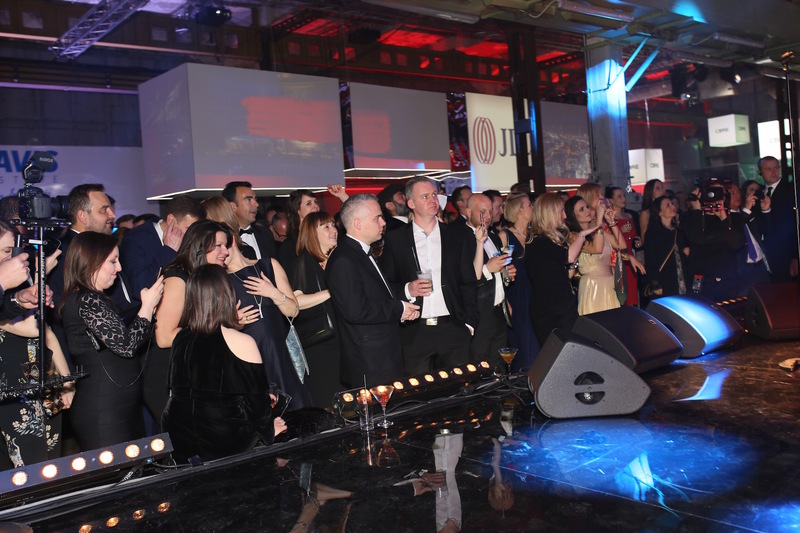 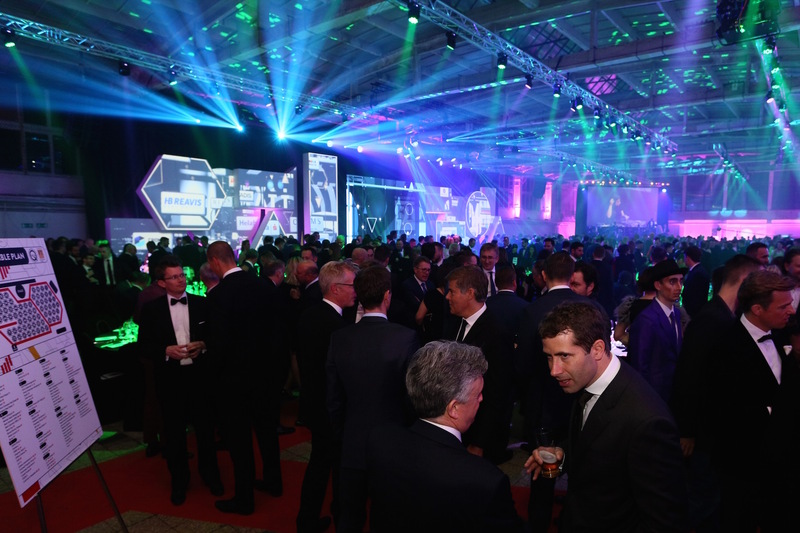 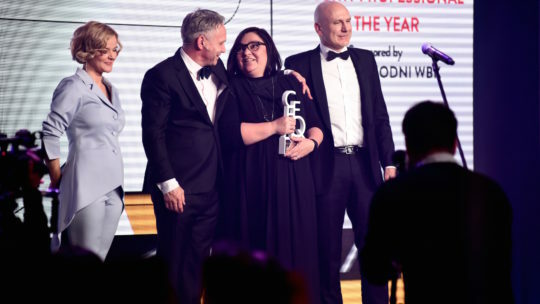 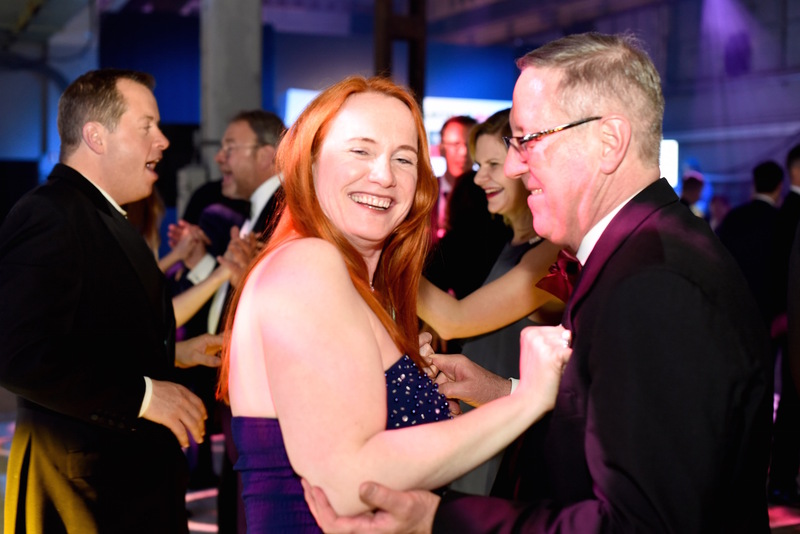 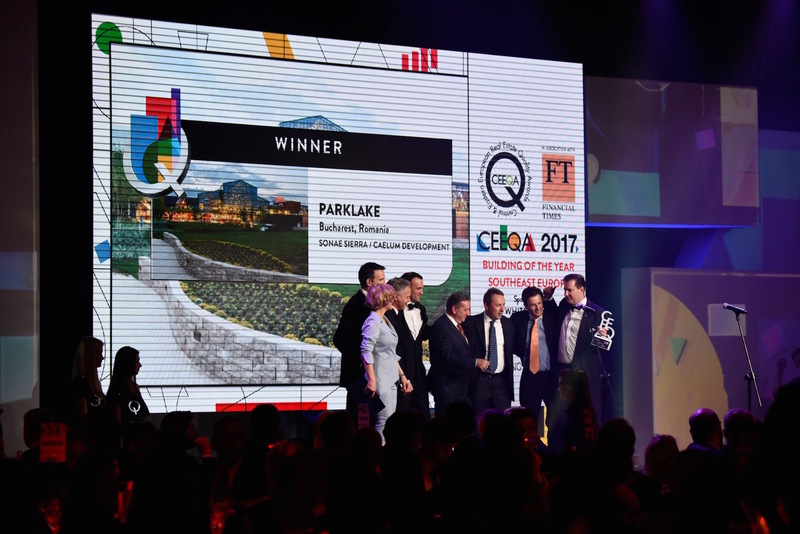 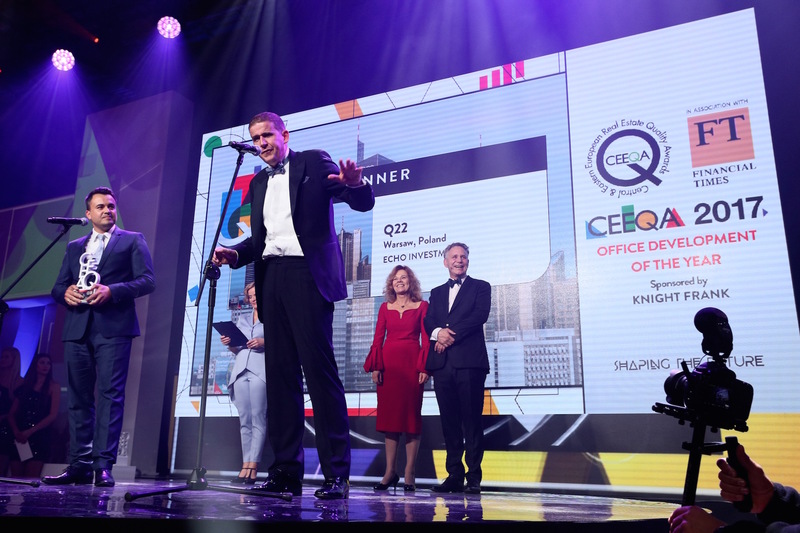 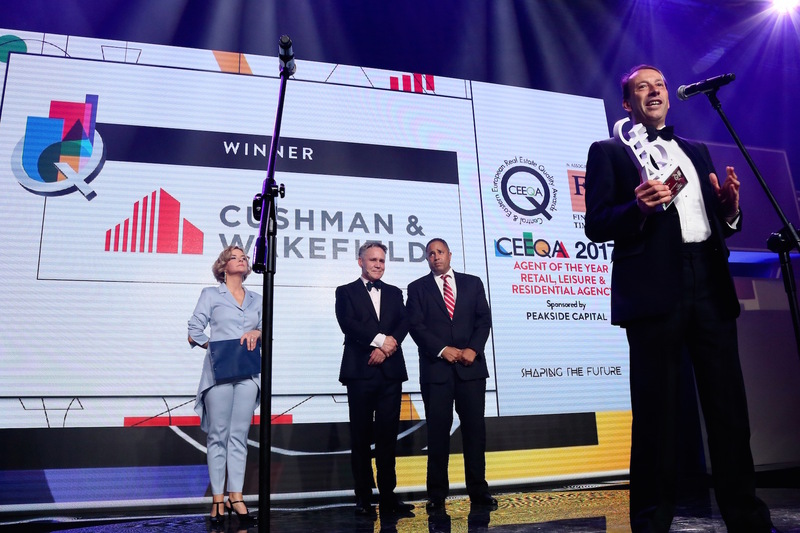 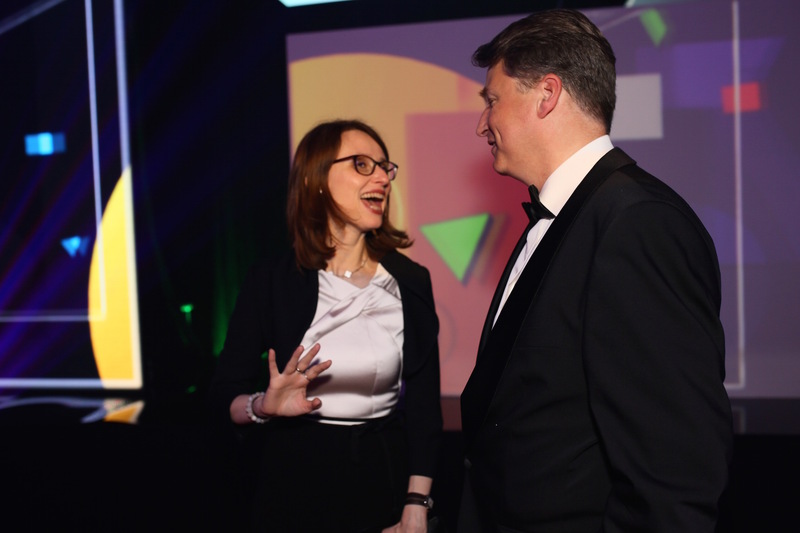 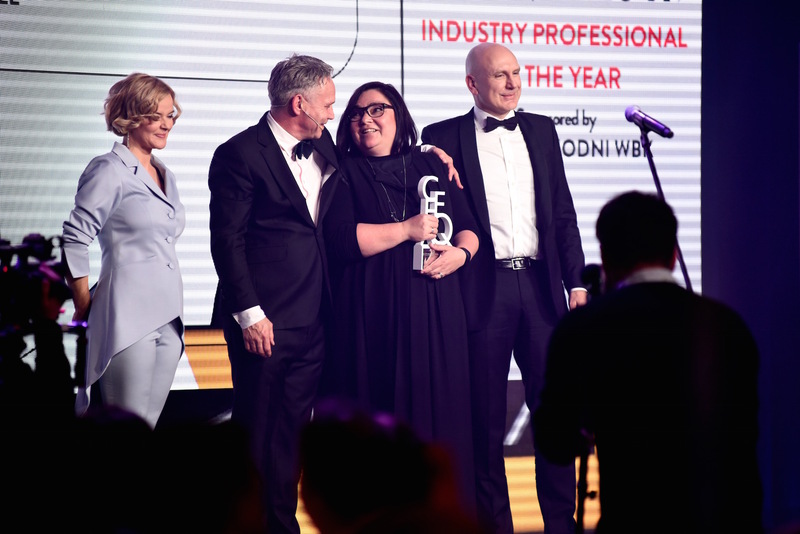 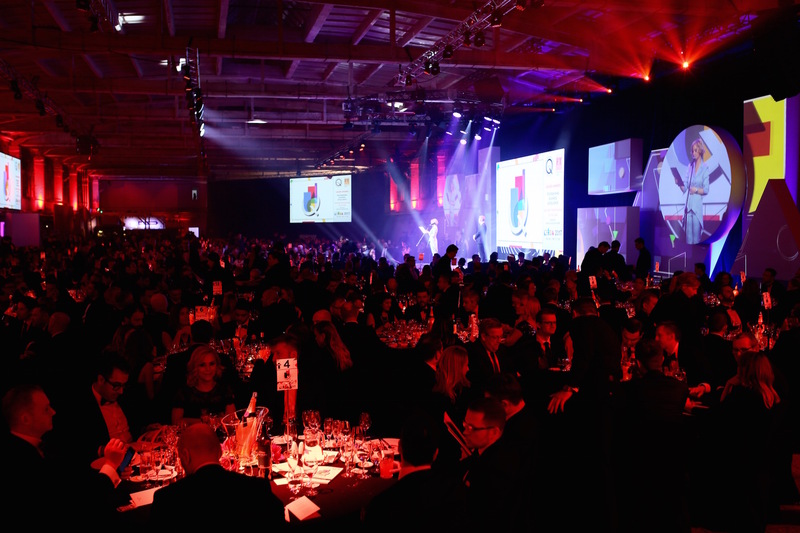 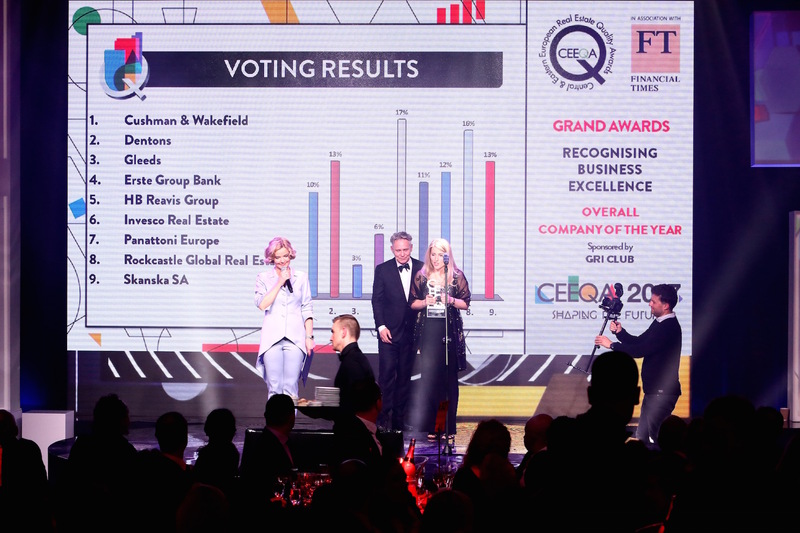 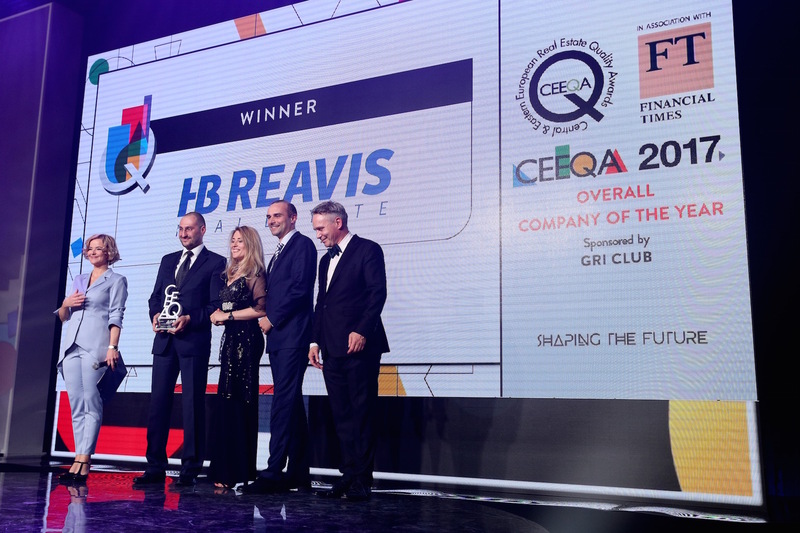 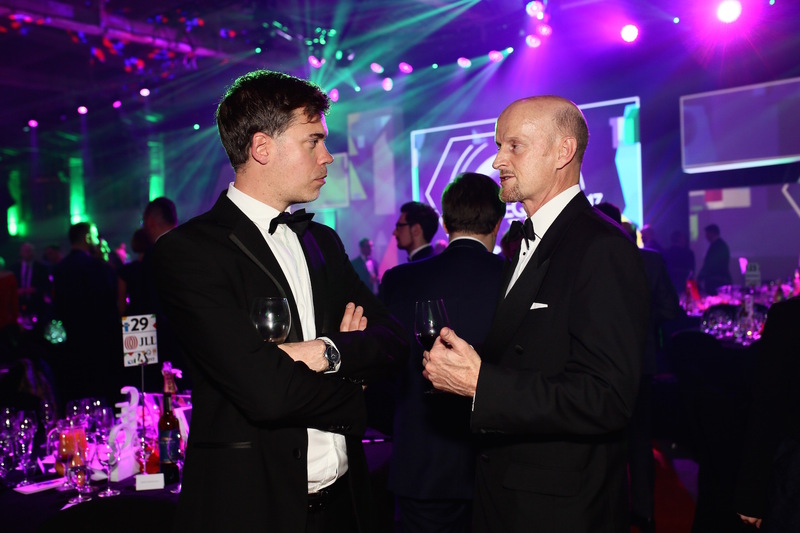 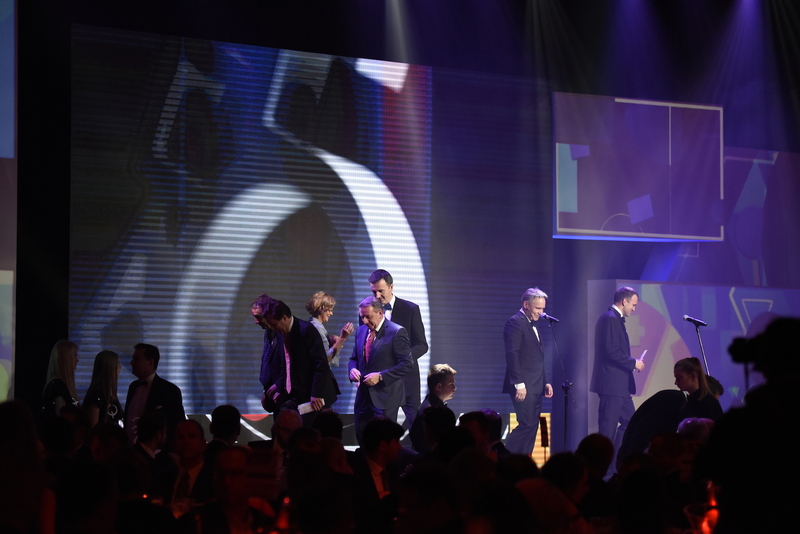 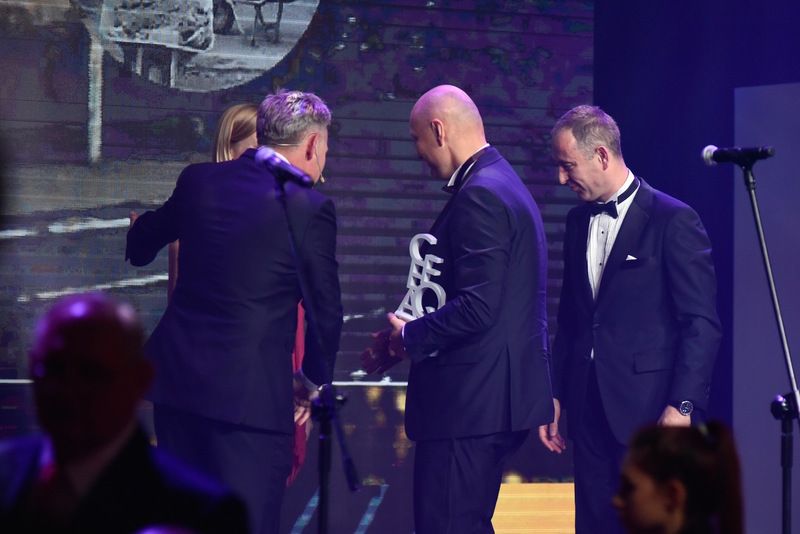 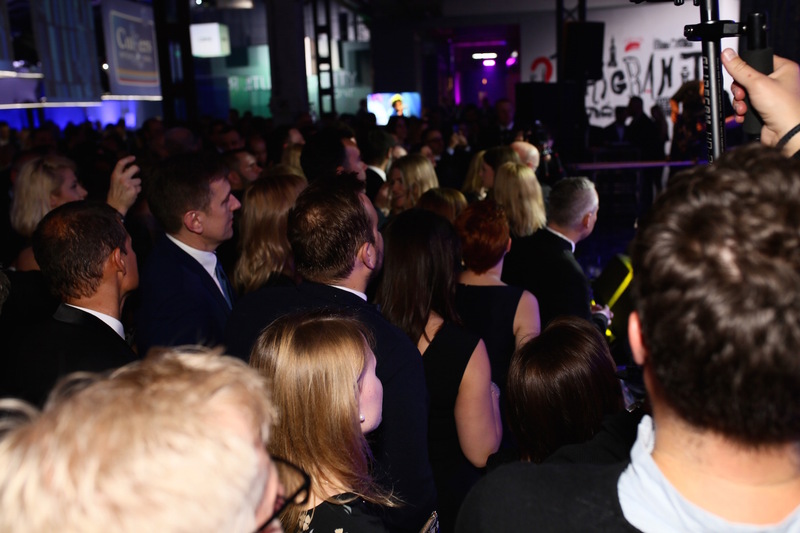 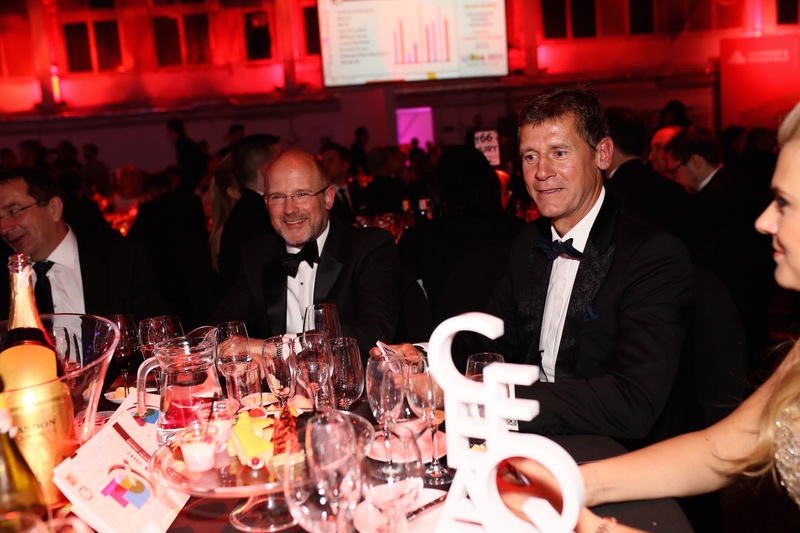 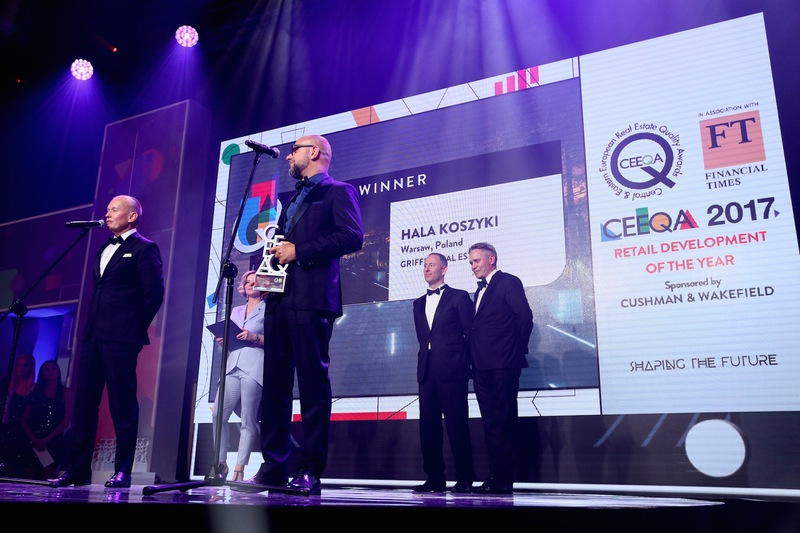 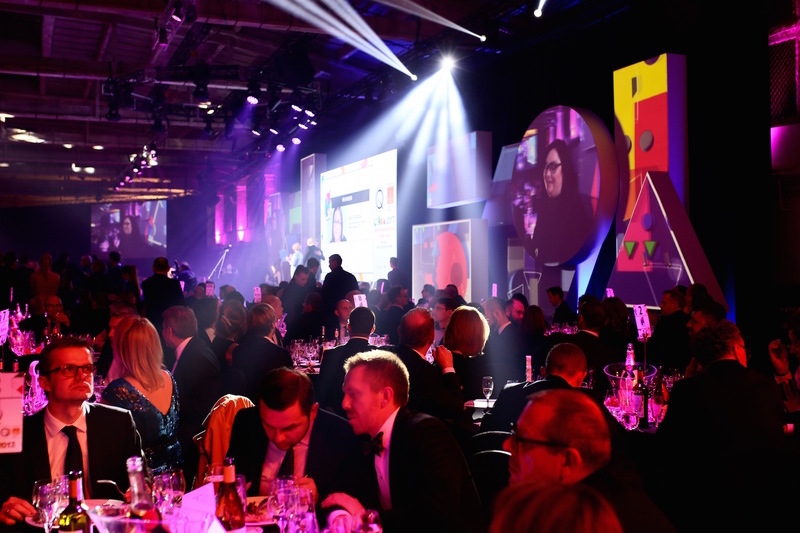 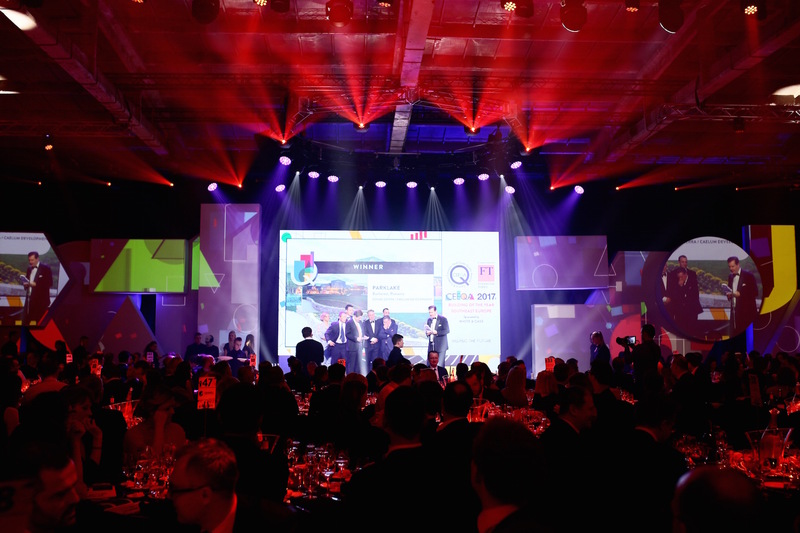 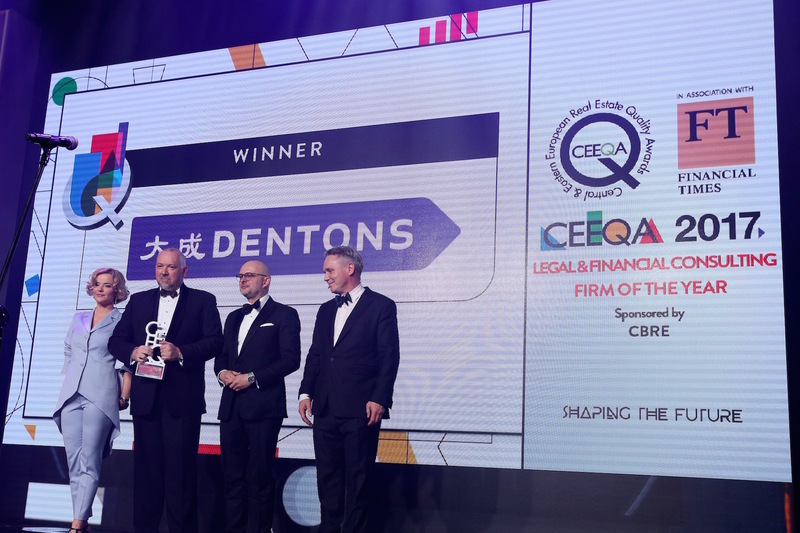 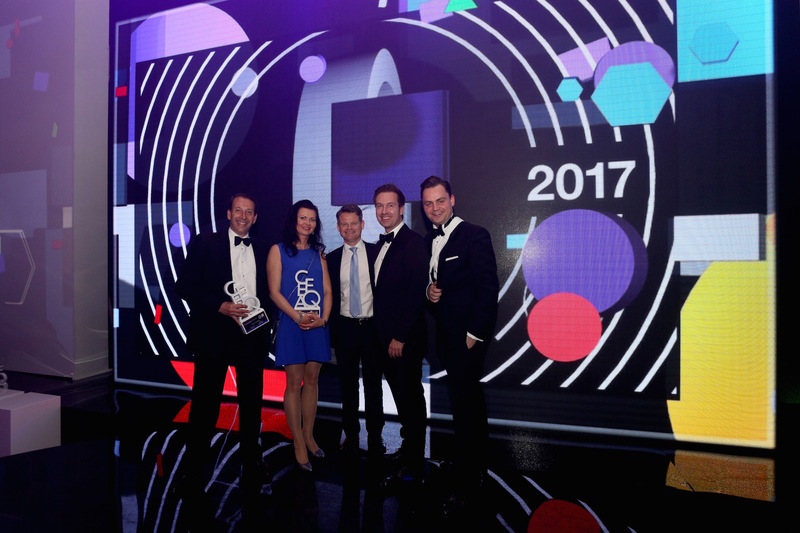 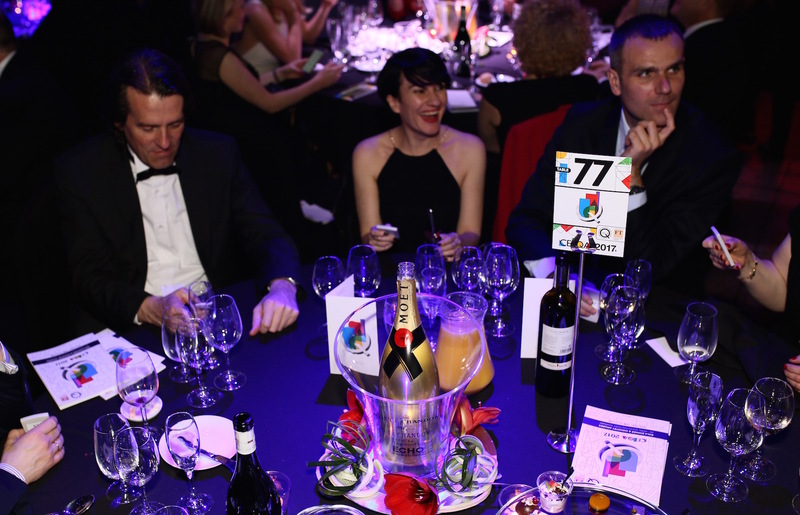 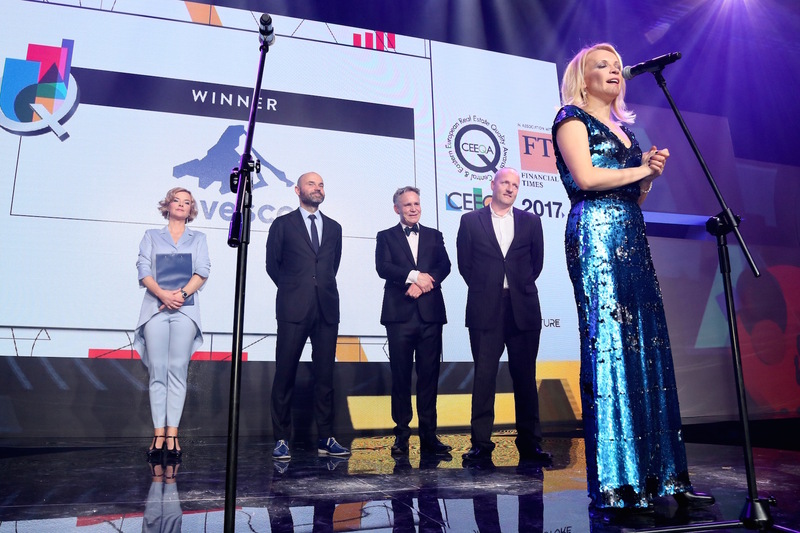 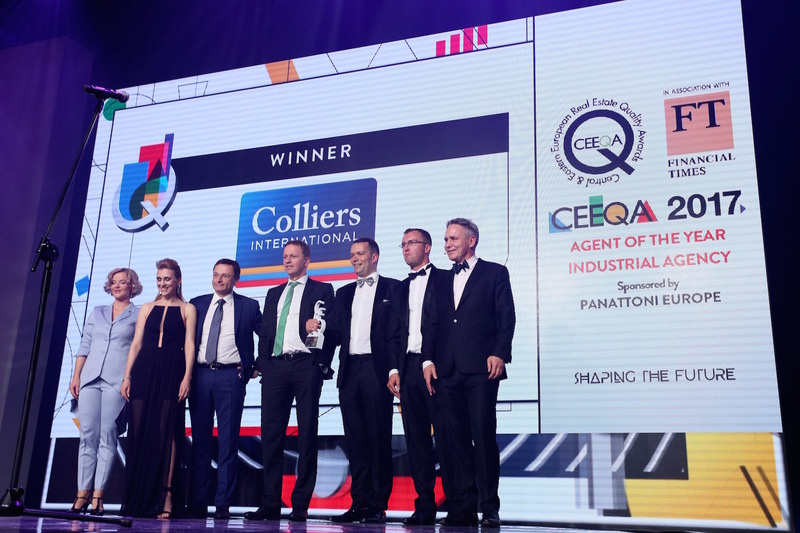 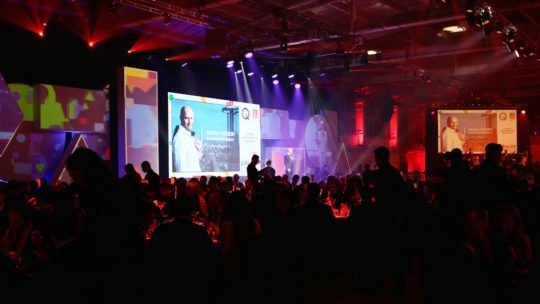 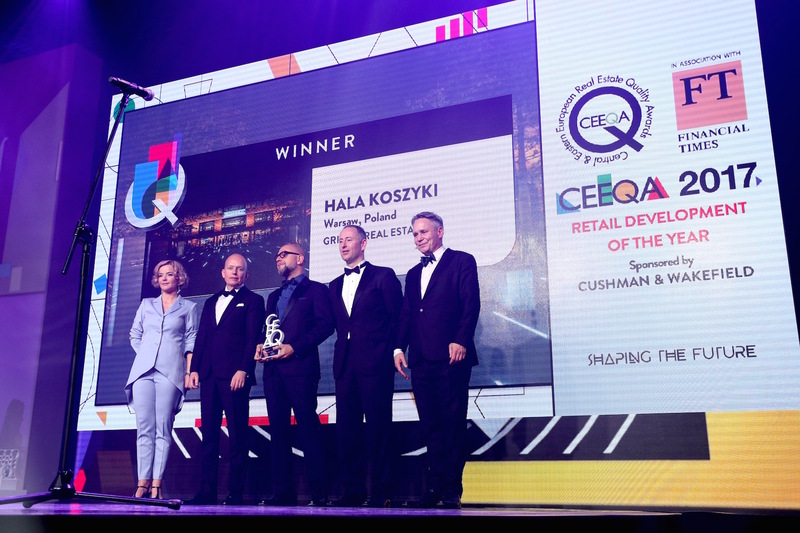 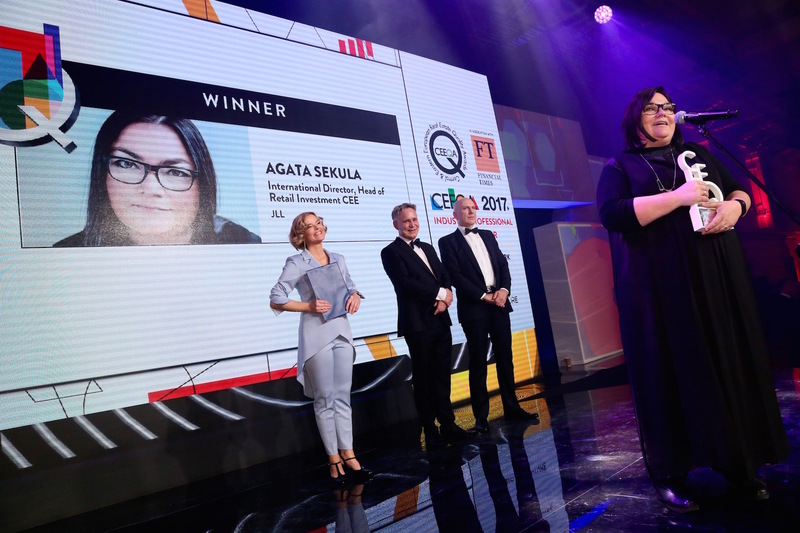 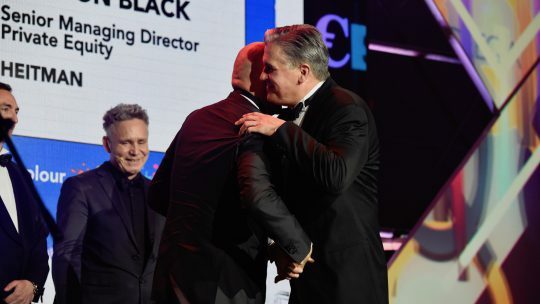 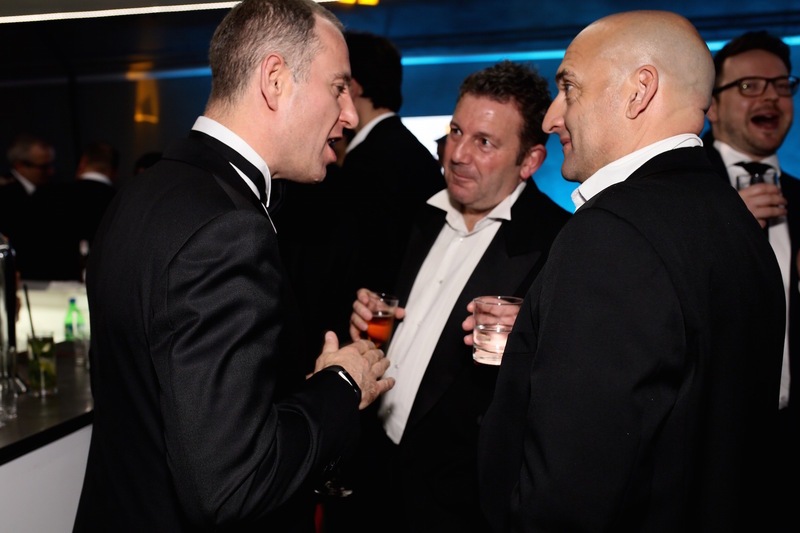 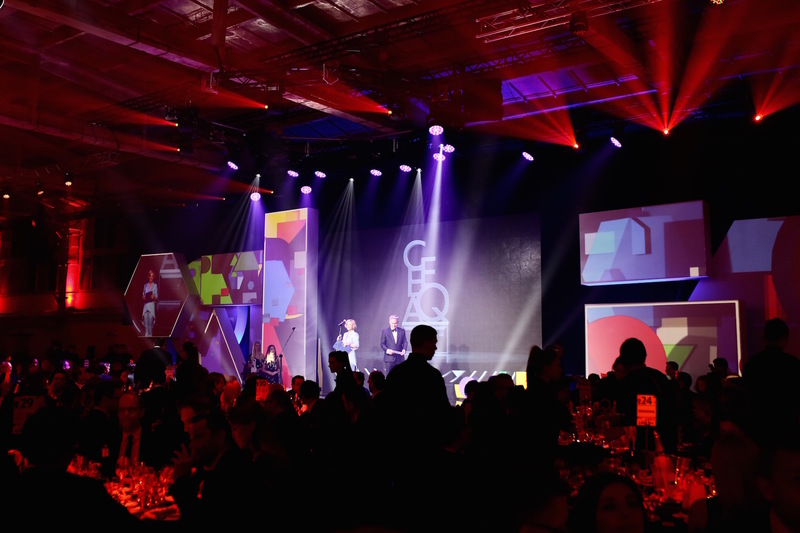 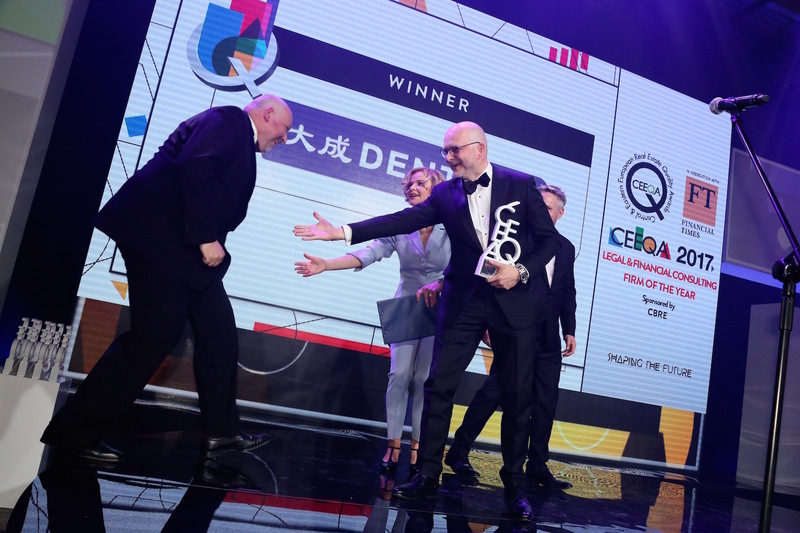 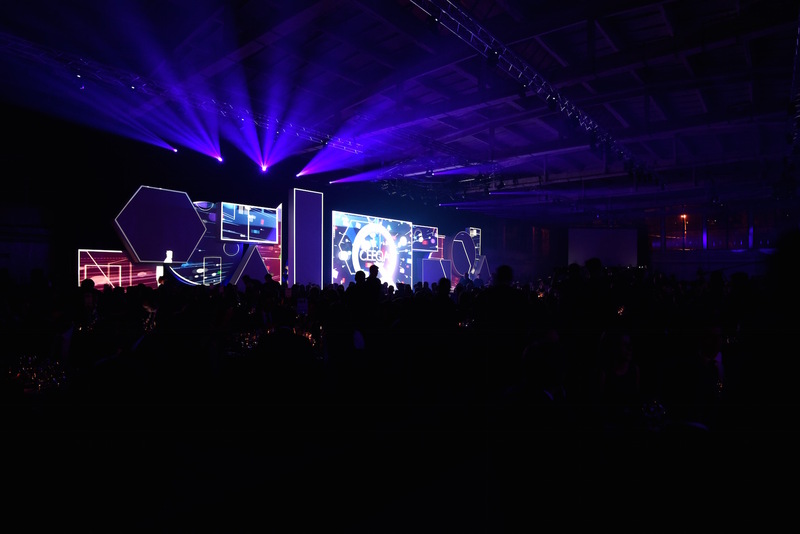 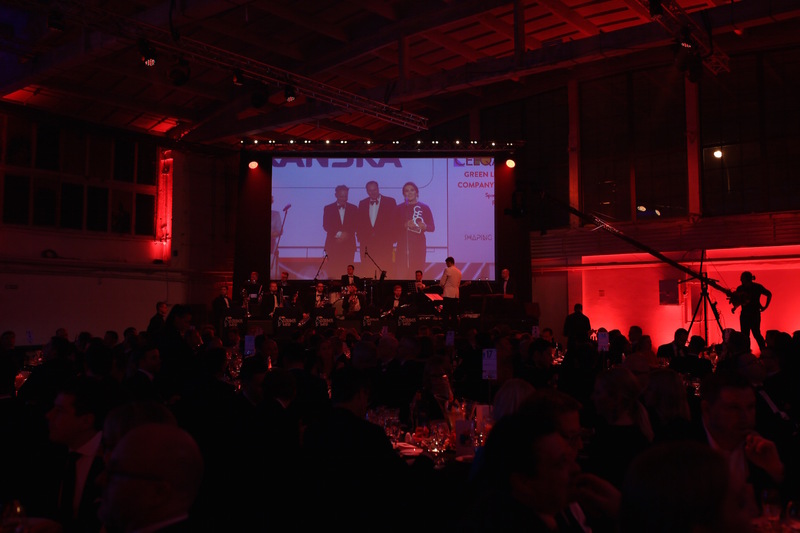 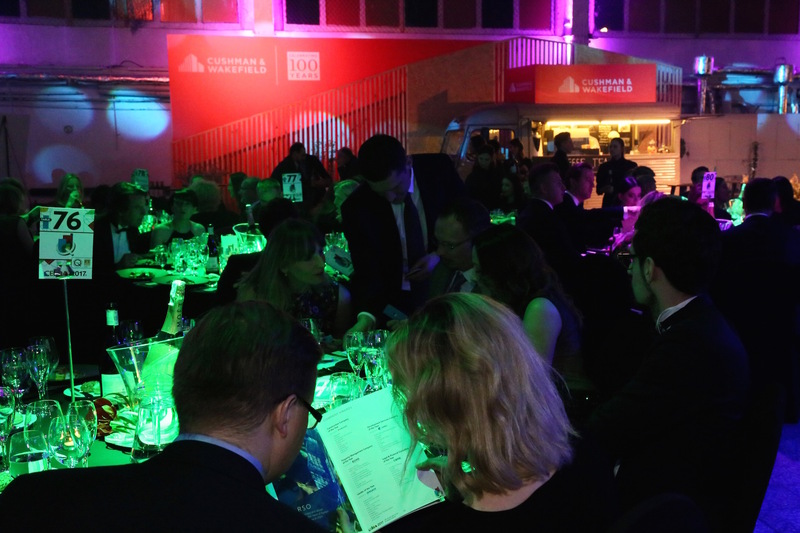 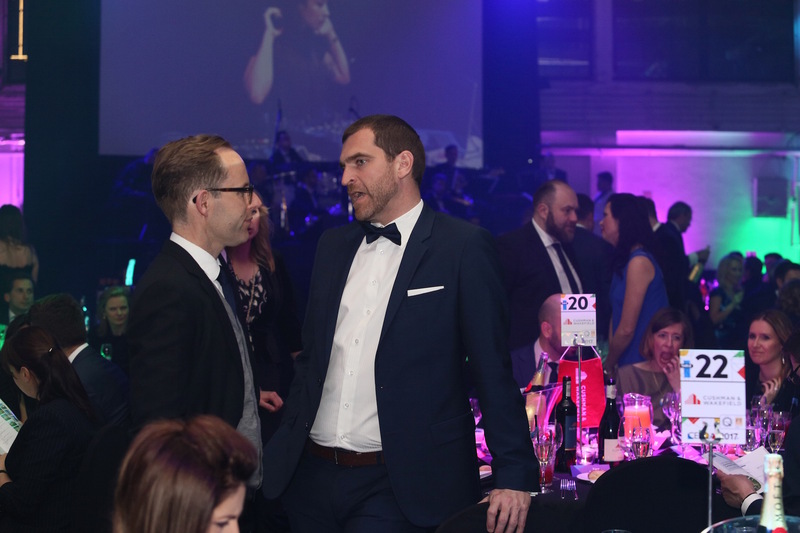 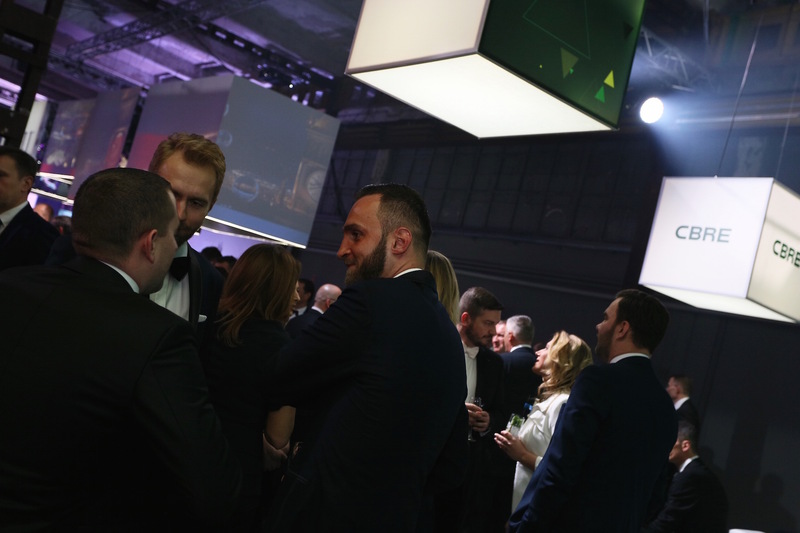 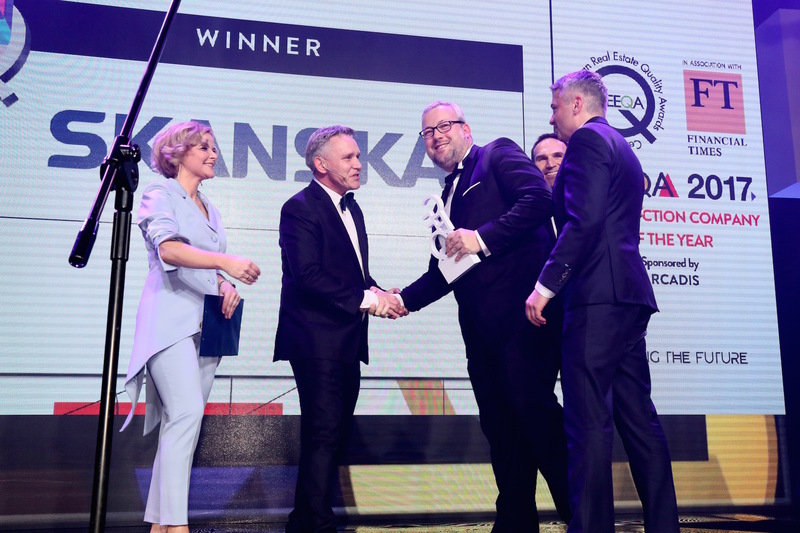 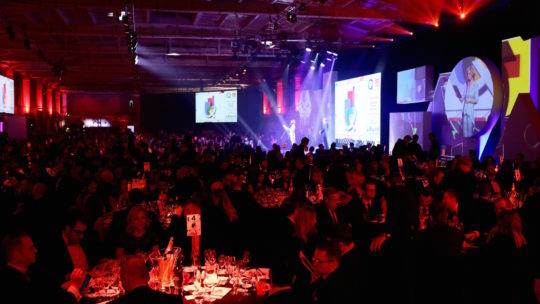 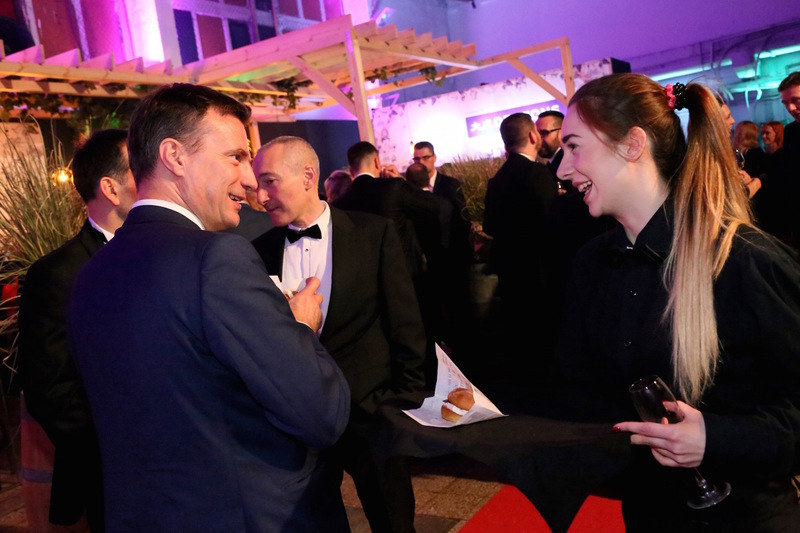 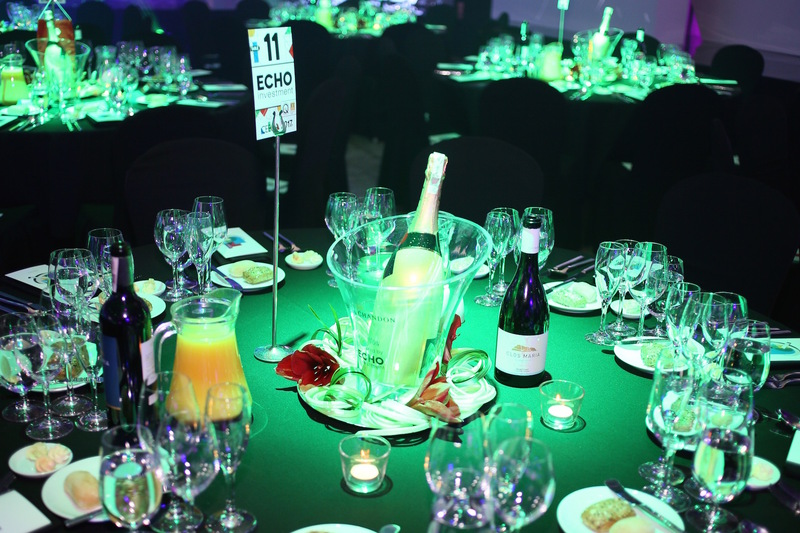 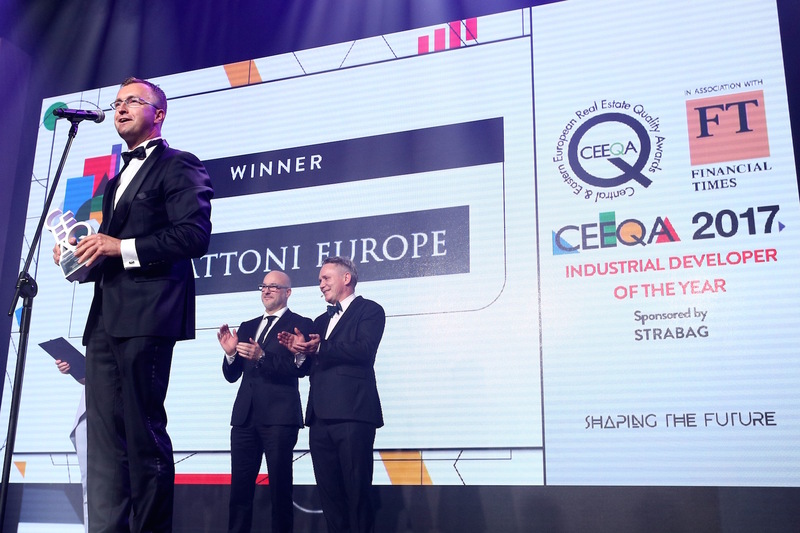 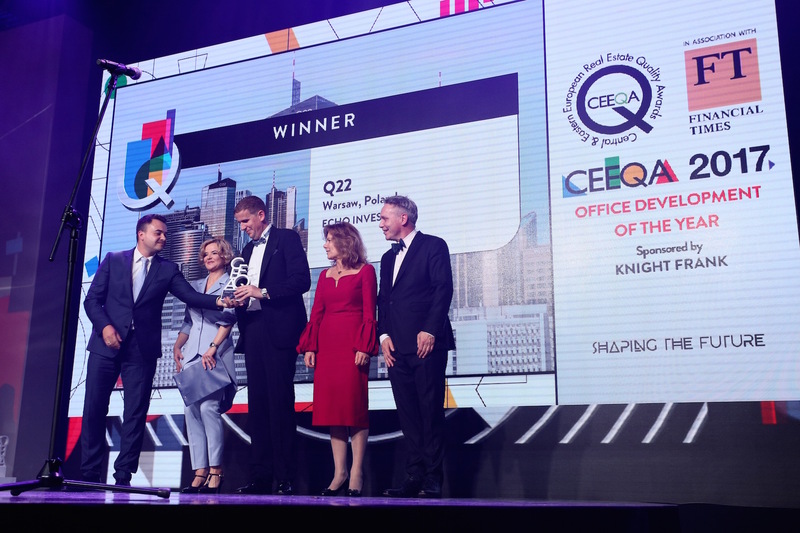 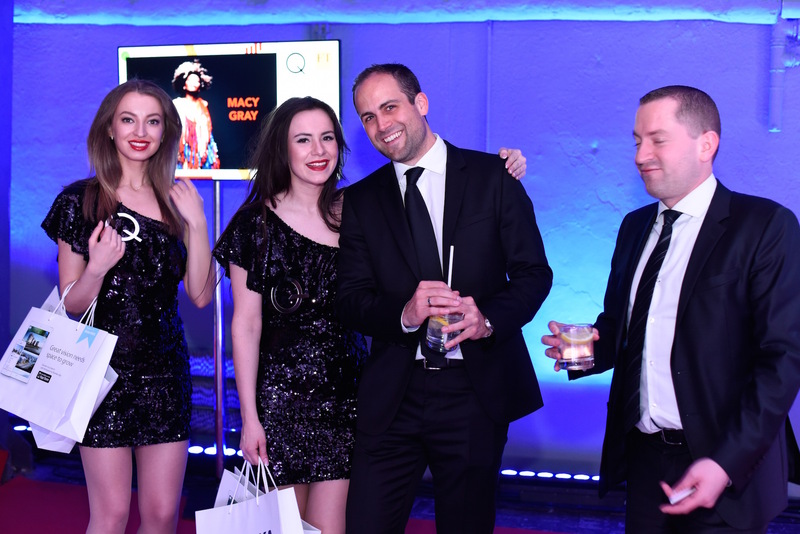 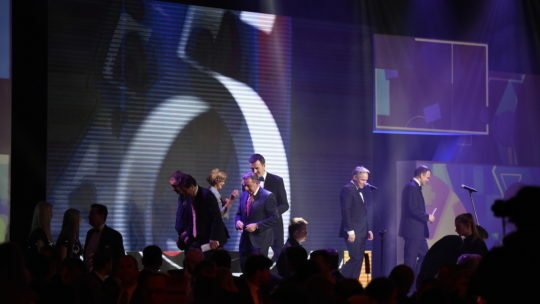 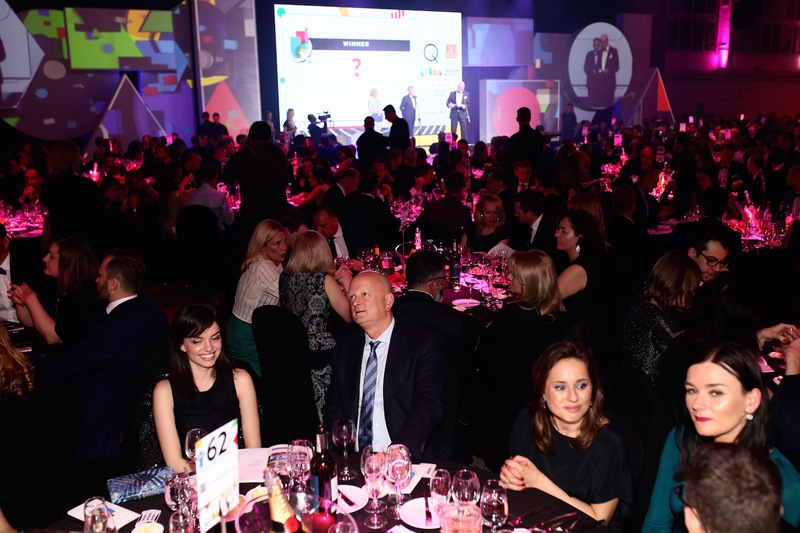 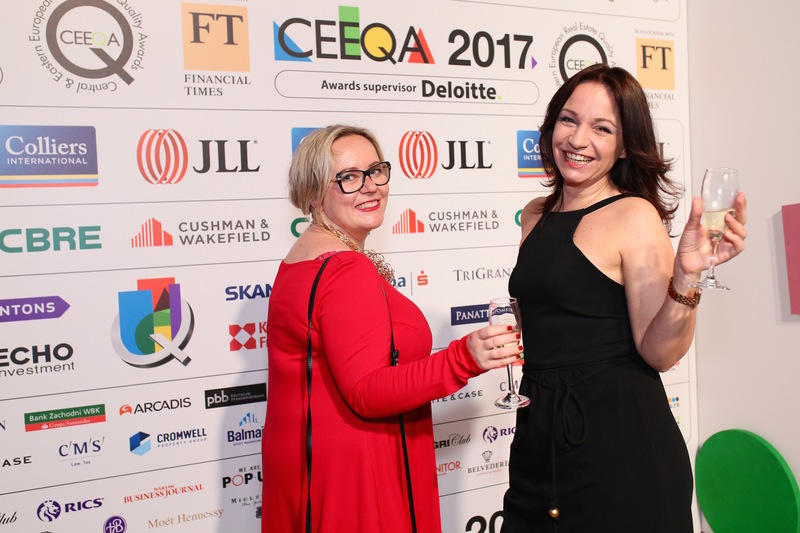 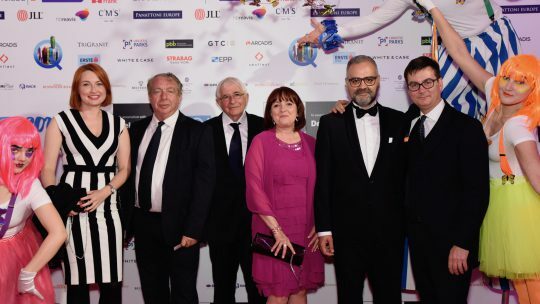 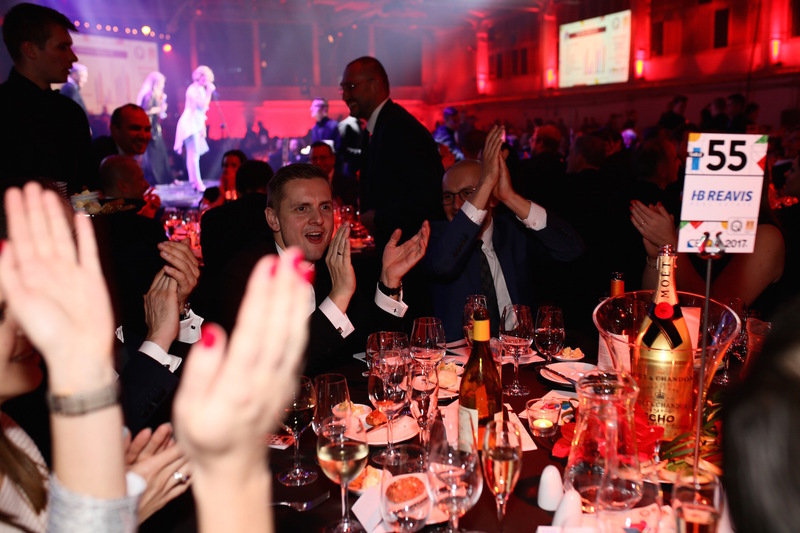 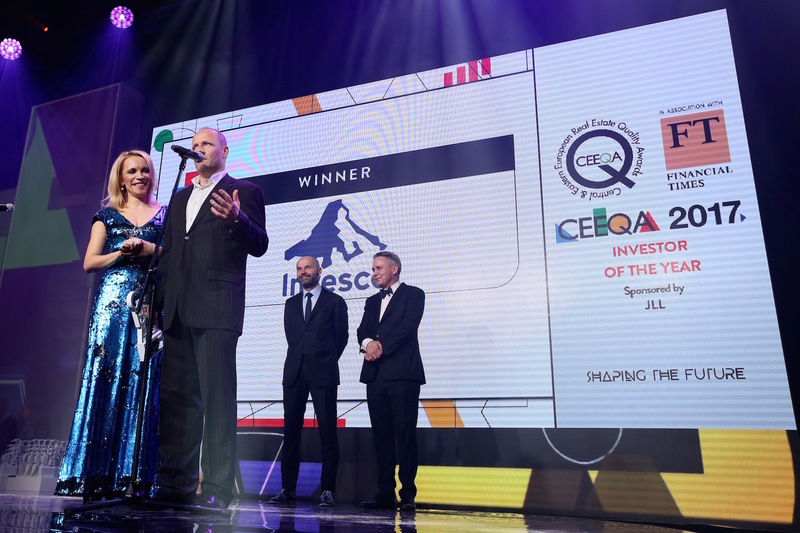 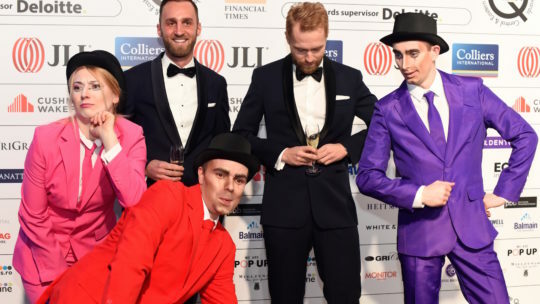 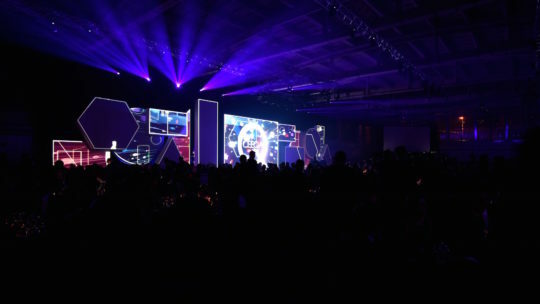 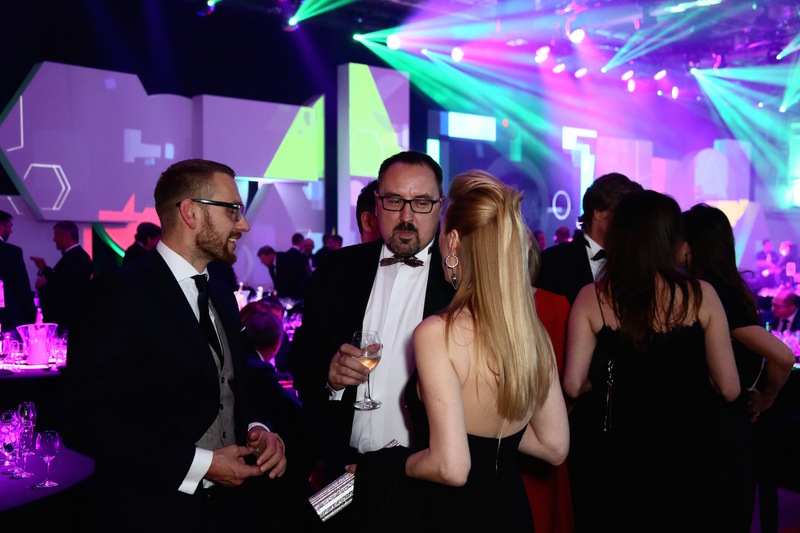 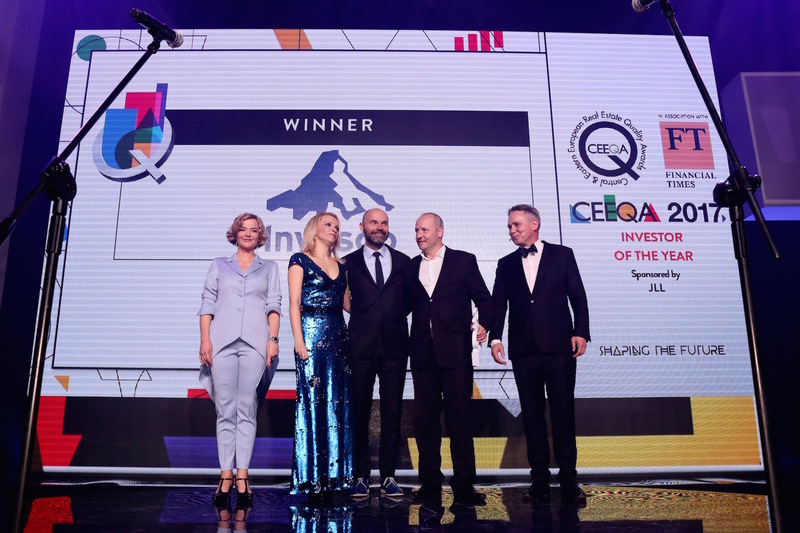 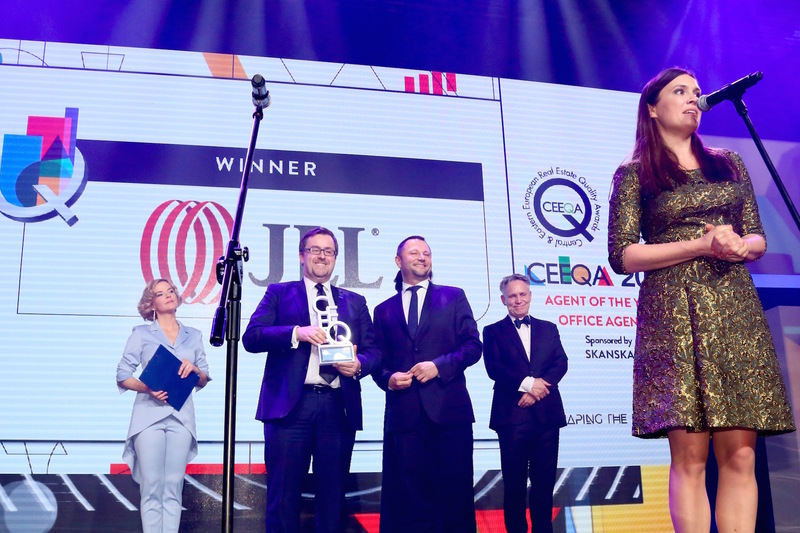 The eventual winners are announced and presented with their awards at the CEEQA Gala itself attended by more than 650 of the sector’s regional and international business leaders. 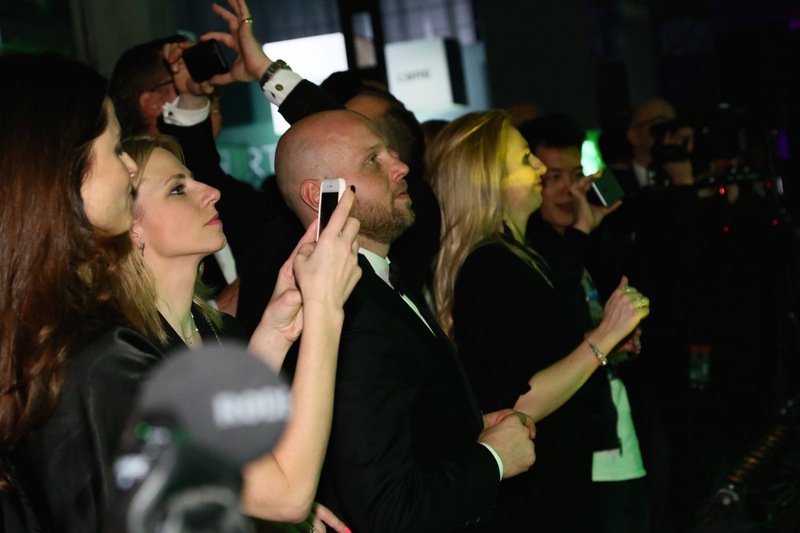 The election of jury members each year as well as all aspects of the judging process is supervised by globally trusted consulting firm Deloitte. 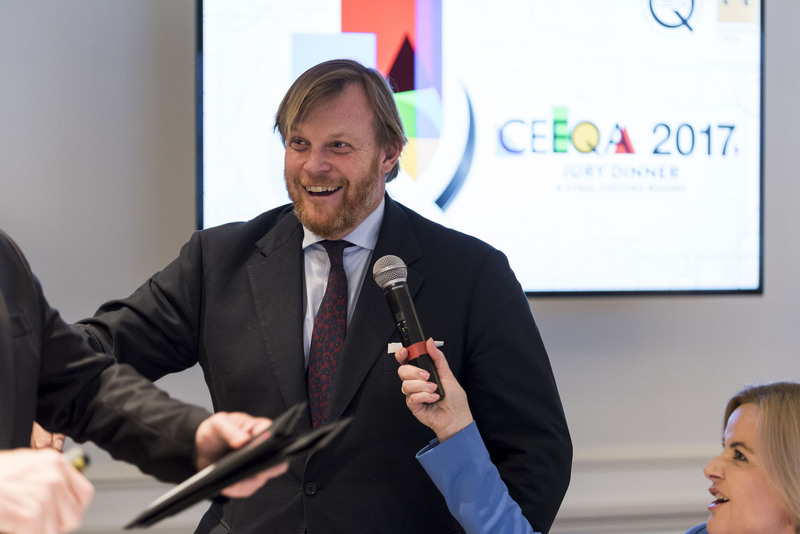 The Industry Operators group of jurors are elected in cooperation with CEEQA’s Agent Partners group comprised of the regional business leaders of the most important global commercial real estate agents active across the New Europe sector CBRE, Colliers International, Cushman & Wakefield, JLL and Knight Frank. 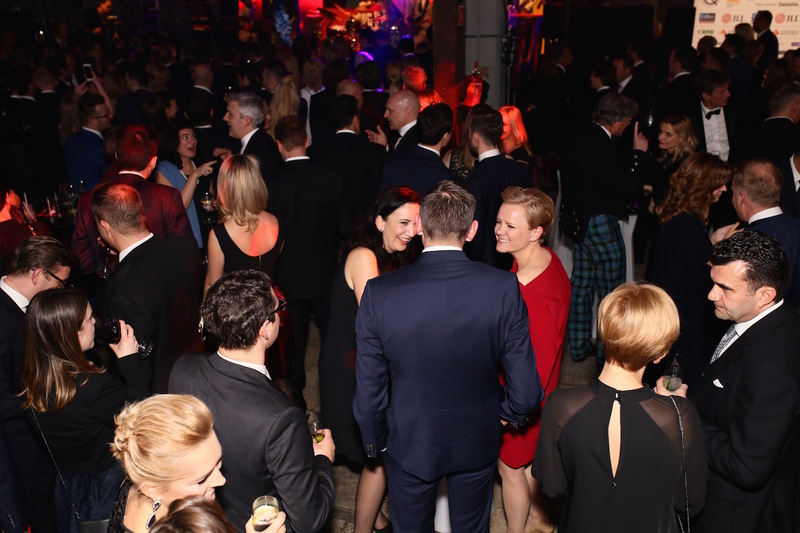 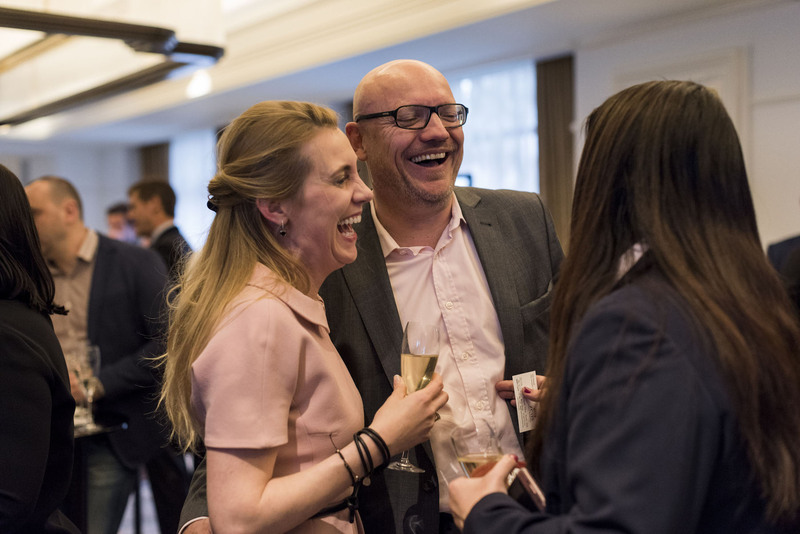 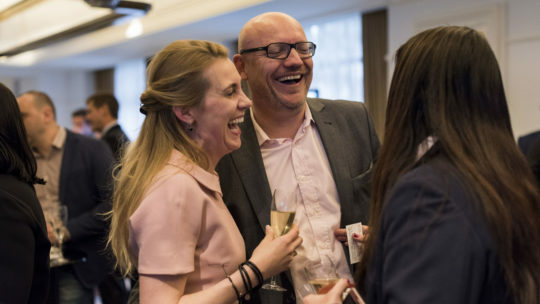 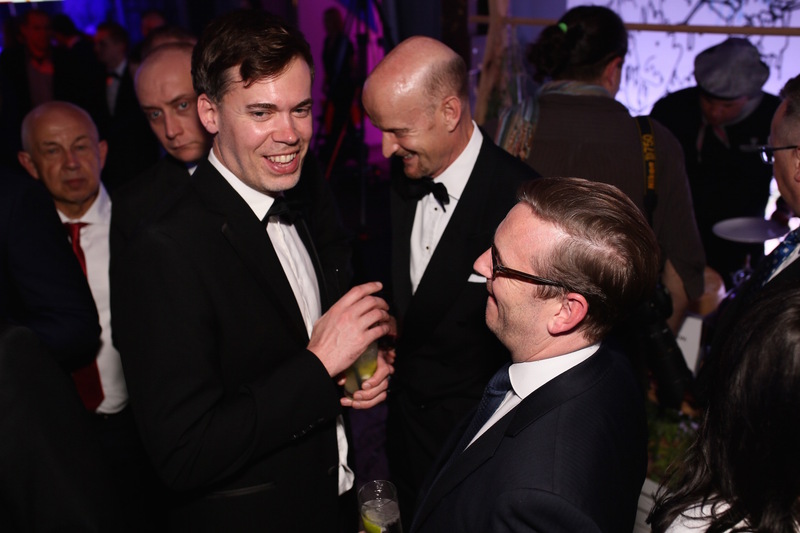 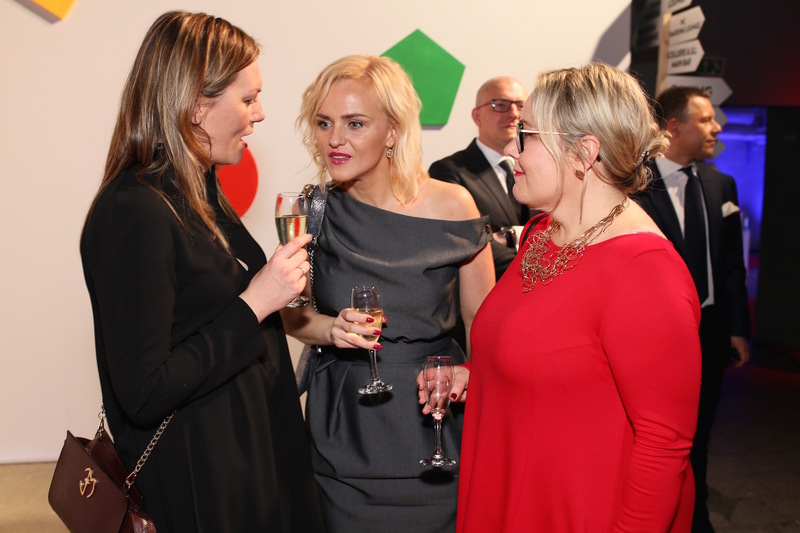 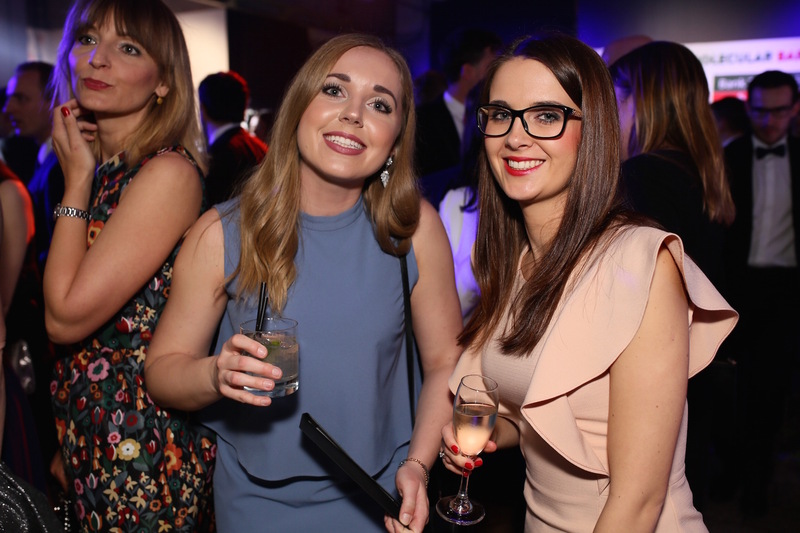 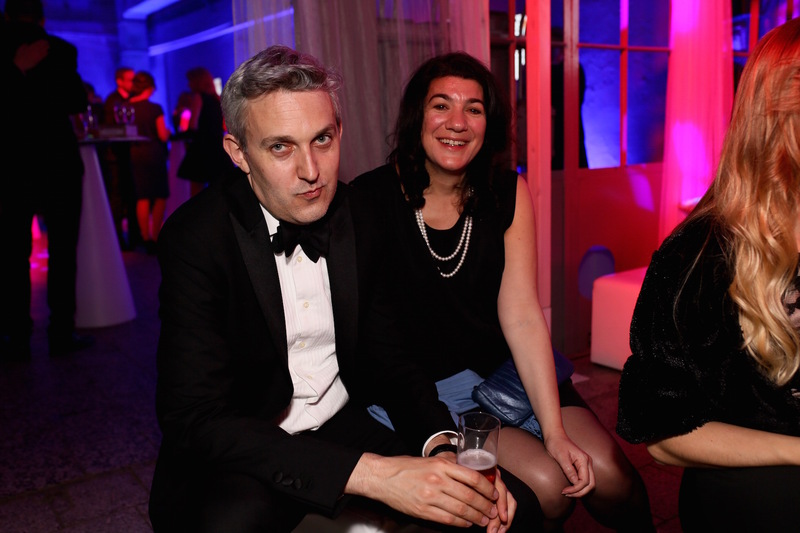 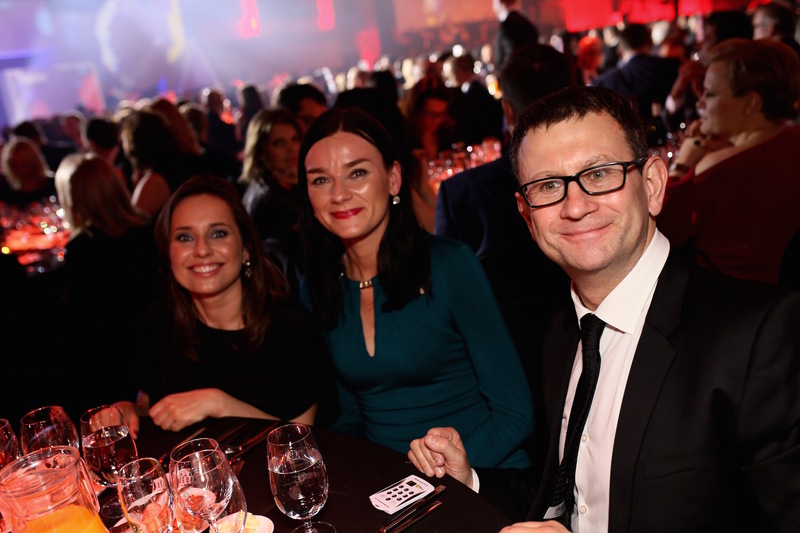 The Agent Partners each hold two permanent seats on the jury, reflecting their role as the information and knowledge hub of the sector, in additional to a permanent seat for an editorial representative of the Financial Times. 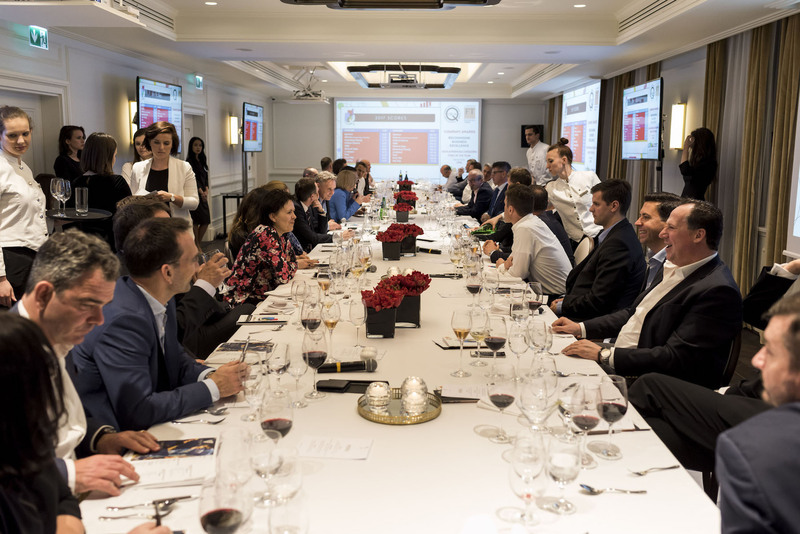 The jury also includes one representative for each company from investors, developers, banks, constants and service providers active across the sector, the places are rotated each year among market leading companies. 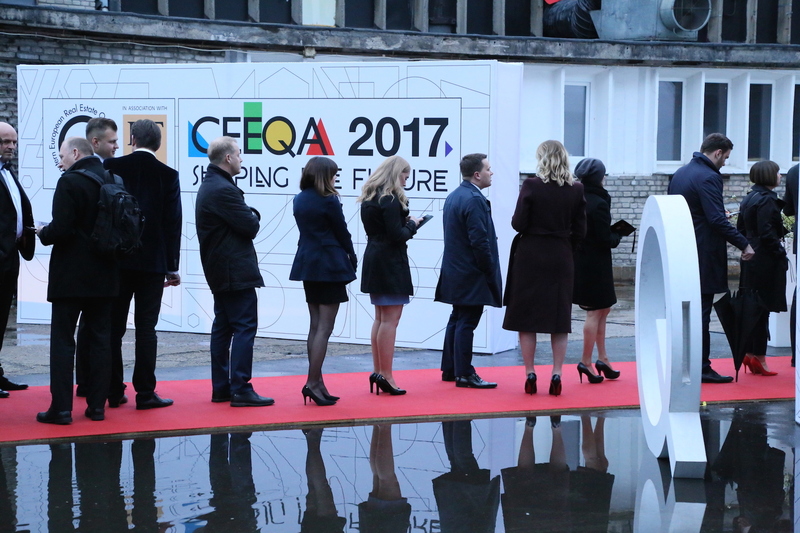 Members of the 2017 CEEQA Jury are listed below. 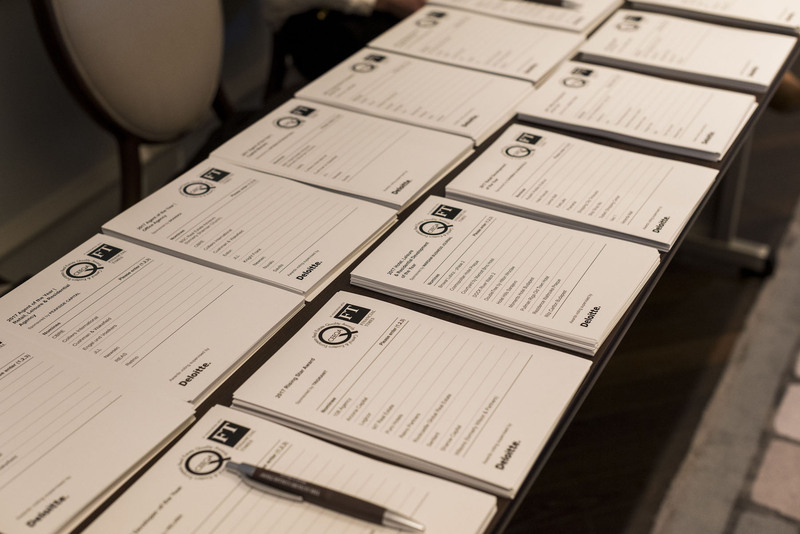 For information about members of past juries visit our Archive page. 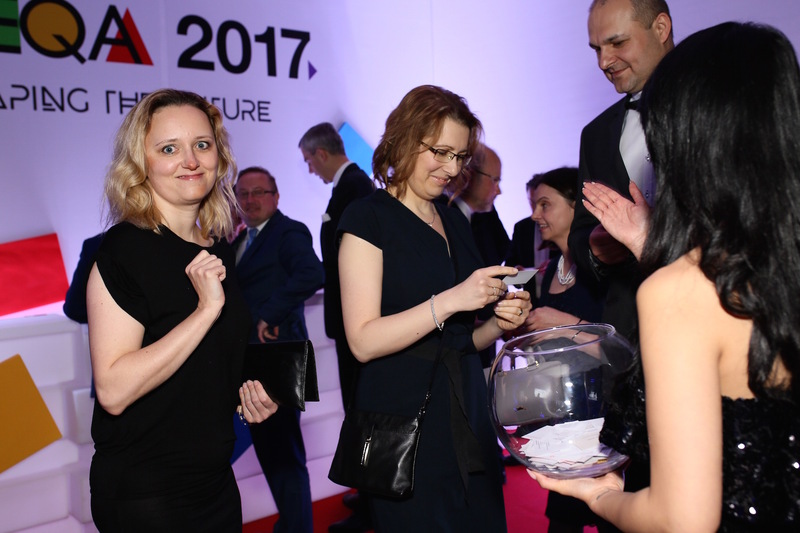 Agata is Head of Retail Investment in Central and Eastern Europe at JLL, leading a specialized retail capital markets team. 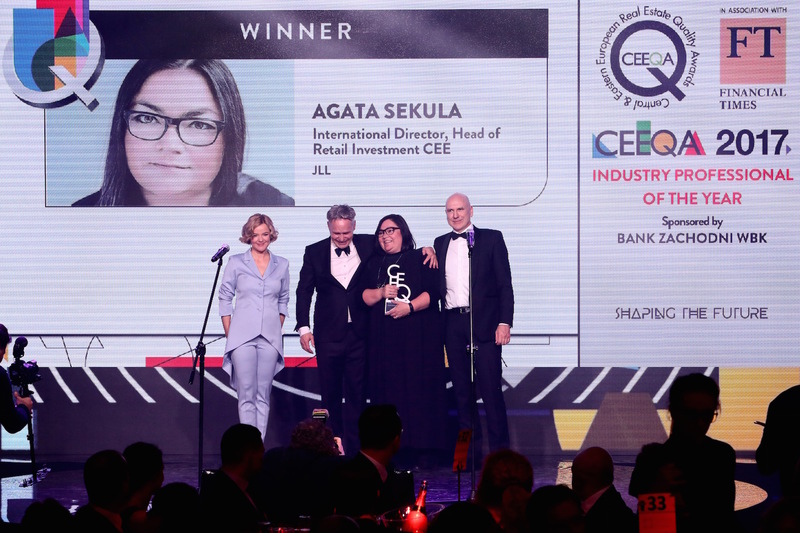 With over 18 years’ experience, Agata is responsible for retail sales and acquisitions, as well as debt and equity raising mandates in the CEE, being one of the most recognized experts in the region. 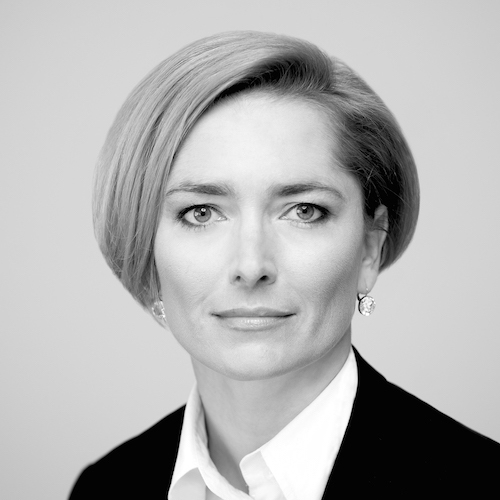 Since joining JLL in 1998 she has participated in retail investment deals totalling over €8.5 billion. 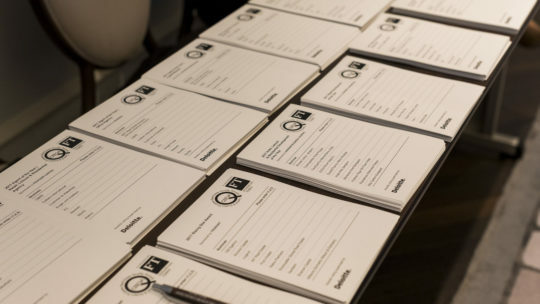 These transactions include the i.a. 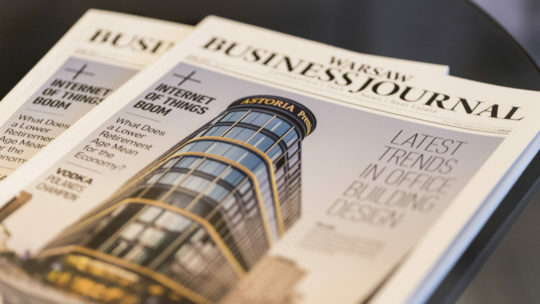 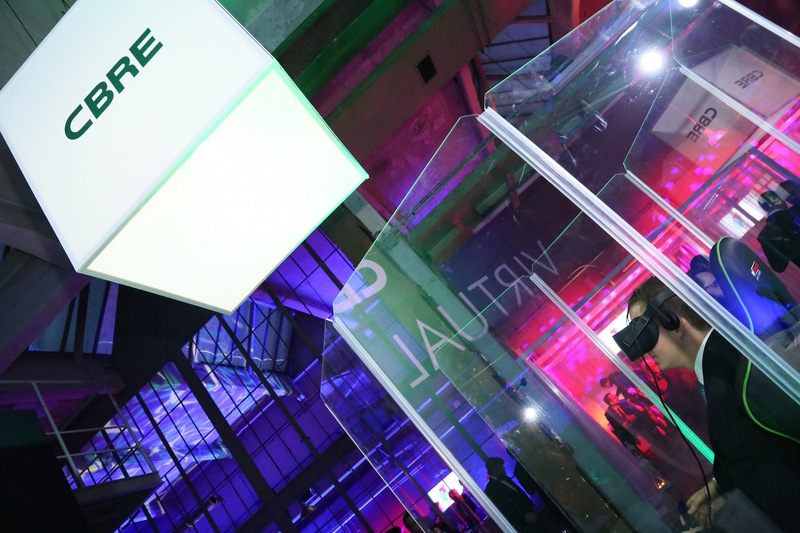 Redefine acquisition of 75% stake in Echo’s €1.2 billion commercial real estate platform in Poland, Silesia City Center (€400m, Katowice), Manufaktura (€390m, Lodz), Riviera (€291-€300m), Stary Browar (€290 million, Poznań) and many more. 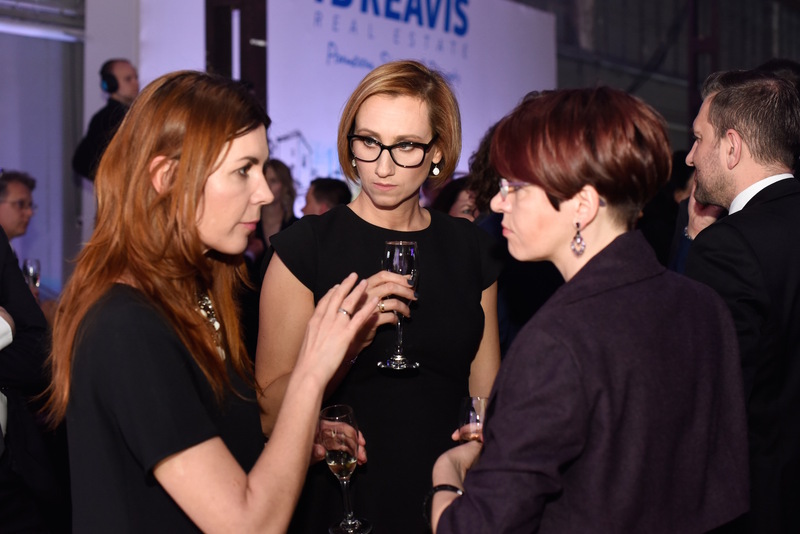 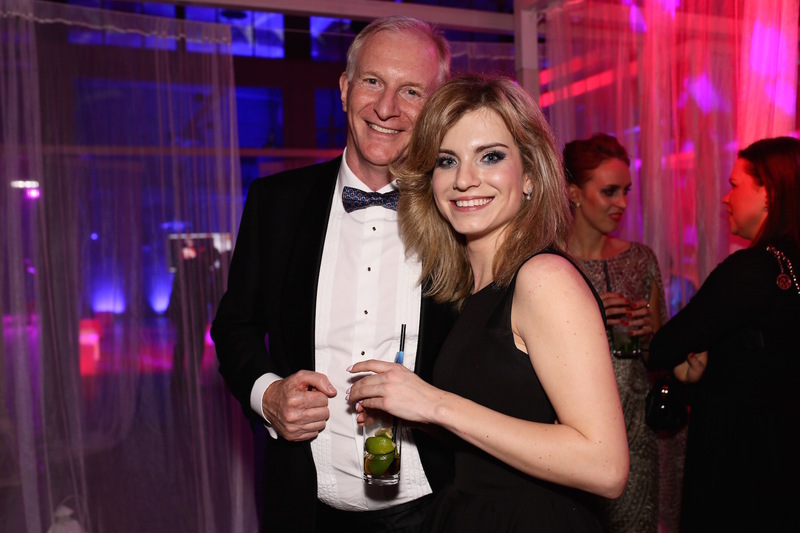 Agnieszka co-chairs the Greenberg Traurig’s Real Estate Department in Poland. 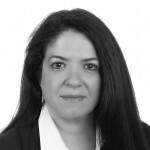 She has almost 20 years of experience in corporate finance and real estate transactions. Her practice focuses on assisting a variety of foreign and domestic investors in mergers, takeovers, joint ventures, corporate and organizational restructuring, acquisitions and divestments of real estate or real estate holding companies, the financing and refinancing of real estate acquisitions, forward purchase and leaseback transactions, all aspects of real estate development projects as well as the due diligence of companies and assets and the restructuring of their financial indebtedness. 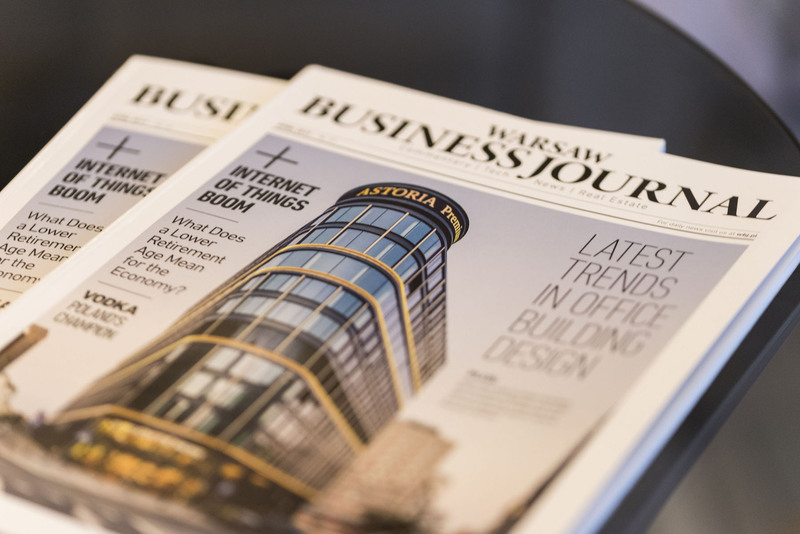 Agnieszka has been recognized as one of the leading lawyers in Poland in various legal directories including Chambers Europe and EMEA Legal 500. 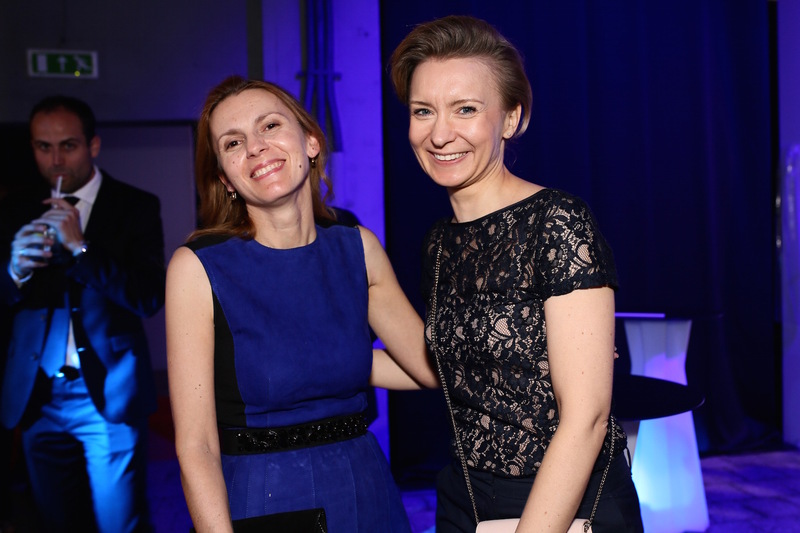 She graduated from the Faculty of Law at Warsaw University, qualifying as an advocate in 2001. 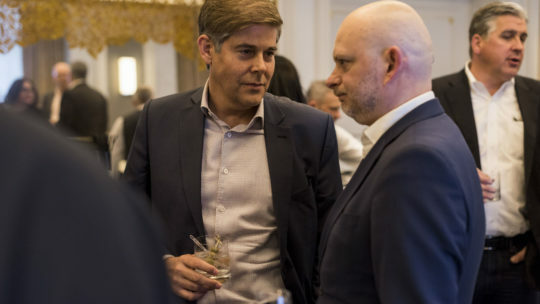 Antanas currently runs a highly successful investment portfolio for a joint venture between Northern Horizon and the clients of Partners Group. 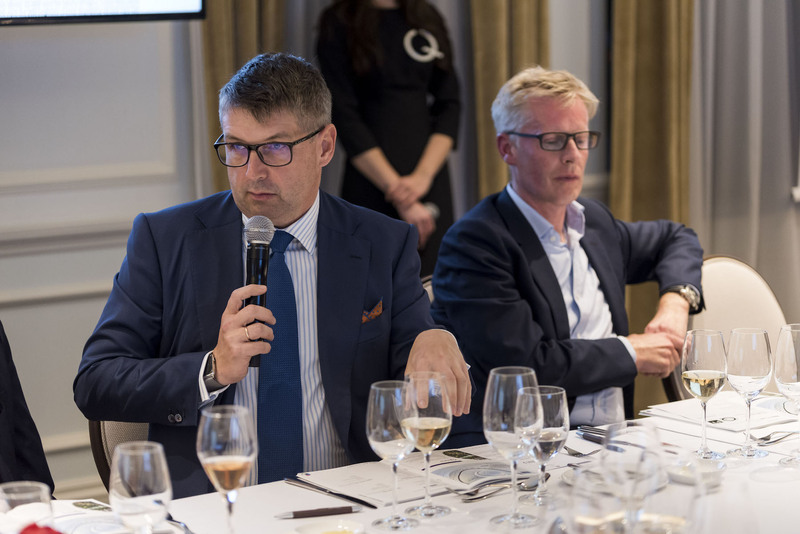 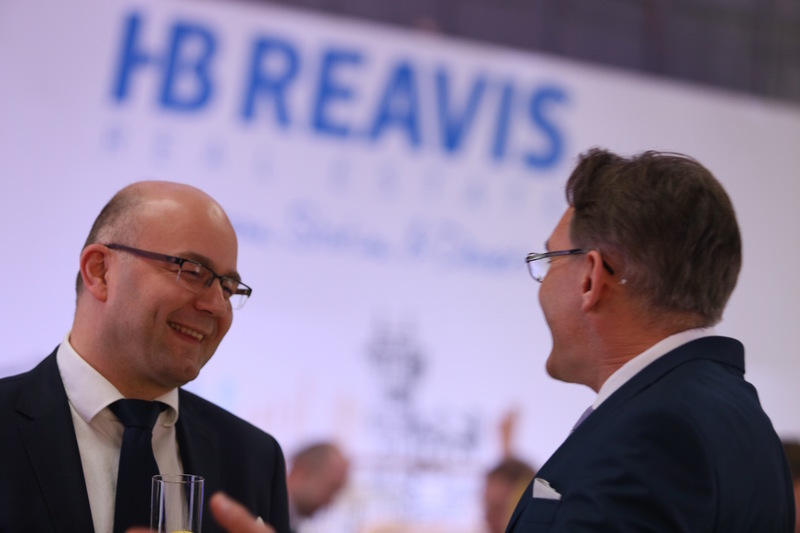 Over the last 12 years he has overseen the build-up of the Baltic business, turnaround of the largest investment fund of the company (Baltics and Poland), closed over 600m EUR worth of property acquisitions and exits. 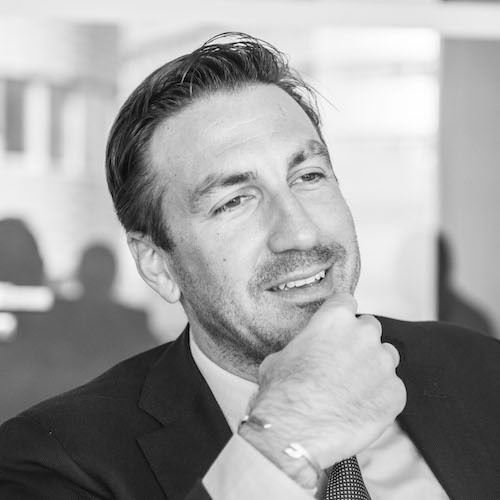 Arpad has been in the international property development and advisory business for more than 23 years including 17 years with TriGranit, having previously held senior management positions at Cushman & Wakefield in Hungary and Greece. 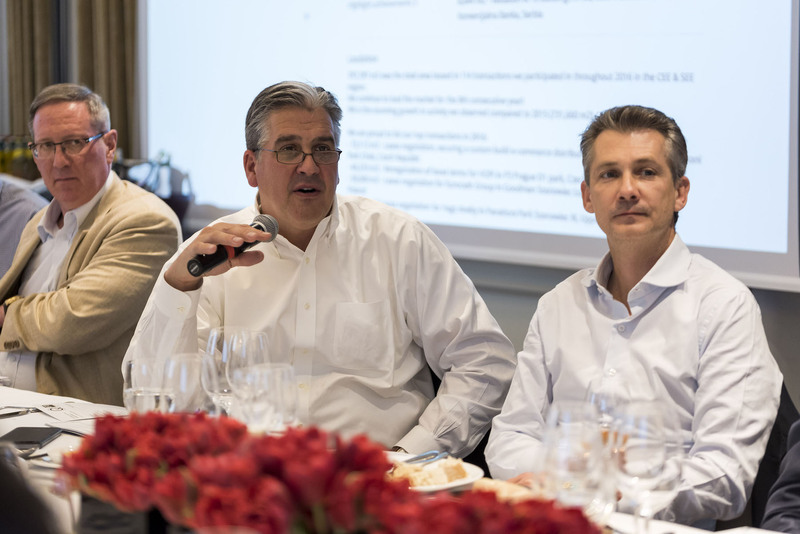 He was appointed to CEO of TriGranit in 2009, taking over the position during the most demanding global economic and market conditions. 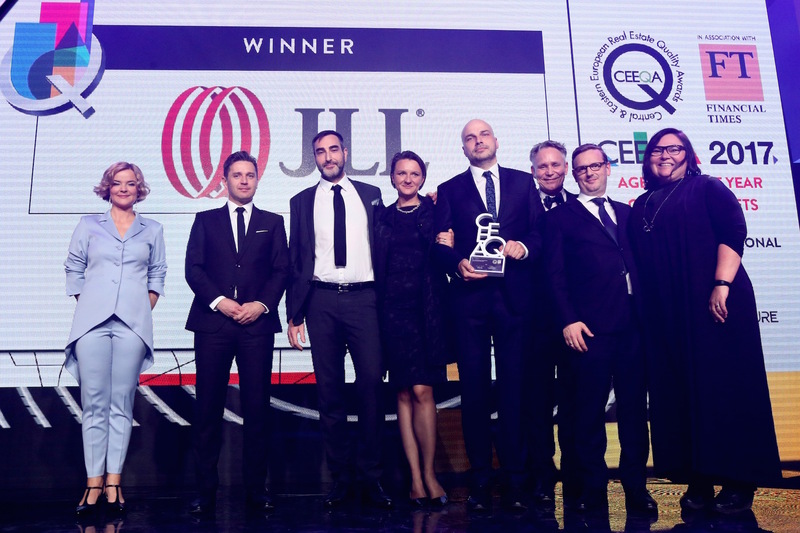 The company has sincesucceeded to obtain over 1 billion Euros in financing and refinancing to develop around 950,000 m² of projects completed or currently under construction. 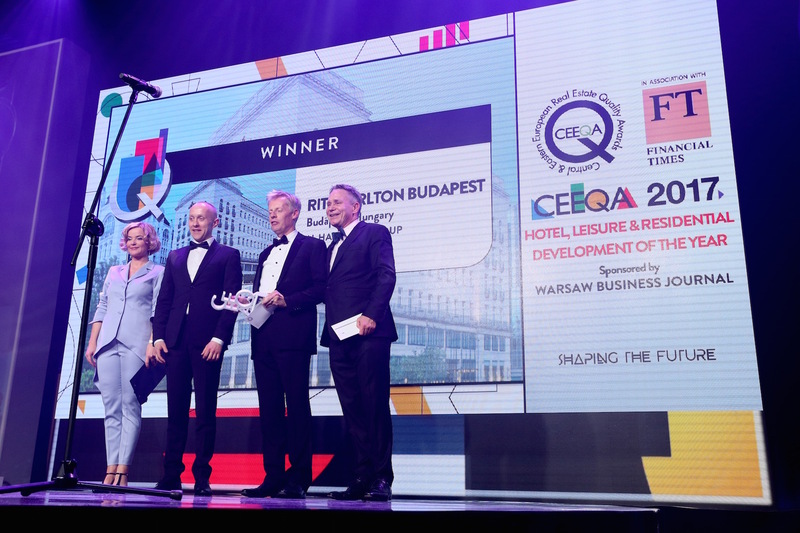 Asset disposals in Central Europe – including the purchase of TriGranit by TPG – with a cumulative transaction volume of EUR 1,7 billion, both retail and offices were completed with his active participation like Bonarka for Business office complex in Krakow, Poznan City Center in Poznan or the Arena Centar in Zagreb. 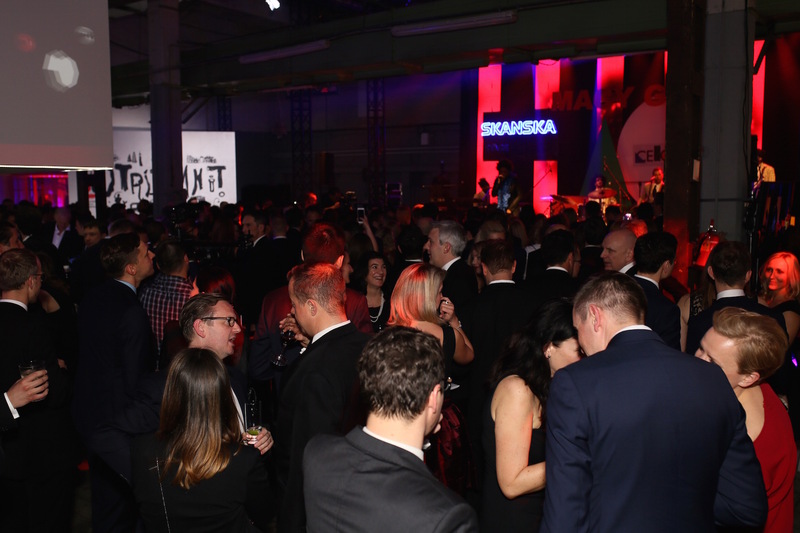 TriGranit is one of the largest fully integrated real estate investment, development and management company, operating in Central Europe. 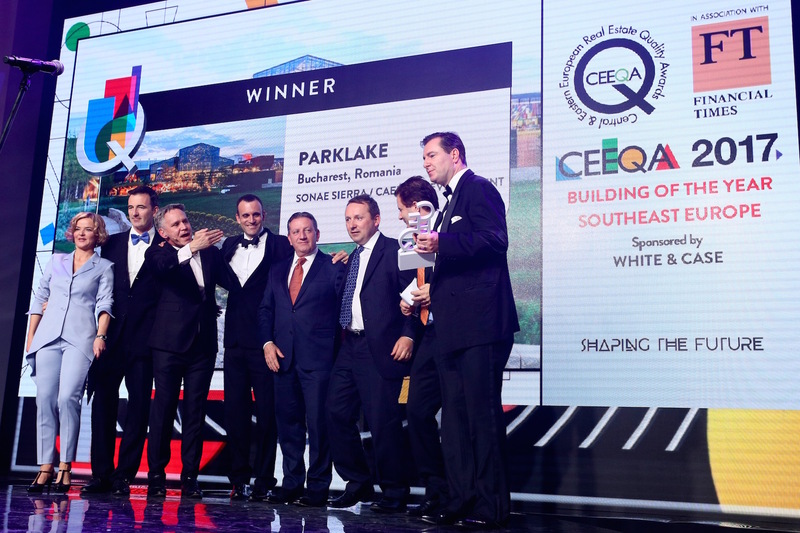 The company’s focus is on mixed-use “City Center”, office and retail developments in strategic urban locations. 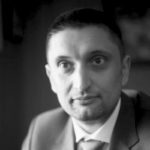 Arpad holds a bachelor’s degree in economics from the College for Foreign Trade and the University of Humberside, an MA in business management and an MBA in European business administration from the University of Lincoln. 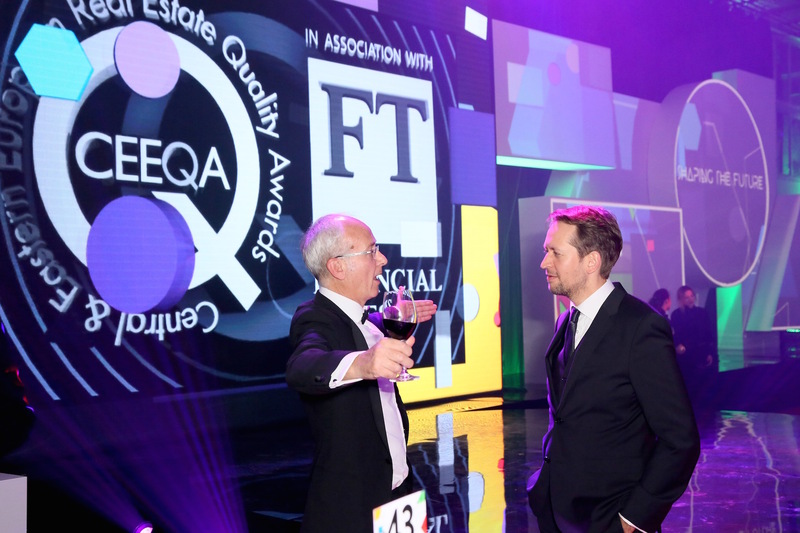 He is a member of the Royal Institution of Chartered Surveyors. 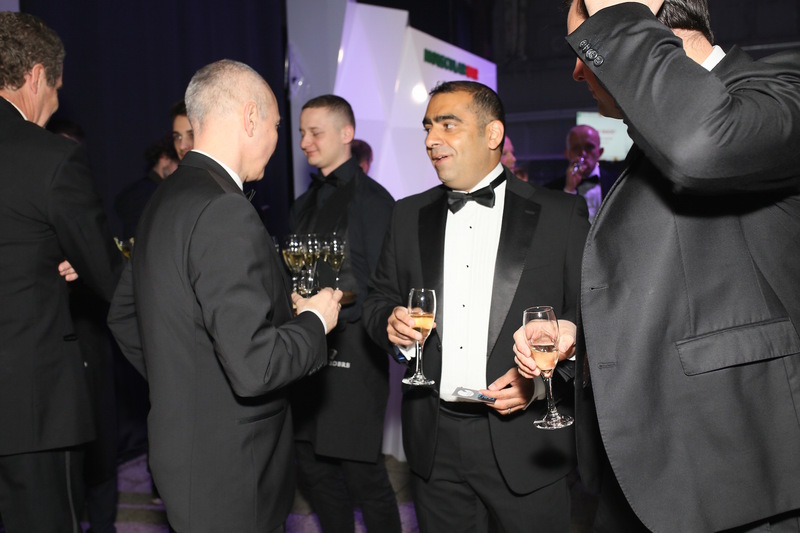 He was awarded the Order of Merit of the Republic of Hungary – Golden Cross by the President of Hungary in 2012. 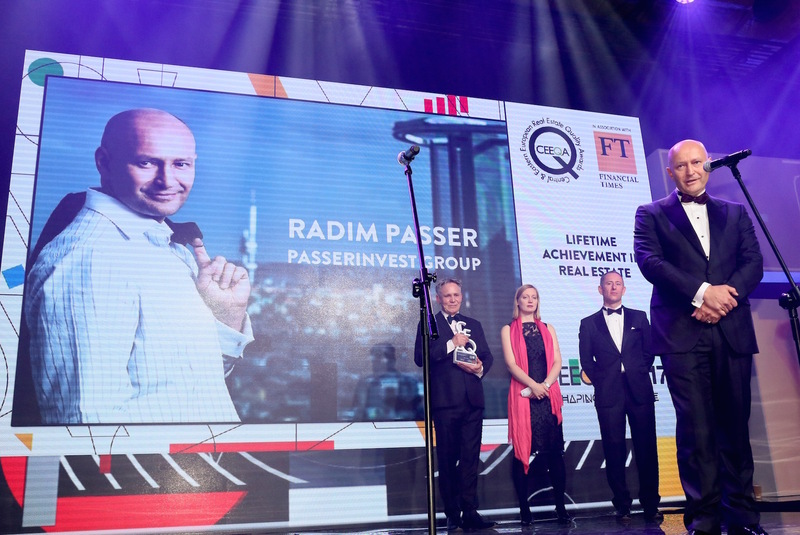 His vision and professional approach has been appreciated by his peers and colleagues several times: received in 2011 by CIJ Real Estate Awards – Industry Leadership Award; in 2015 by Iroda.hu – Real-estate Market Personality of the Year; in 2016 by Finance-Monthly – CEO of the Year; and by Global Brands Magazine – Most Inspiring Real Estate CEO. 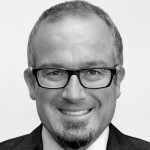 With a Master of Science degree in Architecture from the Technical University of Budapest, allied to substantial theoretical knowledge and subsequent hands-on international experience gained in the USA, Sweden, Italy and the United Kingdom, Attila established Budapest-based Horizon Development in 2006 and has turned it into a key player on the Hungarian real estate development and property investment market. He has developed office buildings, shopping and logistic centers, industrial parks, showrooms and luxury residences, recent projects associated with his professional leadership include internationally acclaimed, certified sustainable commercial buildings Eiffel Square (2010) and Eiffel Palace (2013). 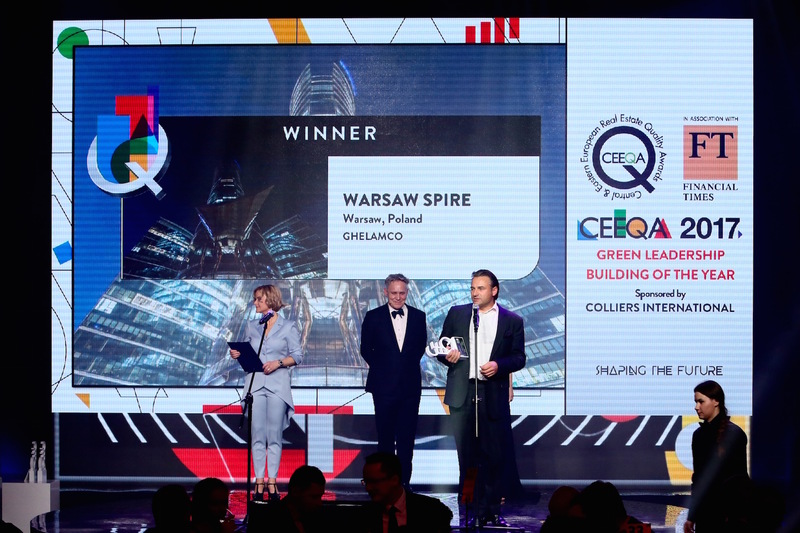 The latter is a recipient of 11 global awards, among them the World Green Building Council European Leadership Award, FIABCI, CEEQA and the European Property Awards. 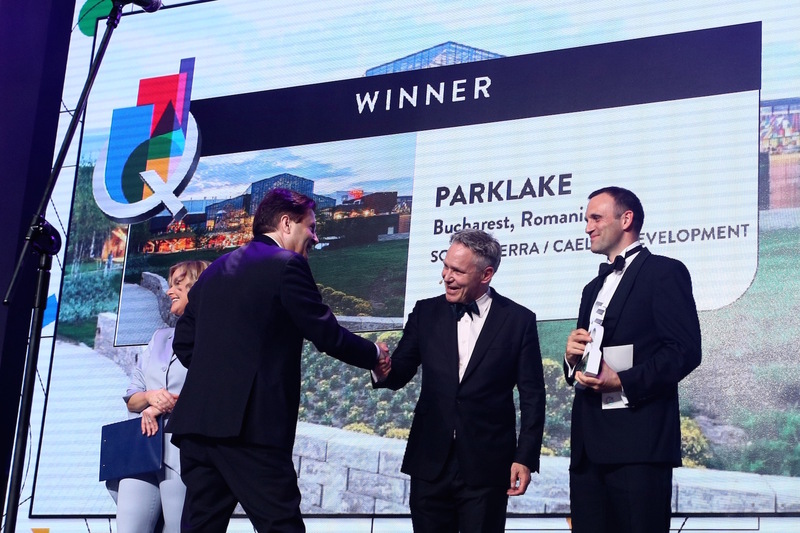 Recently completed and ongoing developments are mixed-use commercial properties: European Property Awards winner Váci 1 (2016), Promenade Gardens (2018) and Szervita Square (2019). 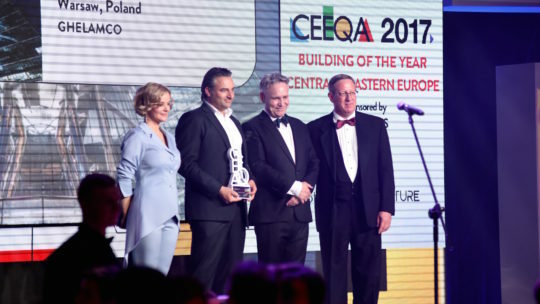 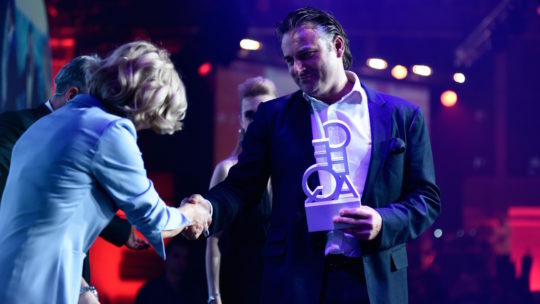 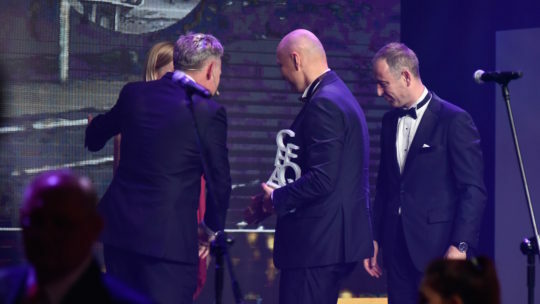 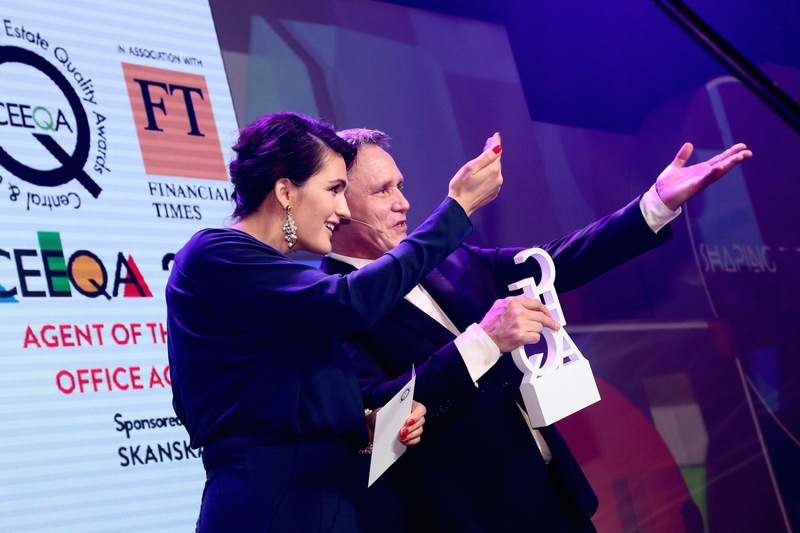 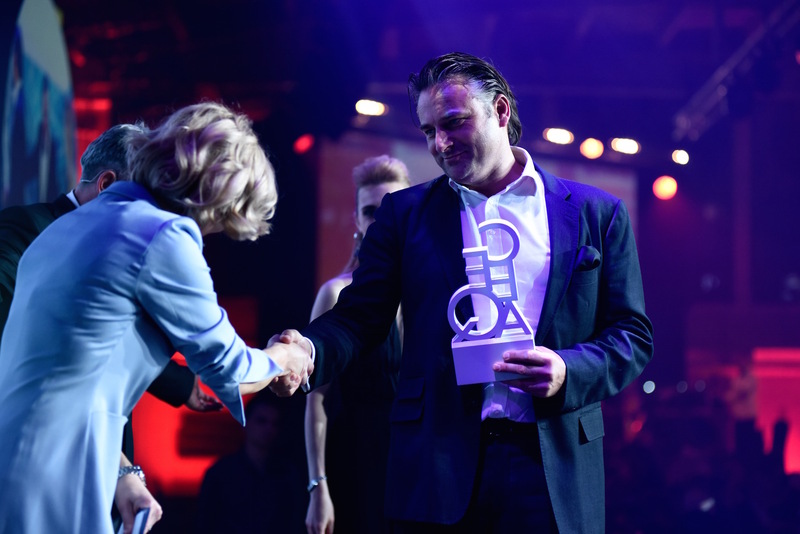 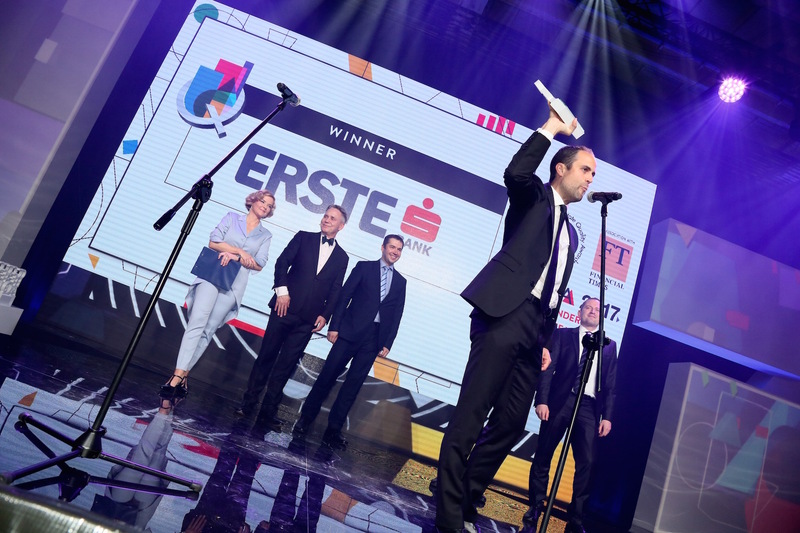 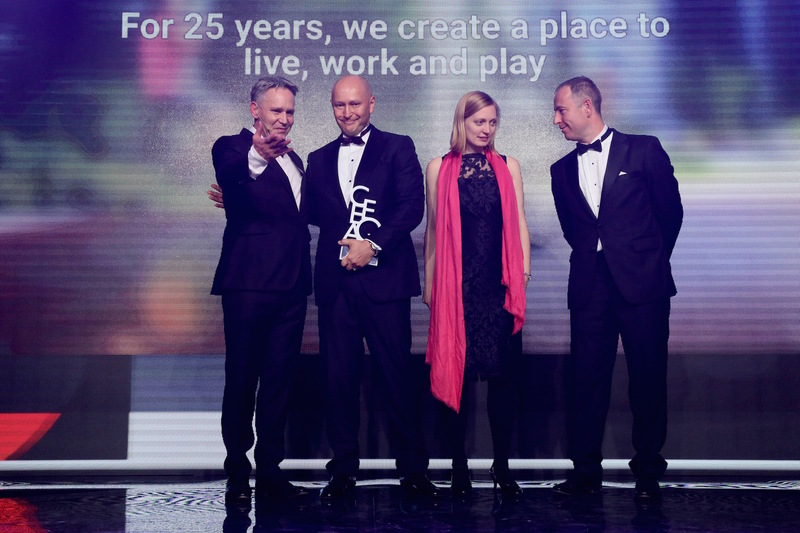 As an acknowledgement of his contribution to the enhancement of real estate development and the field of architecture in Hungary, Attila received the Office Market Professional of the Year People’s Choice Award in 2011. 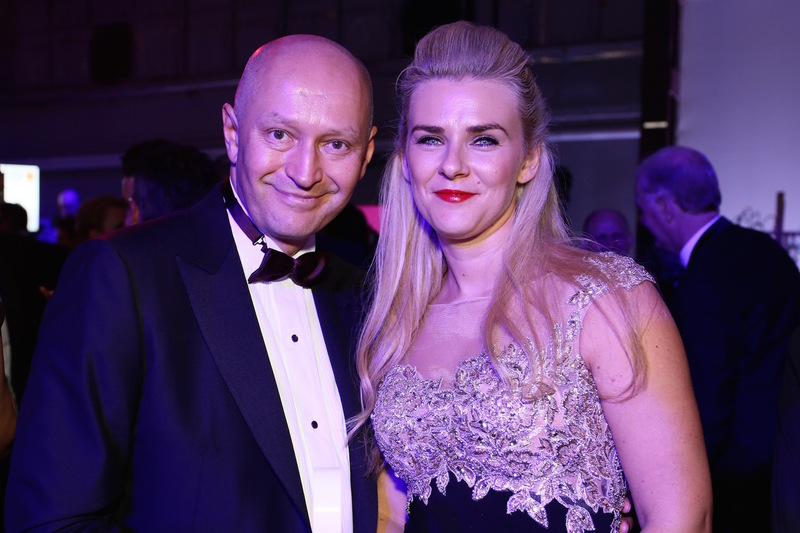 He is a Member of the Royal Institute of Chartered Surveyors. 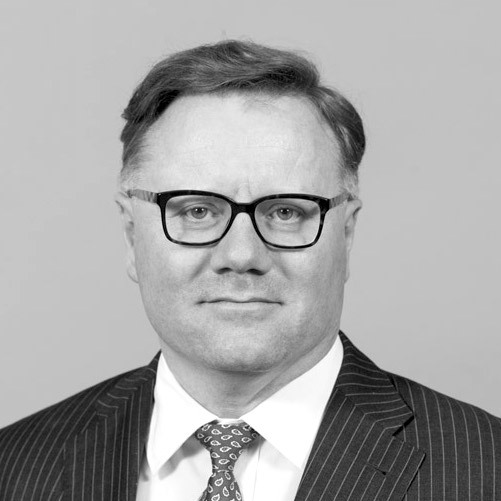 A Partner at Cushman & Wakefield with over 20 years of experience in the property profession, Charles is currently Managing Partner of the firm’s Polish offices. 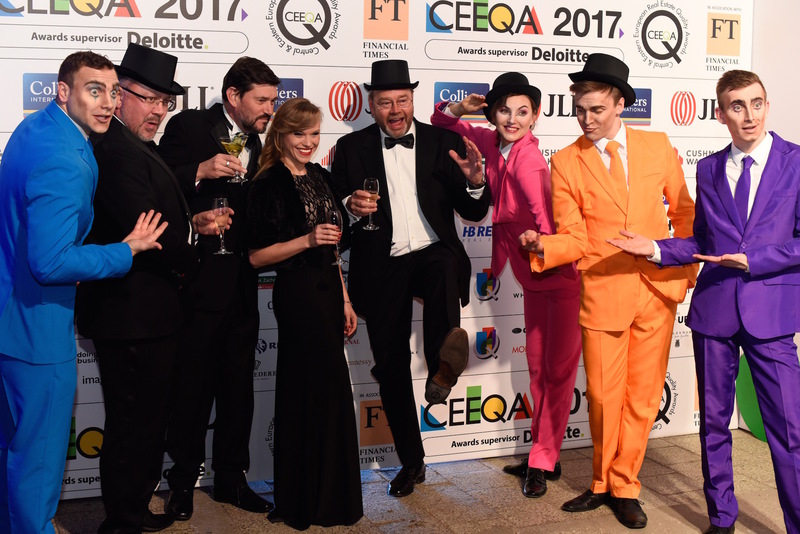 He was previously Managing Director of Hungary and Head of Capital Markets for the CEE region, having been basedin Hungary for 15 years. He has a significant track record of closing successful transactions across the region. 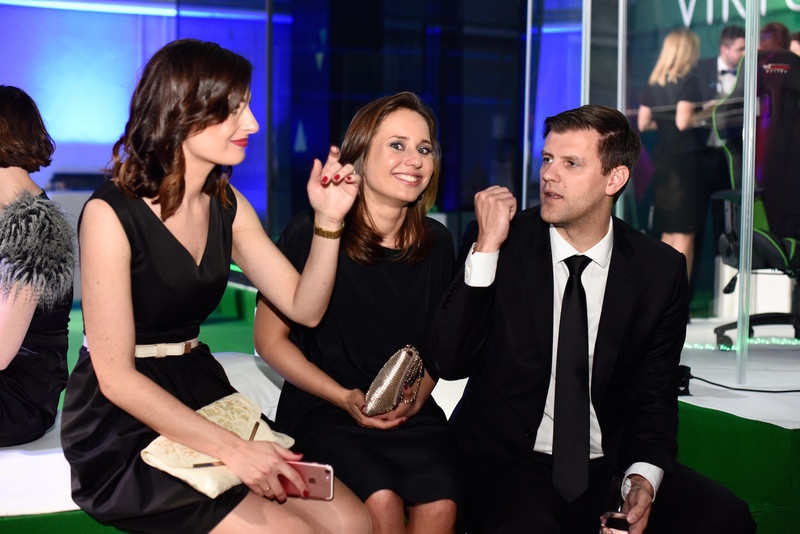 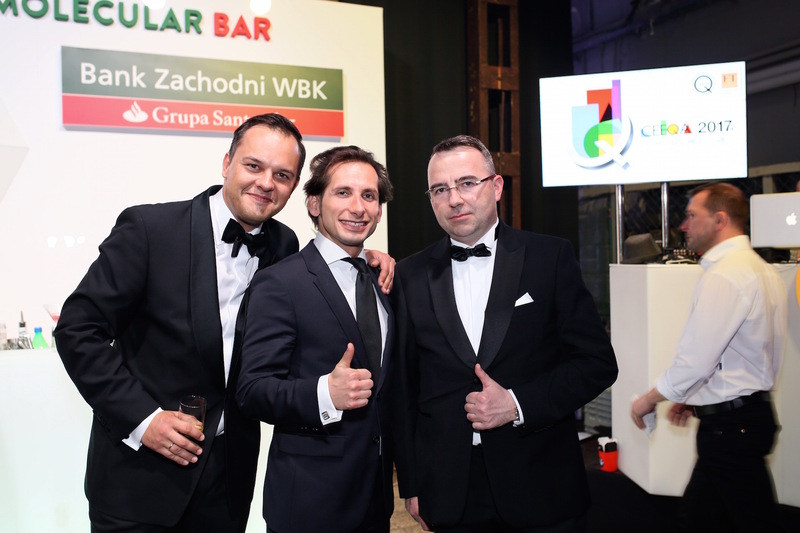 Daniel leads the team of over 450 professionals for CBRE in Poland.He joined CBRE in 2010. 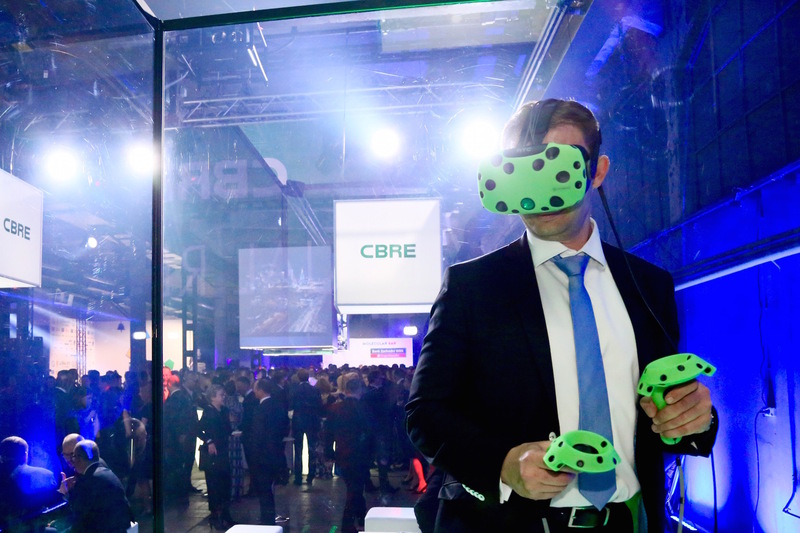 Previously, Daniel headed the Tenant Representation division in the CBRE’s Office Agency. 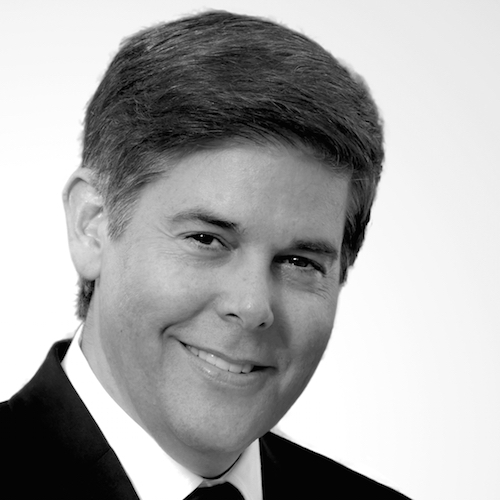 Daniel has over 20 years of real estate experience. 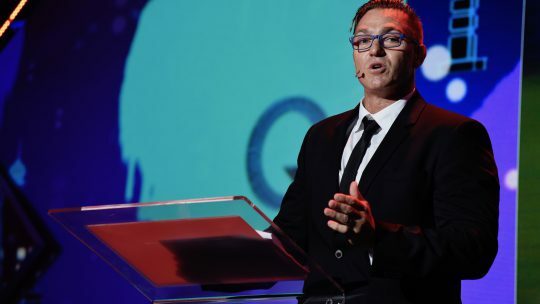 During his career,he has provided advice to many local, international and global companies. 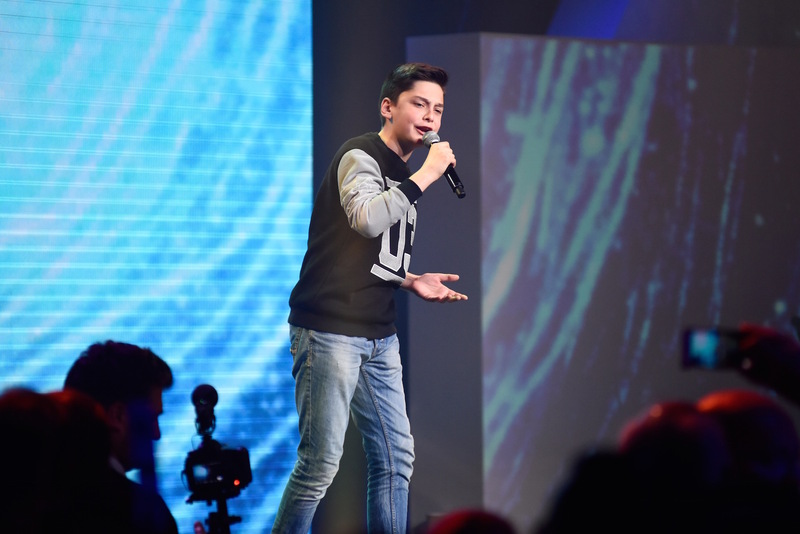 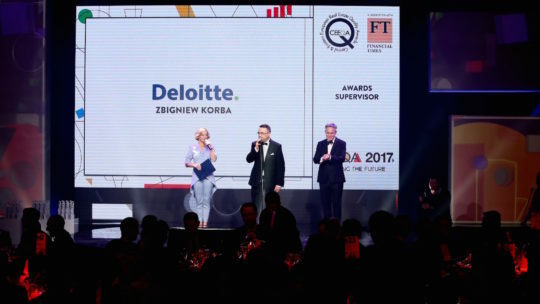 Daniel graduated from the University of Szczecin and postgraduated from the Warsaw University of Technology and Sheffield Hallam University. 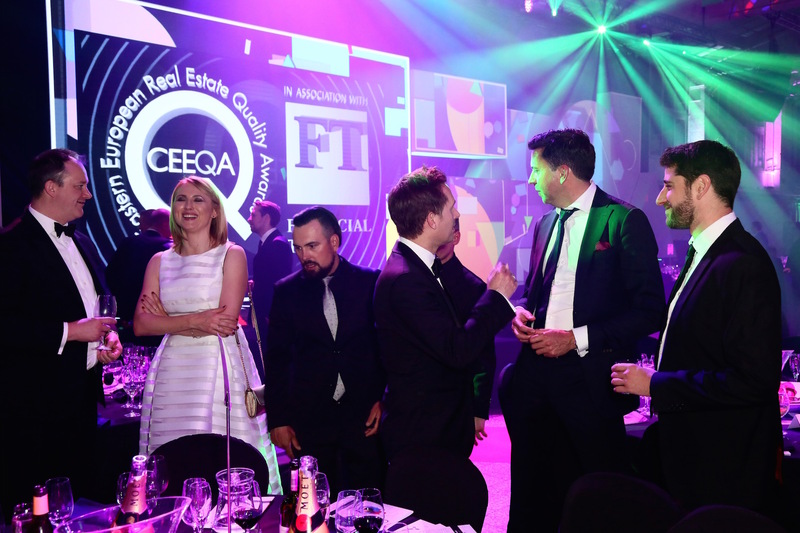 He is a Member of RICS (Royal Institution of Chartered Surveyors) and holds a Real Estate Broker and CCIM (Certified Commercial Investment Member) licenses. 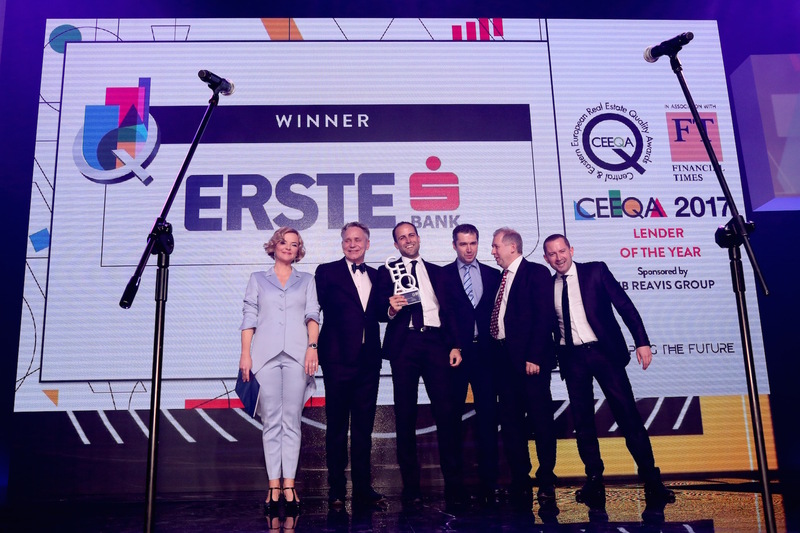 Dieter is responsible for the bank’s lending portfolio in the region.The regional focus is on Poland, Czech Republic, Slovakia, Hungary and Romania. 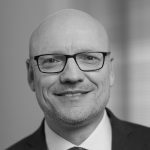 Dieter has been active in the CEE market for more than twenty years, including five years based in Warsaw between 1997 and 2002 as Head of Credit and Senior Risk Management. 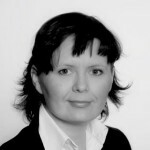 Dorota is co-founder, shareholder and vice-president of the Broad of REINO Partners, the investment management company that successfully creates and manages the first dividends structures for Polish investors – REINO Dividend FIZ, REINO Dividend 2 FIZ and REINO Dividend Plus SA investing in yielding properties, structures that possess most of REIT features which during the last 2 years have acquired three office buildings: Kapelanka 42b in Cracow, Malta House in Poznan and Alchemia I in Gdańsk. Dorota has 20-year experience in the real estate industry in CEE region. Before setting up REINO Partners, she was the partner and shareholder of the leading global real estate advisor-Knight Frank, where for many years she was heading up Capital Markets team involved in both investment and development sector. 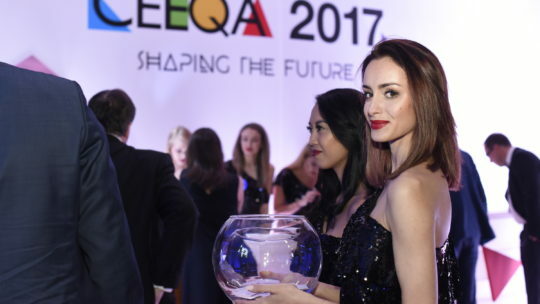 Participated in the equity and debt finance raising, acquisition and sale of real estate, structuring transactions, carried out due diligence processes. 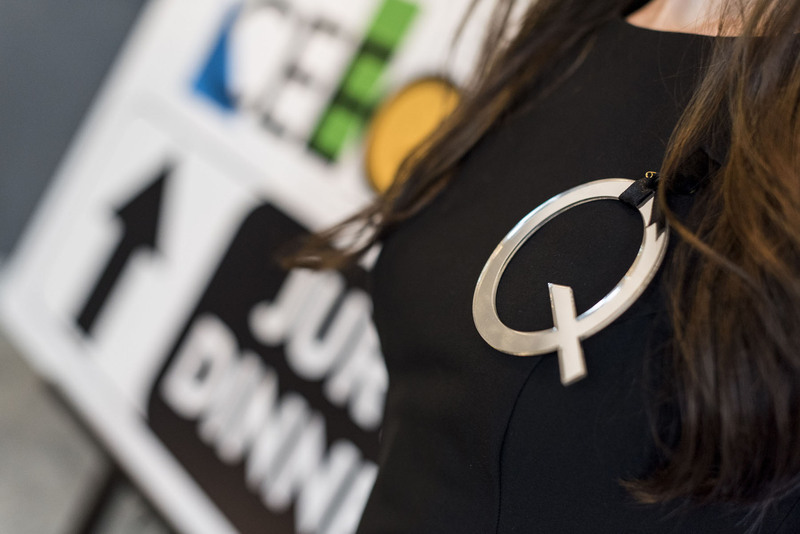 The total value of the transaction with her participation has exceeded € 2 billion. 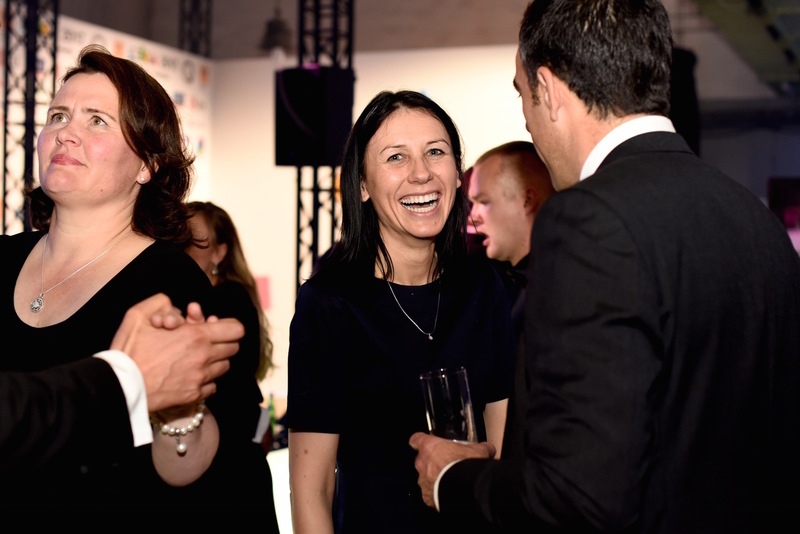 Eva has worked with the UniCredit Group since 1998. 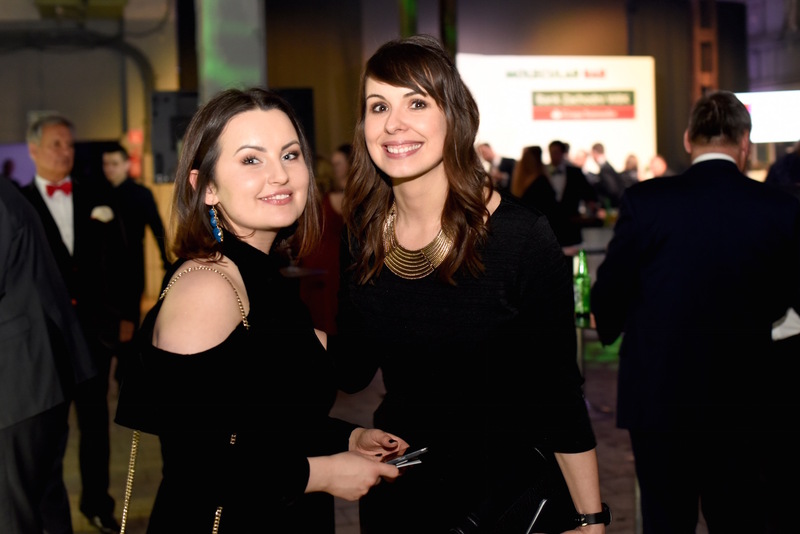 Beginning her career in Hungary where she worked as head of department for real estate, in her current position since 2006 she is responsible for international real estate clients in CEE, Russia and Turkey, and for investment and development projects. 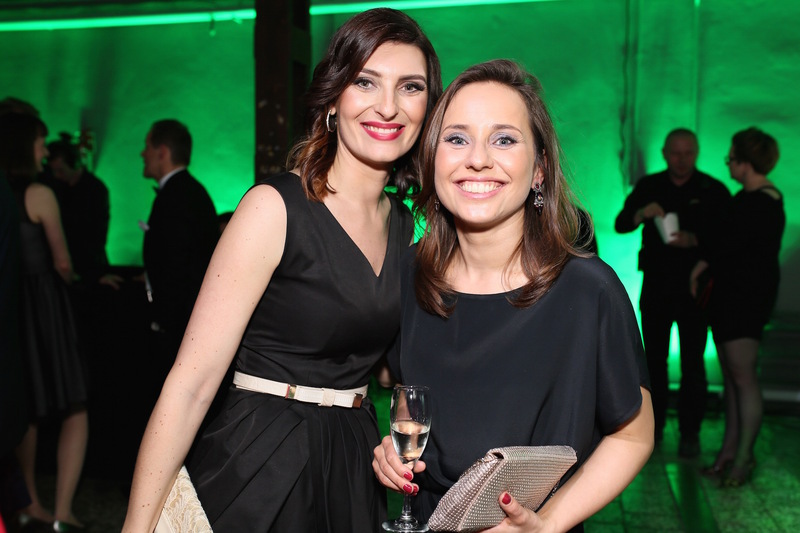 Eva graduated at the Corvinus University Budapest. 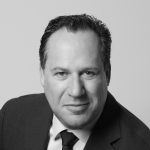 Gordon leads Heitman’s European Private Real Estate Equity group and is an equity owner of the firm. 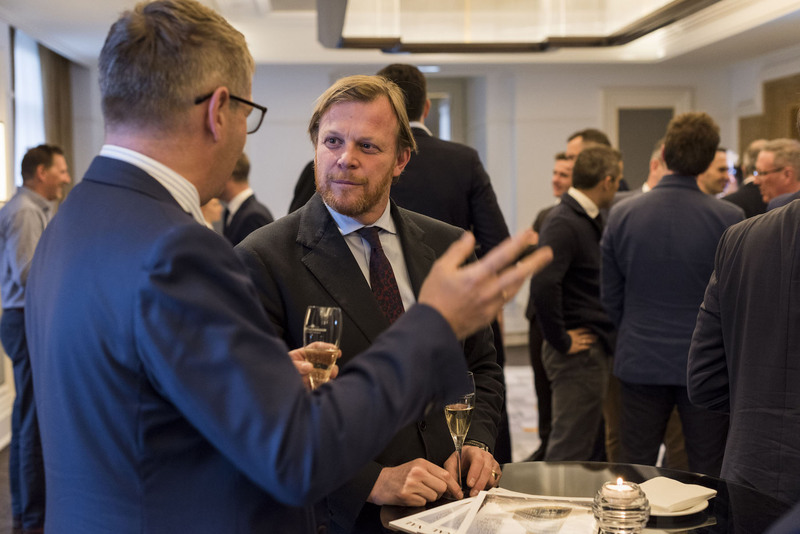 Since 1995 he has had primary responsibility for Heitman’s investment activities in Europe. 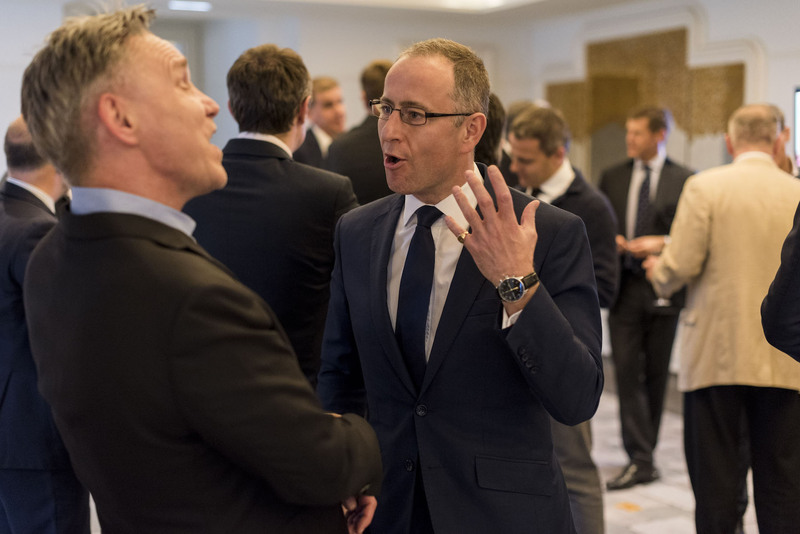 Heitman has participated in European real estate transactions totaling over €5 billion to date, and Gordon has been involved in global acquisition and disposition activity totaling just under €8 billion. 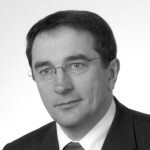 He is a member of Heitman’s Executive Committee, Board of Managers and European Investment Committee. 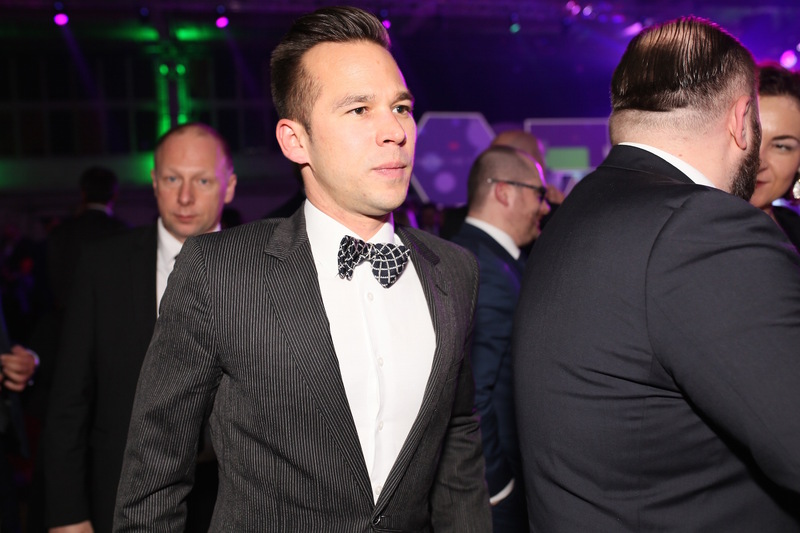 Gordon received a BA in Finance from Michigan State University. 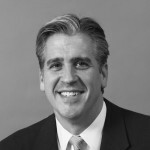 He is a member of the Urban Land Institute and the Commercial Investment Real Estate Institute. 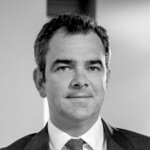 He is based in Heitman’s London office. 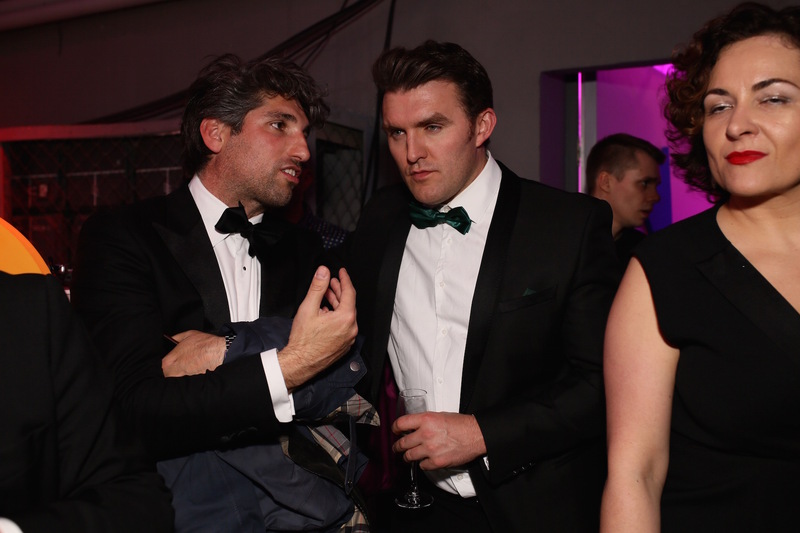 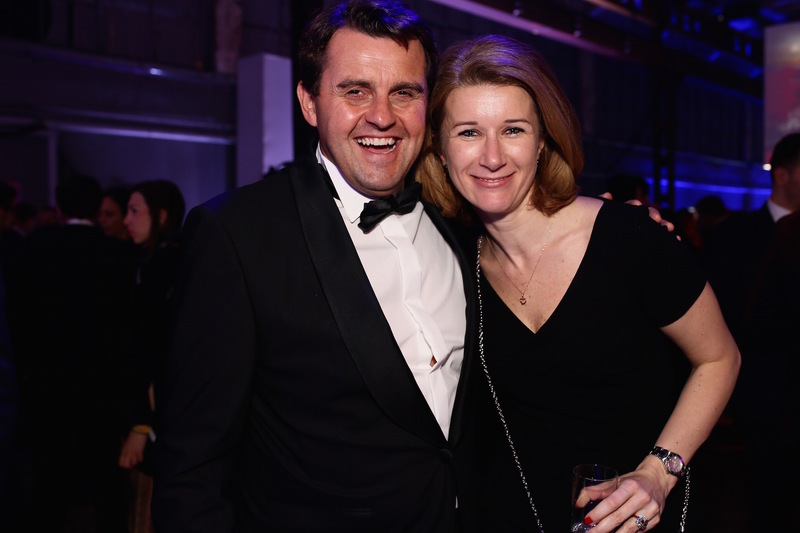 Guy co-founded Sharow Capital, the boutique investment and asset management firm, in 2014. 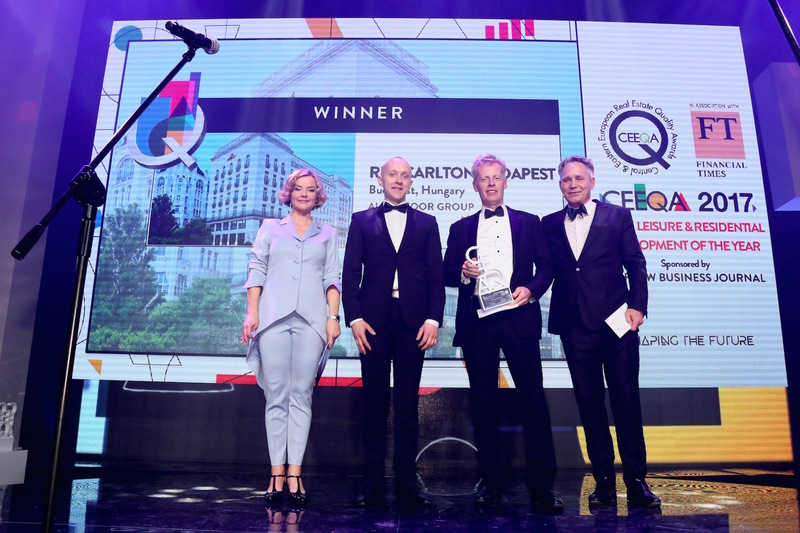 Sharow Capital has quickly established itself as a high quality provider of investment solutions across CEE, with particular success in delivering astute acquisition strategies and expert asset management. 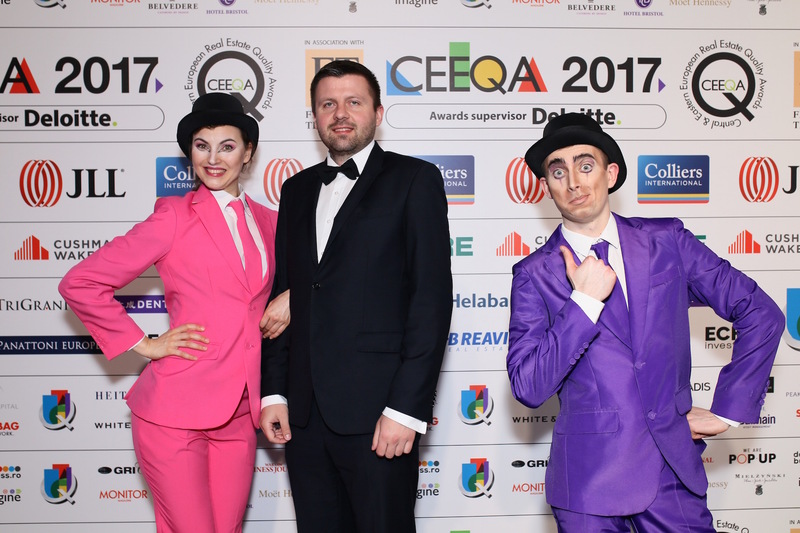 Guy lived and worked in CEE since 2001. 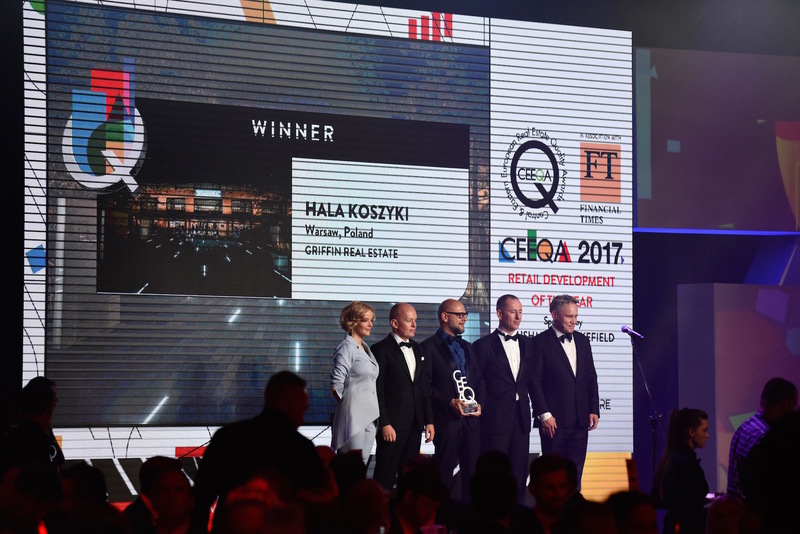 His focus has been on development, leasing and major asset repositioning of mostly office buildings in Czech, Poland, Hungary and Slovakia. 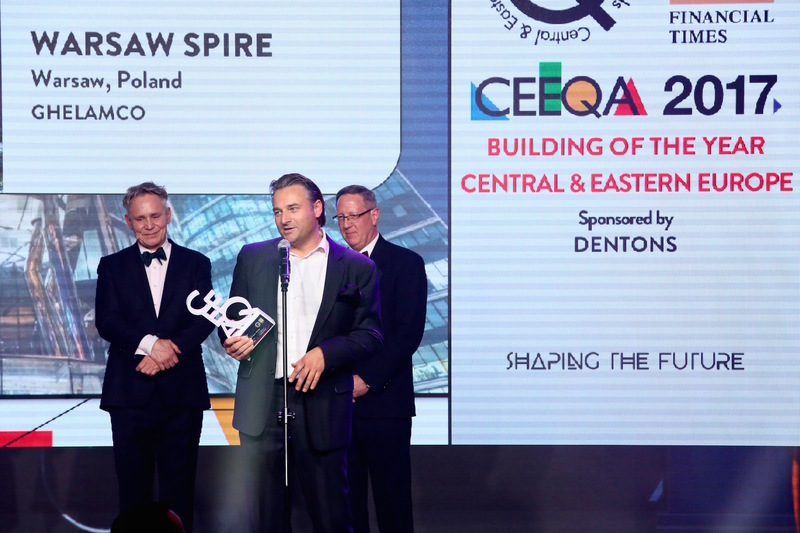 Guy has been a board member of RICS in CEE and undertaken APC assessments. 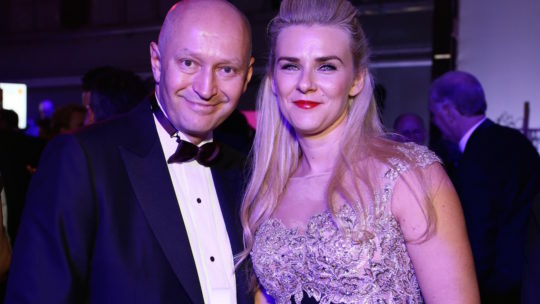 He is a Member of the Royal Institute of Chartered Surveyors. 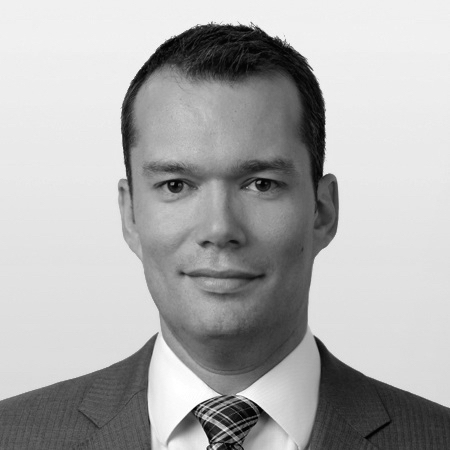 Henning is responsible for acquisitions and sales of WARBURG-HIH Invest Real Estate in Central Eastern Europe (CEE). 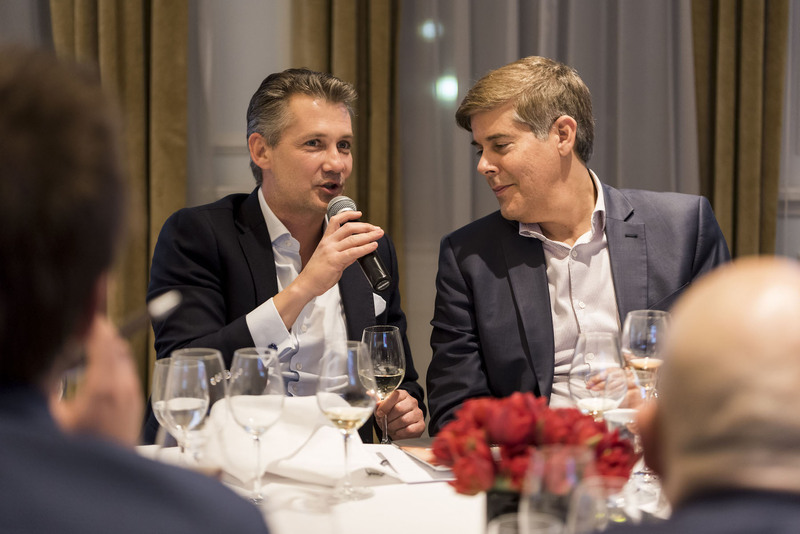 Warburg-HIH is an integrated investment, fund and asset management platform with AUM of 12 billion EUR based in Hamburg. 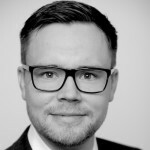 He has been with the group since August 2014 and has completed transactions in the amount of more than 250 million EUR in the Netherlands and Poland. Henning holds a diploma in business and engineering from the University of Applied Sciences Leipzig. 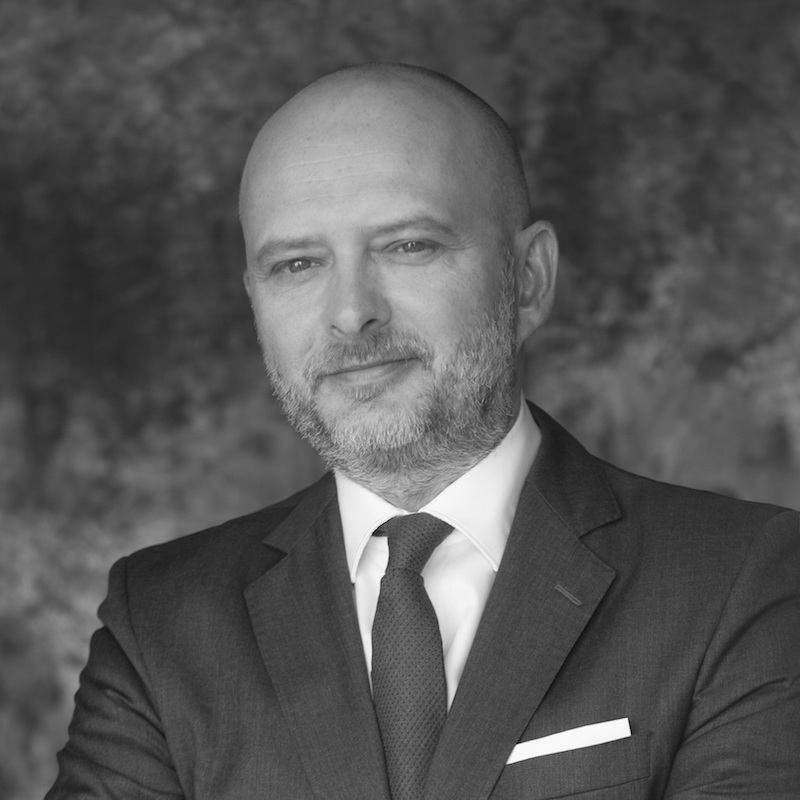 Highly specialized in office agency and client representation services, Horatiu has a wide breadth of property experience, gained in his 20 years’ career by advising the main developers as well as the most prominent multinational companies operating in Romania. 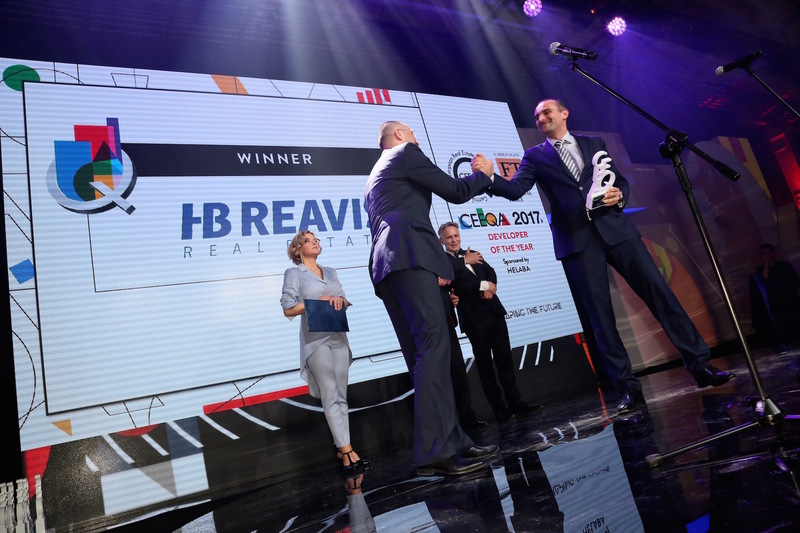 Named ‘Most Successful Broker’ on Romania’s market, several times, Horatiu is reputed for his cutting edge and professional consultancy services to tenants, developers and investors alike. 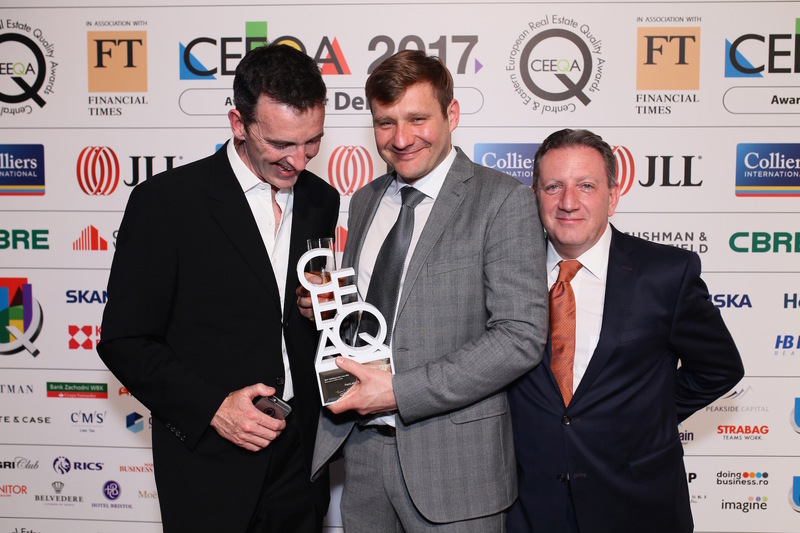 Widely acknowledged for his pre-lease expertise, Horatiu has been involved in the largest real estate office projects, having leased cca. 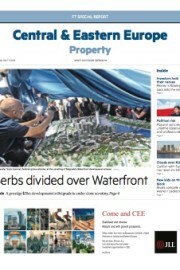 950,000 Sq M office space. 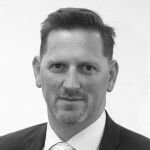 Ian has been active in the CEE region, Russia and Ukraine since 1996 in a range of senior management roles. 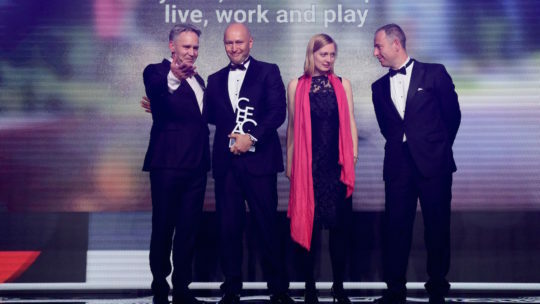 AECOM is a Fortune 500 company with in excess of 90,000 employees serving clients in more than 150 countries. 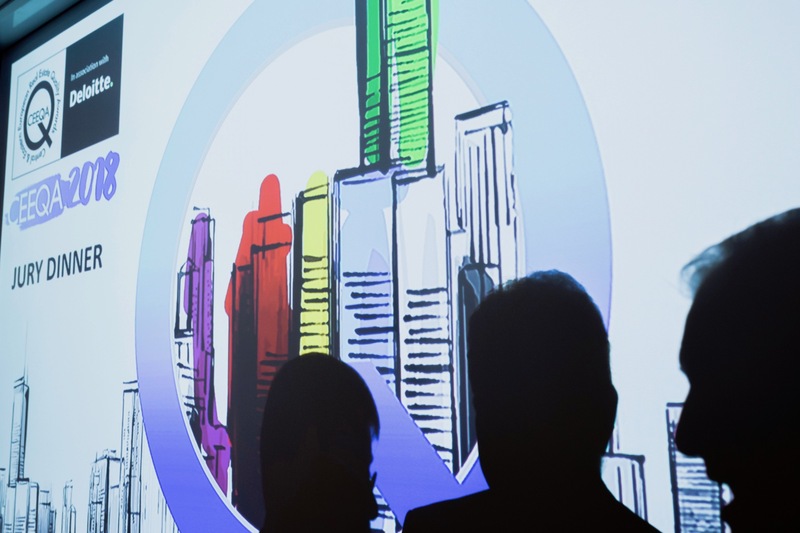 Built to deliver a better world, AECOM provides a unique blend of global reach, with local knowledge. 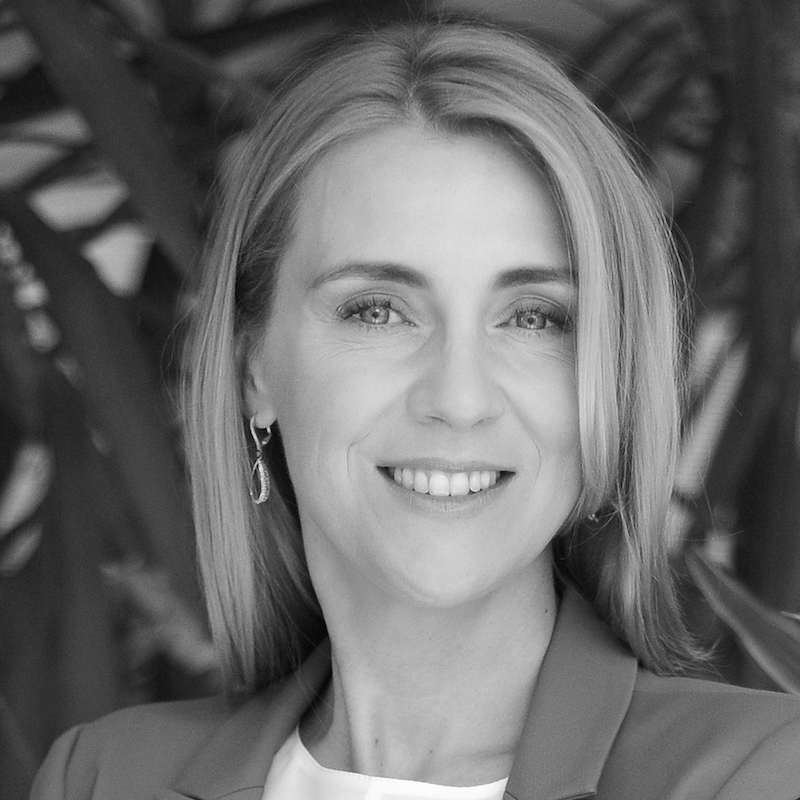 Izabela has over 15 years’ experience in commercial real estate. She joined Knight Frank in October 2010 and since 2015 she has headed the office agency team in Warsaw responsible for the Landlord and Tenant Representation Departments and also oversees the agency’s activities in regional cities Lodz, Poznan and Tricity. 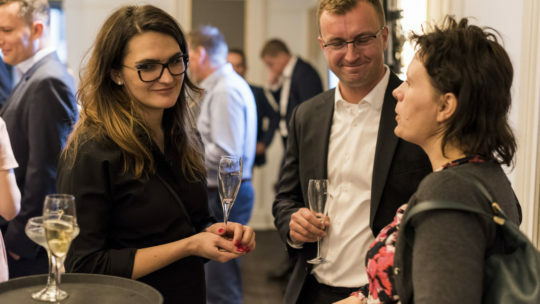 Izabela is also responsible for the process of operational cooperation with investment funds, developers and private owners (DEKA Immobilien, Savills Investment Management, Raiffeisen Capital Management, Azora International, Union Investment) and tenants within the scope of lease agreement negotiations and renegotiations. She graduated from the Technical University of Gdansk and holds a property management license as well the CCIM title. 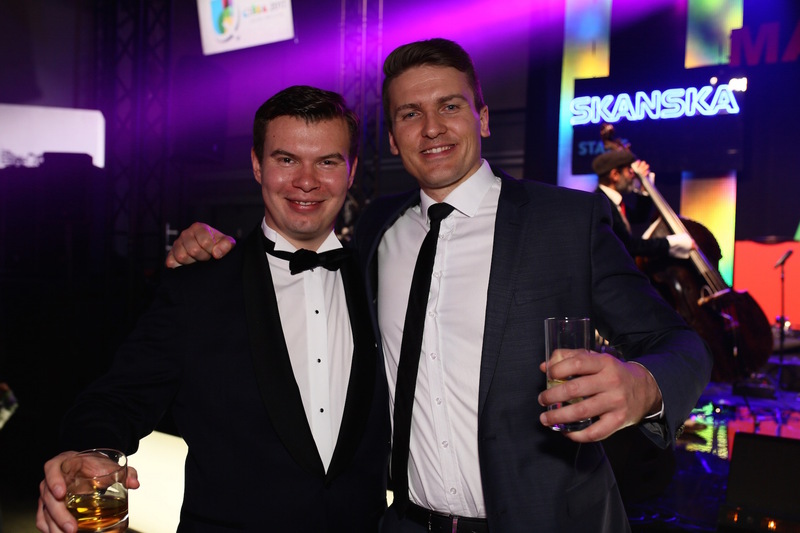 Jake has been heading the business development of Olivia Business Centre in Gdansk since the beginning of its operations in 2009. 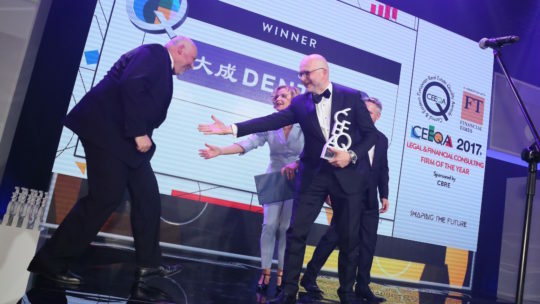 Playing a major role across departments, he is responsible for many of its unique features and image defining properties that have supported its growth and satisfied global clients spread across the 140 different companies, from global giants to startups to SMEs housed within the campus. 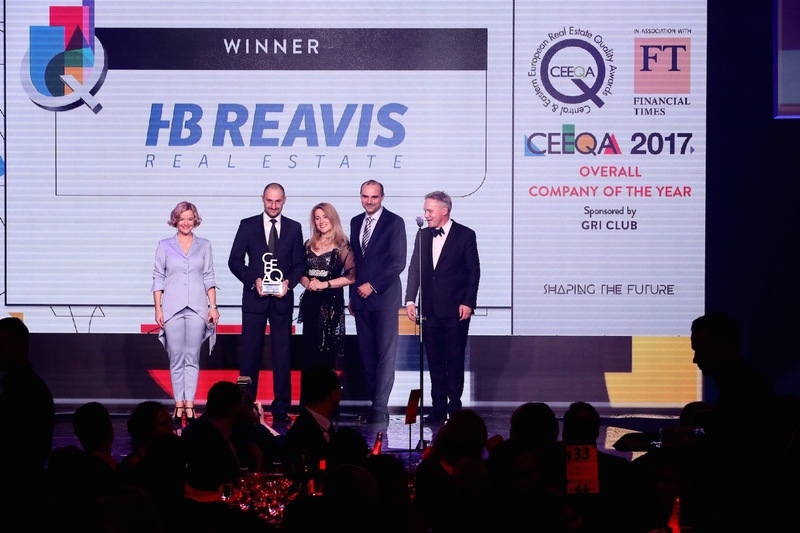 His experience in international entertainment and media over 20 years has helped to cement the reputation of Olivia Business Centre as something special, focusing on the wellbeing of people, their development and satisfaction, happy people do better work. 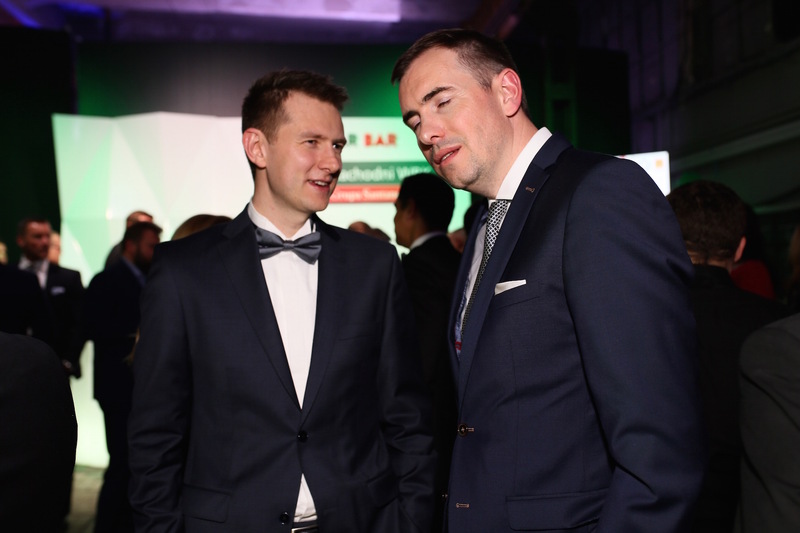 Jake also teaches at the Faculty of Management at Gdansk University and is a member of the advisory board to the President of Gdansk for International integration. 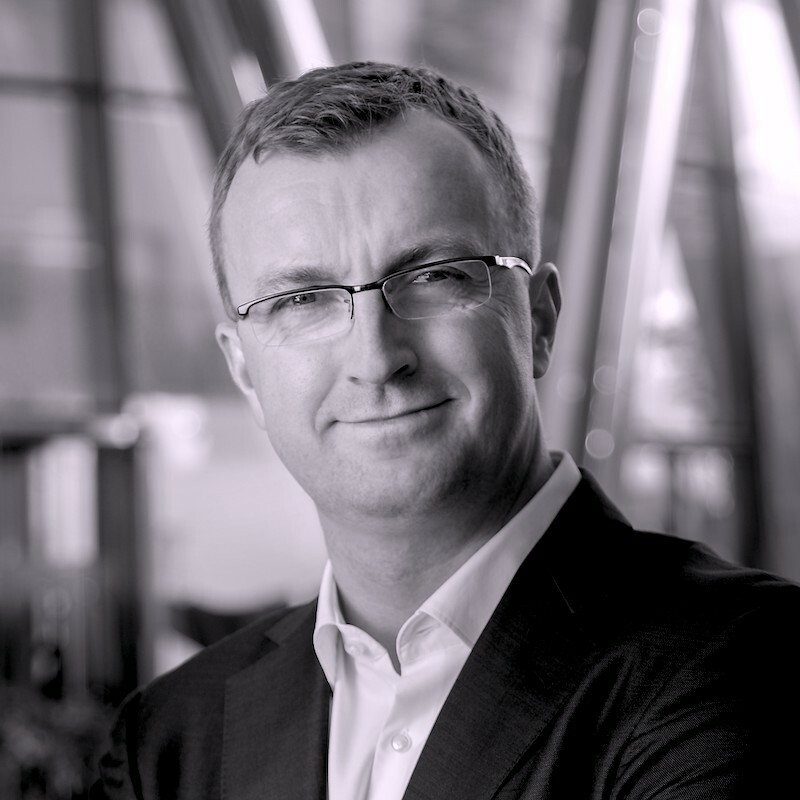 Prior to establishing Balmain in 2003, James held positions with Westfield over a ten-year career, culminating in establishing their European shopping centre business in London in 1998. 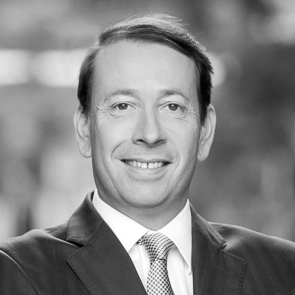 He has been directly involved with 2.7 million sqm and EUR 10.5 billion of shopping centre assets over his twenty-five-year career. 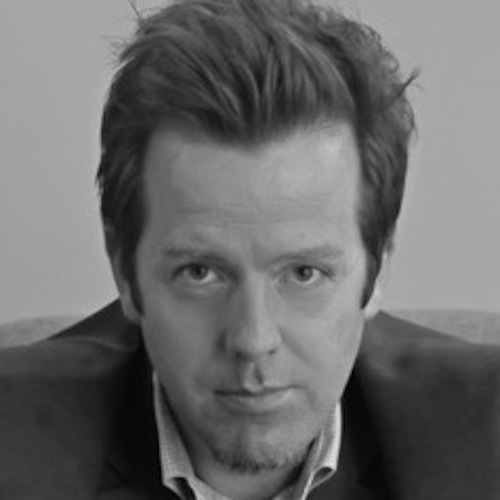 Jon completed his architectural studies at Kingston Polytechnic in 1990 and moved to Prague a year later. 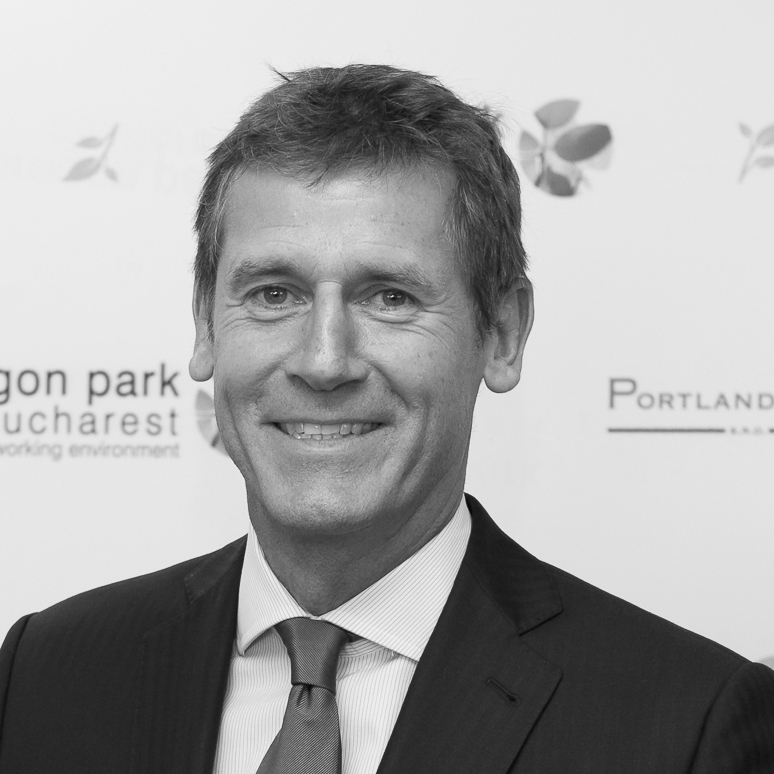 In 1997 he joined Chapman Taylor in London and was instrumental in setting up their Prague office in 1998. 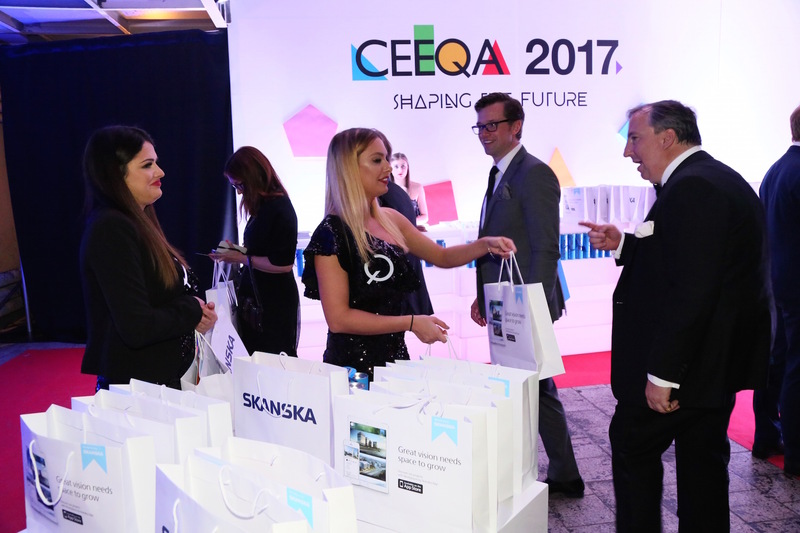 He has extensive experience in the fast developing markets of CEE and SEE with strengths in the retail, office and residential sectors. 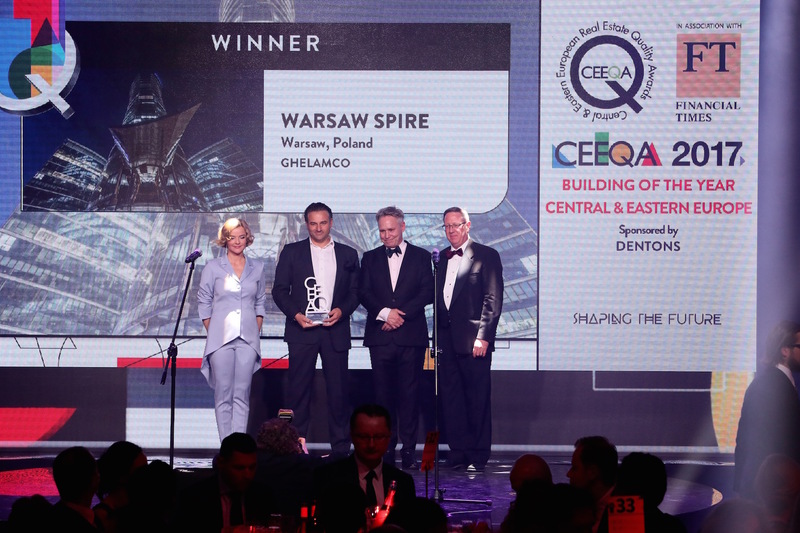 He has led the design and implementation of numerous high profile projects in the Czech Republic, Romania, Azerbaijan, Ukraine and Serbia. 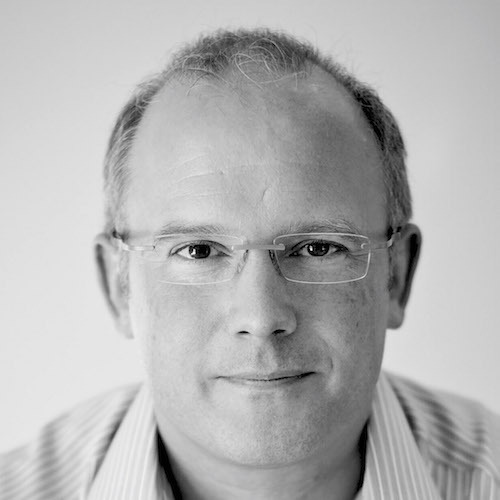 Jon speaks Czech, is a UK registered architect and has Czech Chamber of Architects’ Type A (full) authorisation. 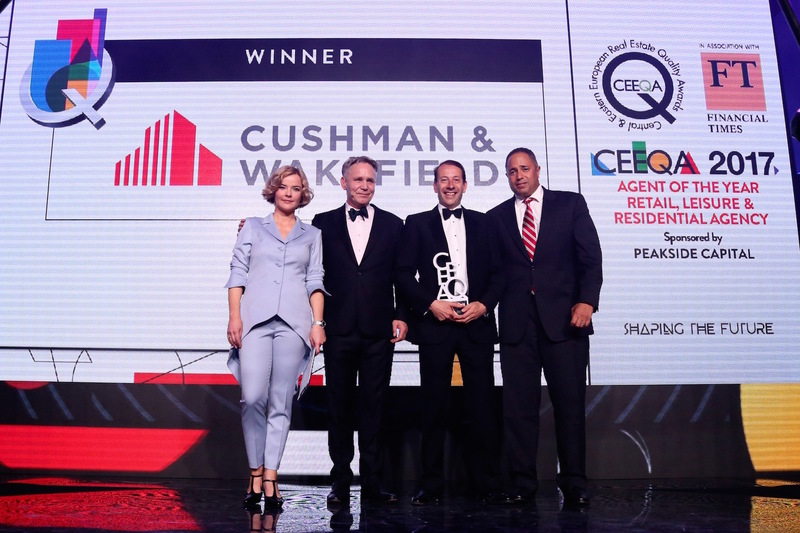 As Head of Central & Eastern Europe, Jonathan oversees Cushman & Wakefield’s operations across the region, with over 1100 staff in six countries (Czech Republic, Slovakia, Hungary, Poland, Russia and Turkey) and Cushman & Wakefield Alliance partners in further nine countries across the CEE region. 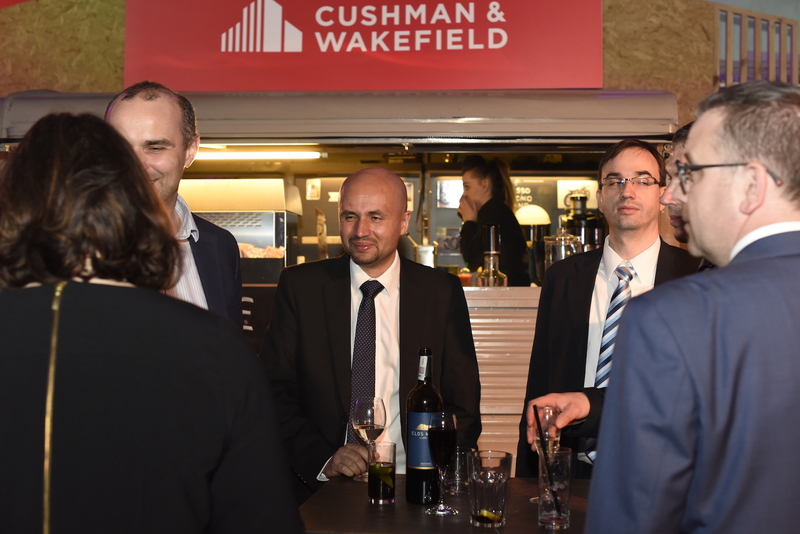 Jonathan is a European Executive Committee Member of Cushman & Wakefield and the Managing Partner of Cushman & Wakefield in the Czech Republic. 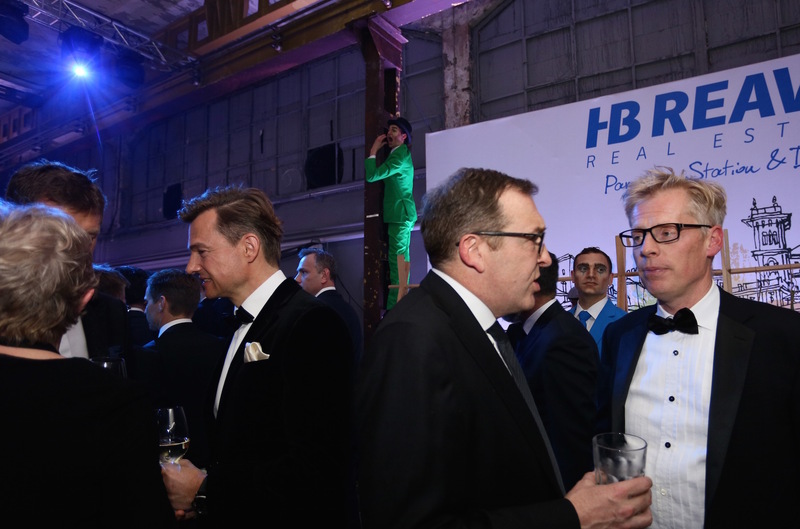 He is a member of the RICS, IBF Board Member (International Business Forum), and BGMC Board Member. 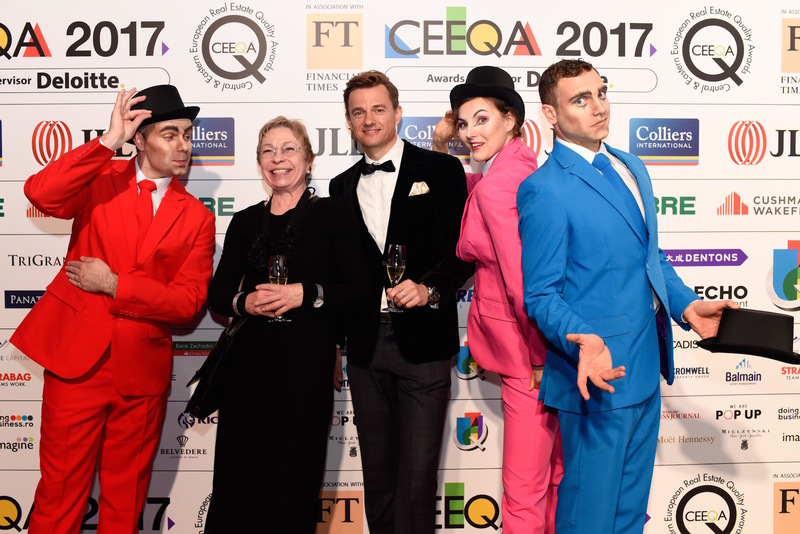 Judith Evans is the property correspondent for the Financial Times, covering residential and commercial real estate in the UK and around the world. She has previously written on investment, asset management and alternative finance for the FT and its specialist publications. 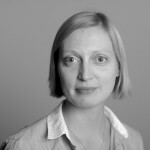 Before that, she covered Asian news from Hong Kong and the Maldives for the international newswires Agence France-Presse and Reuters. Karl Wilson is the Managing Director for Aareal Bank in Central Europe & Russia with the core focus being on Poland. 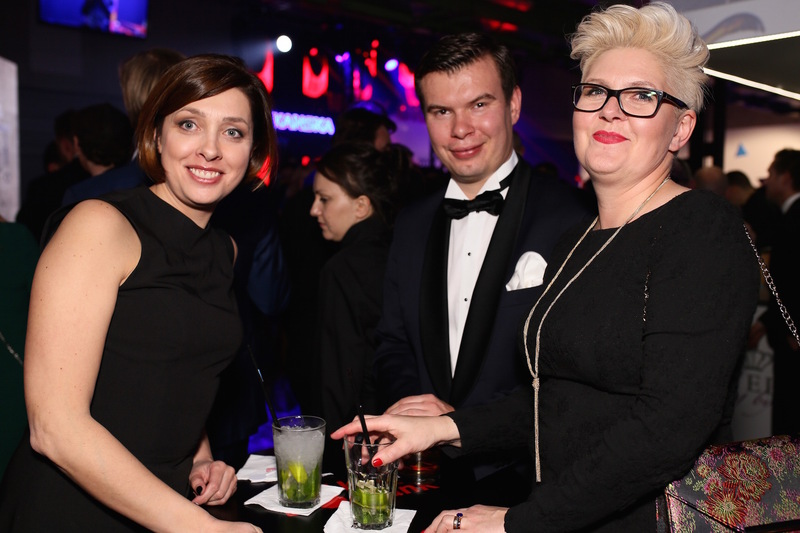 Aareal Bank have a full Bank Branch in Warsaw and a Representative office in Moscow. 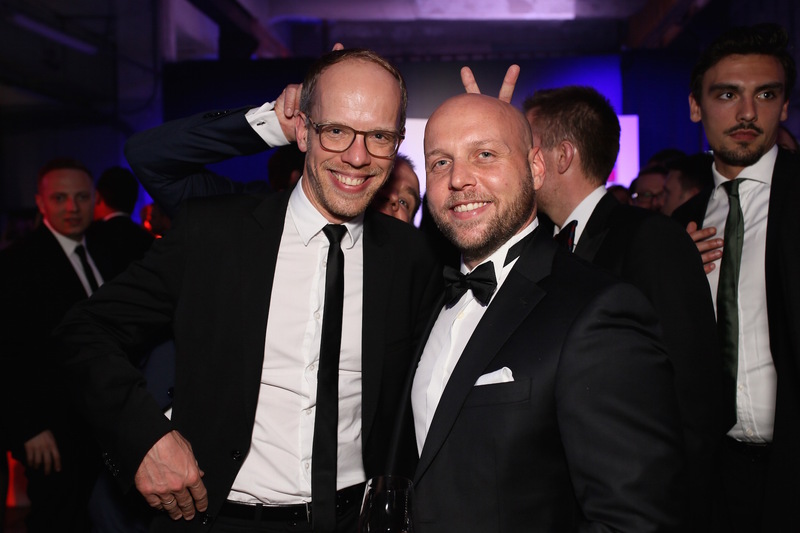 Karl has been with Aareal since 2000. 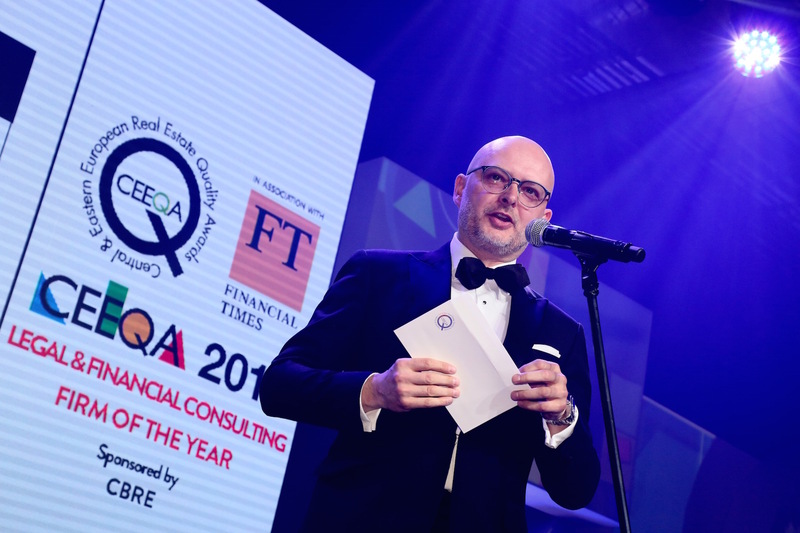 Prior to this position, he worked initially in Frankfurt and thereafter in London within Real Estate Banking and thereafter in Prague for what is now PWC, co-ordinating their CEE corporate finance real estate activities. 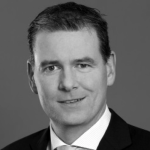 He holds a degree in estate management from Trinity College Dublin. 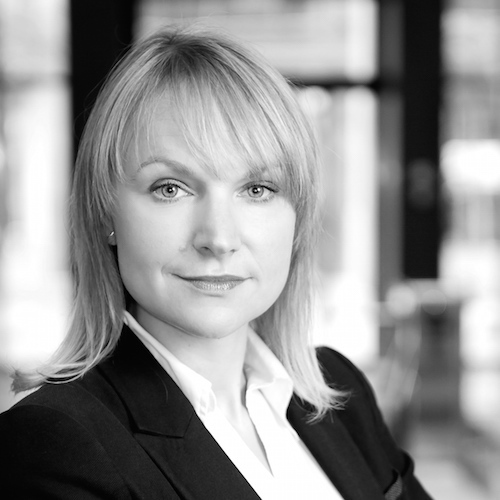 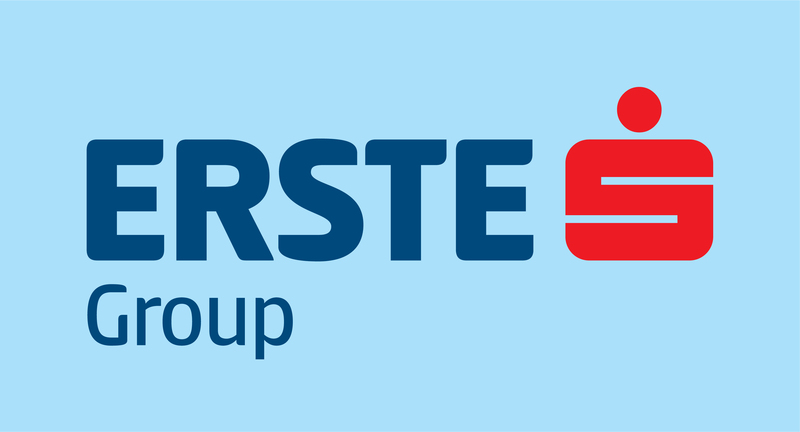 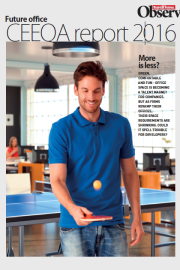 Karol manages a portfolio of office and retail assets across CEE, Germany and the Nordics. 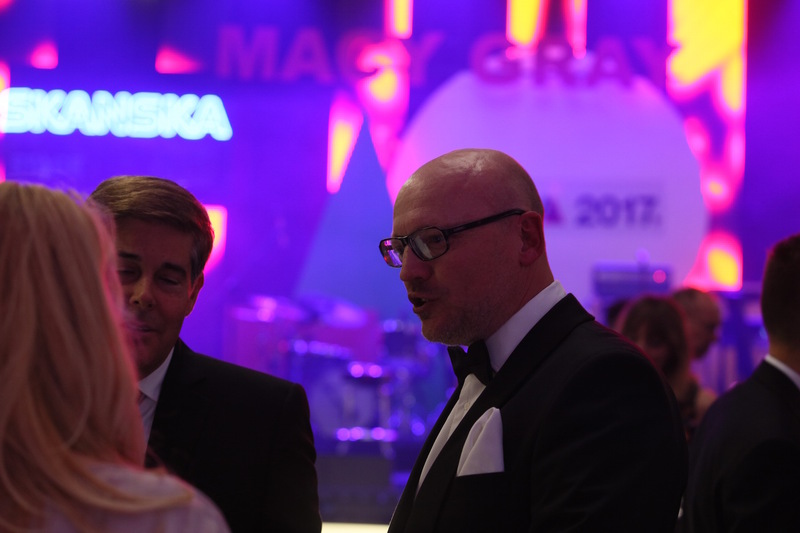 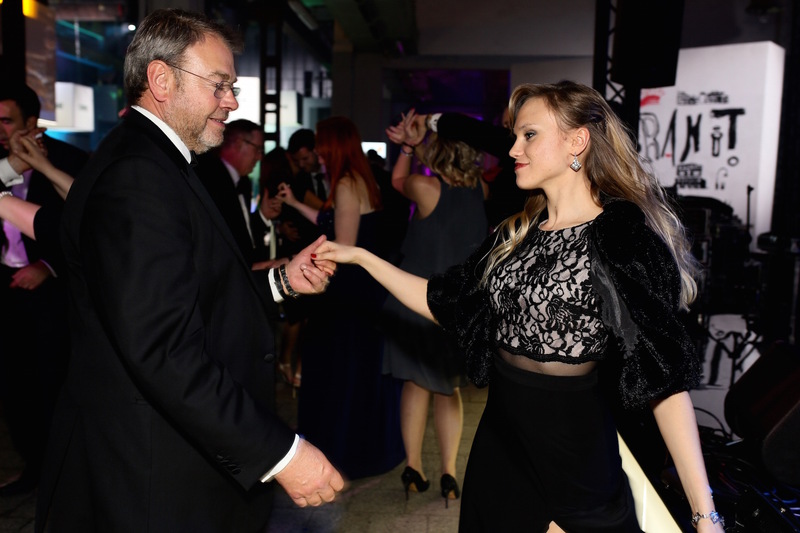 Prior to joining Tristan in 2012, Karol was Country Manager Poland at MGP based in Warsaw where he managed the Polish platform of MGPA’s business including asset and development management, acquisition and finance. He joined MGPA in 2008 from Heitman where he was responsible for portfolio of assets across 6 CEE countries including office, residential, industrial and joint-venture partnerships and has managed investments of over €2 billion in value throughout full cycle of investment. 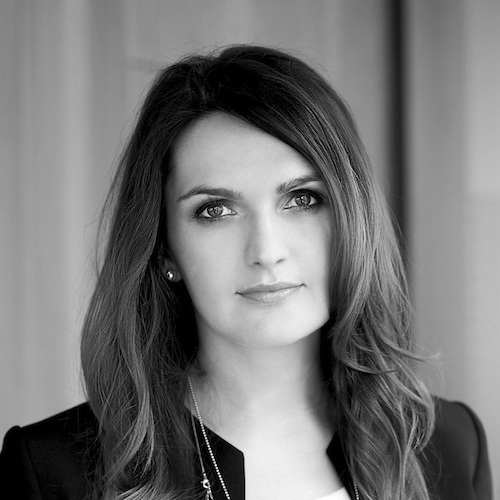 Karol graduated as MA in Economics with a specialty in Real Estate Management and Corporate Finance. 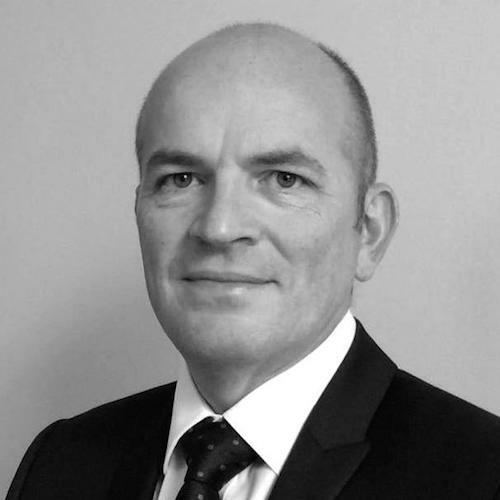 He is a Member of the Royal Institute of Chartered Surveyors and a CCIM designee. 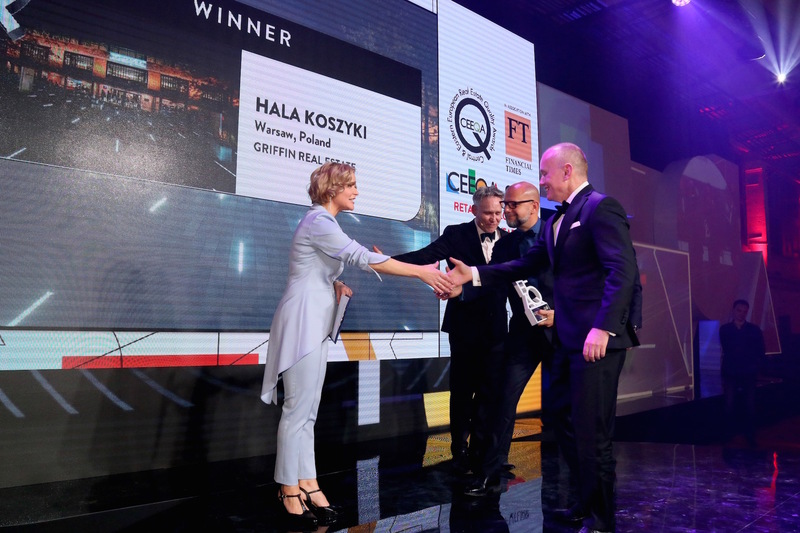 Katarzyna is responsible for the company’s strategy and operations in the area of sustainable office investments in rapidly-developing markets of Poland, the Czech Republic, Romania and Hungary. 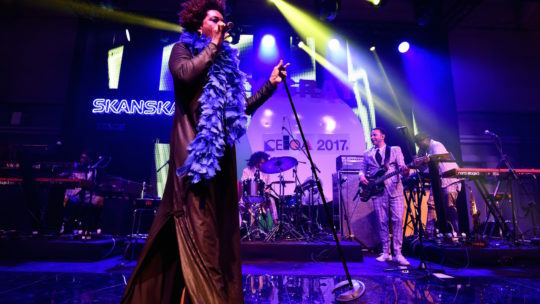 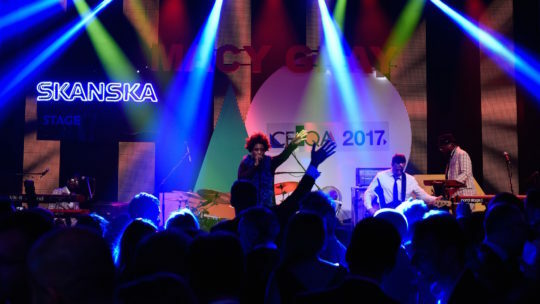 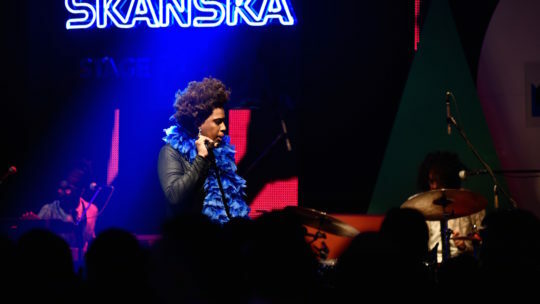 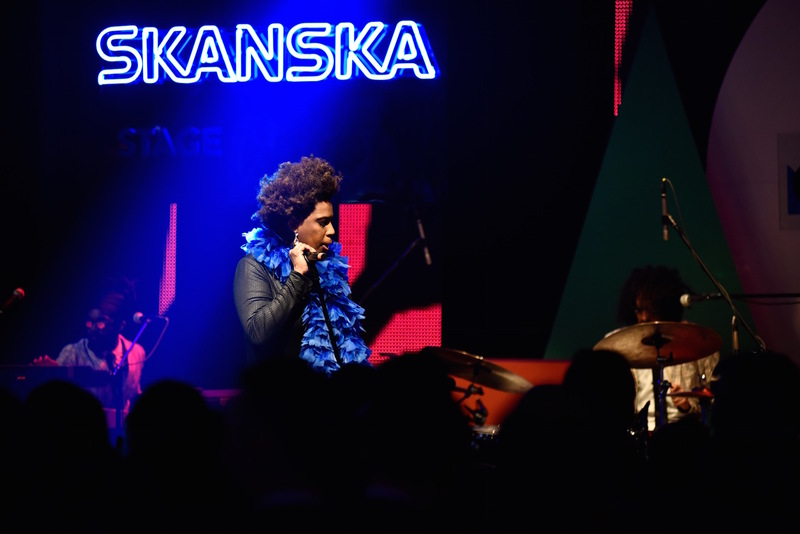 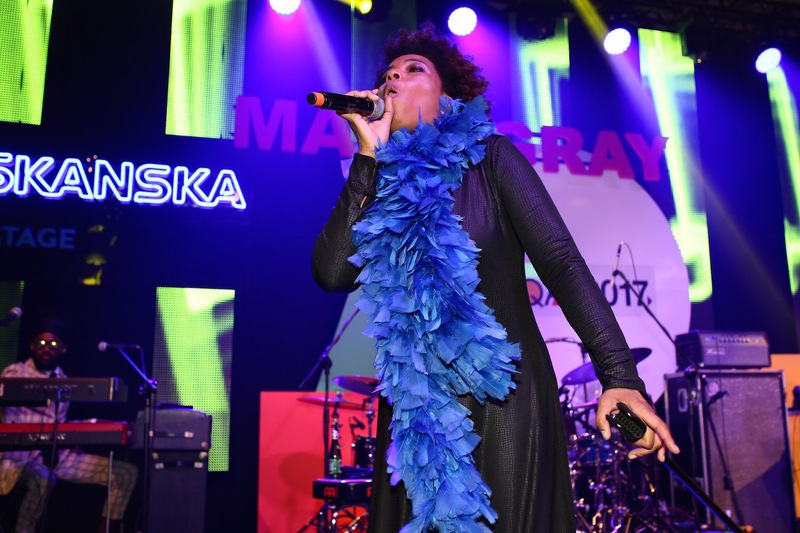 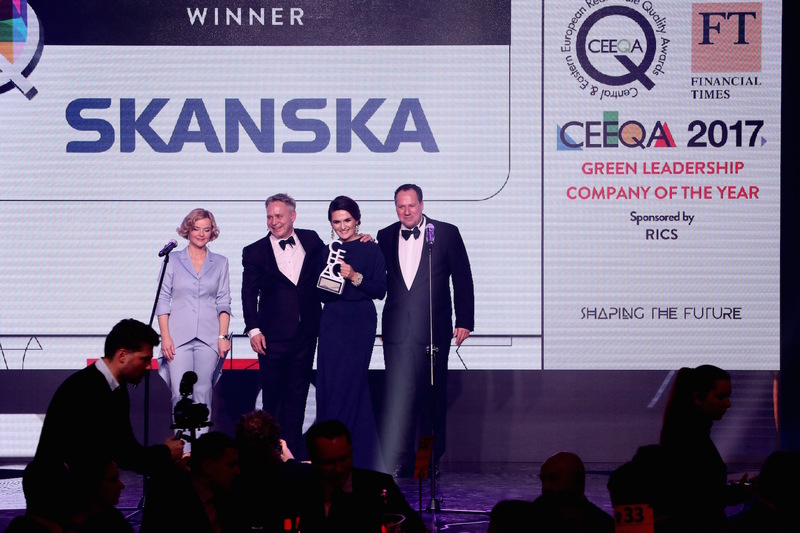 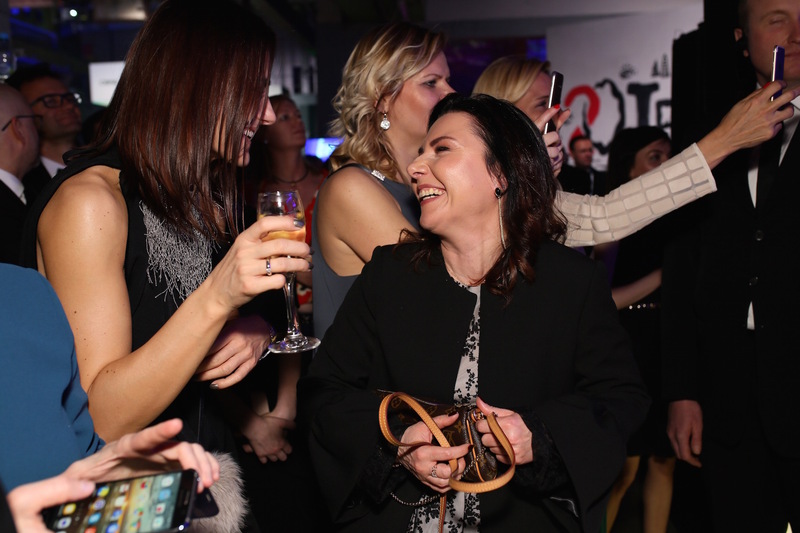 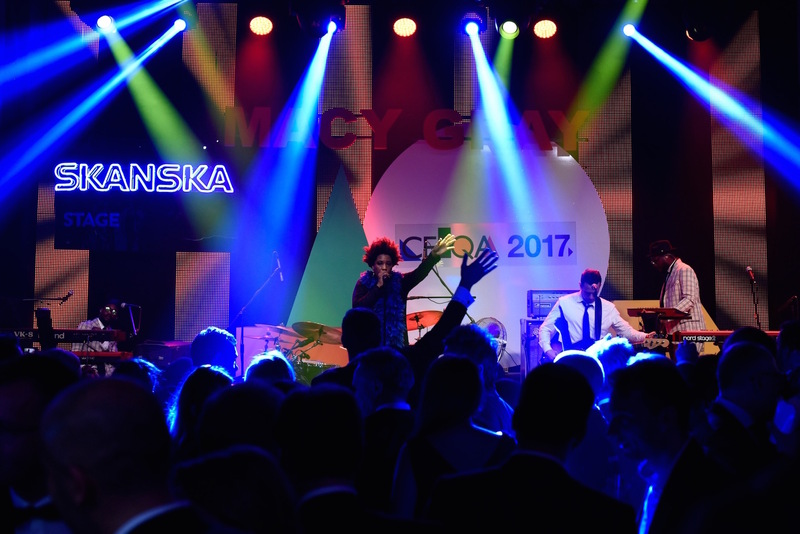 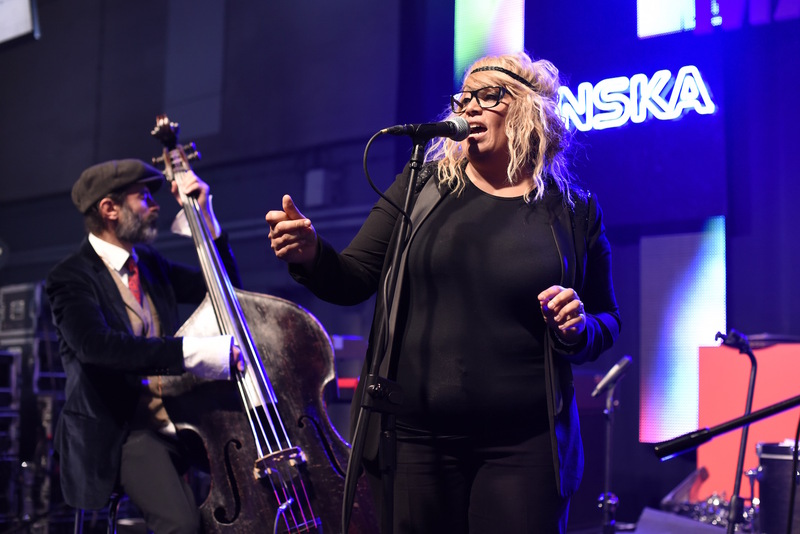 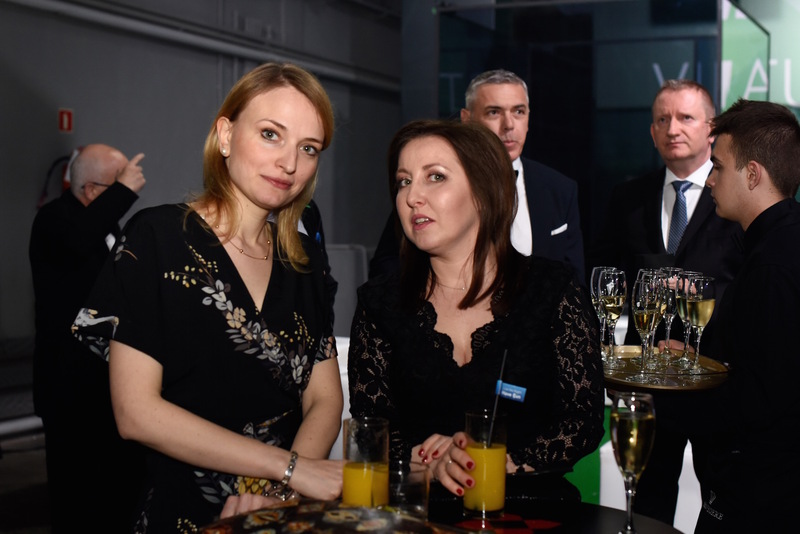 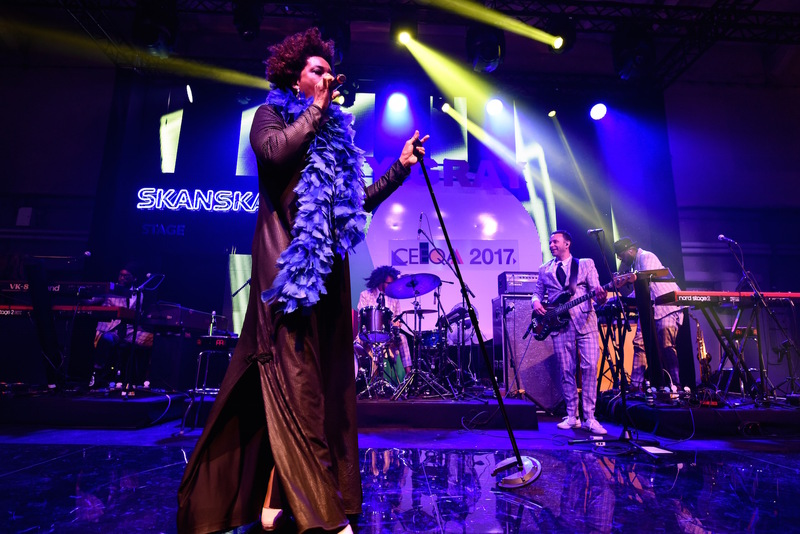 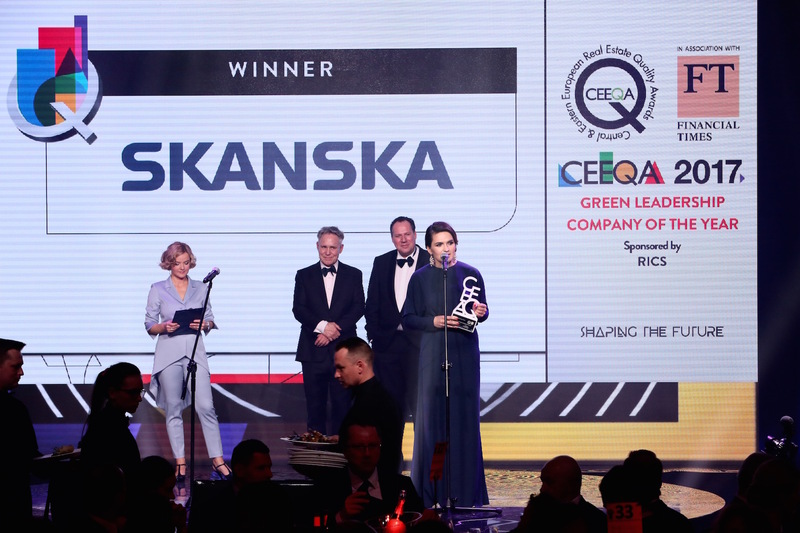 During her term, Skanska has strengthened its position as the largest office developer in CEE, covering 10 markets. 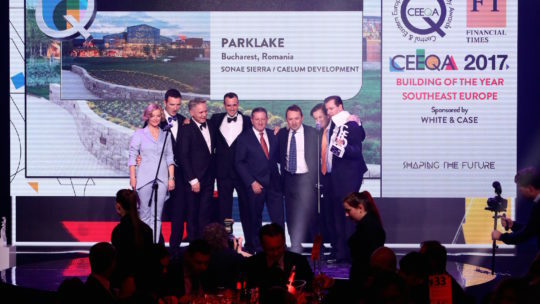 The company has secured land plots with the potential of more than 600,000 sqm, which is the best result in CEE unit’s history. 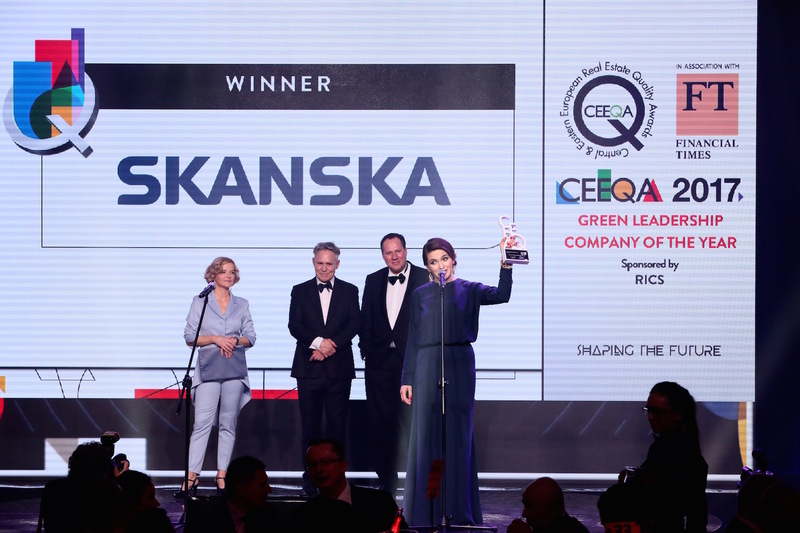 Skanska’s CEE unit beat its own records with a volume of 170,000 sqm GLA leased in 2016. 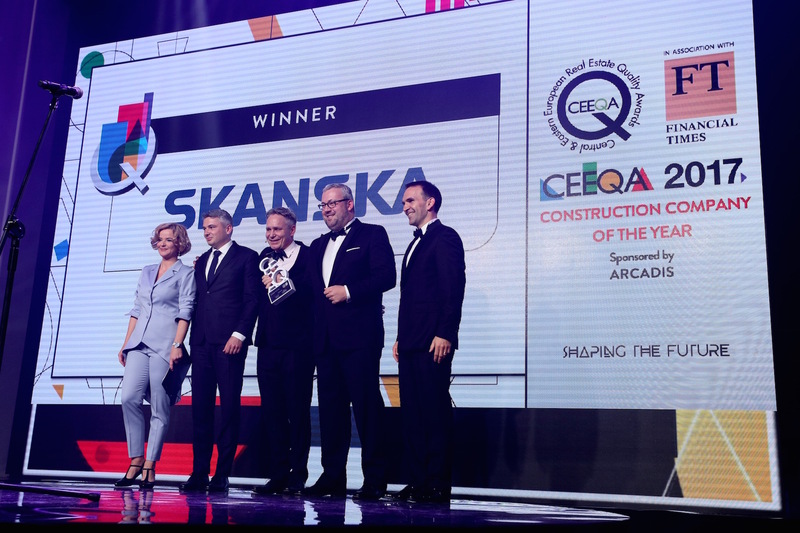 This was the best ever leasing result for the office sector of any region in the Skanska Group. Currently developer has 13 ongoing projects with approx. 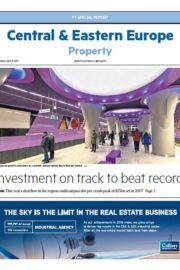 310,000 sqm under construction. 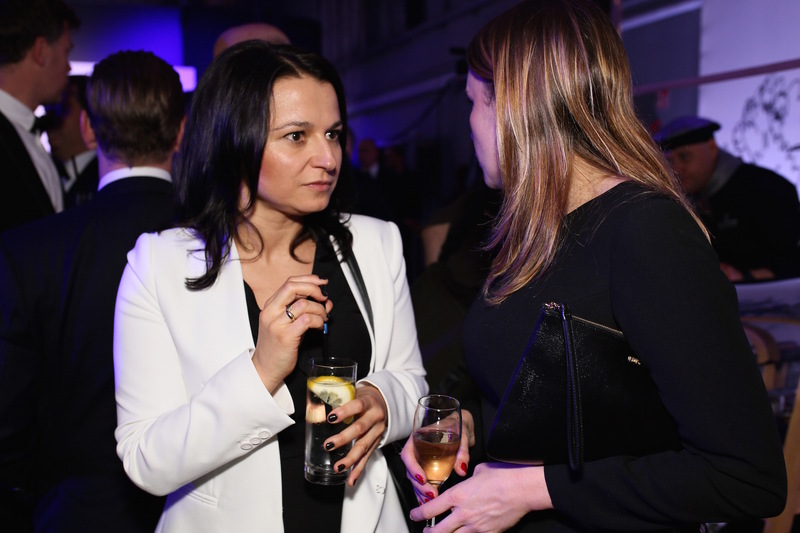 Lila joined Zeus in 2007 and she is responsible for the transaction origination and execution as well as the asset management of the investments of Zeus in Europe. She has over 20 years of development, project and asset management experience internationally with blue-chip development companies. 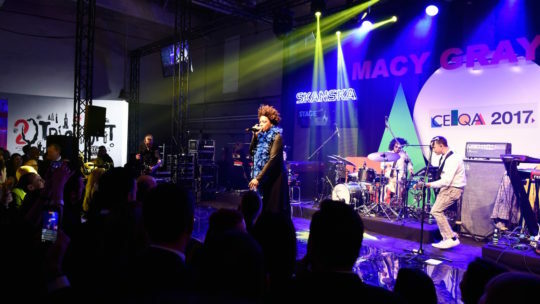 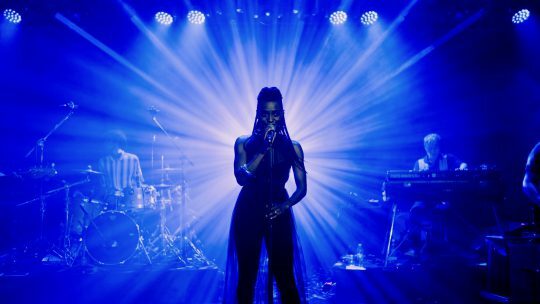 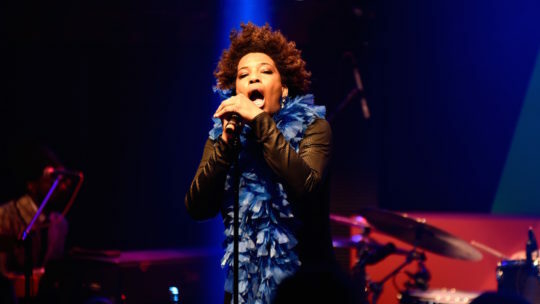 Prior to joining Zeus she worked in Lamda Development Group, J&P Development (in Greece and Romania) and Turner Construction Corporation (in the U.S.). She has vast experience in all phases of real estate investments, having been involved in some of the largest, high profile development projects in the commercial, residential, industrial, tourism and marinas sector in Greece, U.S.A. U.A.E and Central East and South Eastern Europe. 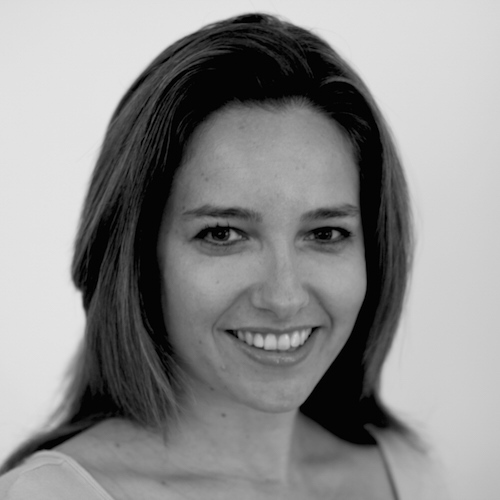 Lila holds an MBA from Columbia Business School in New York and an MS in Civil Engineering from the National Polytechnic in Athens. 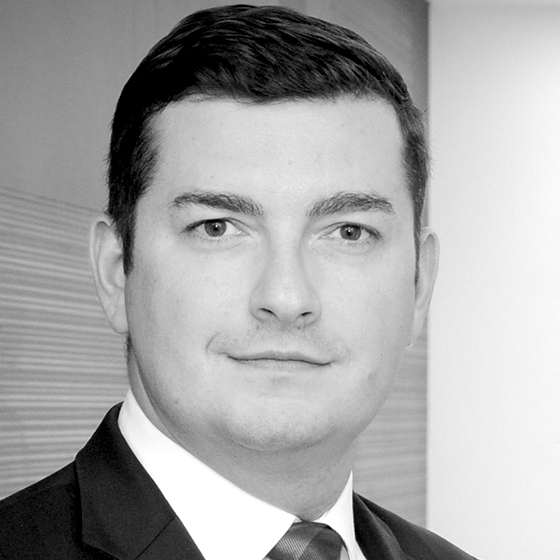 Luke started with Colliers in 2003 as Director of Corporate Development. 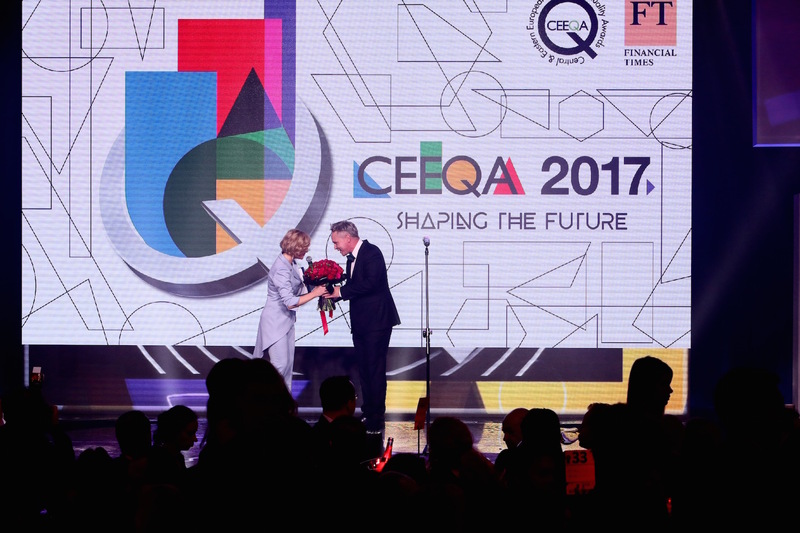 His led several mergers and acquisitions across the globe. 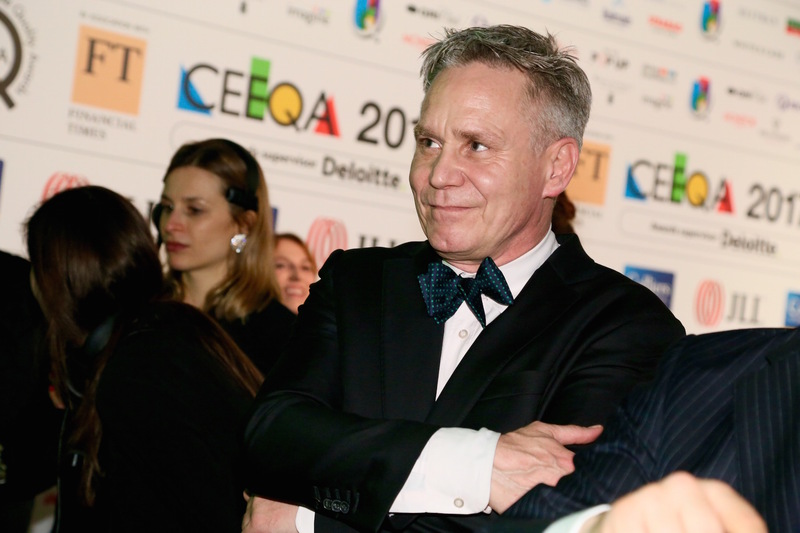 He then relocated to Prague in 2007 to establish the regional Eastern European team. 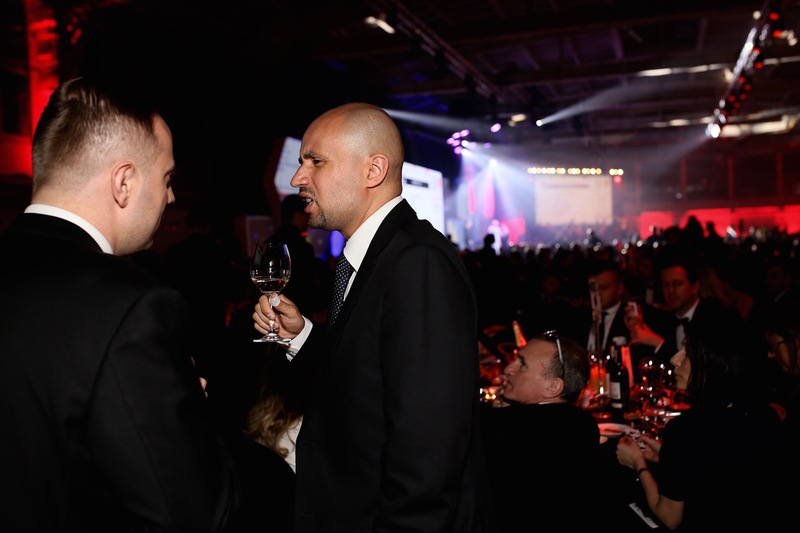 He was responsible for the day-to-day oversight, integration and coordination of the 13 countries. 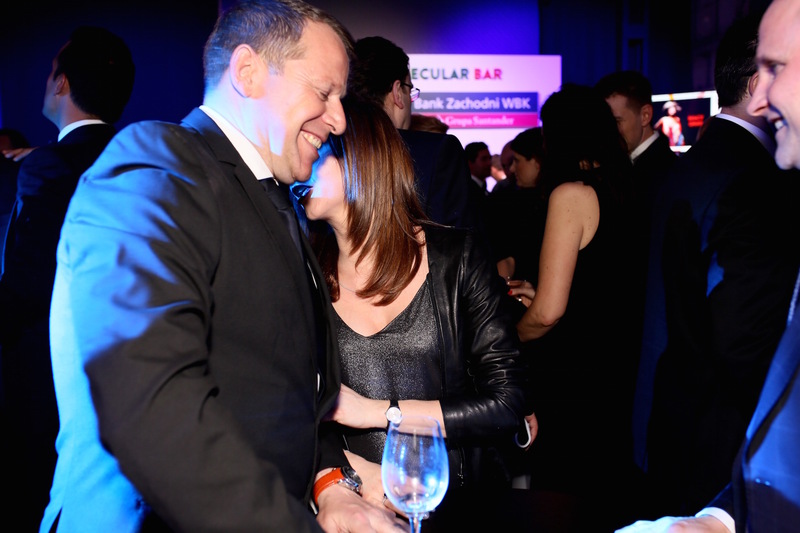 In 2012, he took on the position of Regional Managing Director for South East Europe. 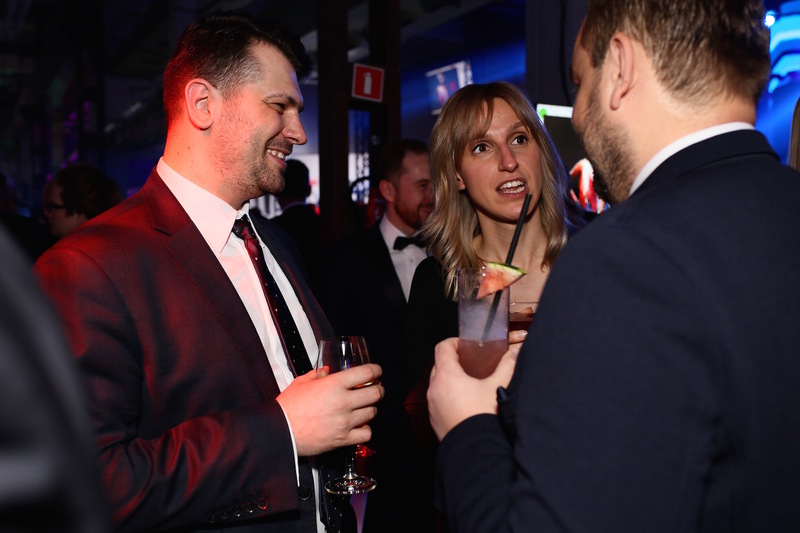 Based out of Serbia, he was responsible for business development, key accounts, investment sales and overall business accountability across 5 countries. 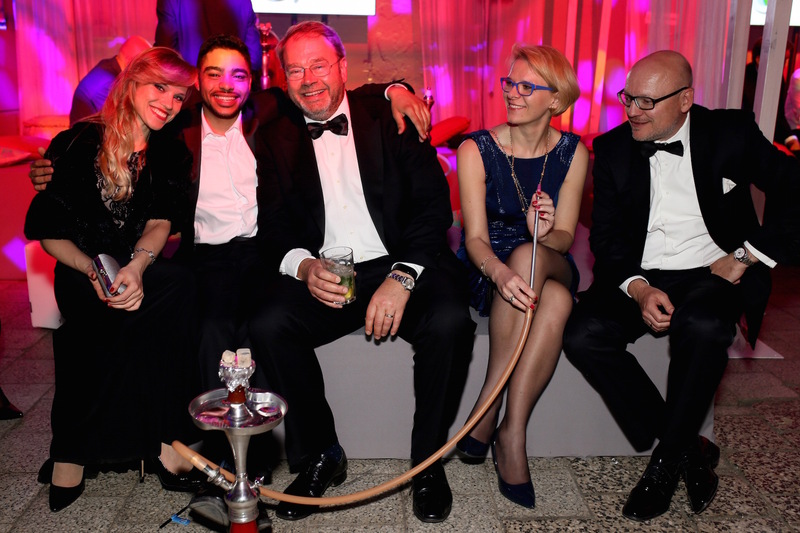 From 2014 until 2016, Luke ran one of the largest private family offices in the middle east. 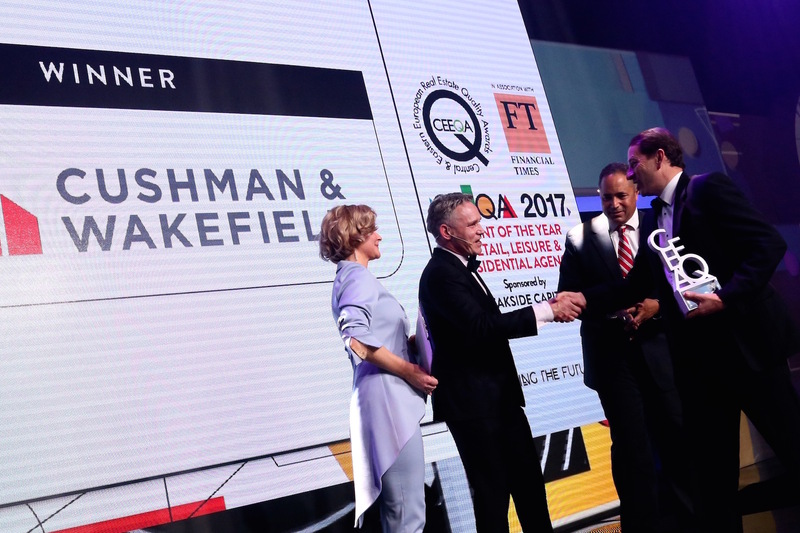 This involved leading all asset management, acquisitions and dispositions across the globe and the overall leadership of the organization. 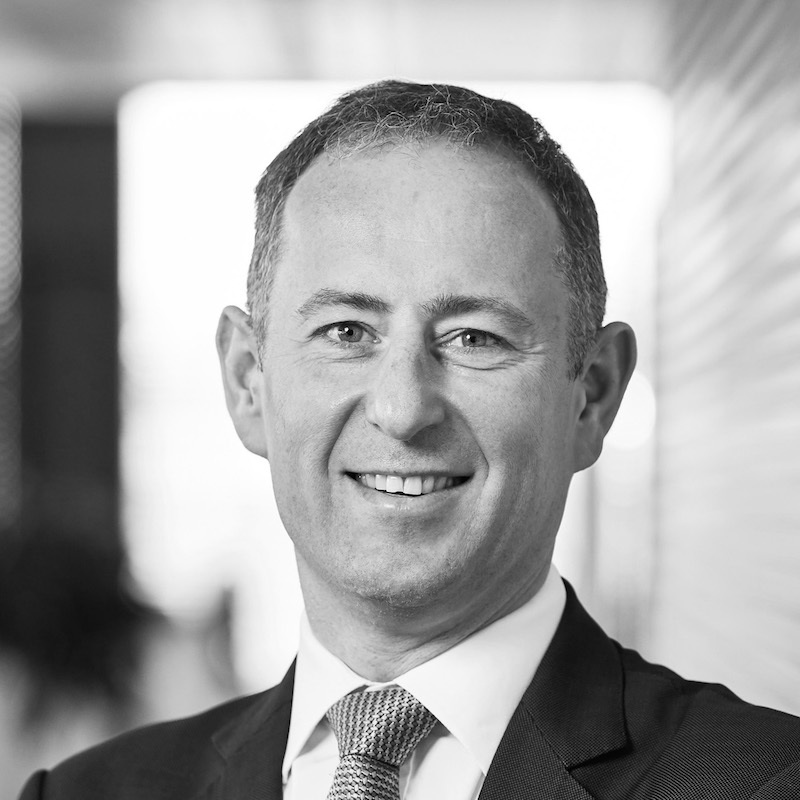 In his current role, his focus is on driving our investment sales business across Central Europe. 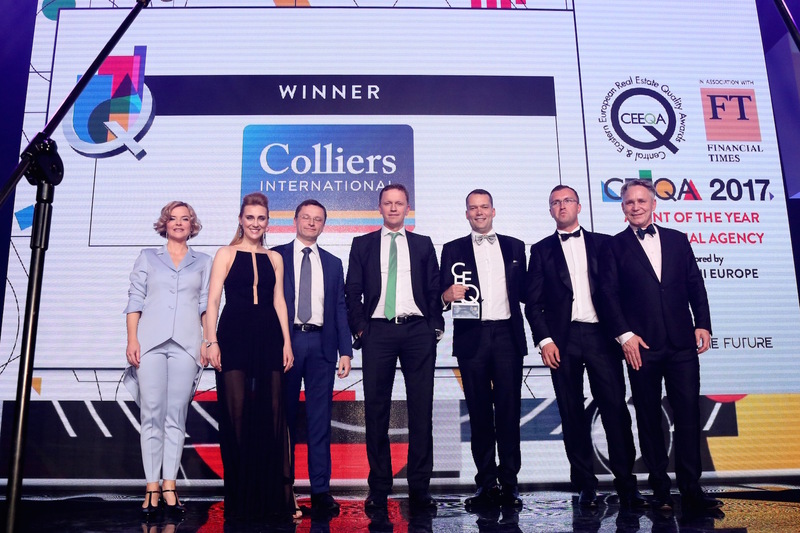 In addition to general management accountability, he also strategically manages regional investment relationships, connecting opportunities and guiding the overall strategy of the investment services for Colliers across CEE. Maarten is responsible for RICS operations in Europe, Russia & CIS. 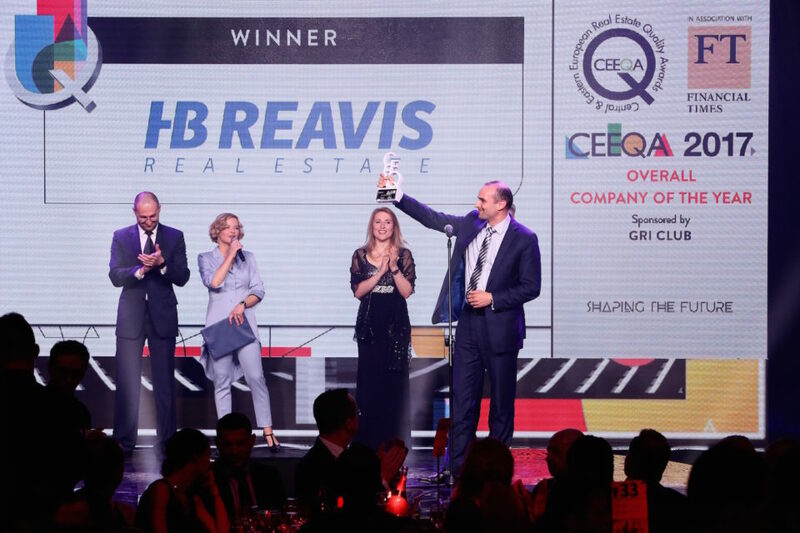 He leads a diverse and dynamic team across Europe, Russia & CIS, where he is responsible for bringing ethical and professional standards to the European property market and offering access to the most sought after professional status. 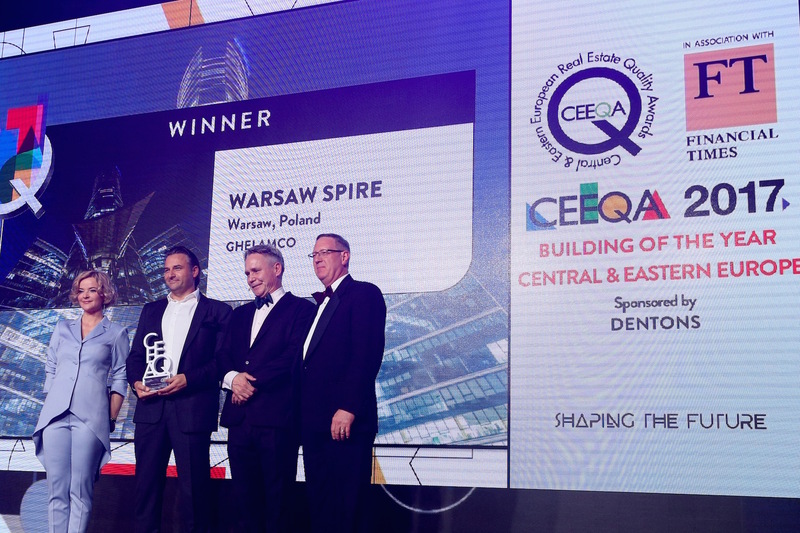 He is looking to develop the profile and standing of RICS across continental Europe, Russia and CIS, strengthen member services and reach out for new members. 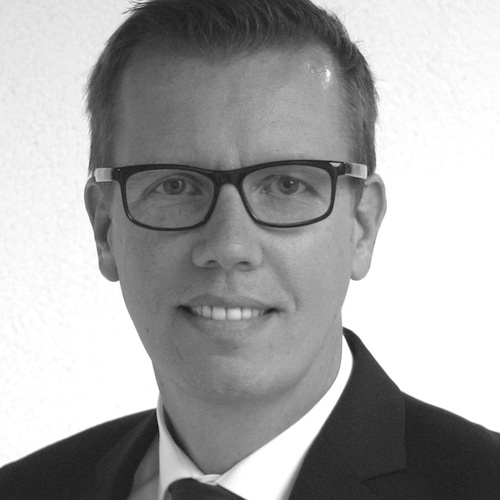 Maarten has many years of experience in real estate. Before taking this role he was Europe Director at Composition Capital Partners where he was responsible for a significant portfolio of equity investments across Europe. 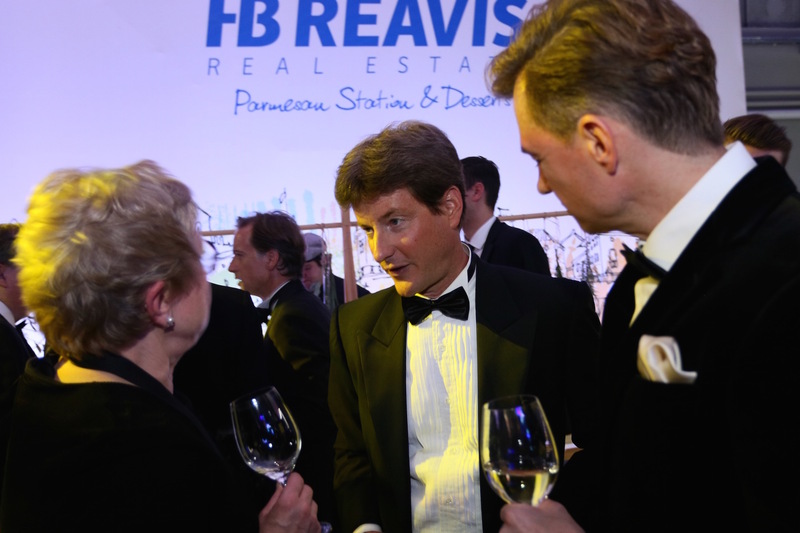 Prior to that, he worked with Protego Real Estate Investors, Lasalle Investment Management and Bouwfonds Asset Management. 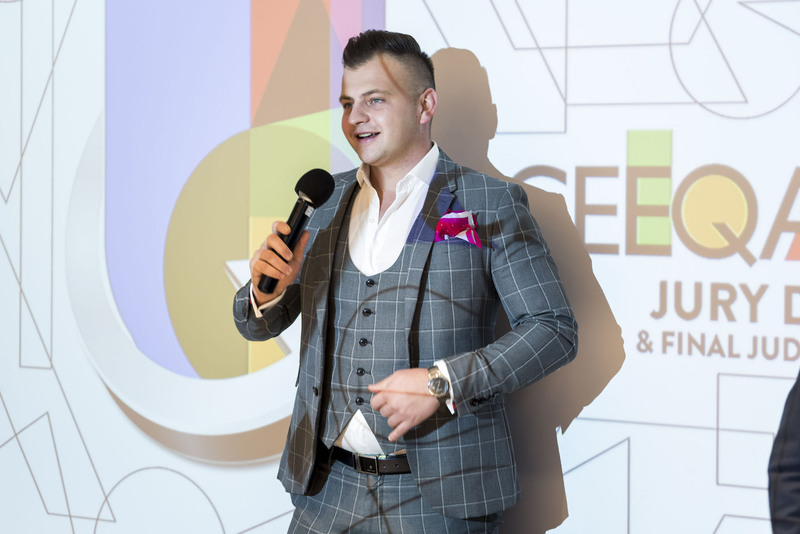 Maksym has been responsible for commercial and business development for Budhouse Group, a leading Ukrainian investment and development company, since 2009. 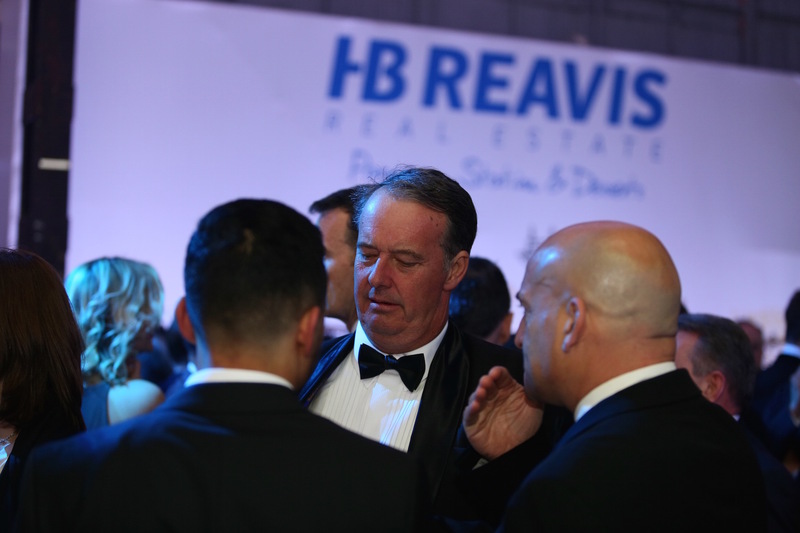 He is responsible for development, marketing and research, leasing, property, facility and asset management of BHG properties. 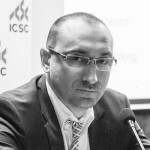 Since 2015 he has also held the position of Chair of the ICSC Ukrainian National Committee. 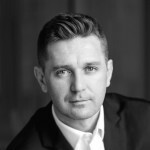 Maksym has been active in the Ukraine commercial real estate since 2003 in project management, research, marketing, consulting, property management, leasing, site acquisition and development, including residential, hotels, offices and shopping centers. 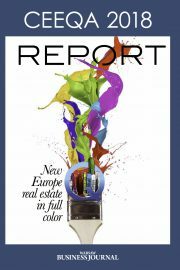 He has worked in various fields of real estate including residential, hotels, offices and shopping centers. 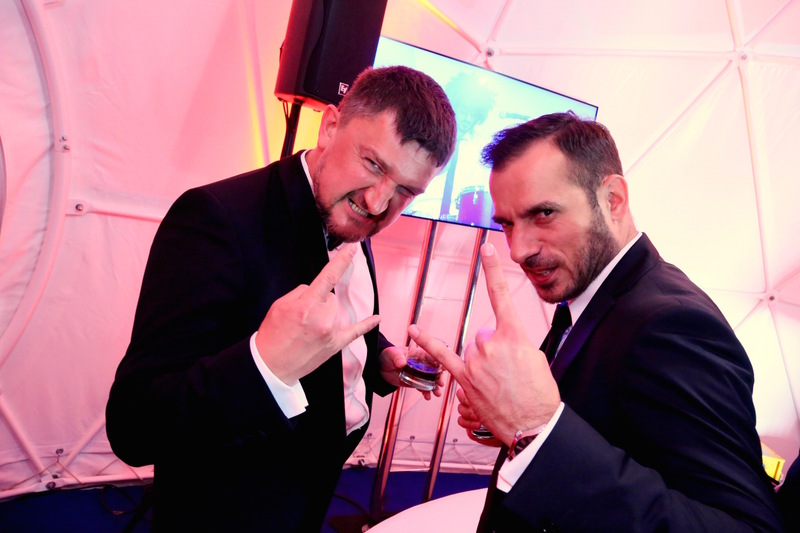 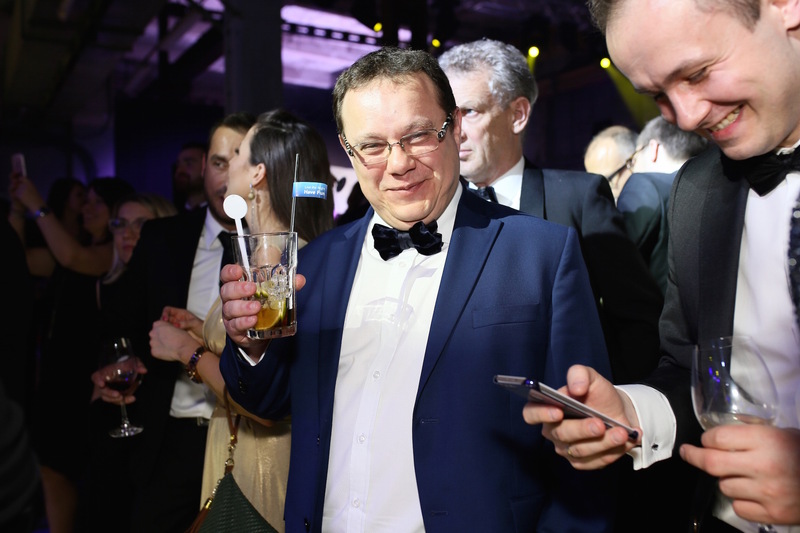 Since 2004 he has been a member of the Ukrainian Trade Guild, a leading Ukrainian real estate consulting and brokerage firm, where he held a position of Head of Research, Marketing and Strategic Consulting Department. 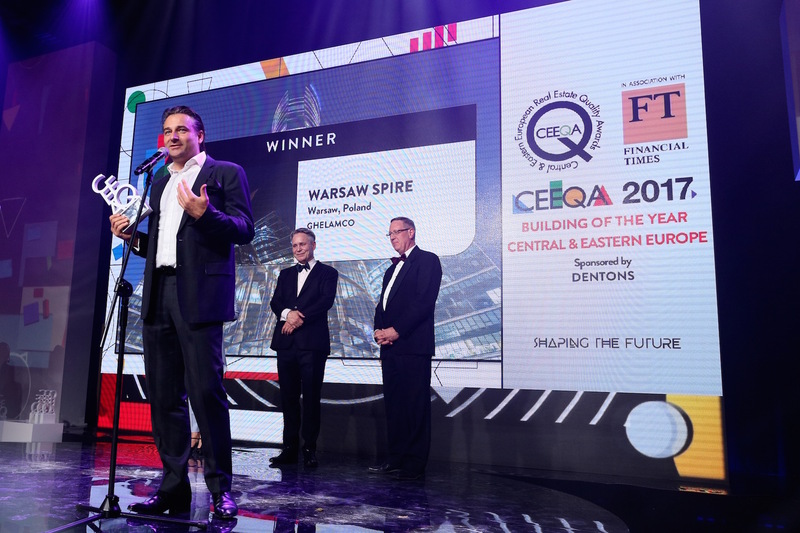 Between 2004-2009 he was involved or consulted on the development of more than 230 projects of residential and commercial properties in Ukraine, Russia, Moldova, Georgia. He also continued his education in ICSC School for professional development in 2007-2008. 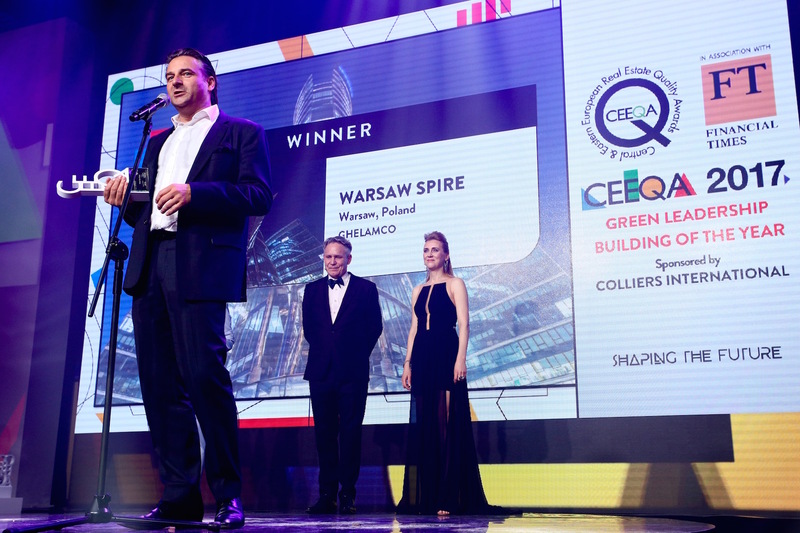 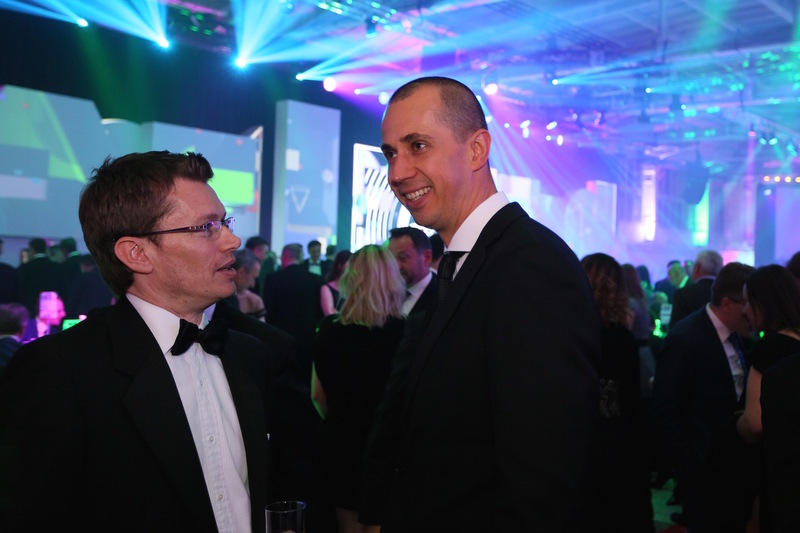 Marcin became Chief Executive Officer for Arcadis EC Harris in Poland in January 2013, having been jointly held the roles of CEO of Arcadis and Managing Director of EC Harris since the merger between the two companies in 2012. As the CEO Marcin is responsible for growing the ARCADIS business in the Polish market with a particular focus on ensuring that the benefits of the merger with EC Harris are fully realised so that the two firms can offer clients a broader range of consultancy skills and high quality services. 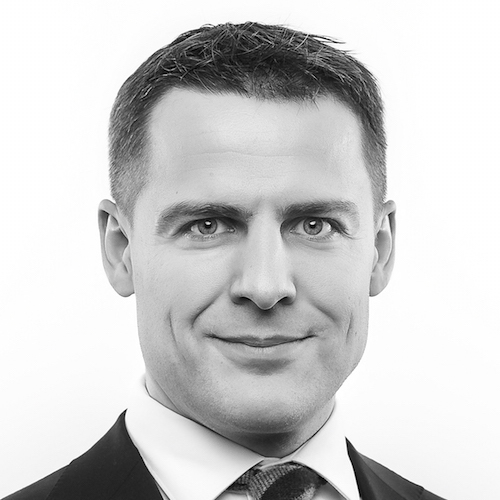 Marcin joined EC Harris in 1998 and was appointed Location Leader for Poland in 2005. 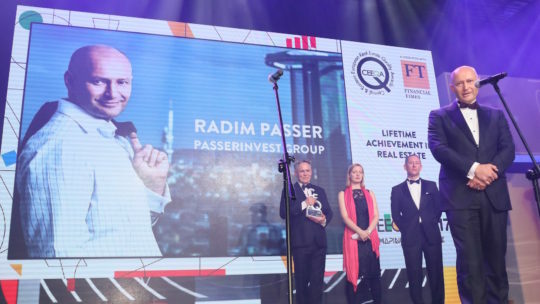 During his tenure he has significantly grown the business in this market, diversifying into new areas such as highways and the public sector as well as maintaining a strong presence in the lenders & investors, commercial, residential and CRE sectors. 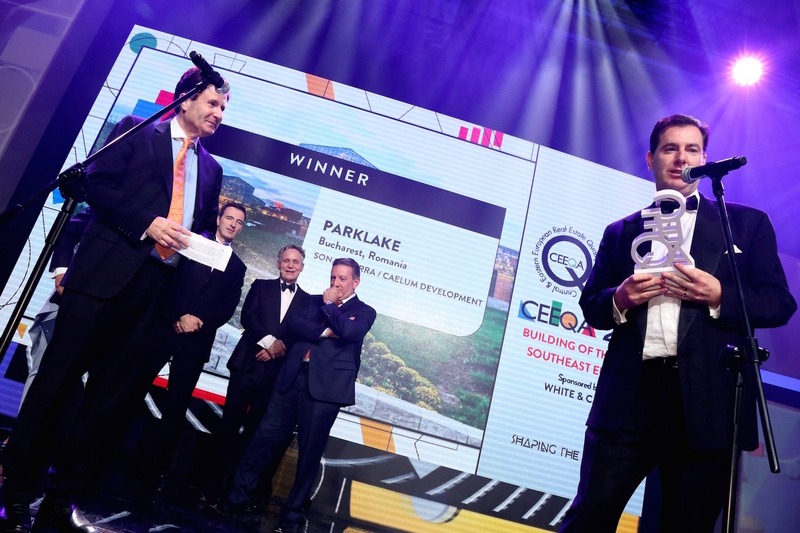 He has worked on a number of large programmes including third generation shopping centres, five star hotels and waste water treatment plants as well as other infrastructure projects. 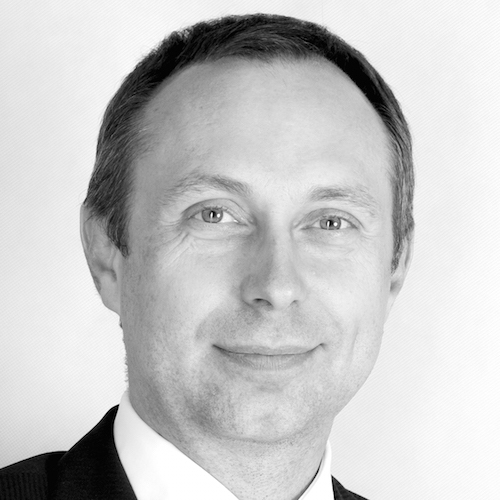 He holds a professional license from the Polish Chamber of Architects and is an accredited member of RICS. 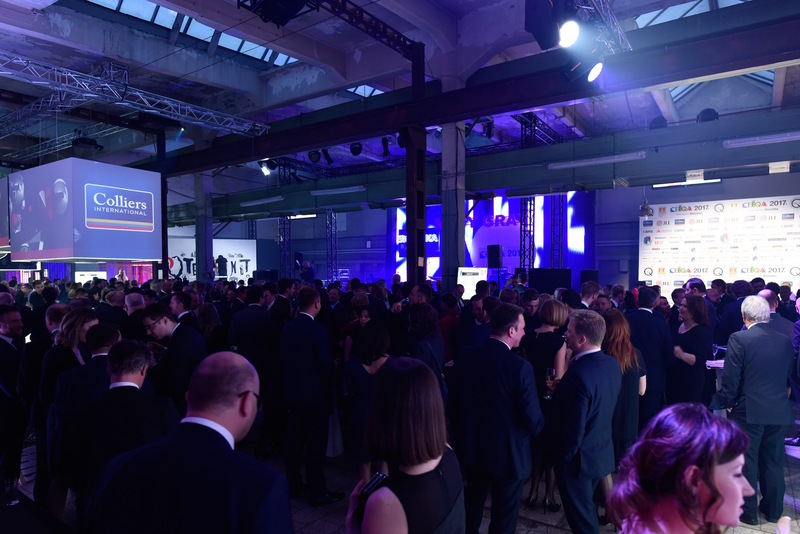 Sentient is one of the largest Project & Cost Management Consultants operating throughout Central & Eastern Europe and beyond. 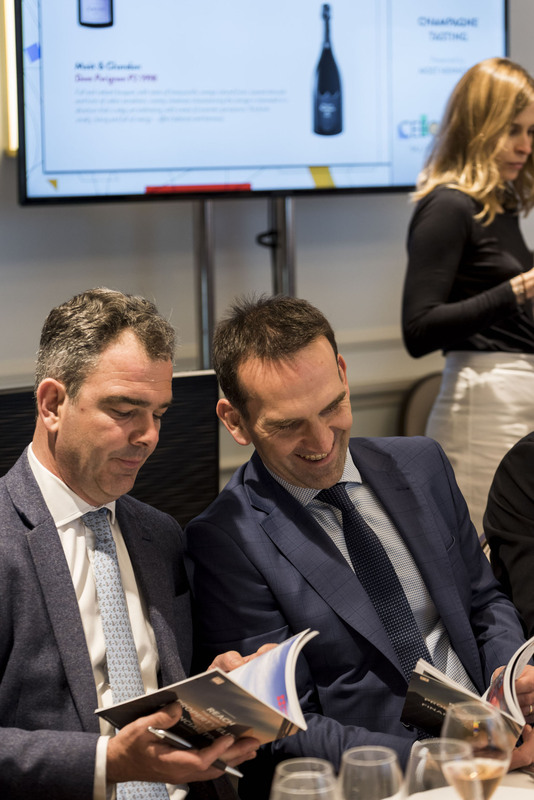 Following 22 yearswith Gardiner & Theobald, rising to Equity Partner, in 2013 Mark led the successful buyout of the G&T CEE operation together with the other regional partners. 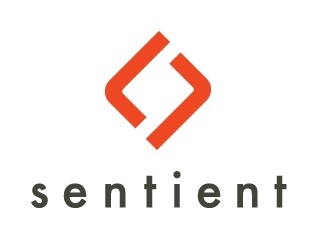  With the rebranding completed in October 2013, Sentient is now firmly established throughout the region with offices in Poland, Czech Republic, Slovakia, Hungary, Romania, Montenegro and Croatia, together with extensive experience in many of the neighbouring countries, including into Italy and Austria – all based on the provision of high quality, client-focused services. Mark has been based in CEE for over 20 years and has experience throughout the region. 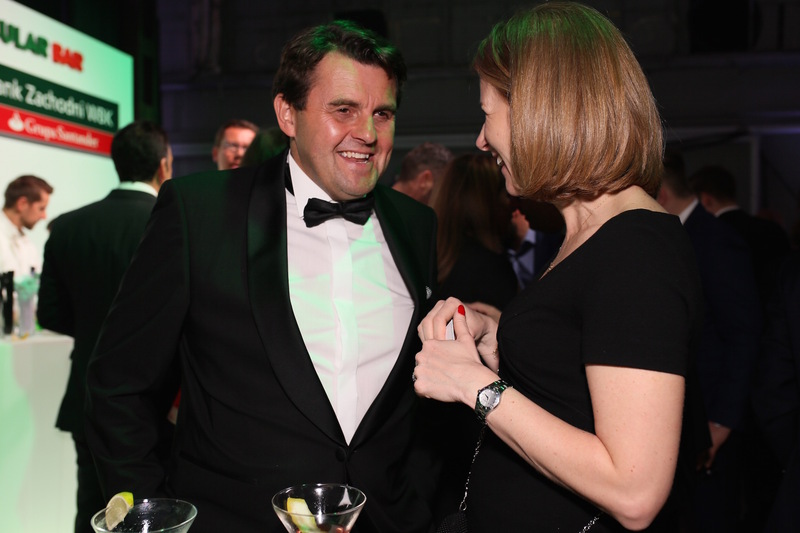 He is a Member of the Institute of Royal Chartered Surveyors. 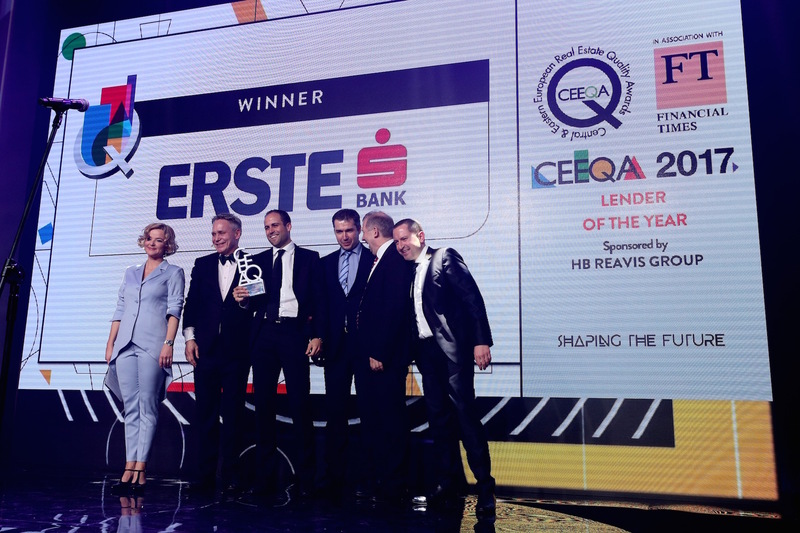 Martin is responsible for real estate lending across continental Europe for Helaba Landesbank Hesse-Thuringia, which belongs to the German savings bank network. 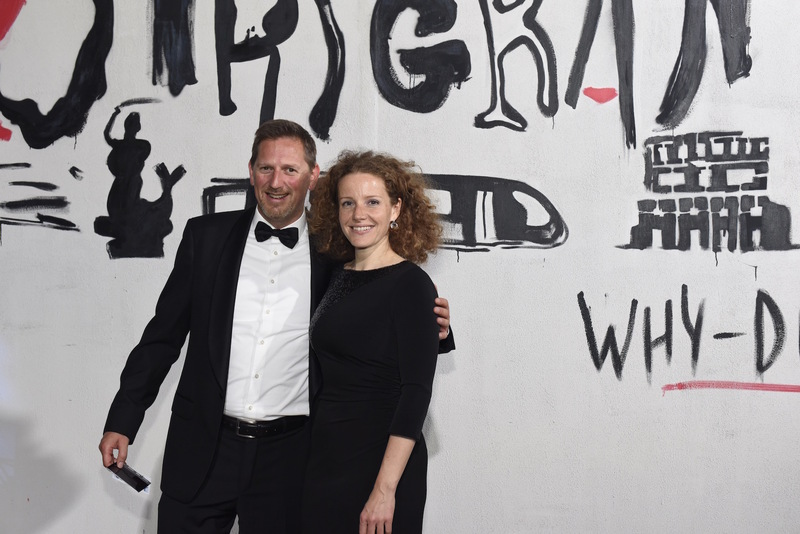 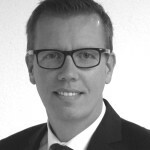 Based at the bank’s Frankfurt headquarter, he manages the origination for Central Europe and Benelux. 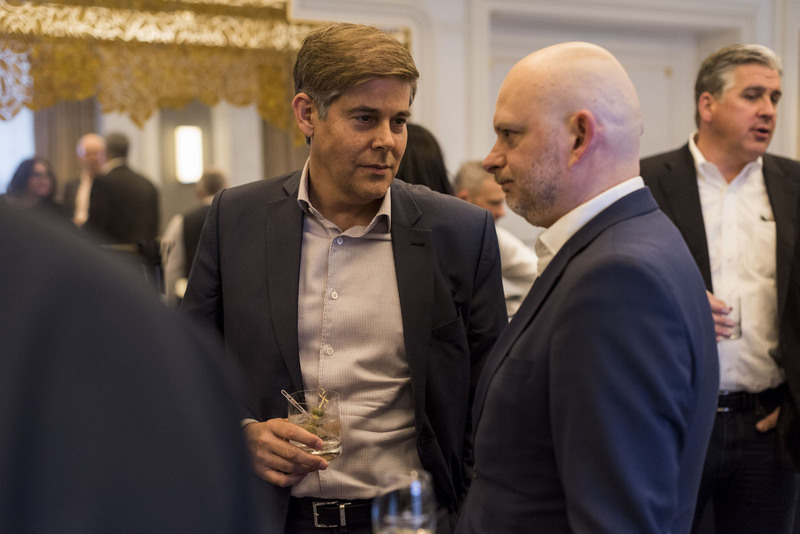 Martin has worked on a wide range of financing transactions in the past and has more than 22 years of real estate experience in the European markets. 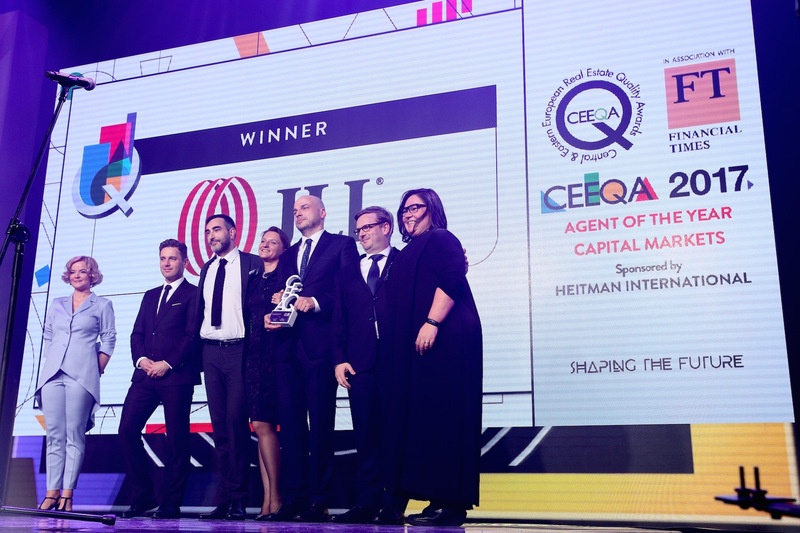 Helaba currently manages a loan book of around EUR 34 bn in commercial real estate, almost half of this amount representing the bank’s international business in Europe and the US. 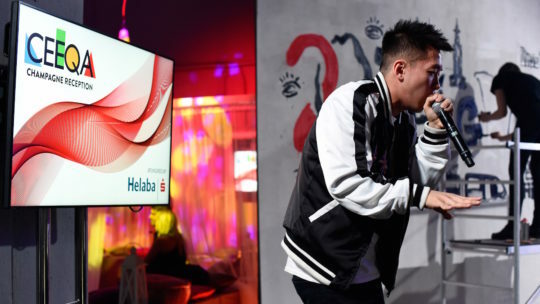 Helaba’s relationship-oriented strategy has remained unchanged for years and is consistently directedtowards its target markets. 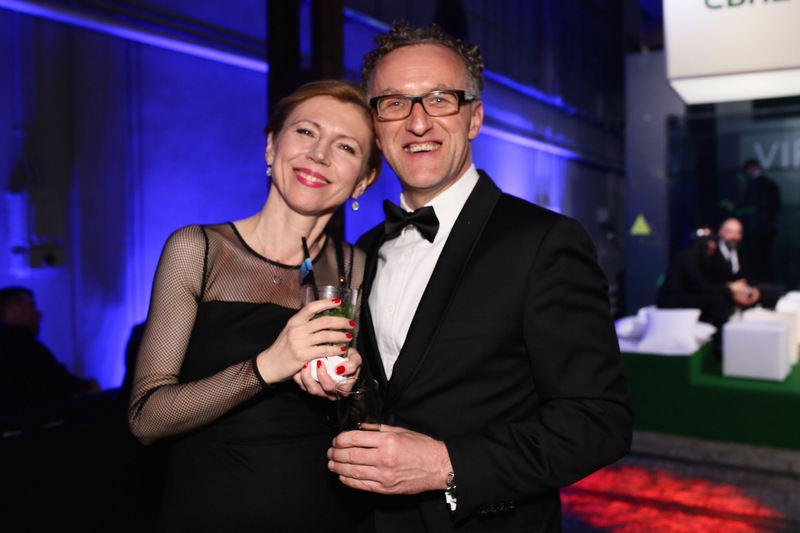 As senior vice president and regional head, CEE for Prologis, Martin Polak is responsible for all of Prologis’ development, leasing and operations activities across Central and Eastern Europe, including Poland, the Czech Republic, Hungary and Slovakia. 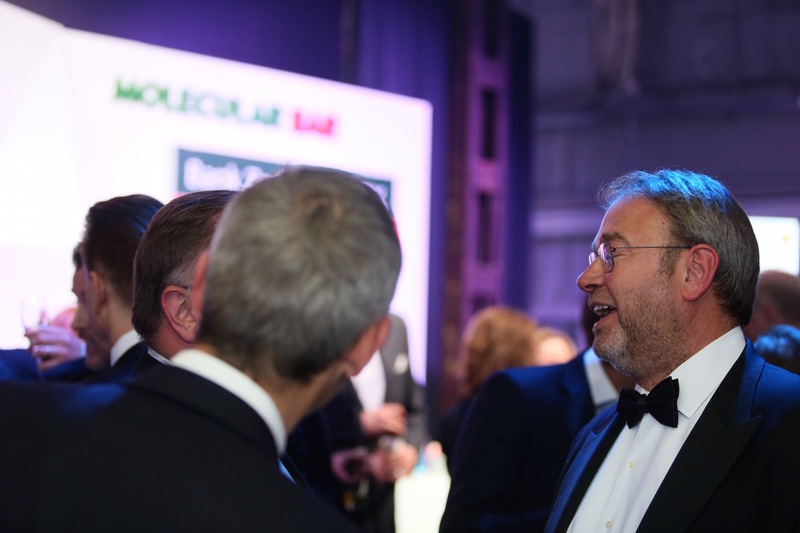 Since he joined in 2008, Martin has proved invaluable to the Prologis team with his extensive industry knowledge and experience with the management, coordination, and construction of industrial and logistics projects. Martin holds degrees from the Slovak Technical University in Bratislava in Economics and Building Industry Management. Miroslav is a real estate professional with over ten years experience with commercial and residential properties. 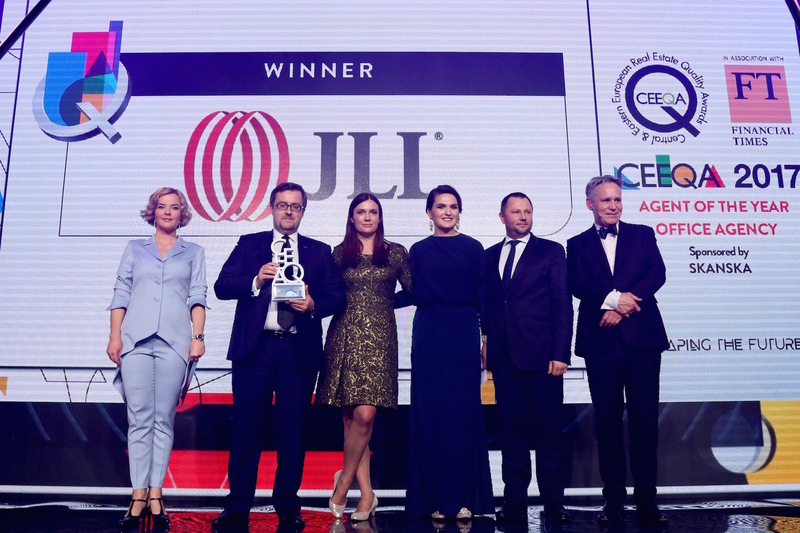 His main focus is advising tenants and landlords, sellers and buyers on the leasing, acquisition, disposals and development of commercial and residential space in the CEE region. 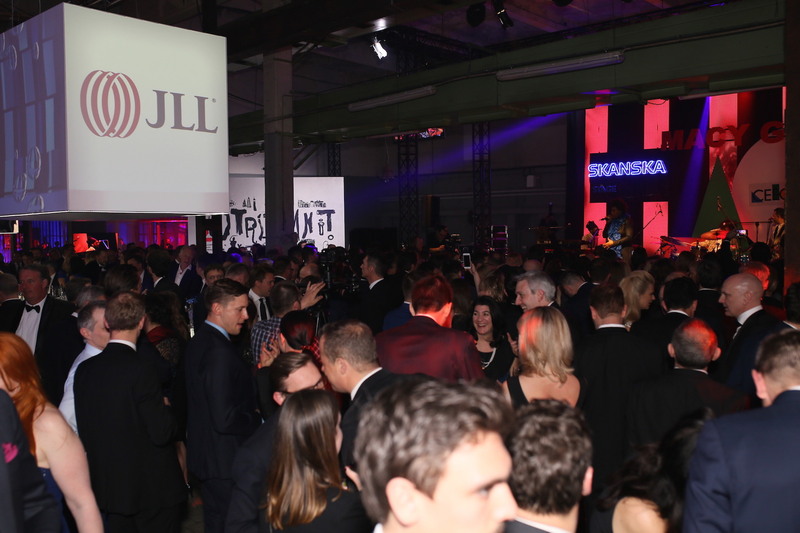 For the past 10 years he was also responsible for development, management and driving forward the business of JLL in Slovakia. 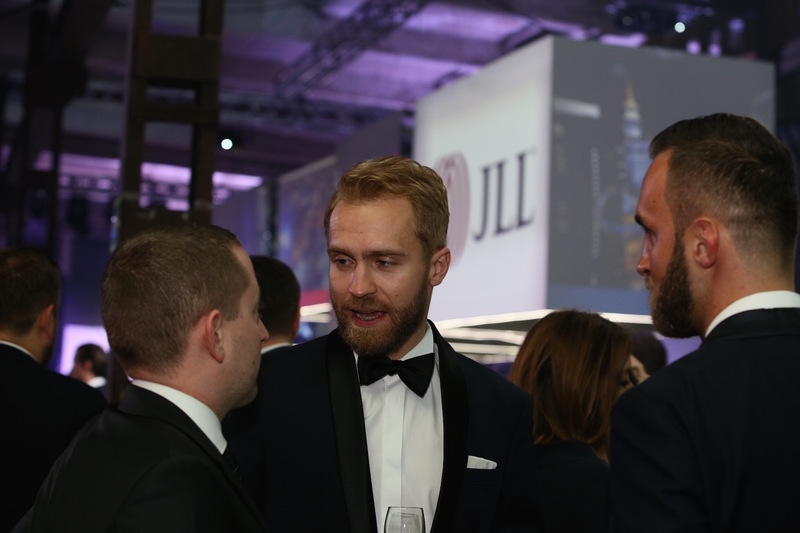 In January 2017, Miroslav was appointed to lead JLL´s business in the Czech Republic alongside his existing responsibilities as country manager for JLL Slovakia. 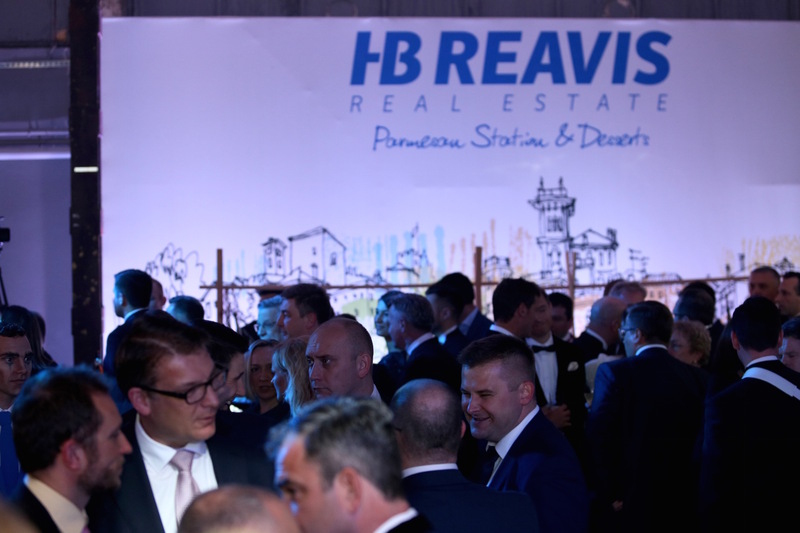 Today Miroslav oversees the team of more than 110 real estate professionals in both the Czech and Slovak republics. 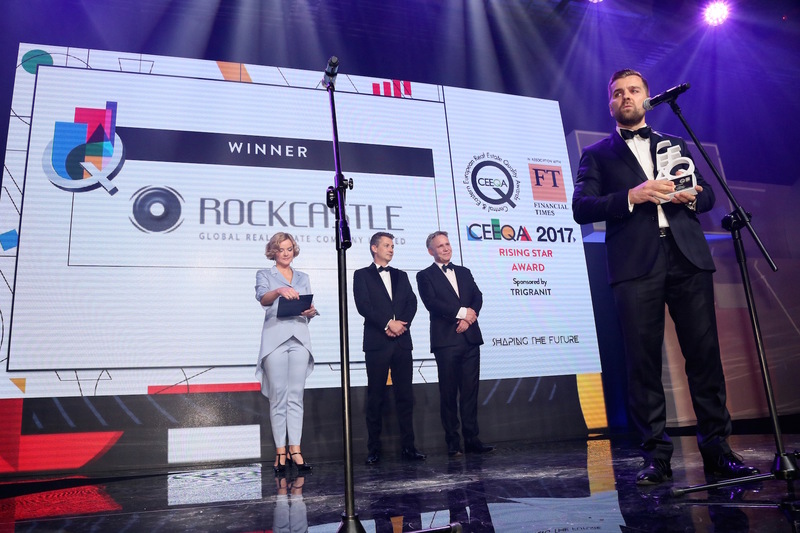 In addition to his management responsibilities he heads the Capital Markets team, the most experienced Capital Markets team in the Slovak and the Czech market. He is responsible for ensuring that a best practice, client care, proactive communication and appropriate technical knowledge is provided by all team members. 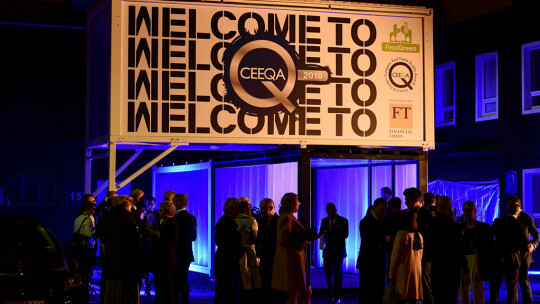 By market he is perceived as an ambassador of ethical approach and transparent dealing. Miroslav is a qualified surveyor and member of Royal Institute of Chartered Surveyors. 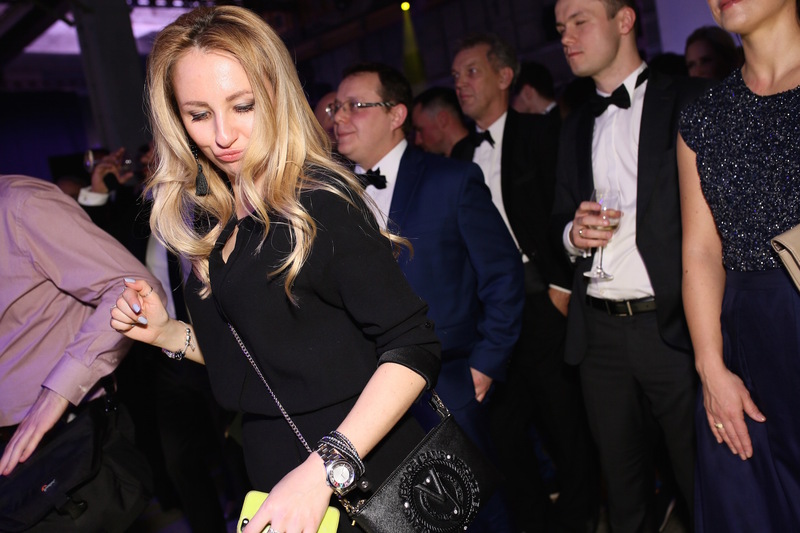 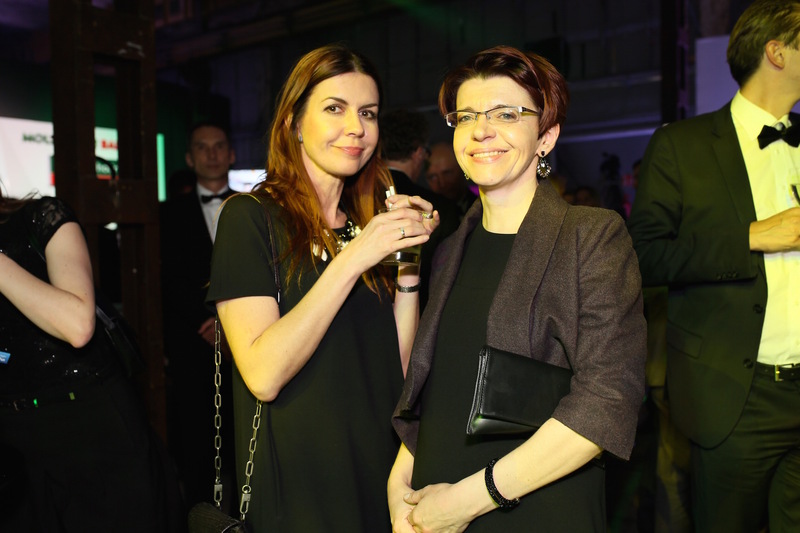 As Managing Partner for Poland, Monika is responsible for the strategic and operational activities of the company. 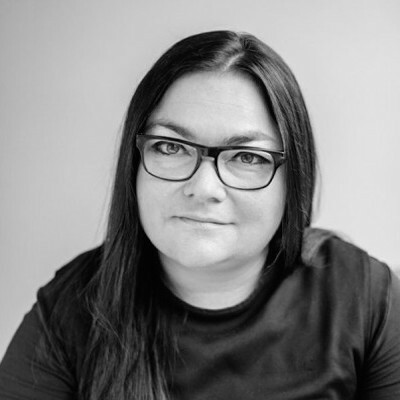 She has over 16 years of experience in the CRE sector. 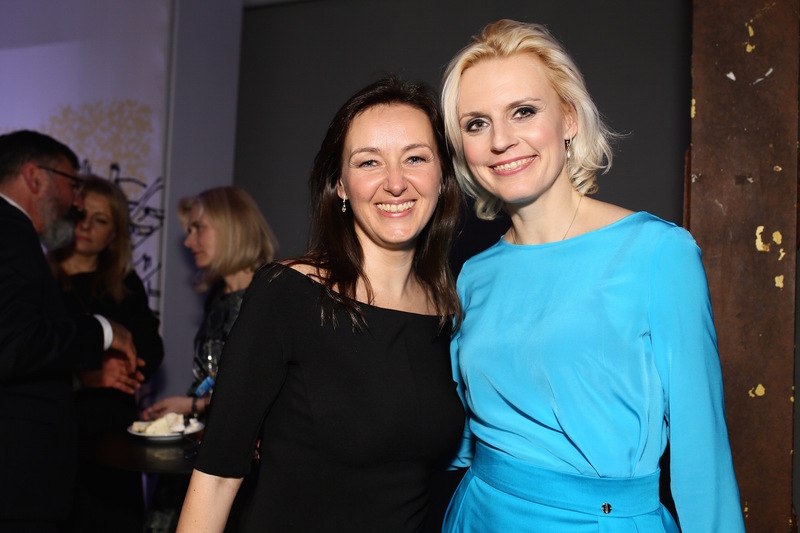 Monika is a member of RICS, YPO, the CEO Round Table and the Women Leadership in Business Foundation. 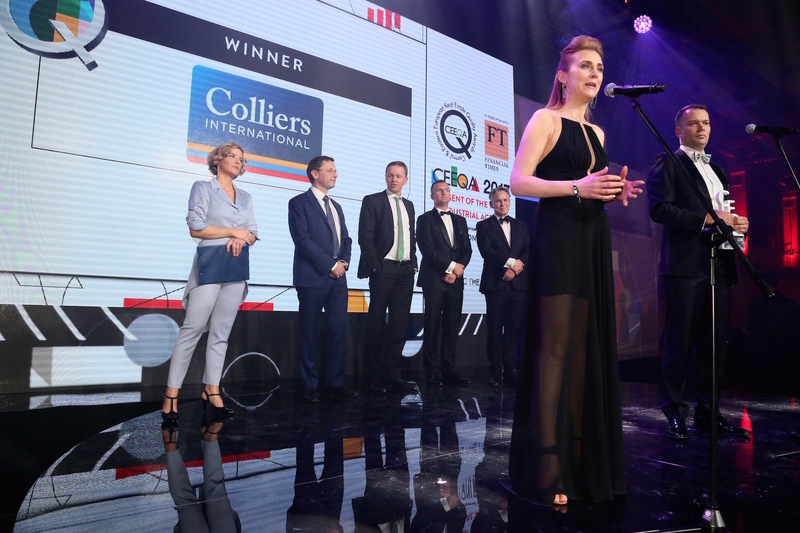 She is also one of the twelve members of the Colliers EMEA Board, which determines the company’s strategy in Europe, the Middle East and Africa. 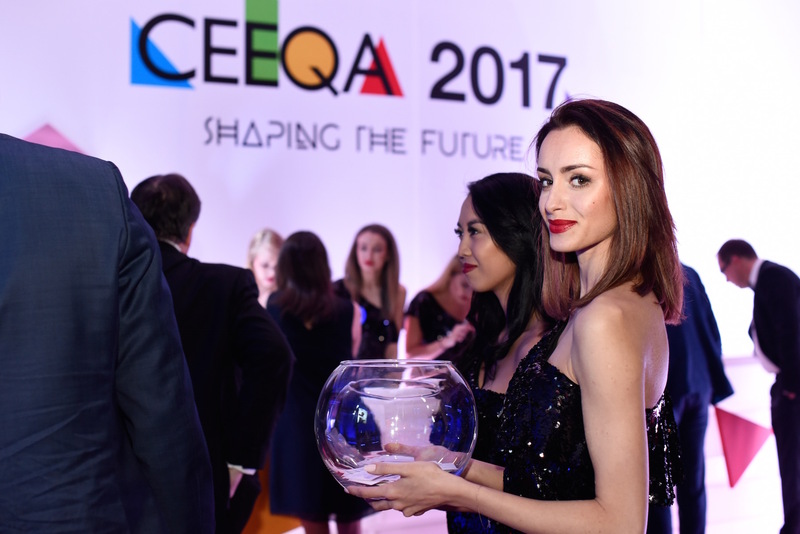 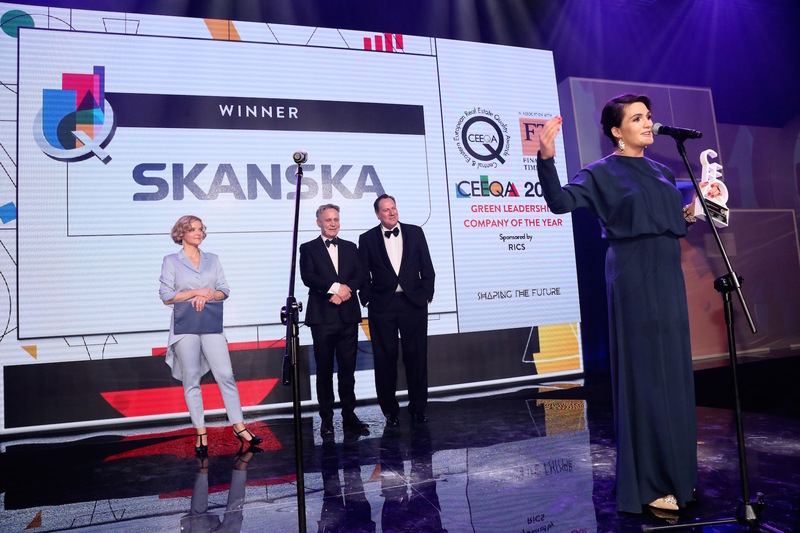 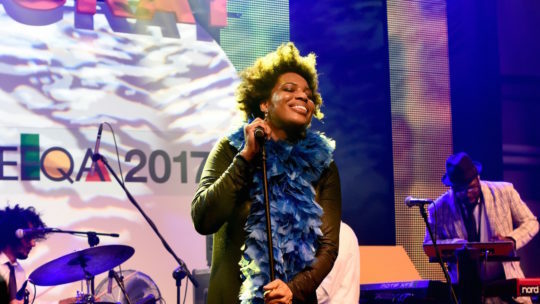 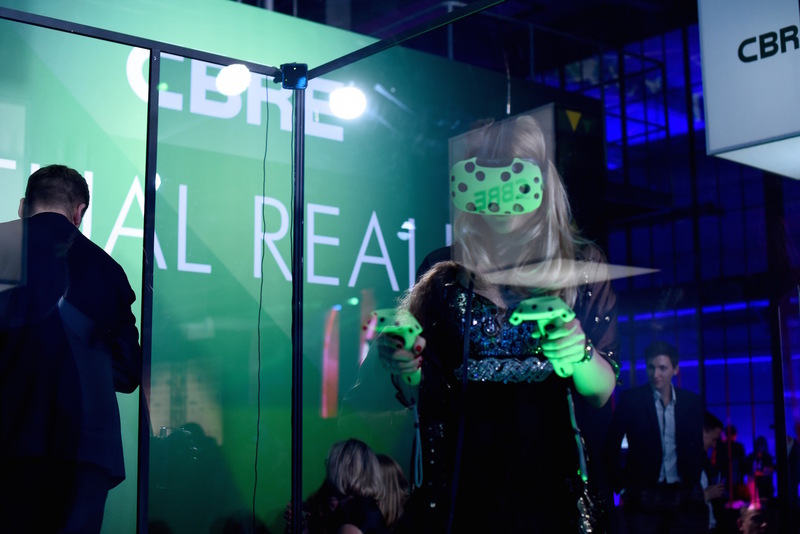 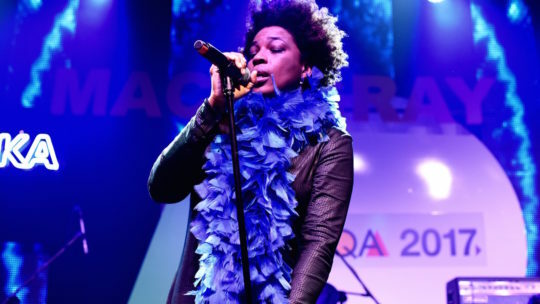 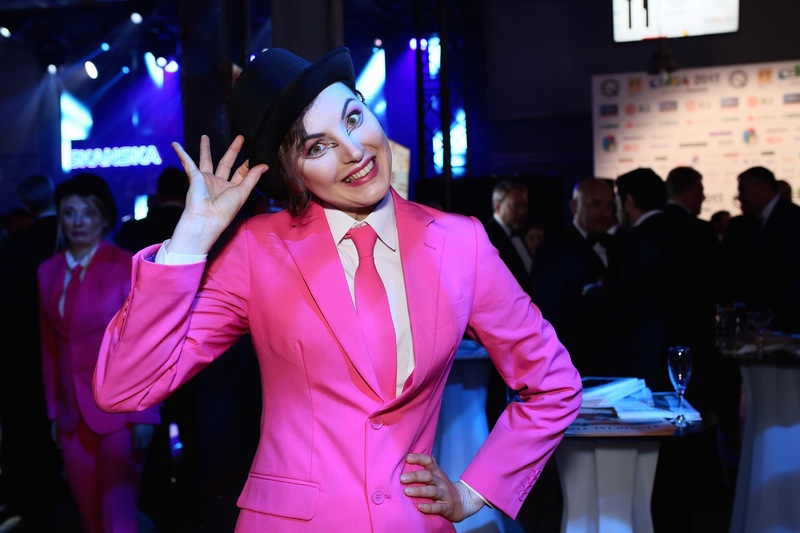 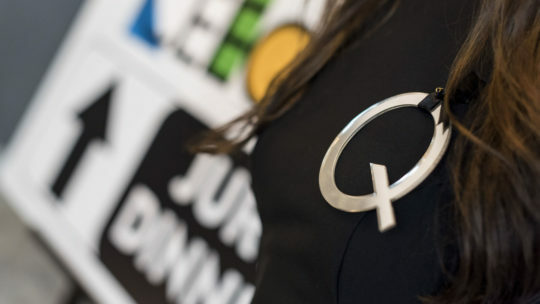 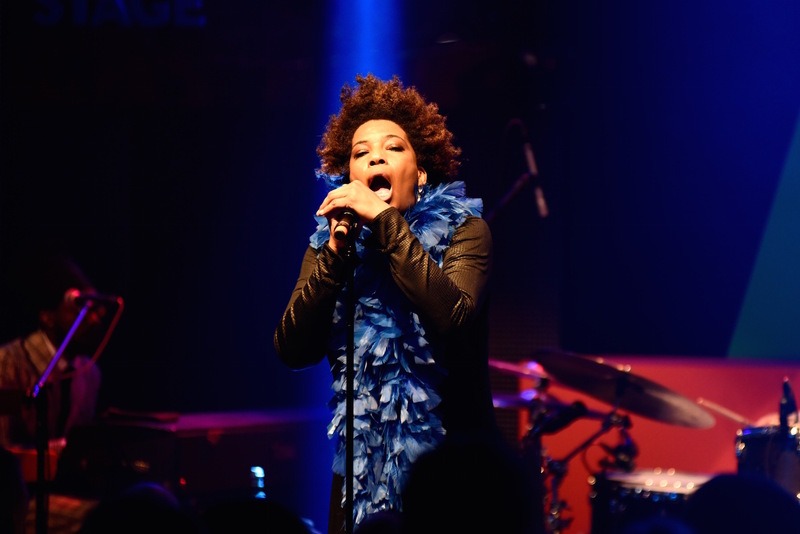 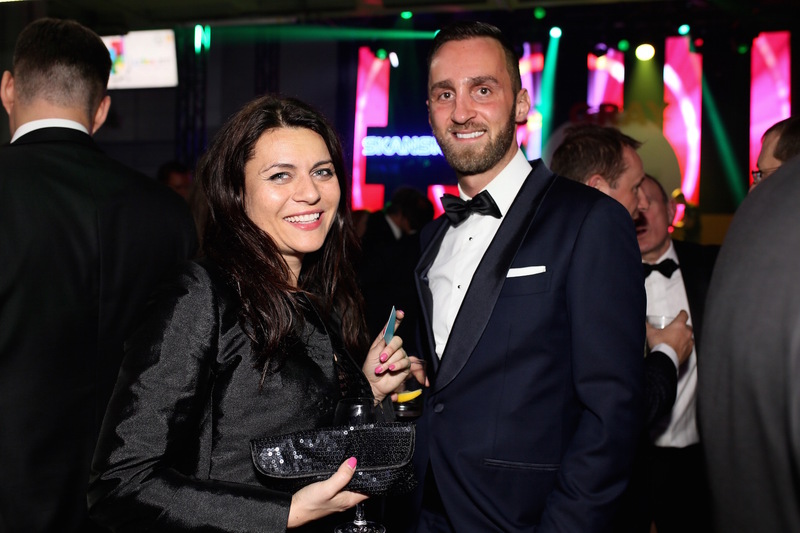 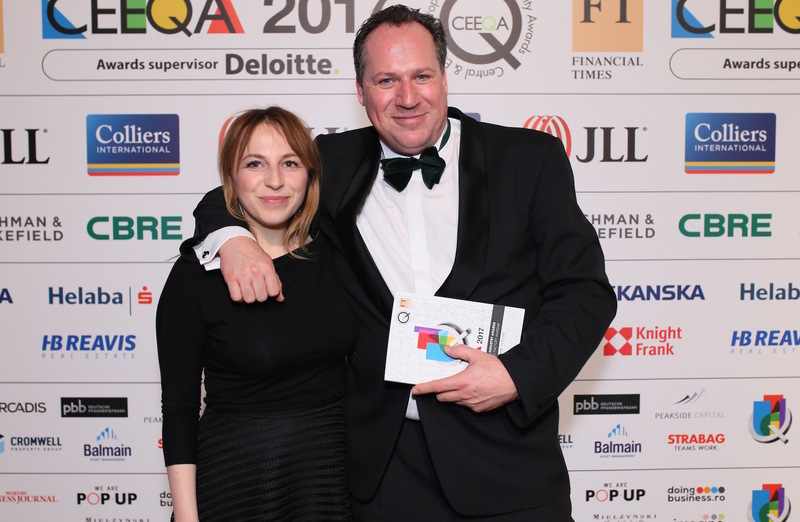 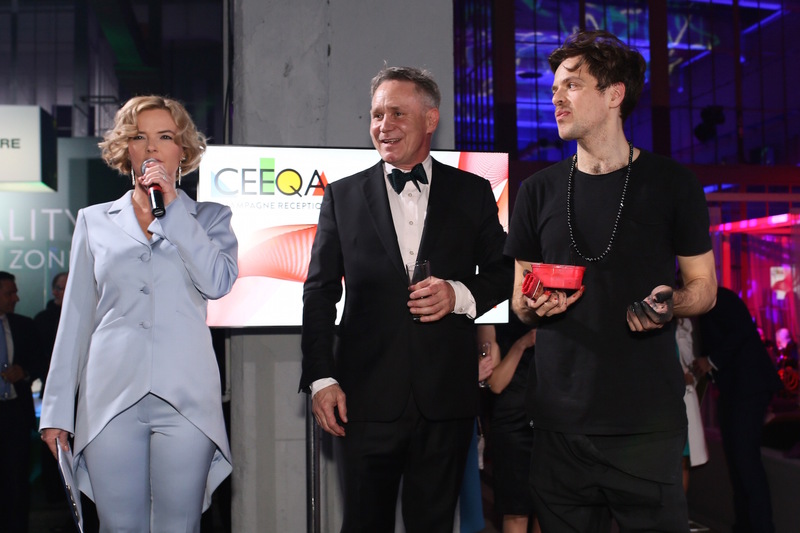 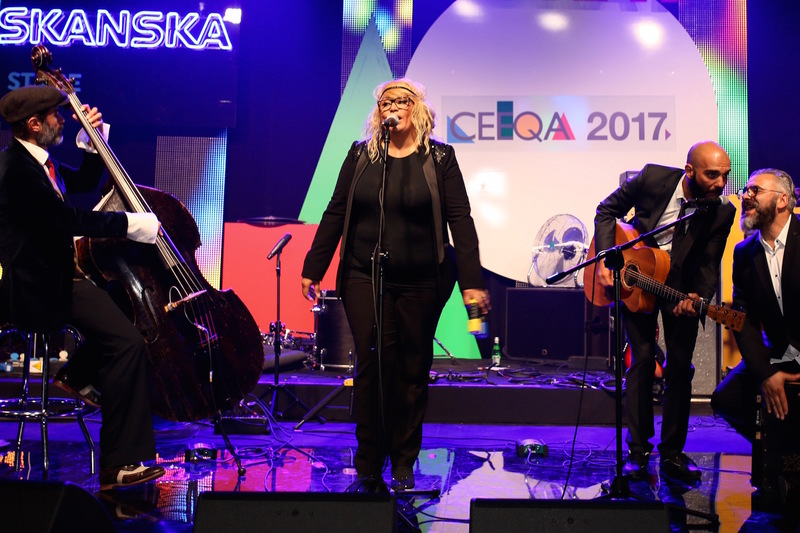 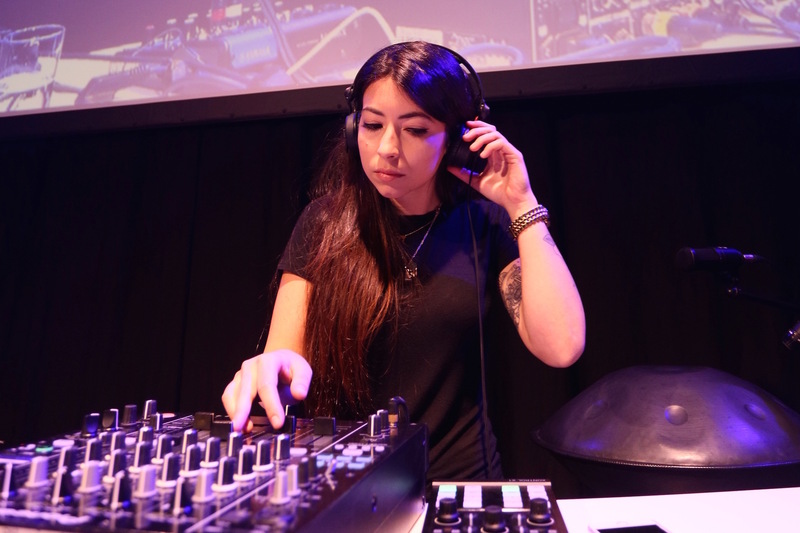 Monika was named Professional of the Year by the CEEQA jury in 2015. Nicklas Lindberg joined Echo Investment in the first half of 2016 and, as chief executive officer, is responsible for all areas of the company’s activity. 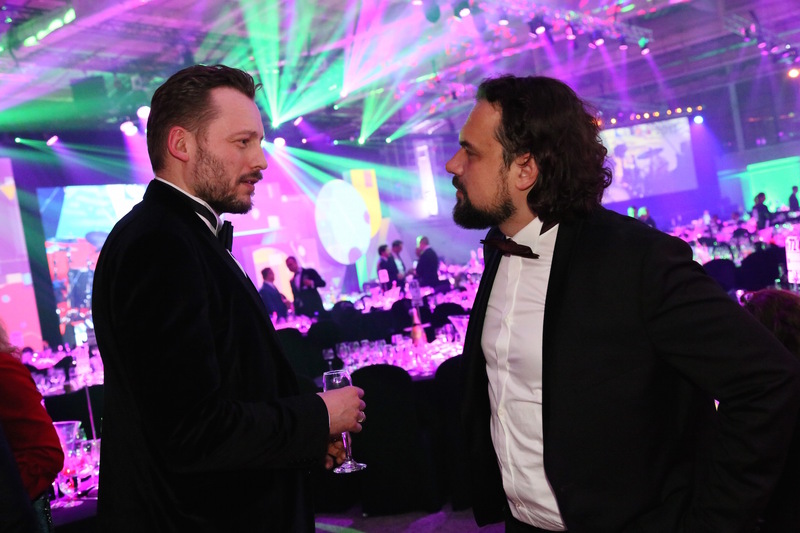 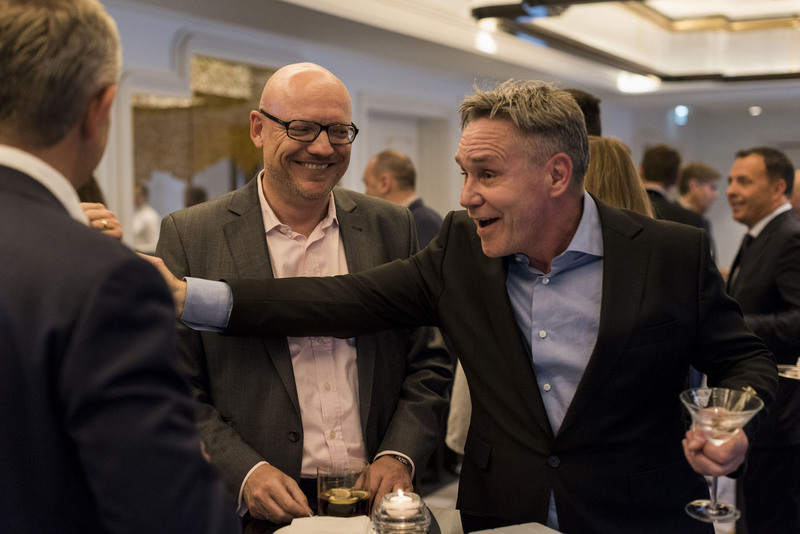 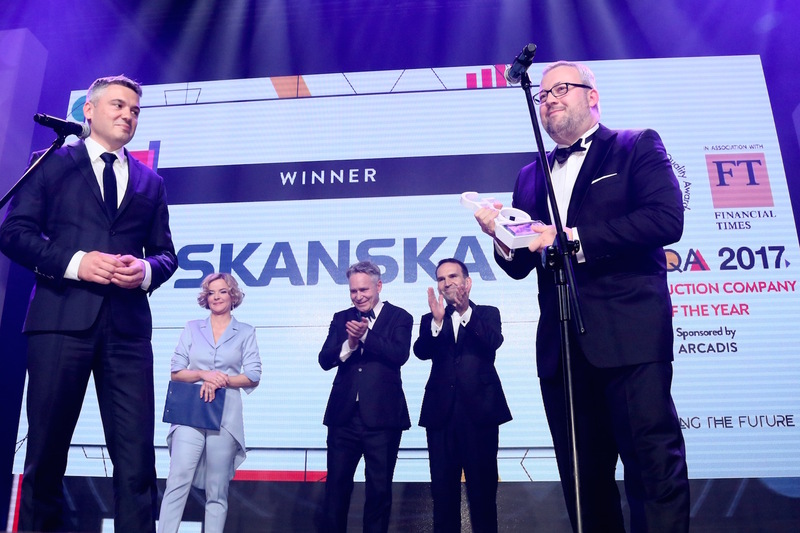 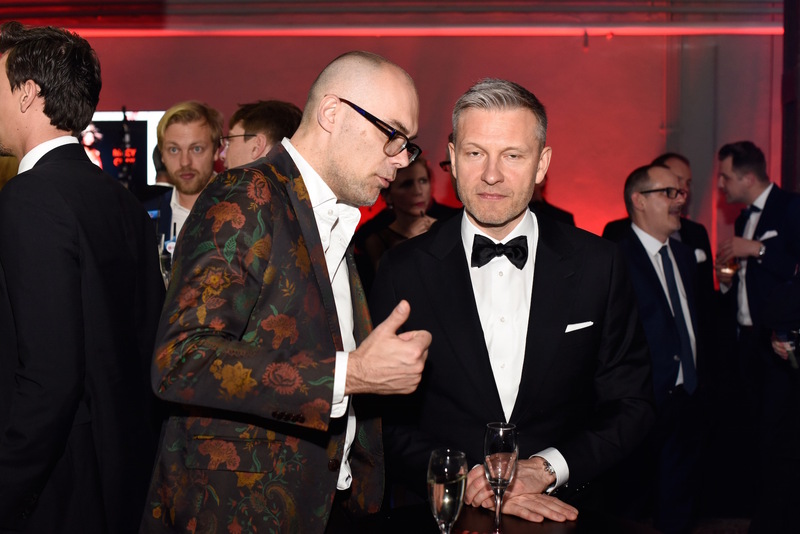 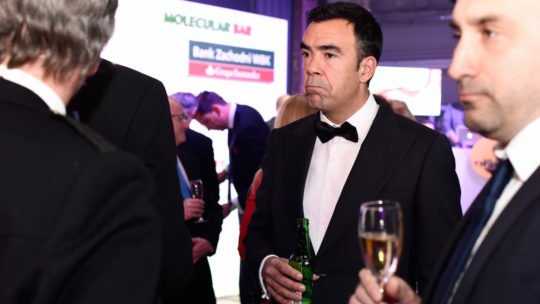 In 2001–2015, Nicklas was with Skanska, where he worked as President for Skanska Commercial Development Europe (CDE), Skanska’s business unit that develops properties in Central and Eastern Europe, and as the head of Skanska Property Poland, a unit within Skanska Commercial Development Europe. 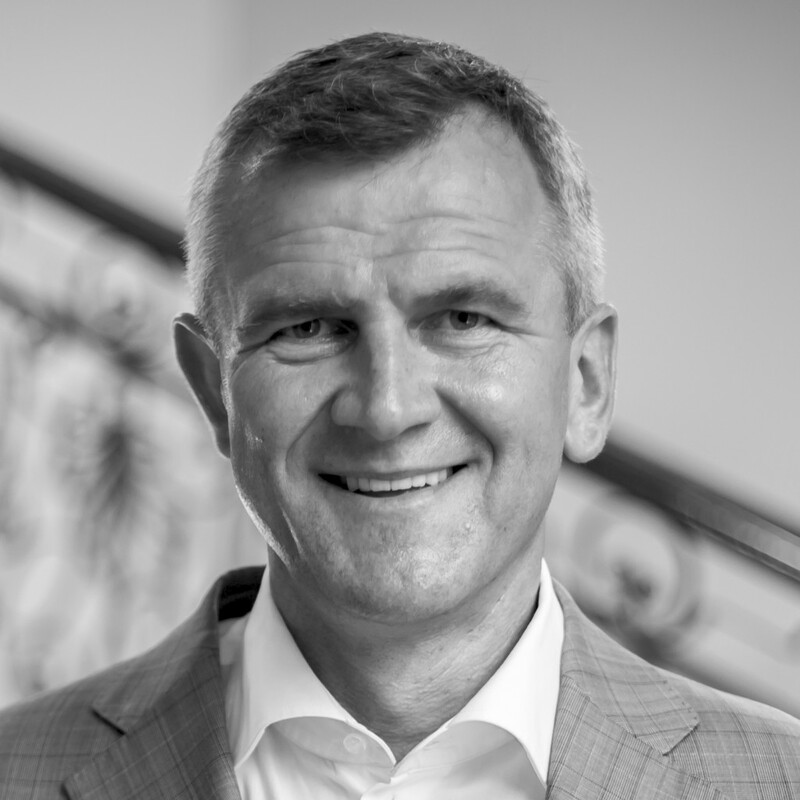 Prior tothat,he had worked with Residential Development in the Nordics and for Skanska Russia as both CFO and CEO. 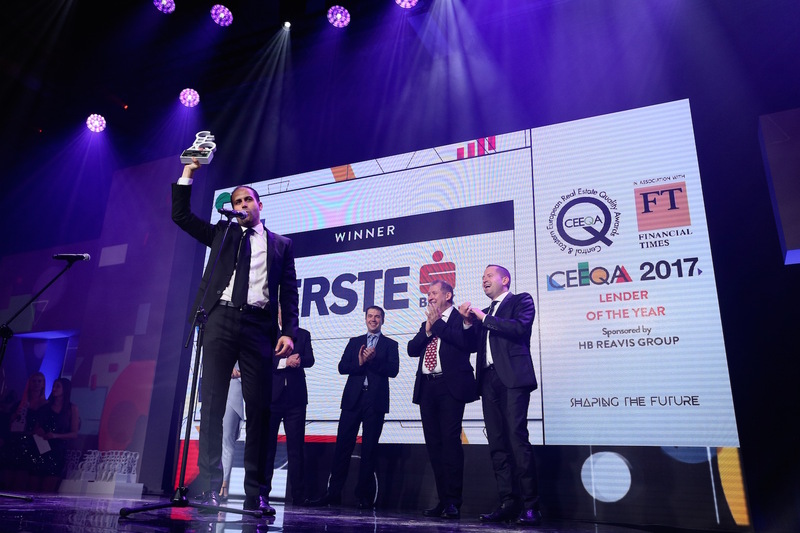 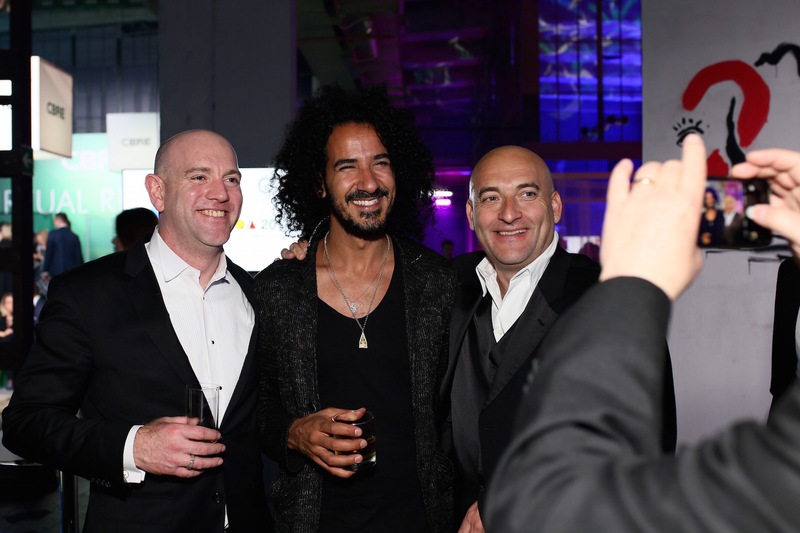 Omar is a co-founder of the Crestyl Group. 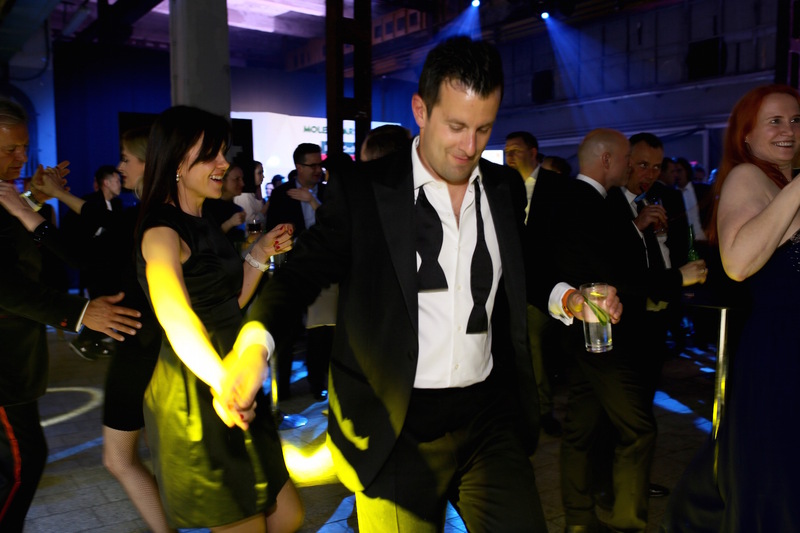 He draws up business strategy, maintains relations with investors and ensures funds. 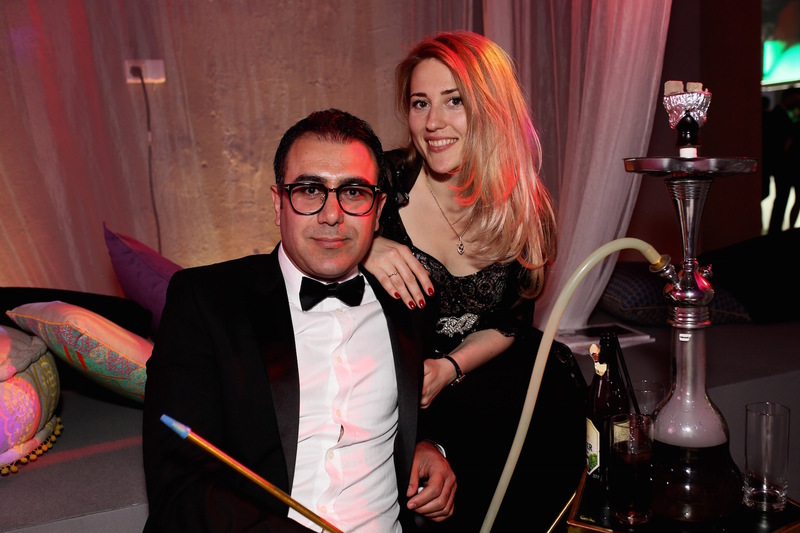 Omar is of Czech-Lebanese origin. 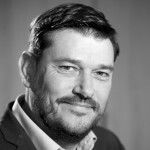 He graduated in architecture and holds the British RICS postgraduate diploma in real estate investments. He has been active in the real estate development in Central Europe since 1998. 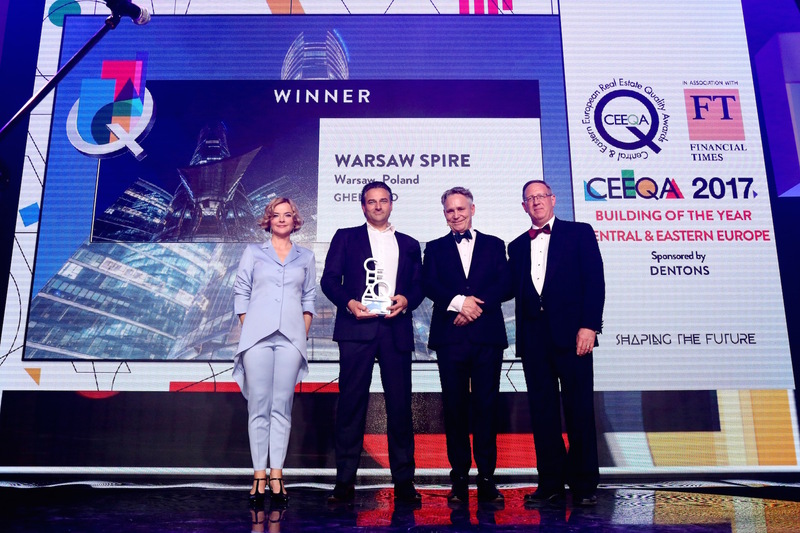 His leading achievements include cooperation with GE Real Estate in the development worth more than EUR 500 millions and putting together a team of professionals for the residential and commercial real estate market which implemented many highly appreciated projects. 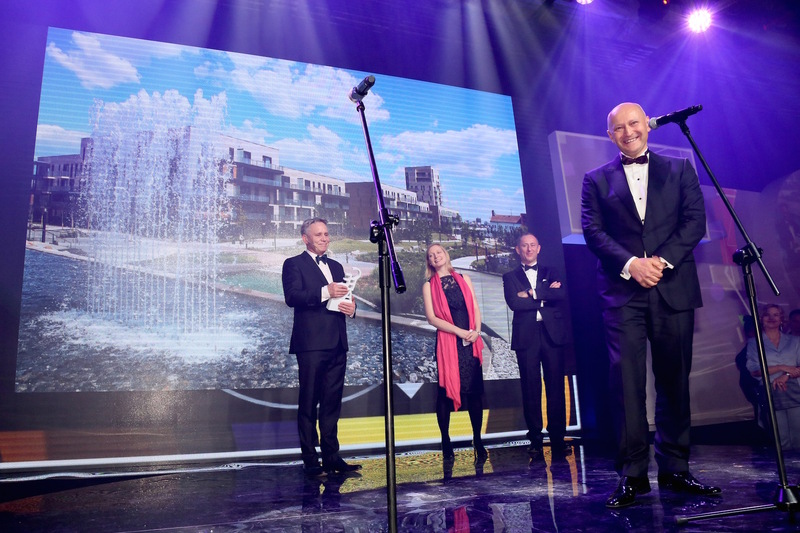 Thanks to him the CRESTYL group became a respected market leader with a strong portfolio of projects, including for example lucrative and unique Savarin project, situated in the heart of the Prague metropolis and having a value exceeding EUR 300 millions. 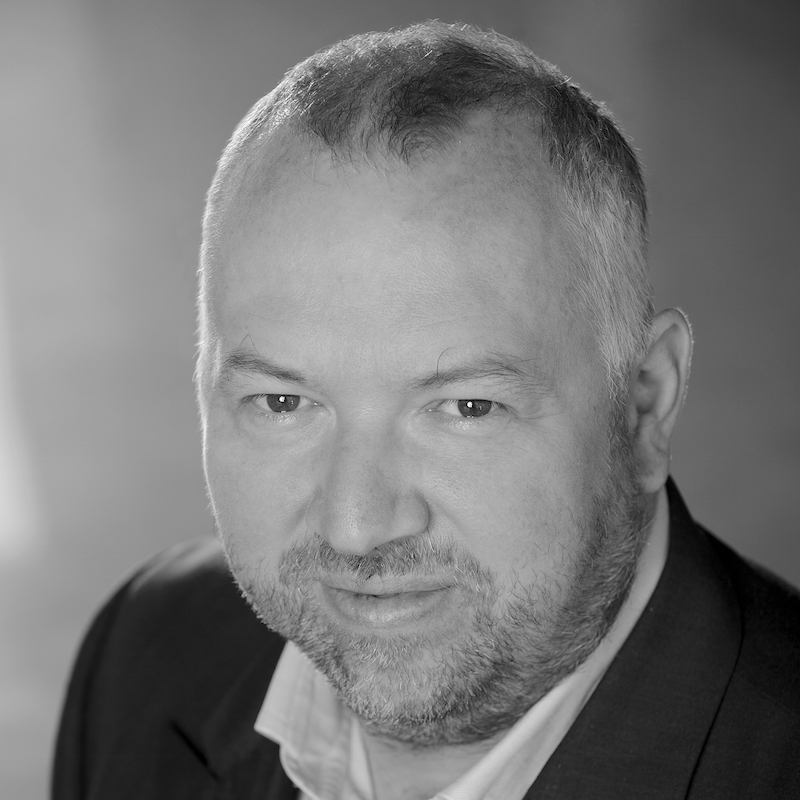 Paul is responsible for M7 operations across the Central European region. He has been working in real estate for 26 years and has been based overseas for over 22 years in Central Europe and France. 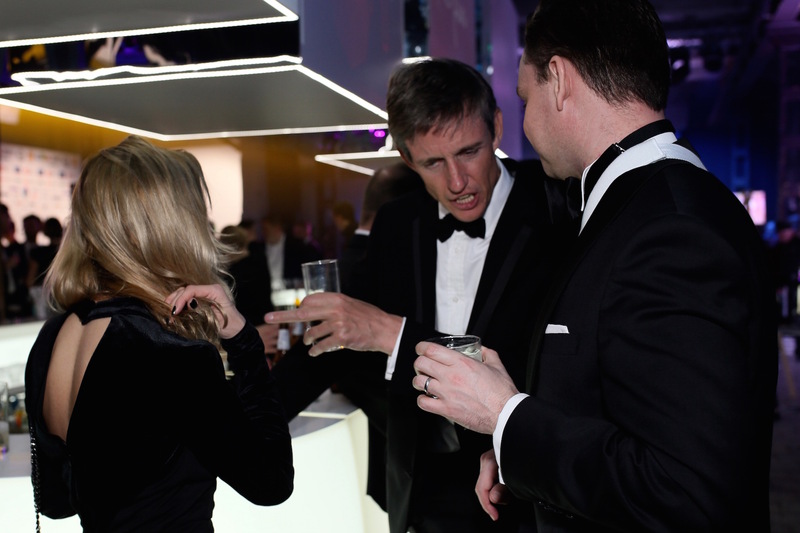 Prior to joining M7 in 2015 he was Head of EMEA Logistics at Jones Lang LaSalle responsible for the coordination of all business services offered within the Logistics sector across the EMEA region, he was also a member of the Global Logistics Board. 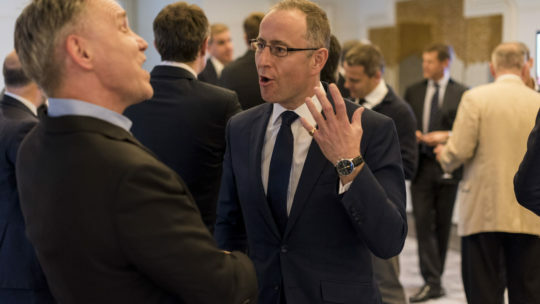 Paul was previously a Partner of King Sturge and Managing Director of the French operations where he was responsible for the acquisition and disposal of over €1 billion of light industrial, logistics and office assets fordomestic and international investors. 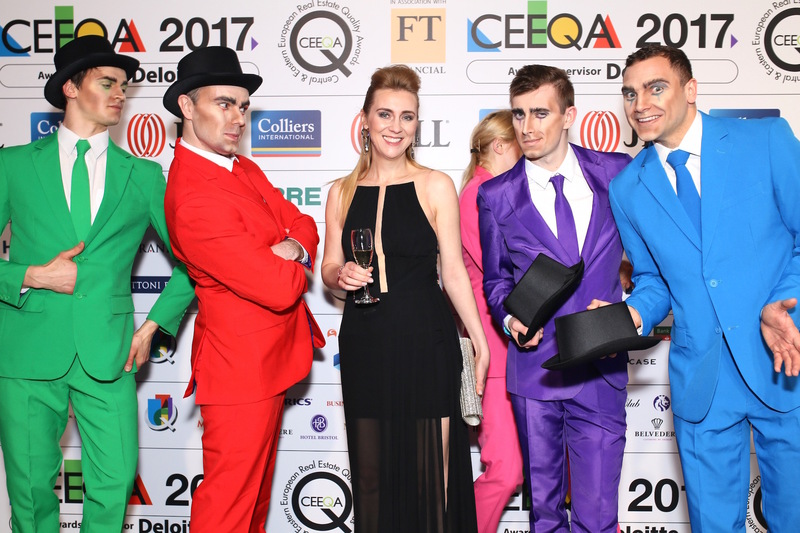 Key clientsincluded Scottish Widows Investment Partnership, Challenger Australia and OBB Realinvest. 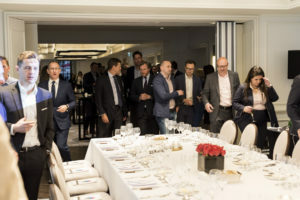 As well as working on acquisitions he was involved in the establishment and fund raising for a real estate fund set up to invest in French provincial markets. 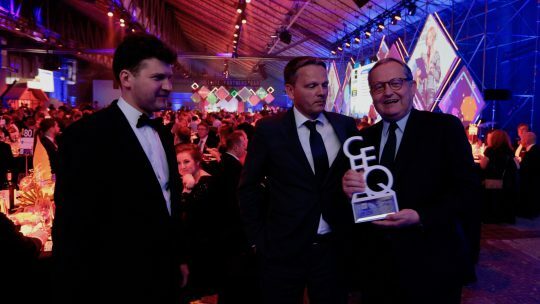 Prior to this he was located in Prague for King Sturge, becoming Managing Director in 1995, overseeing expansion of the team from eight to twenty-five and was involved in the formation of new offices in Poland, Hungary and Croatia. He advised on a number of the earliest institutional investment transactions in the region for clients including GE Capital and HypoVereinsbank as well as providing development advice including site assembly for Skanska, as well as significantly diversifying the range of property services available for investors, developers and occupiers in the emerging Czech market. Paul is a member of the Royal Institution of Chartered Surveyors and has a BSc (Hons) in Urban Estate Surveying. 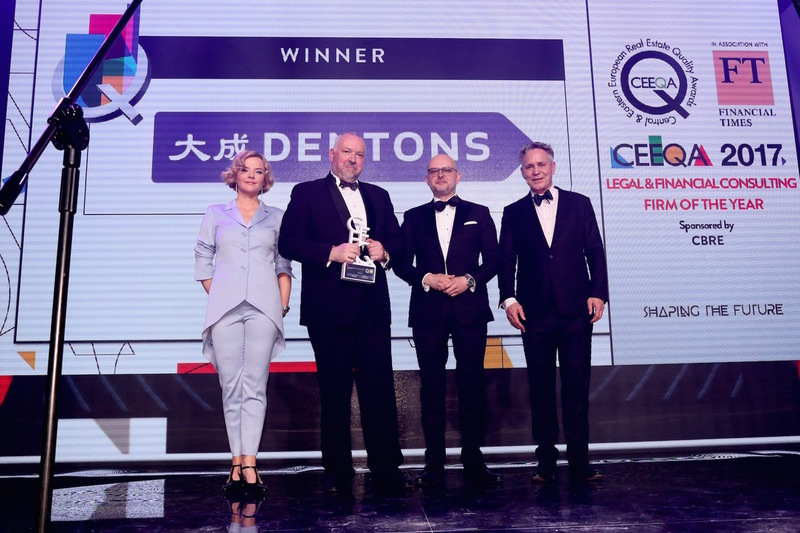 Pawel is a partner at global law firm Dentons and Chairman of the European Real Estate Group of more than 250 lawyers across twelve countries. 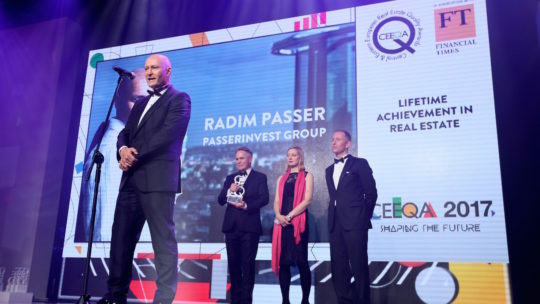 He is one of the most widely recognized and respected real estate M&A and investment professionals in Poland and Central and Eastern Europe. 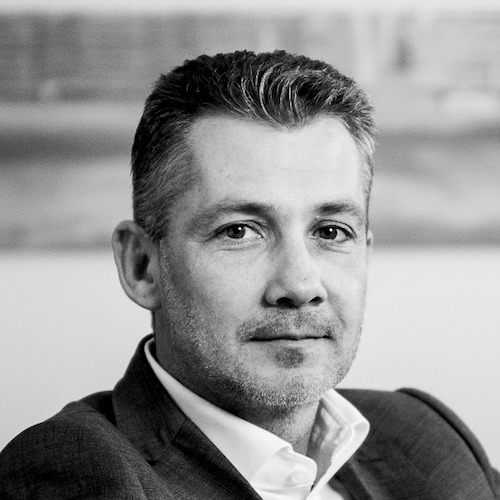 Pawel acts as legal counsel to numerous institutional clients, including investors, developers, lenders, construction companies and occupiers. 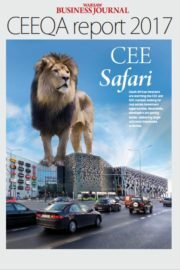 He has unique expertise in the office, retail and hotel sectors. 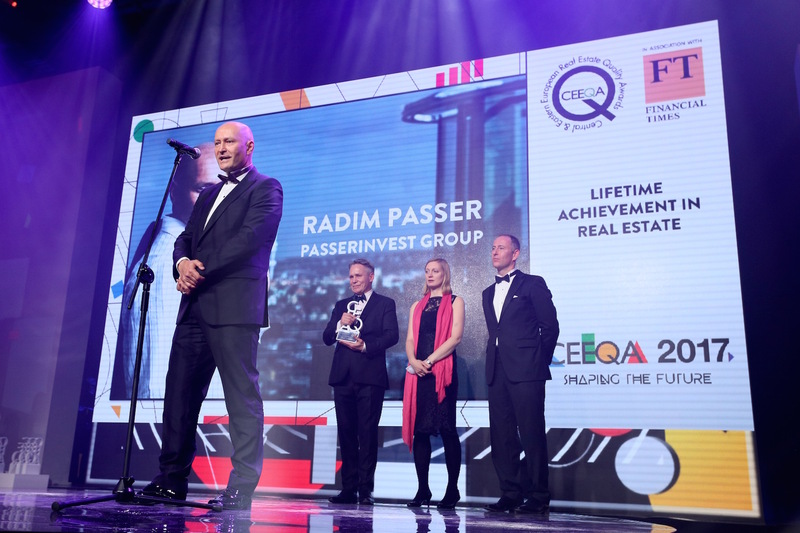 In professional practice for over twenty years, Pawel was involved in structuring real estate investments in Poland back in the early days of the free market economy. 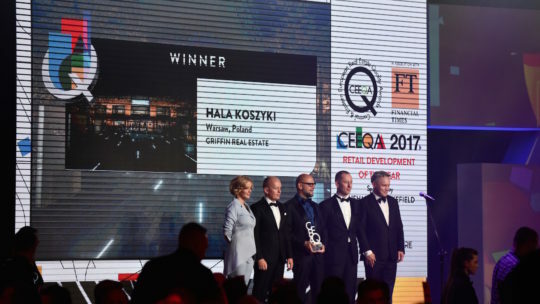 Pawel is repeatedly recommended as a leader in the field of real estate law by both Polish publications (namely Forbes and Rzeczpospolita) as well as international legal directories and guides (such as The Legal 500, Best Lawyers, European Legal Experts or Who’s Who Legal). 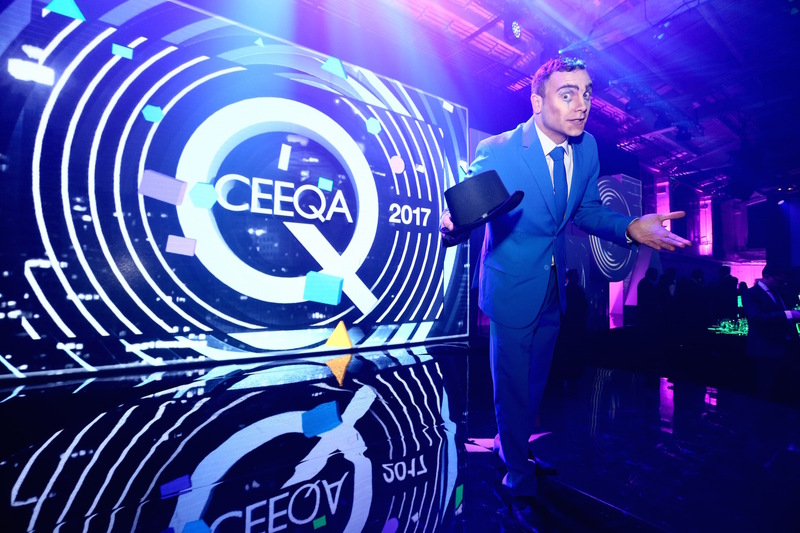 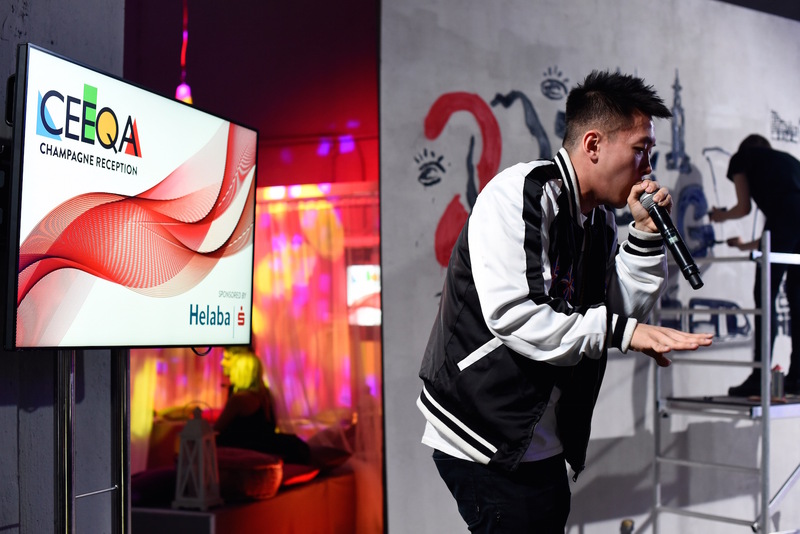 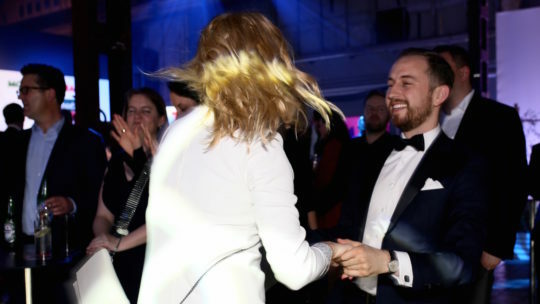 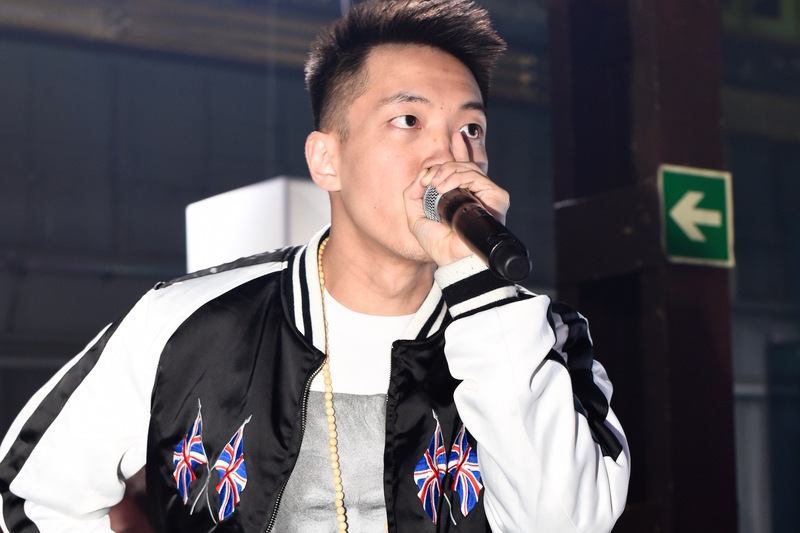 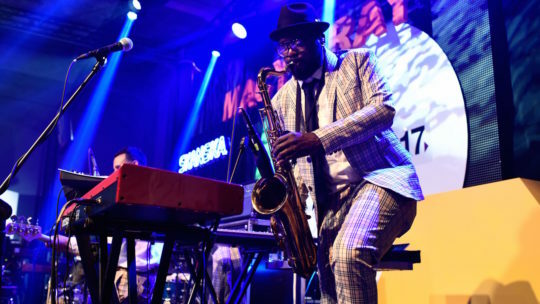 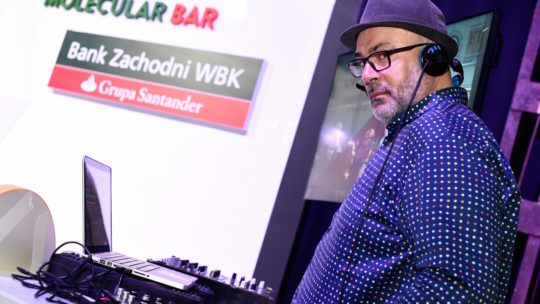 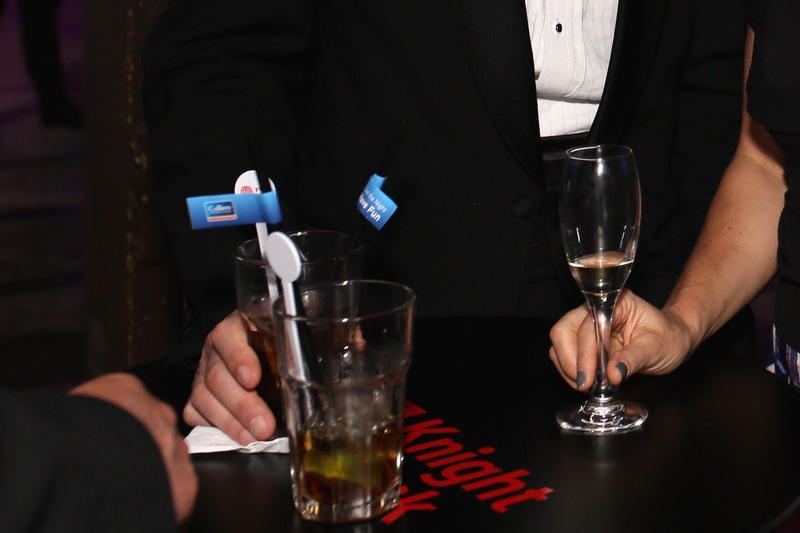 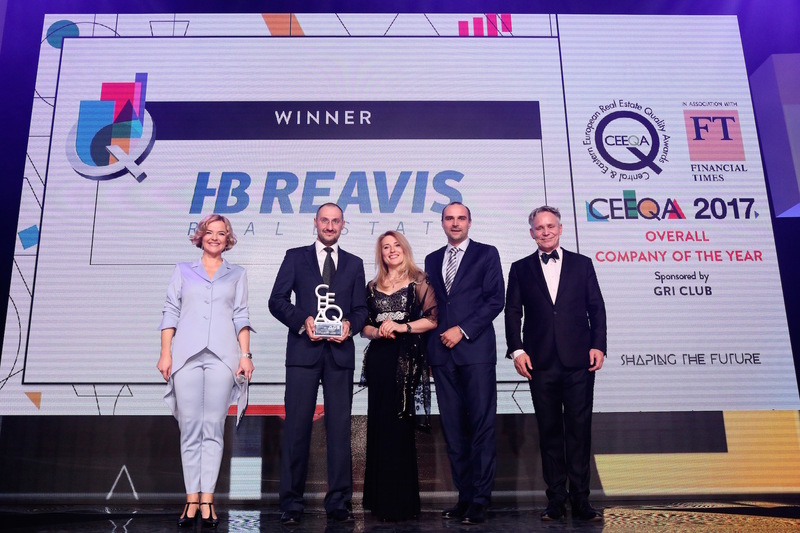 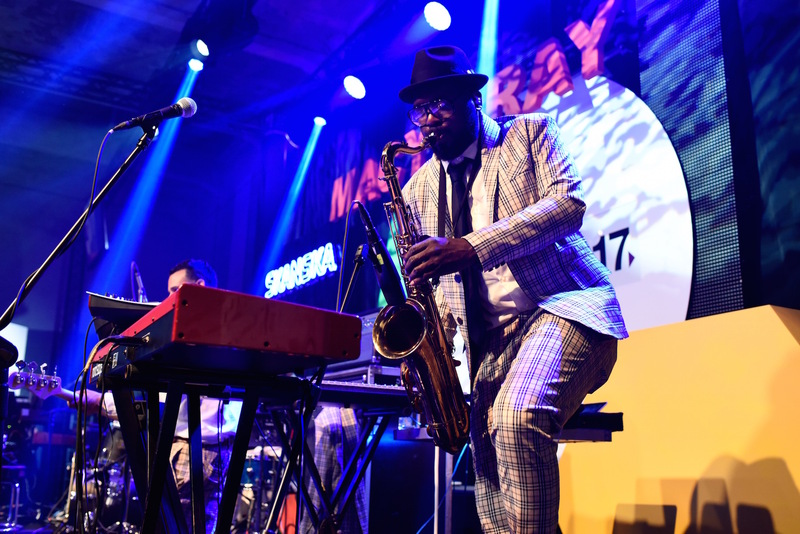 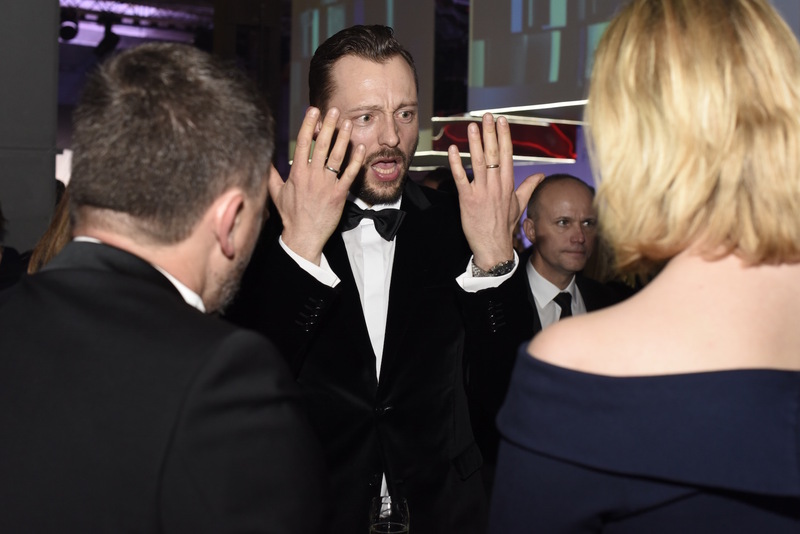 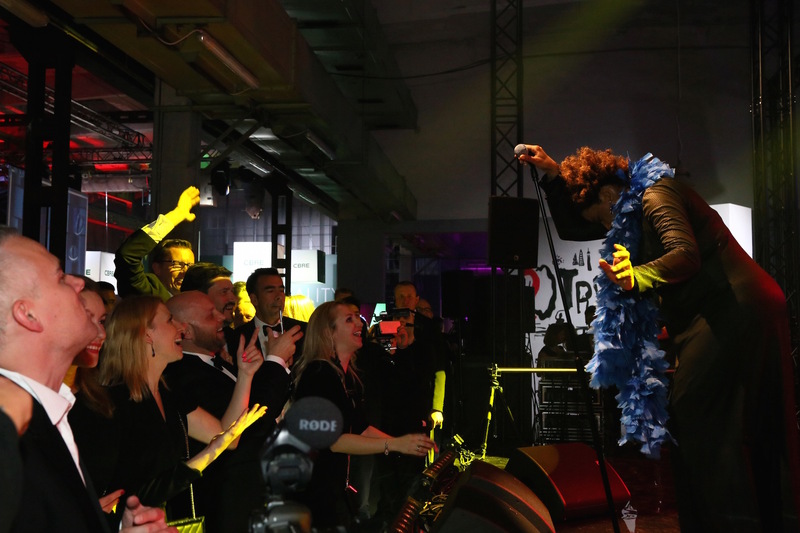 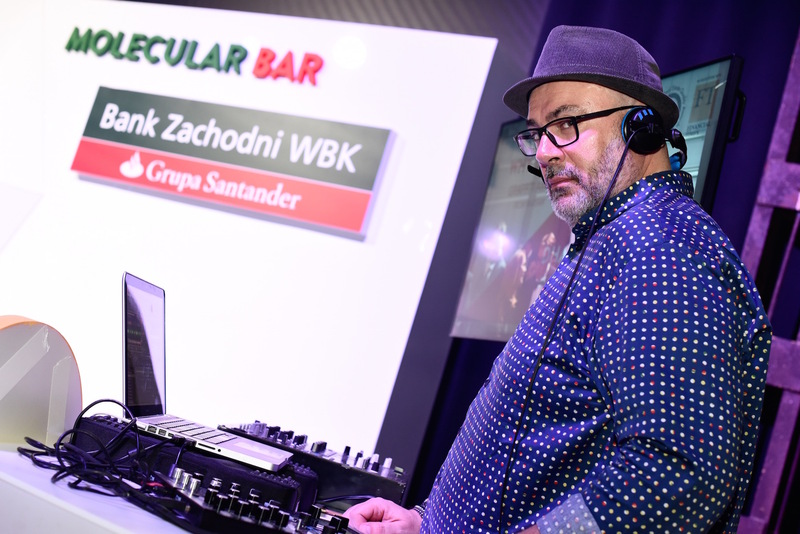 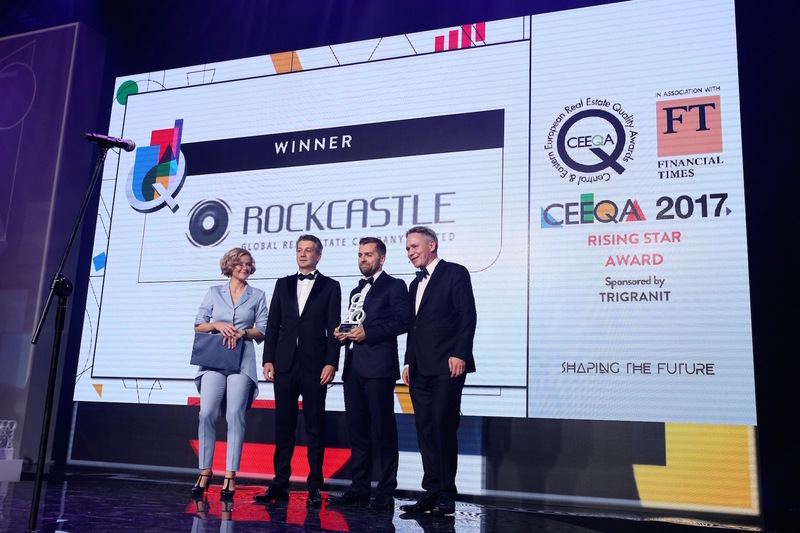 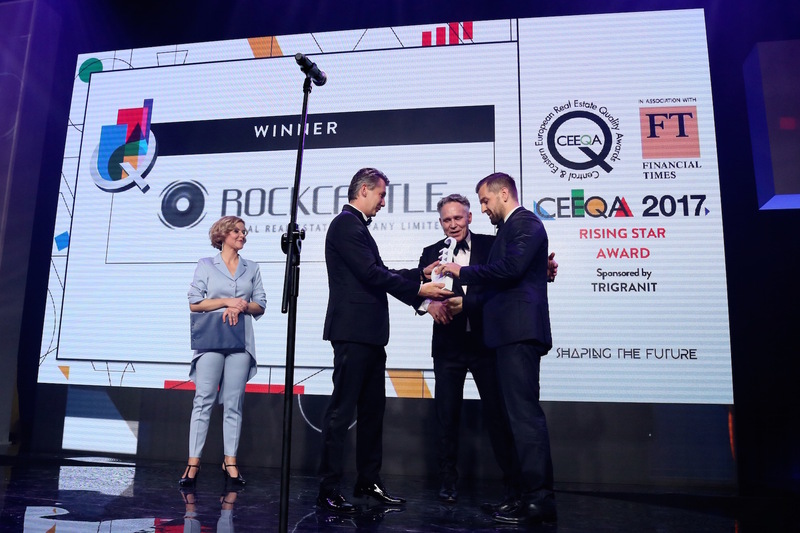 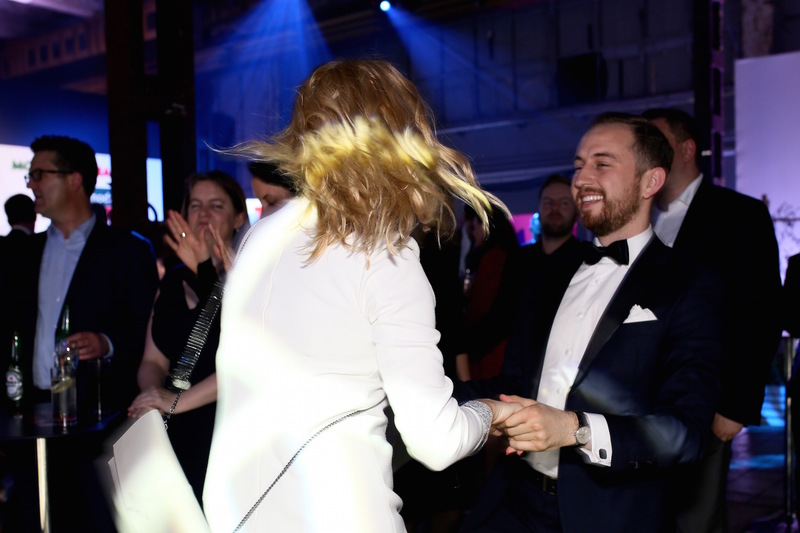 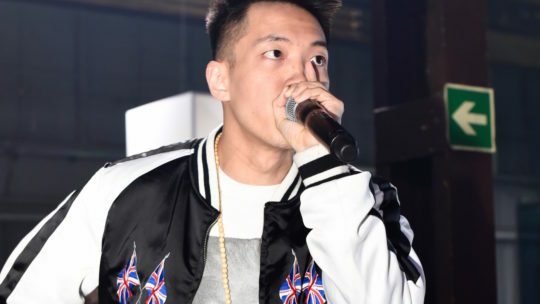 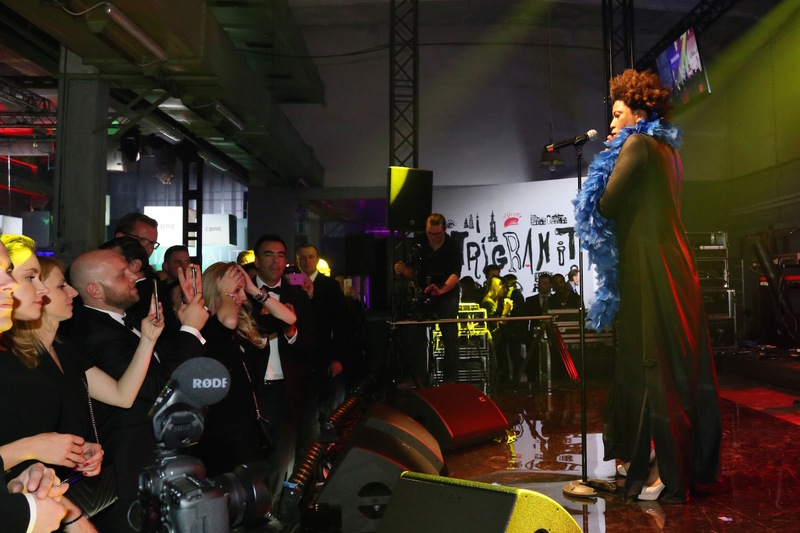 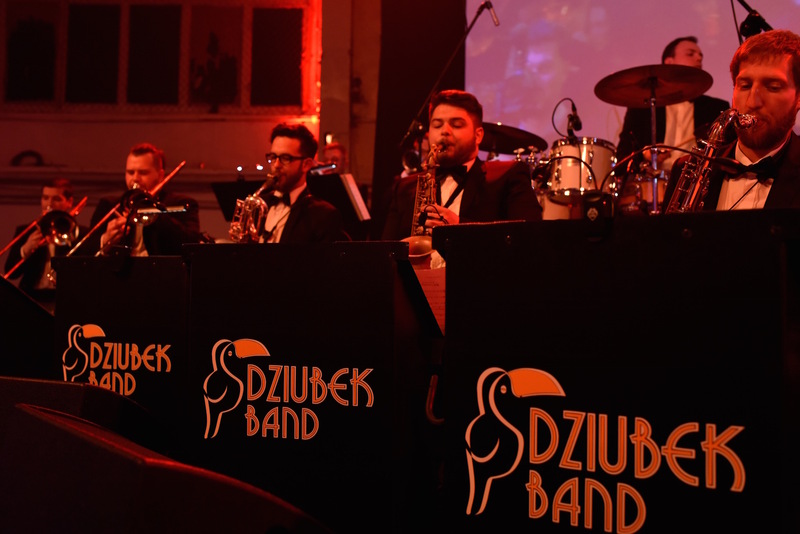 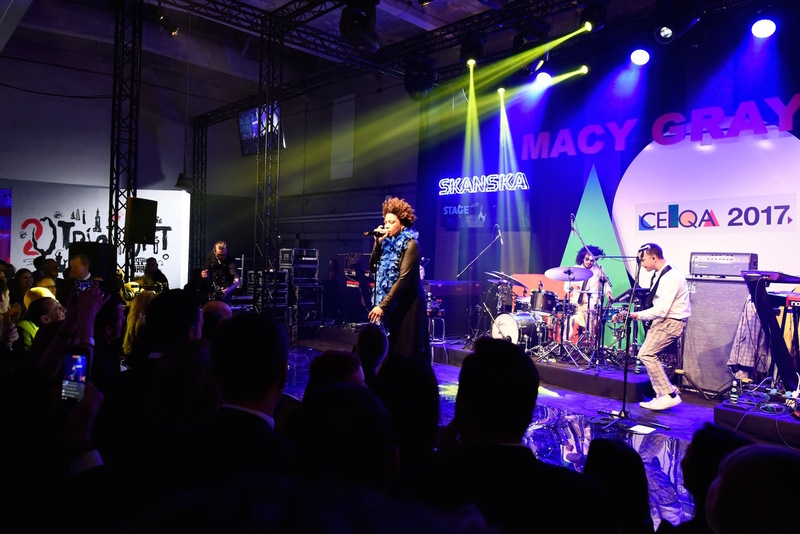 In 2013, for the second time, he was named Professional of the Year at the CEE Quality Awards organized by Imagine Live Media in cooperation with the Financial Times. 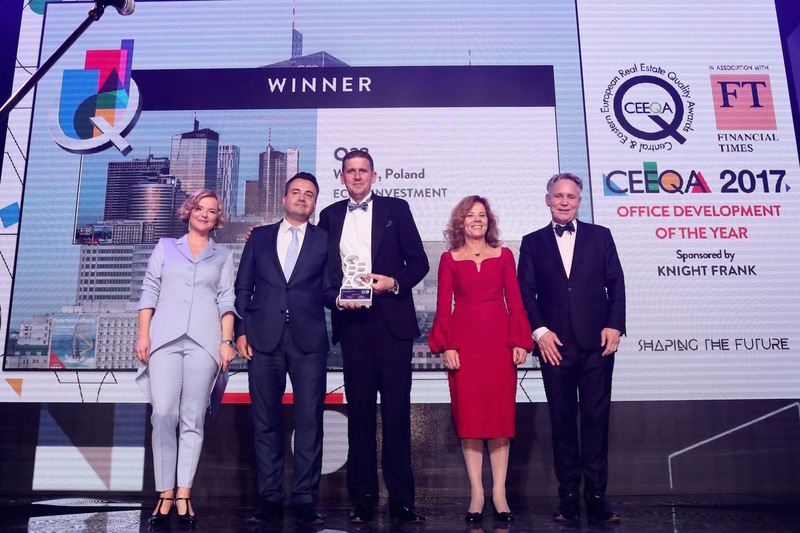 As the Head of GRE CEE branch, Ramon is responsible for the Generali Real Estate (GRE) portfolio in Central and Eastern Europe, including development strategies in terms of investments, divestments and acquisitions, as well as asset and property management. 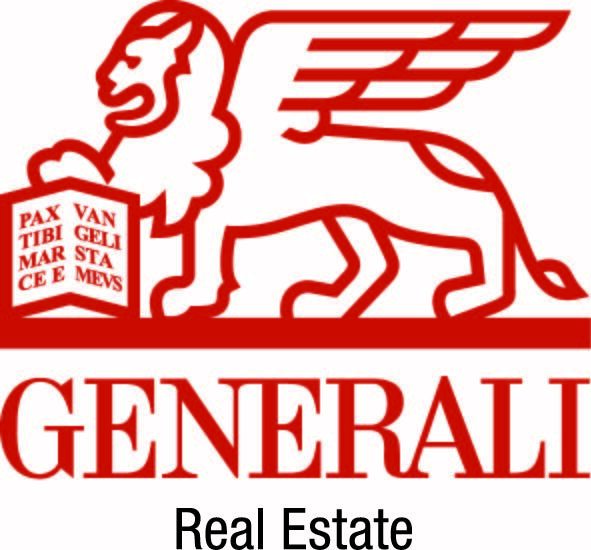 Ramon has spent most of his professional career within Generali Real Estate, the real estate asset manager of the Generali Group, which he joined in 2002. 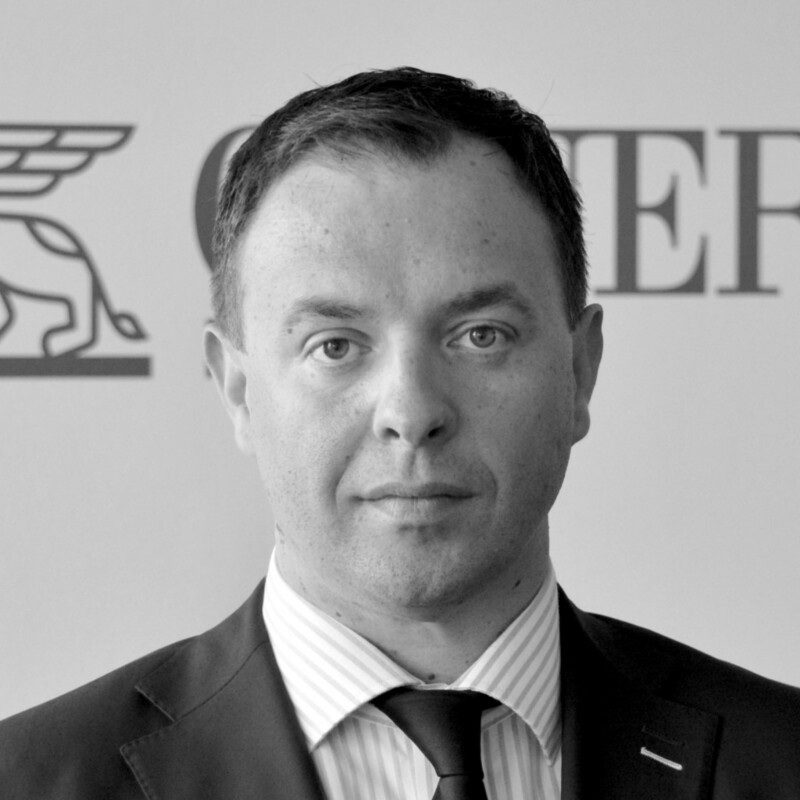 Before taking up his current role in April 2016, he served as the Head of Investments and Asset Management in GRE CEE since 2013. 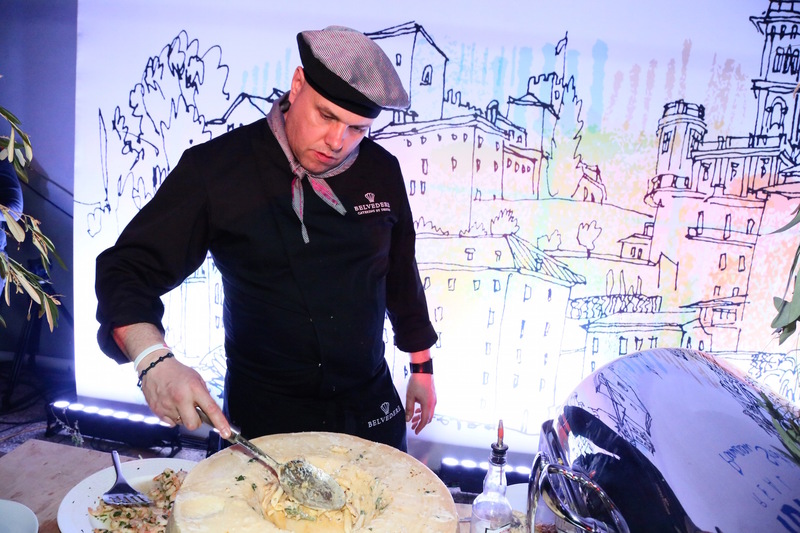 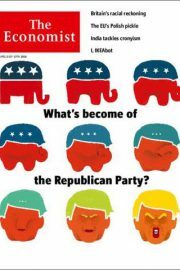 He holds a degree in Business Administration from the University of Trieste. 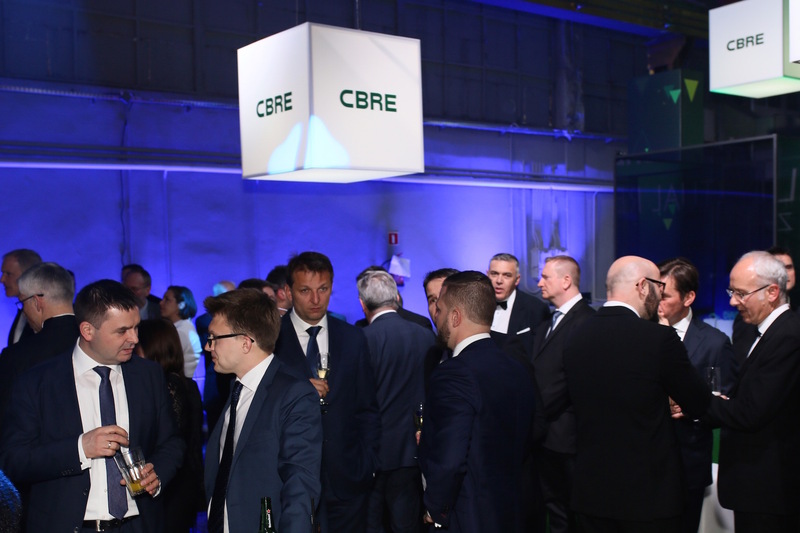 Richard Curran, the Managing Director of CBRE in the Czech Republic, has over 19 years of experience in the Czech commercial real estate market. 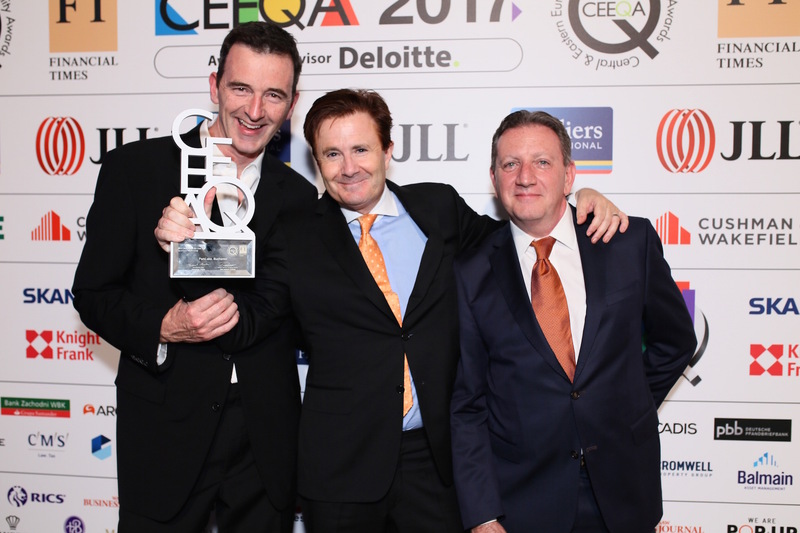 He has led the CBRE Czech office since 2008, having joined the company in 2004 to lead the Agency side of the business. 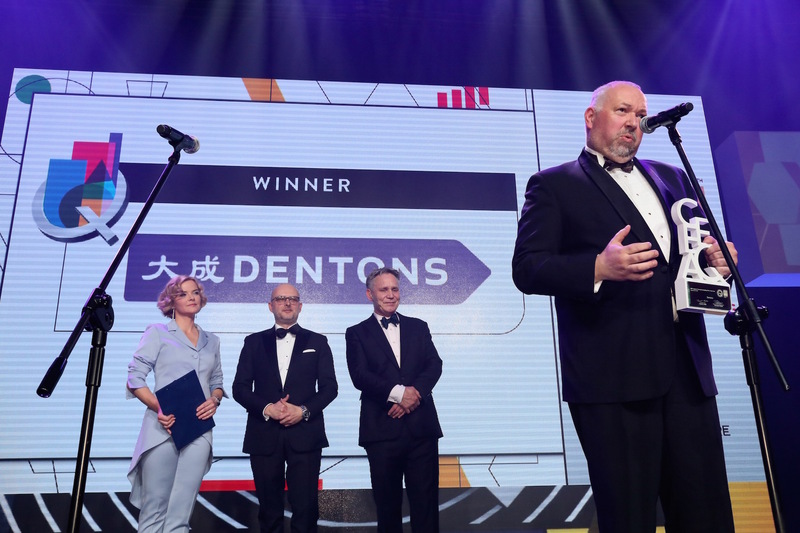 During this time, he has overseen the growth of the office from 35 people to over 300, and has been involved in the establishment of the industrial, retail and project management business lines. 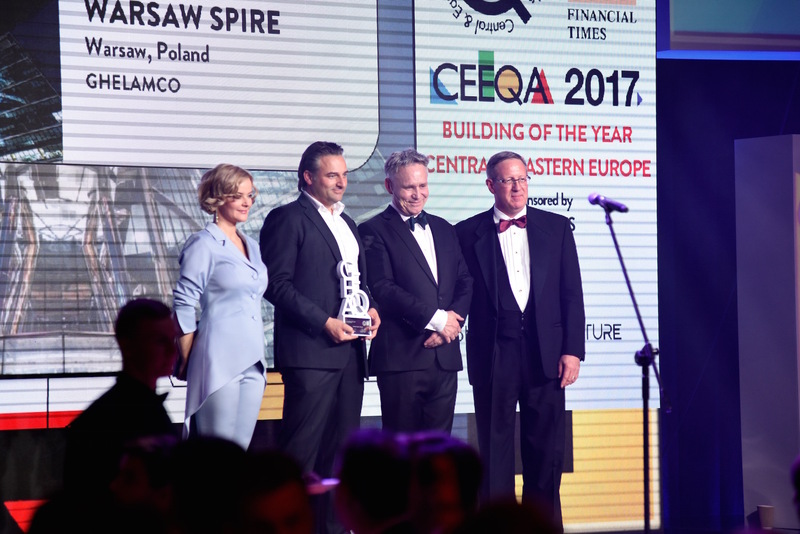 He has also overseen the acquisition of the EMCM and Impact Corti businesses, and their subsequent mergers into the CBRE Czech business. 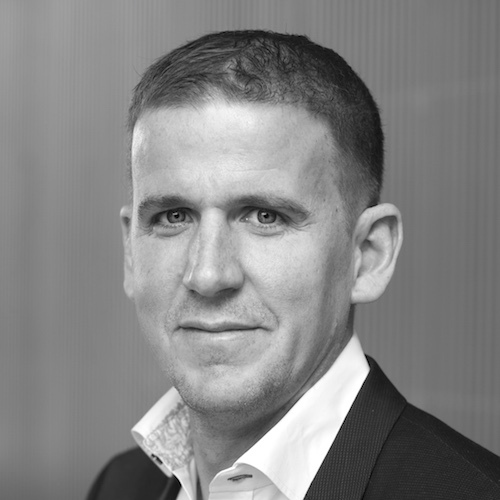 Richard has an honours degree from the National University of Ireland and is a Member of the Royal Institution of Charted Surveyors (RICS). 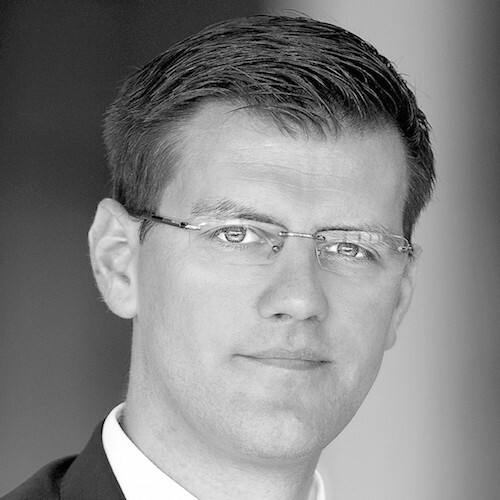 Robert Dobrzycki oversees the operations in the United Kingdom, Germany, Poland, Czech Republic and Slovakia. 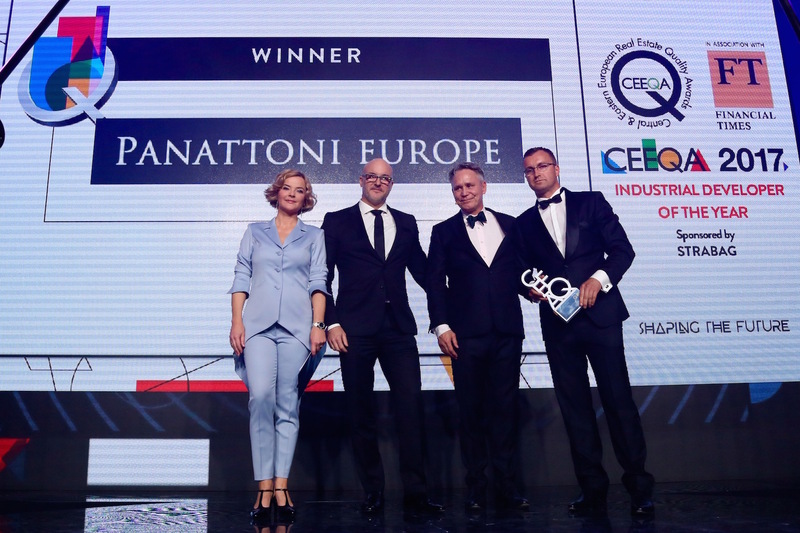 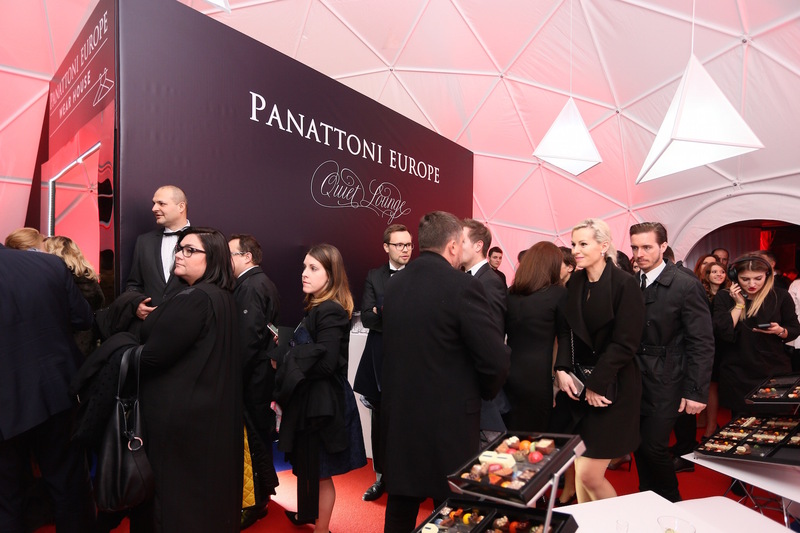 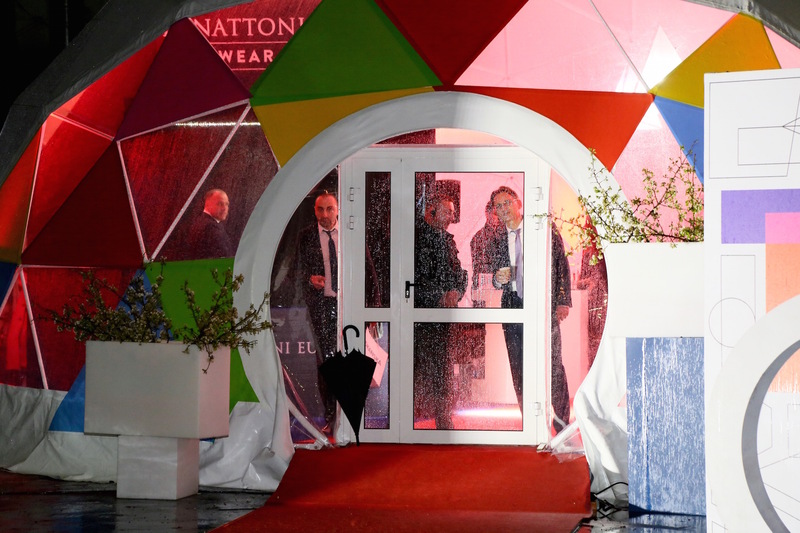 He set up Panattoni Europe’s headquarters for the CEE region in Poland in 2005 and in 2014 was appointed CEO for Europe. 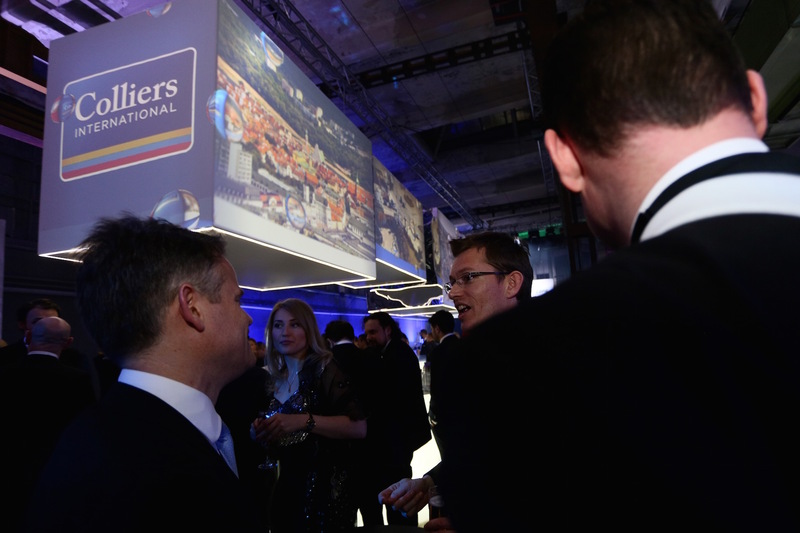 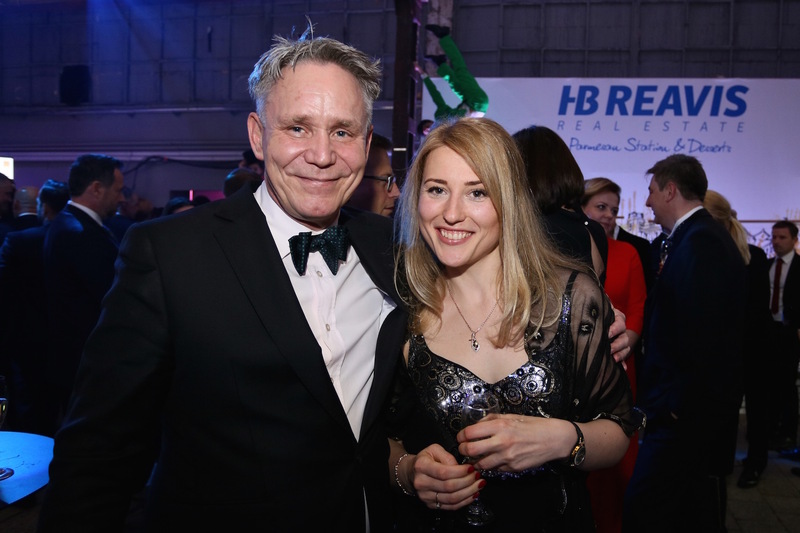 In 13 years under Robert’s management the company has developed over 5.5 million sqm of warehouse space out of existing stock of 14 million sqm in Poland. 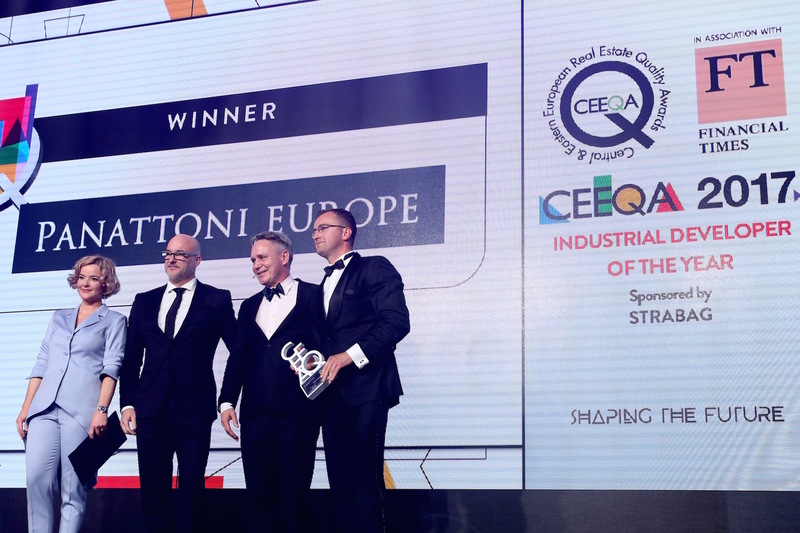 Both in 2017 and 2018 Panattoni Europe was listed first in the TOP DEVELOPERS ranking in Europe by Property EU title. Robert began his career with Menard Doswell & Co., an industrial real estate development company, has over 17 years of experience in the real estate business. 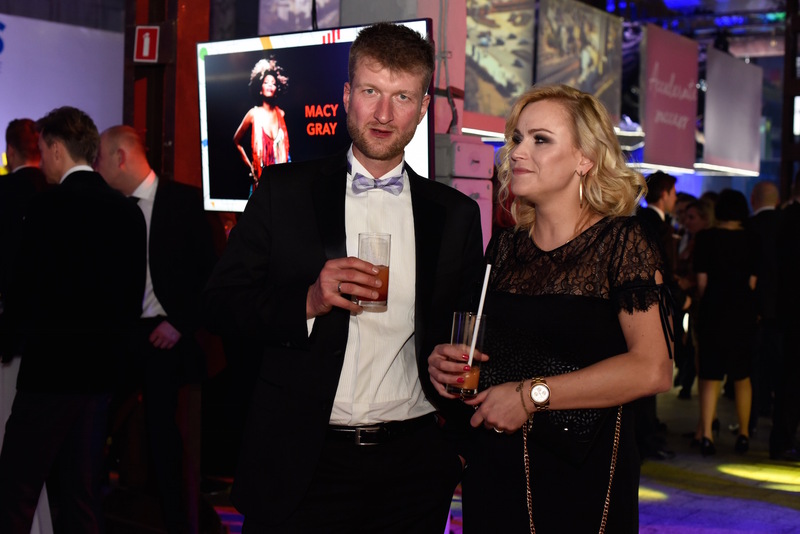 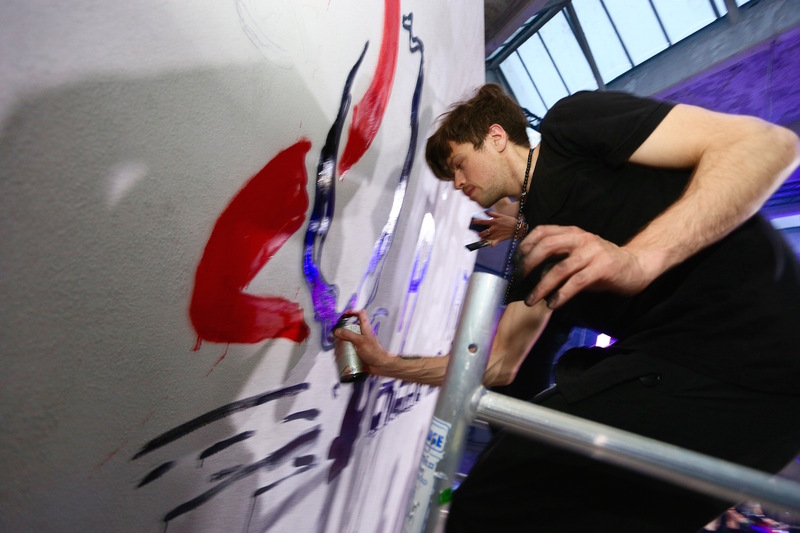 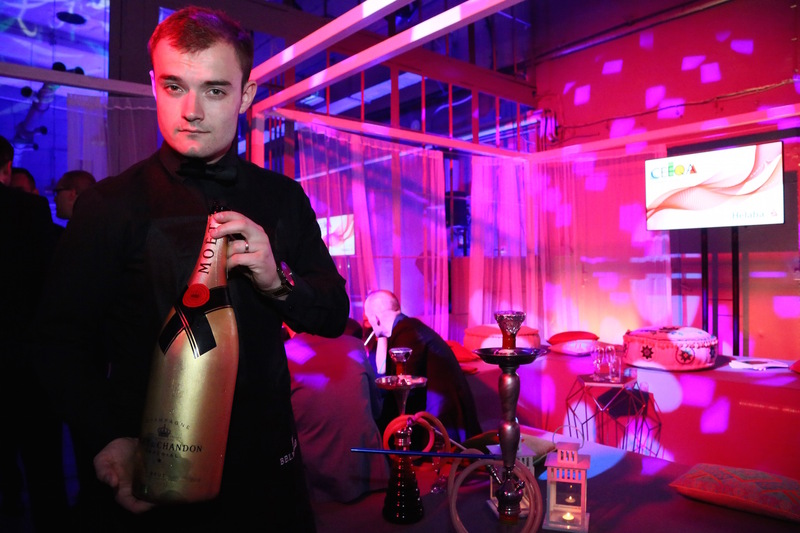 He is a Warsaw University graduate and has a Masters in Business Management degree. 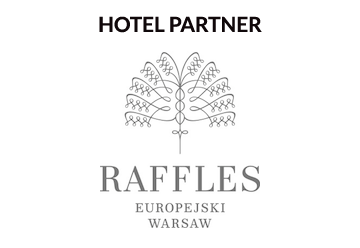 Robert has worked in the commercial real estate industry since 1982 based in Yorkshire, London, Brussels and currently Prague since 1991. 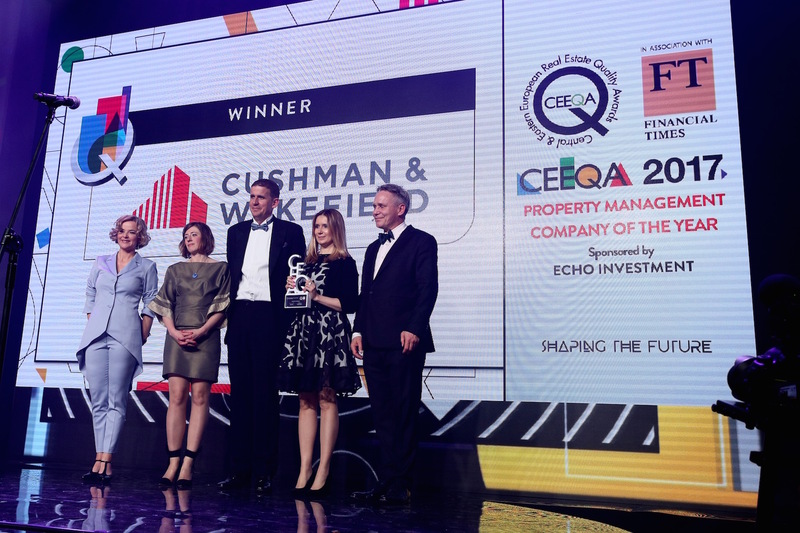 Having established Ryden and then Healey & Baker, now C&W, in 1993 he created the development and asset management company Portland Trust in 1998. 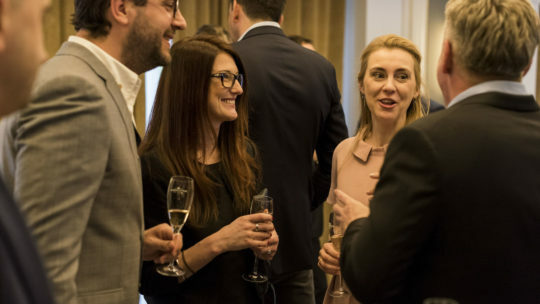 Portland Trust has been in partnership with US property and fund management group Ares Management L.P (formerly AREA Property Partners) since 1999. 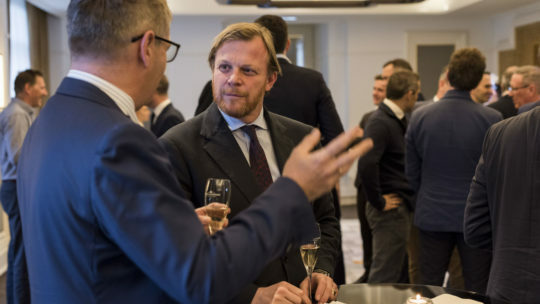 Ares currently have assets under management of over $90 billion and provides equity capital jointly with Portland Trust to purchase development projects, under-managed assets with refurbishment potential and undercapitalised companies in central and eastern Europe. 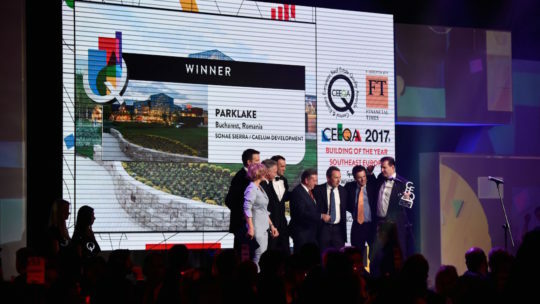 Together, Ares and Portland Trust have developed and managed over 600,000m2 of new offices, retail and light industrial space in Czech Republic, Slovakia and Romania. 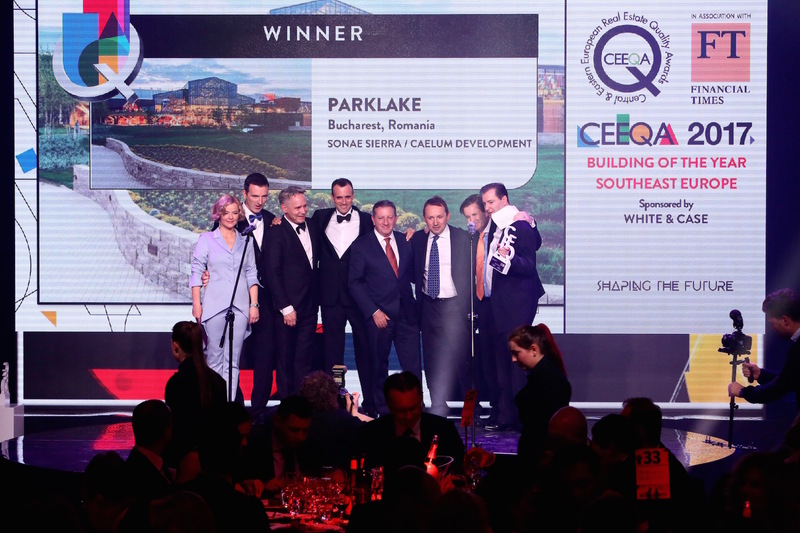 Better known projects include Metropole Zlicin – one of the first major malls in Prague, Bucharest Business Park – the first true A class business park in Bucharest, Floreasca Park which won the Financial Times CEEQA Green Building of the year and CIJ Investment transaction of the year 2015, and Oregon Park also in Bucharest. 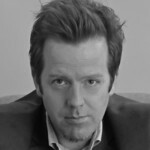 Troy is responsible for the European operations of Lincoln. 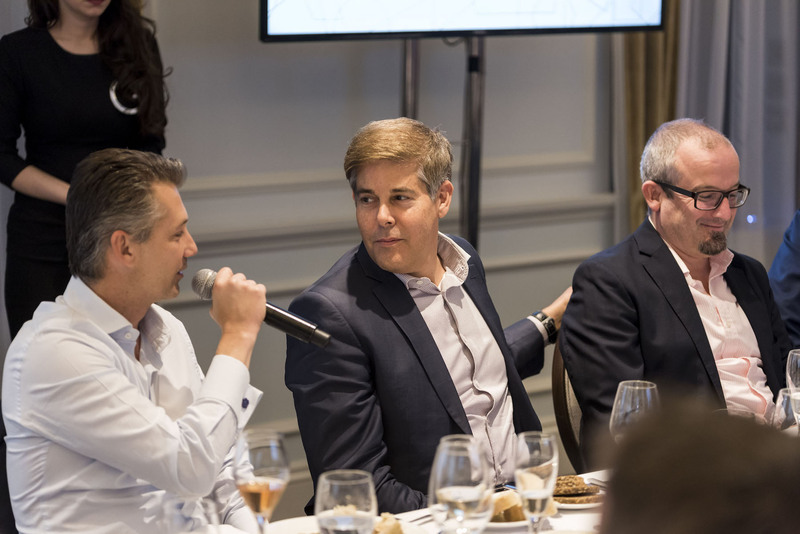 The company was founded in Dallas in 1965 and is one of the largest full-service real estate companies in the United States. 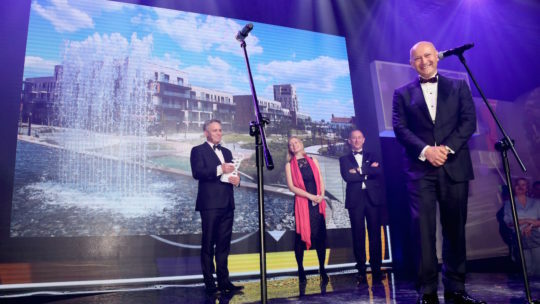 Lincoln has developed more than 12.1 million square meters of commercial projects and 209,000 multi-family units at a total cost of over $30 billion. 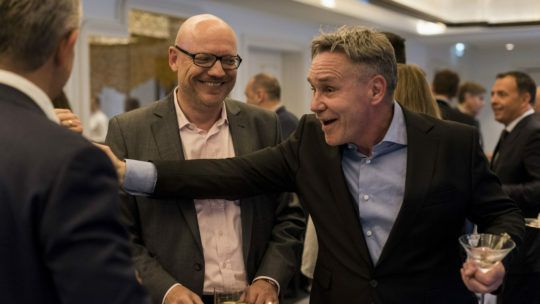 Lincoln has also acquired more than $15 billion of assets since 1988, and currently manages commercial assets valued at more than $60 billion. 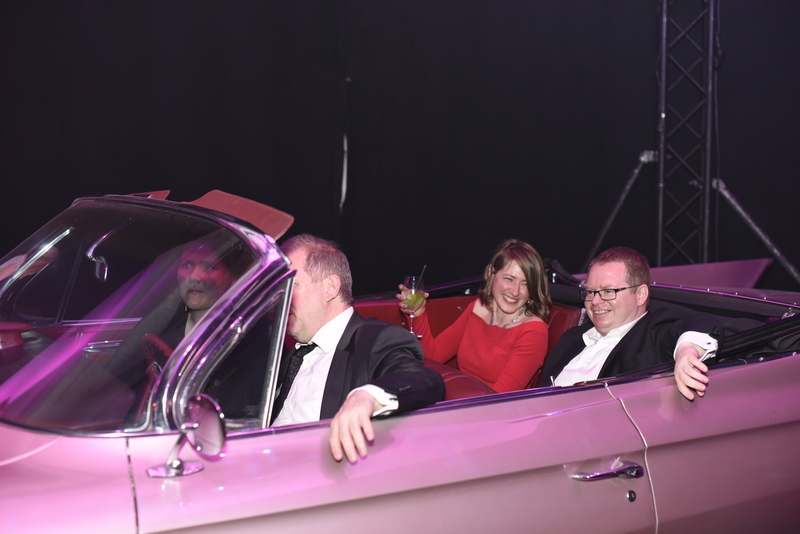 Lincoln Europe was relaunched April 2016. An American national, Troy Javaher was previously the Head of Capital Markets for CEE at JLL. 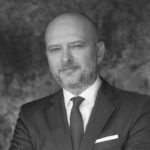 He has a Masters in Real Estate from Columbia University in New York and has professional work experience in the region since 1998. 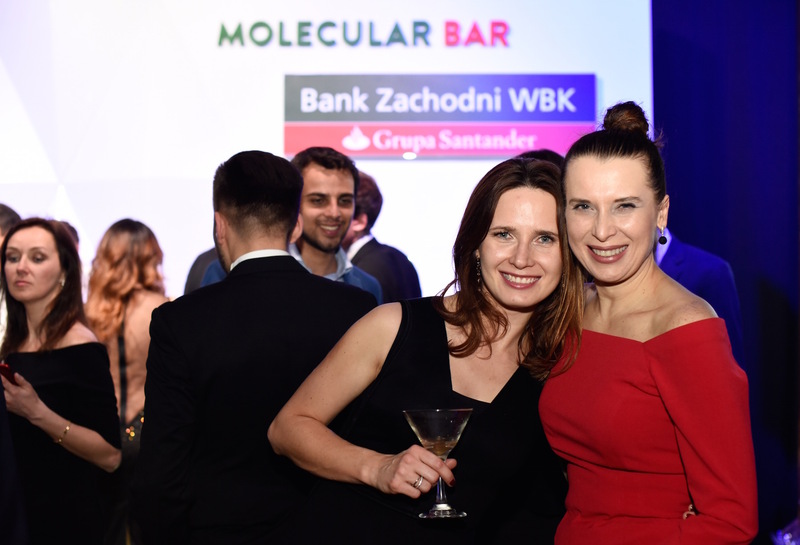 Since 1994 Wlodek has worked in banking institutions including Bank Handlowy w Warszawie SA and ING Bank NV Warsaw holding various position both on front office and risk management sides of corporate lending. 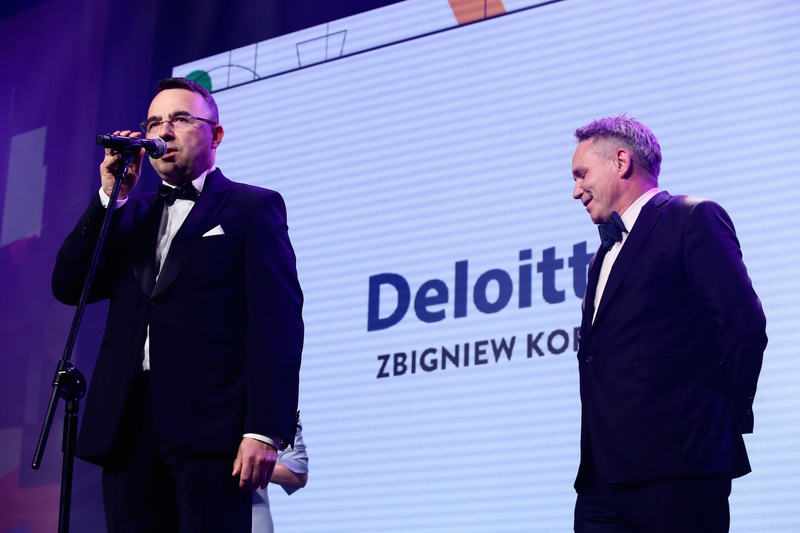 Since 2006 he has participated in building the Polish real estate finance operations of ING, heading a specialized department of ING Bank Slaski and retaining the position of Polish Country Head of ING REF global franchise. 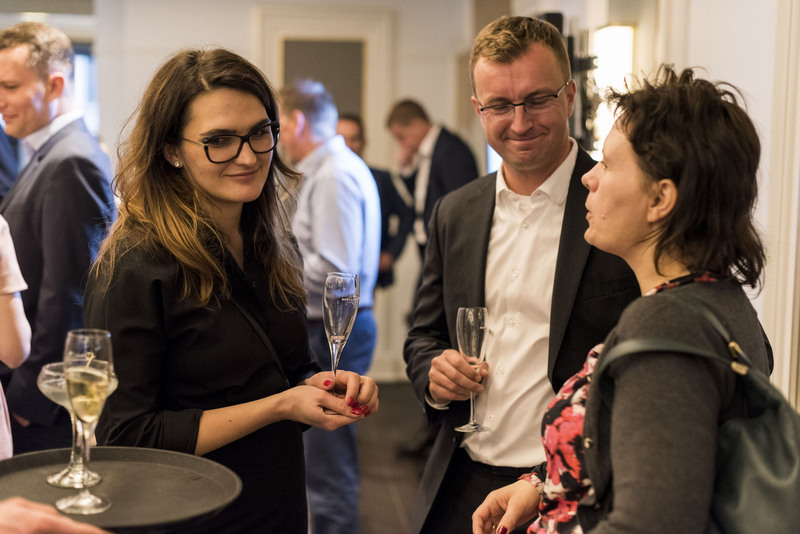 Wlodek completed studies at the Technical University in Lodz and an MBA program at the University of Warsaw in cooperation with University of Antwerp and Vlerick Leuven Gent Management School.